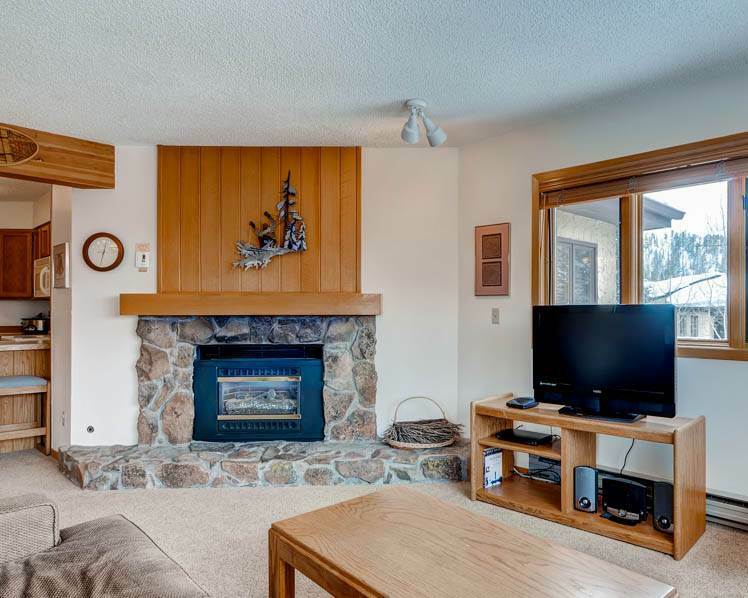 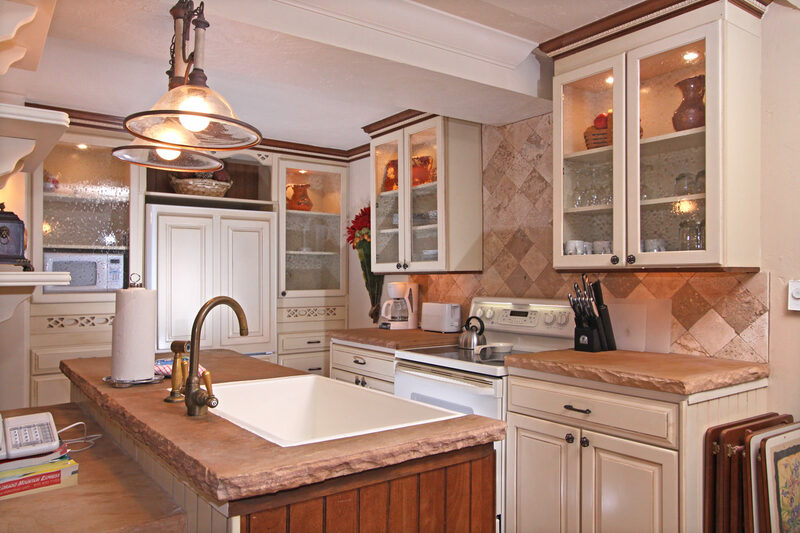 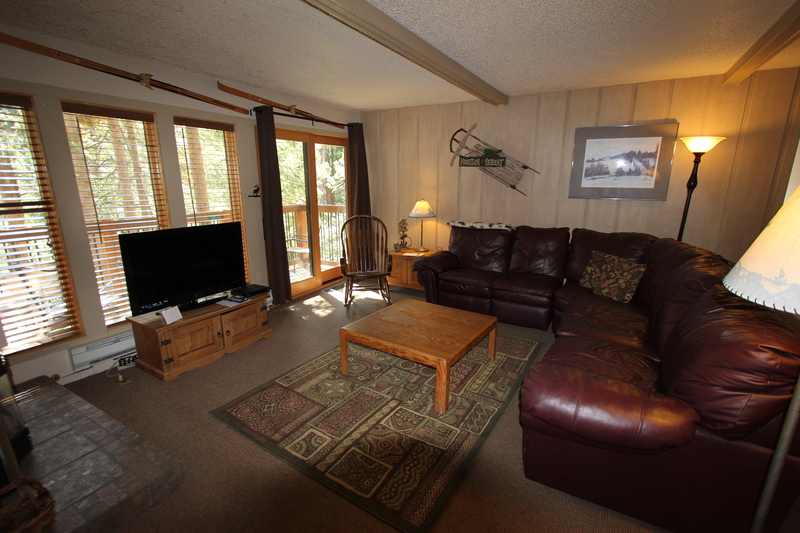 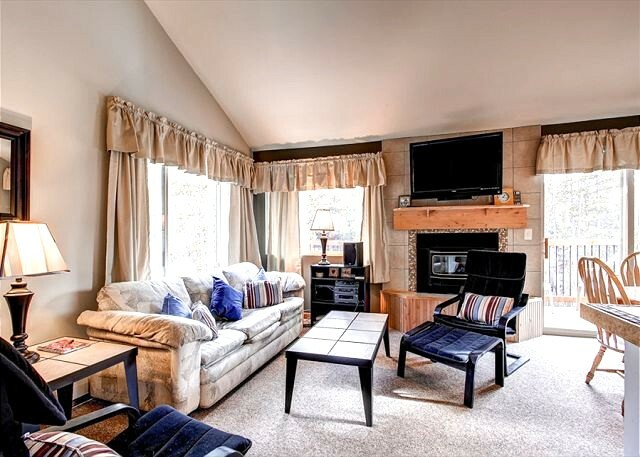 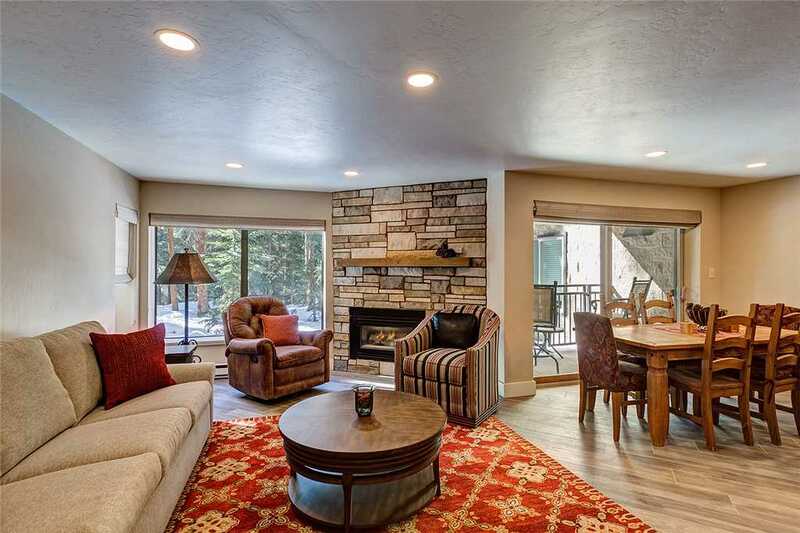 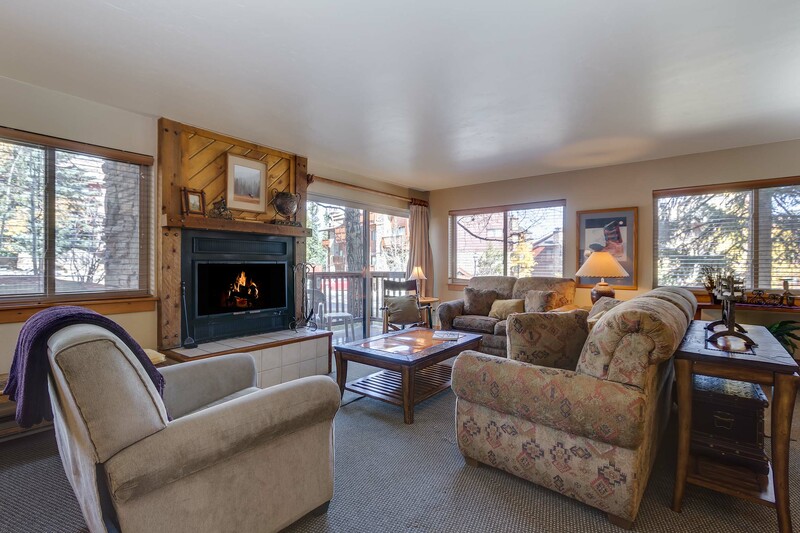 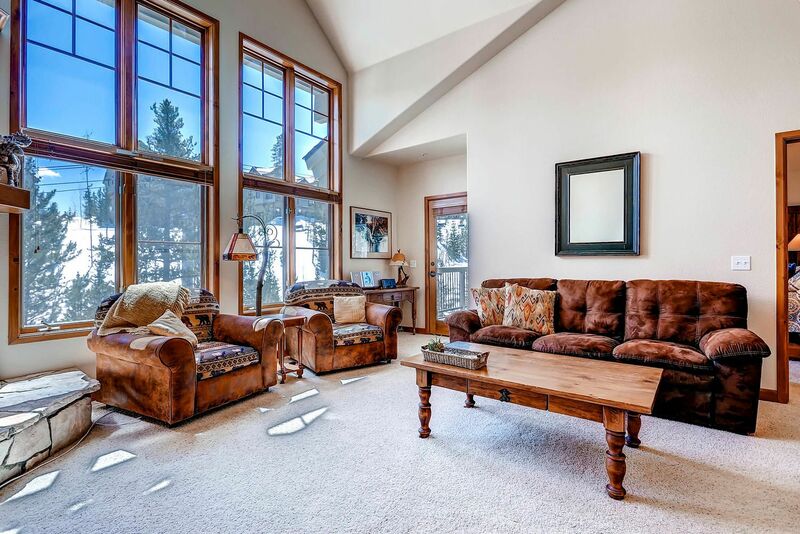 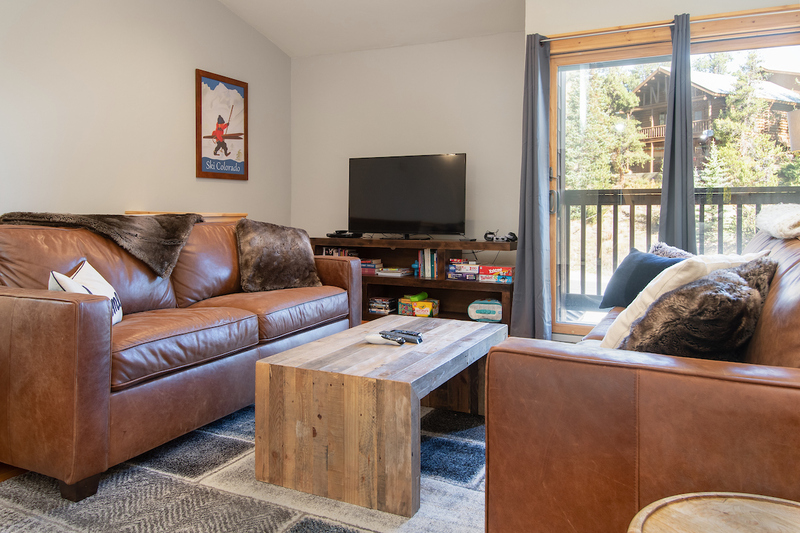 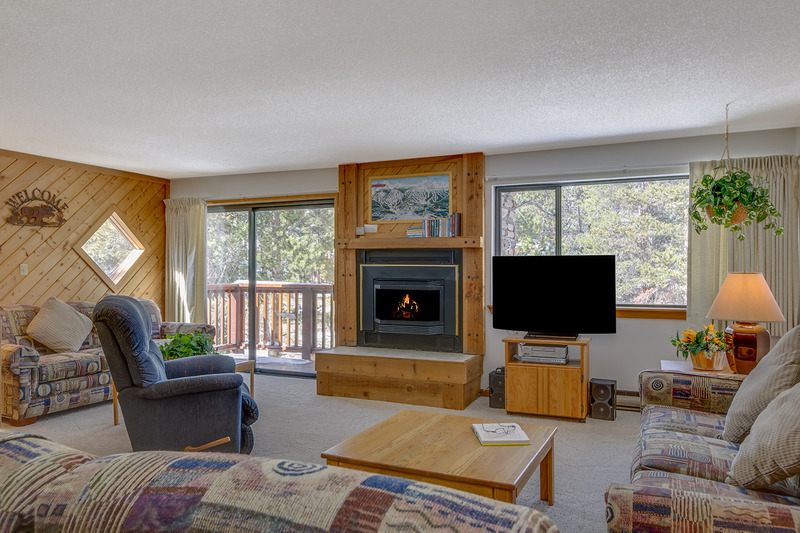 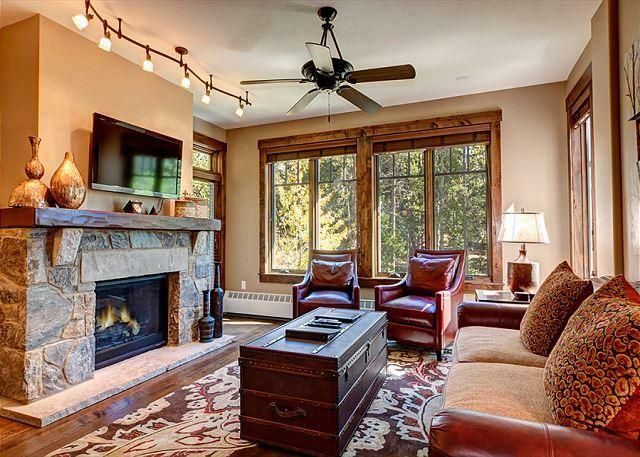 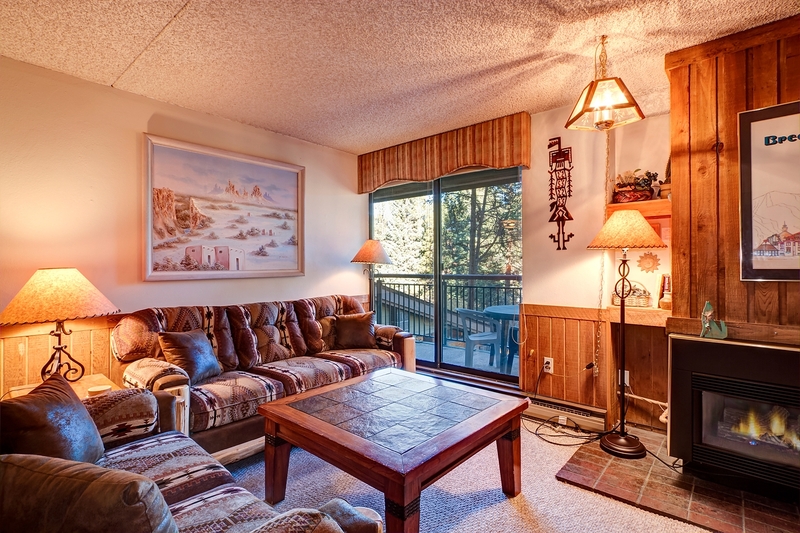 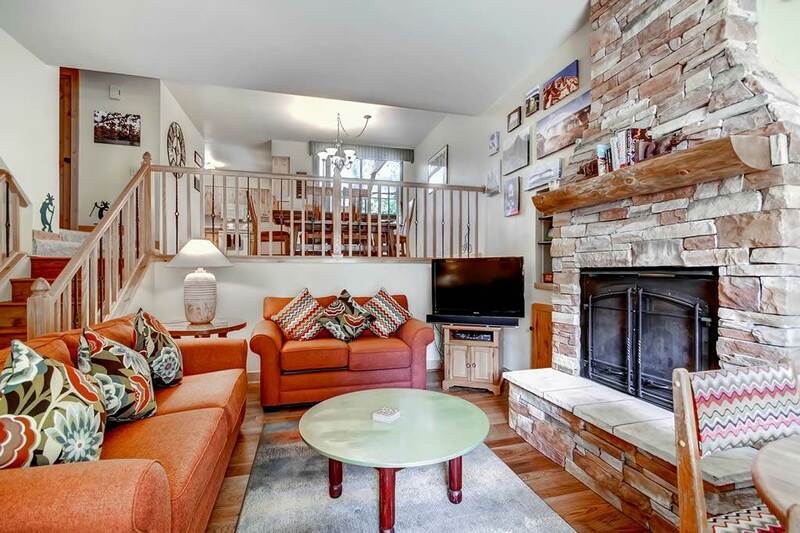 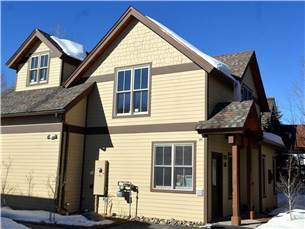 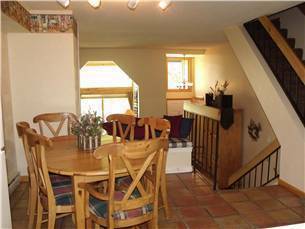 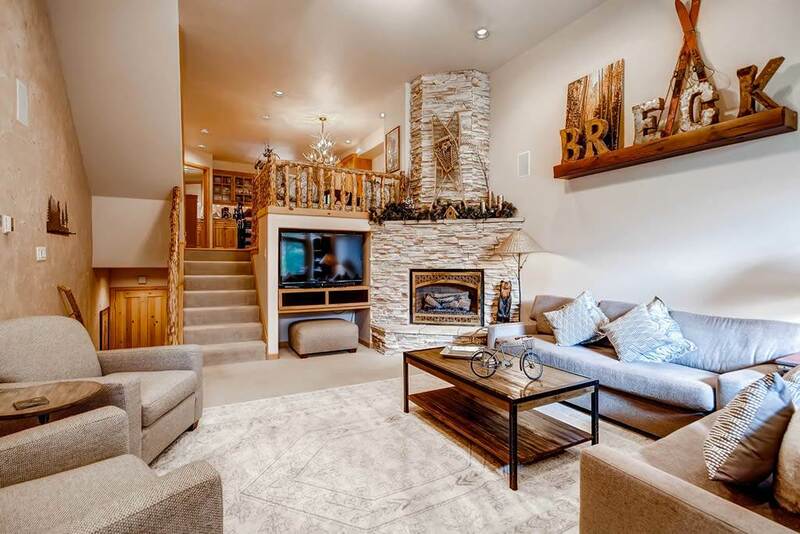 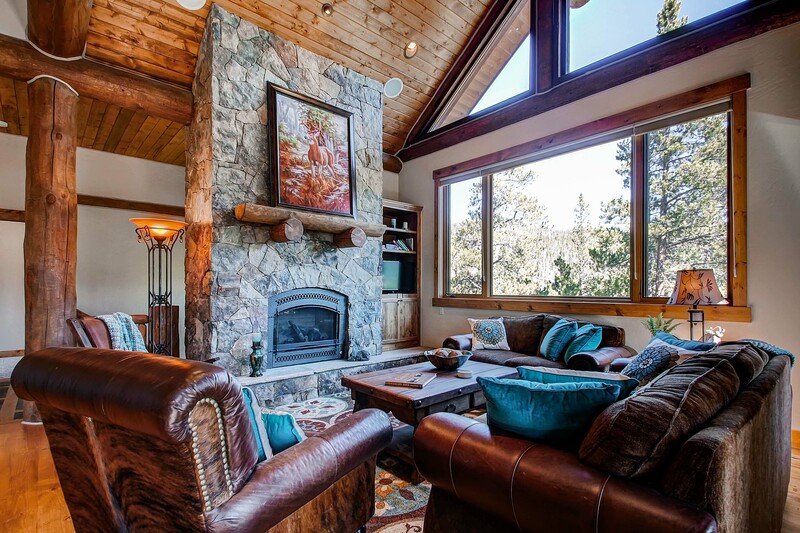 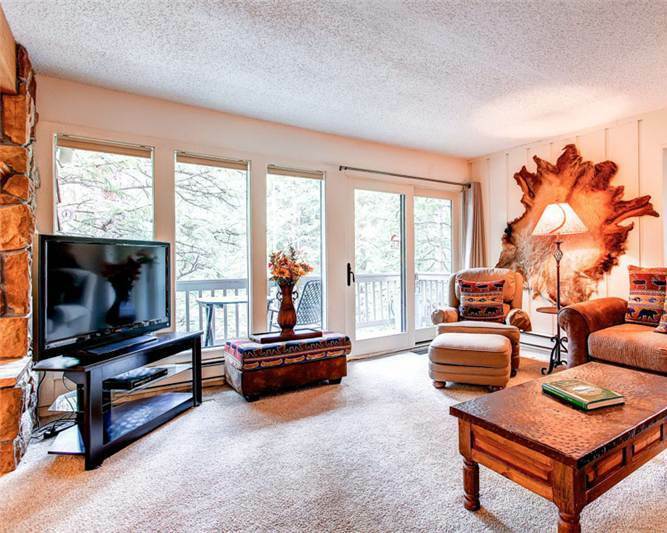 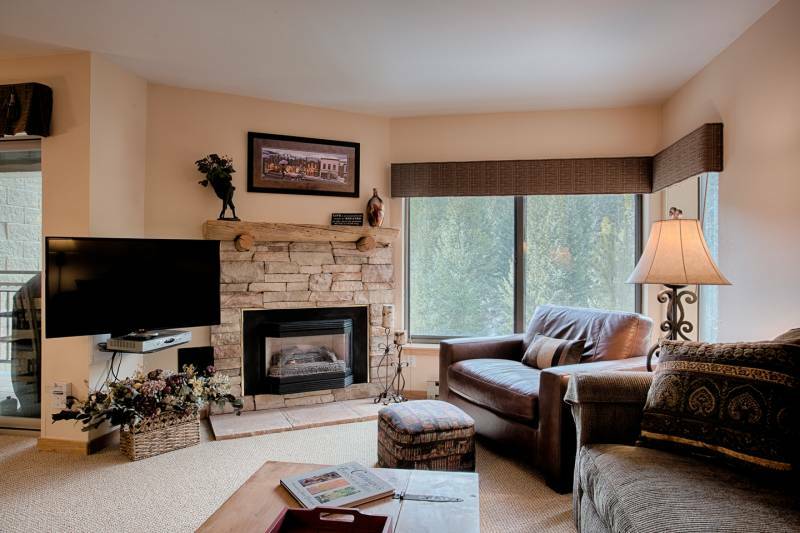 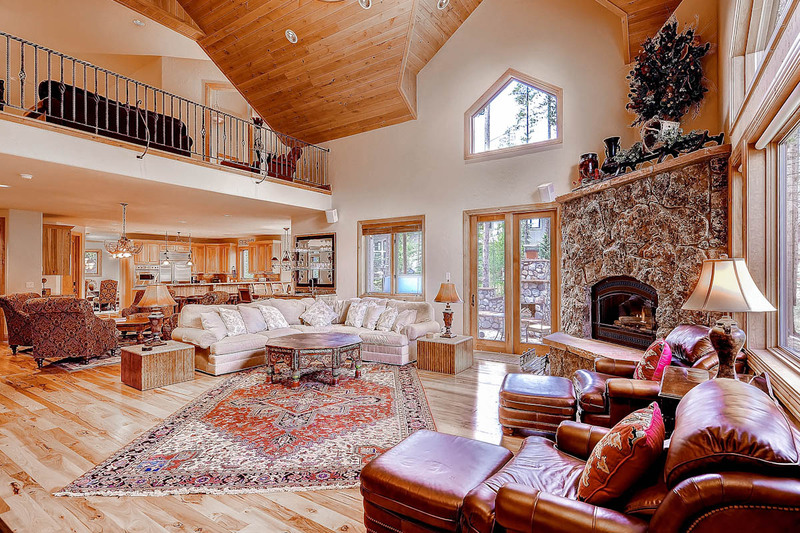 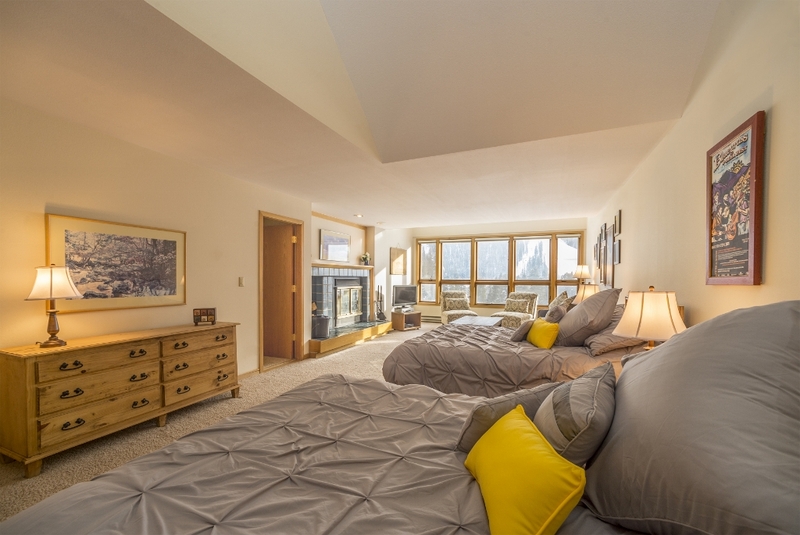 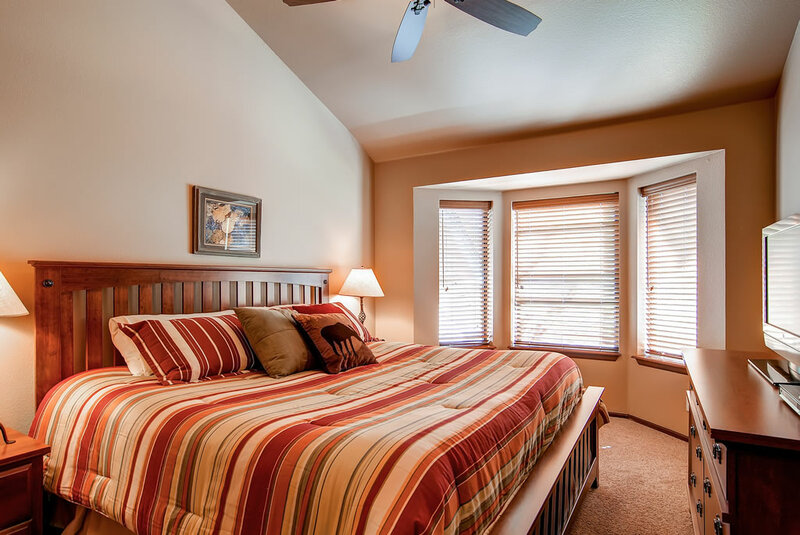 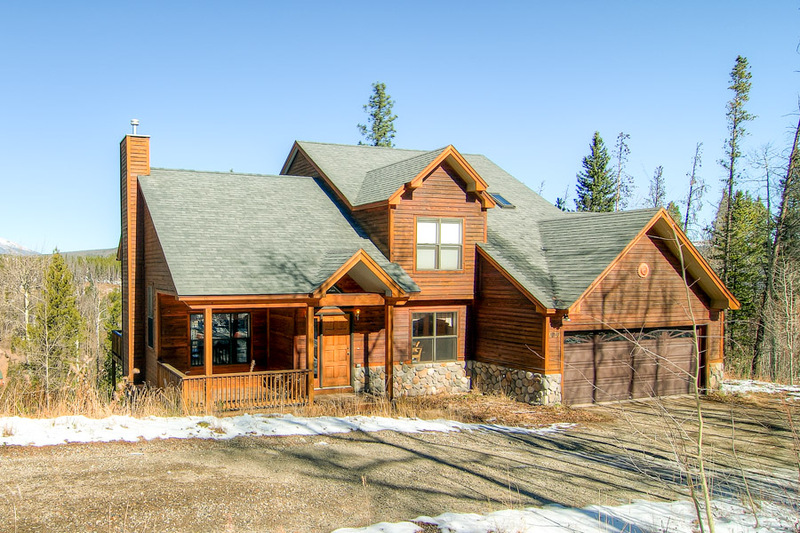 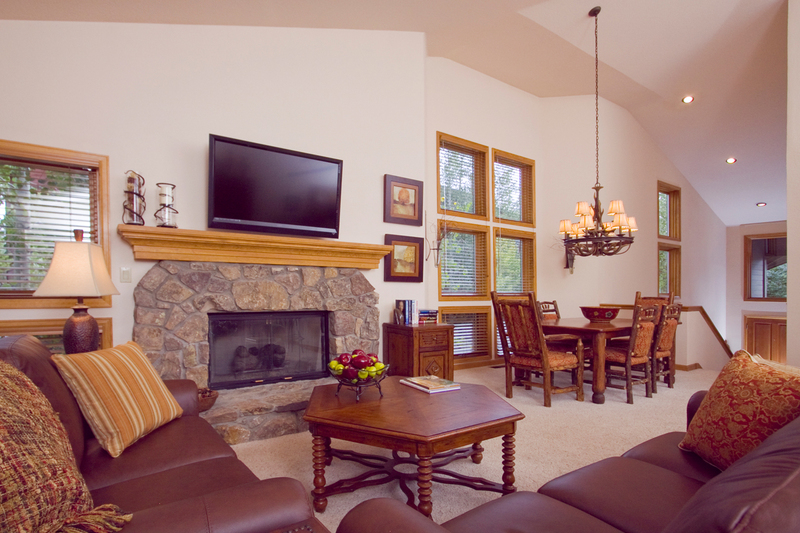 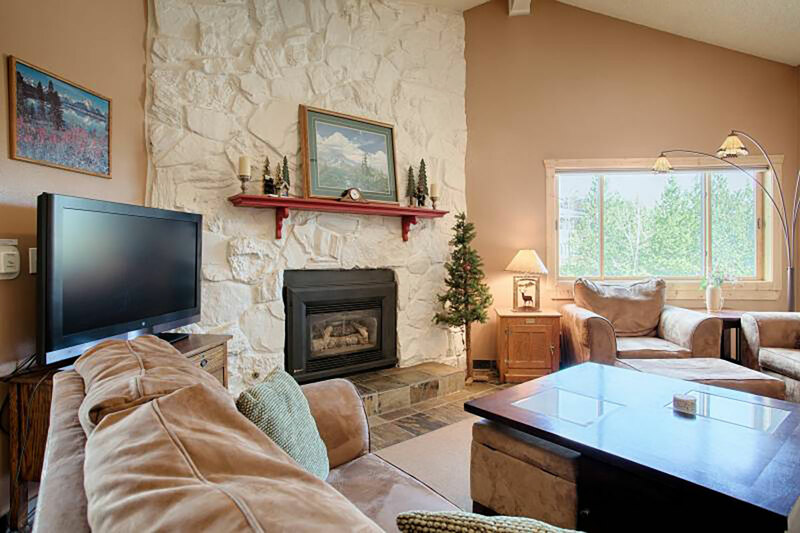 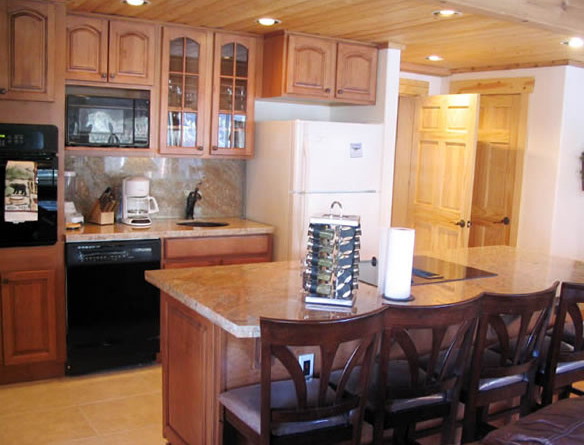 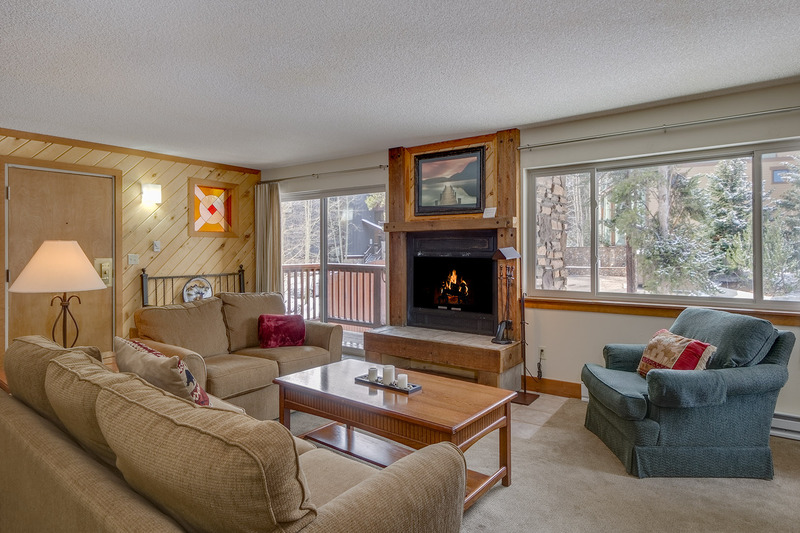 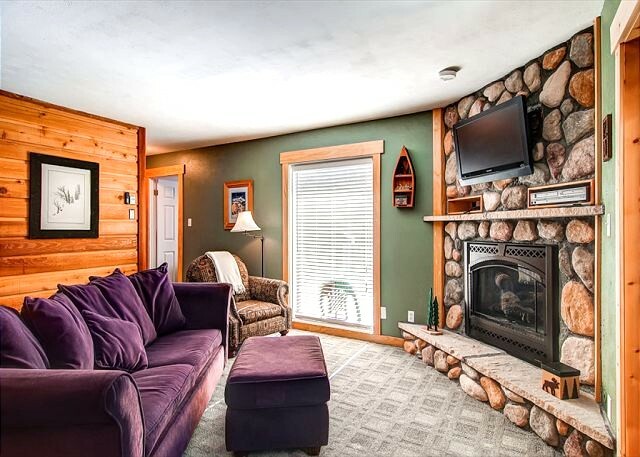 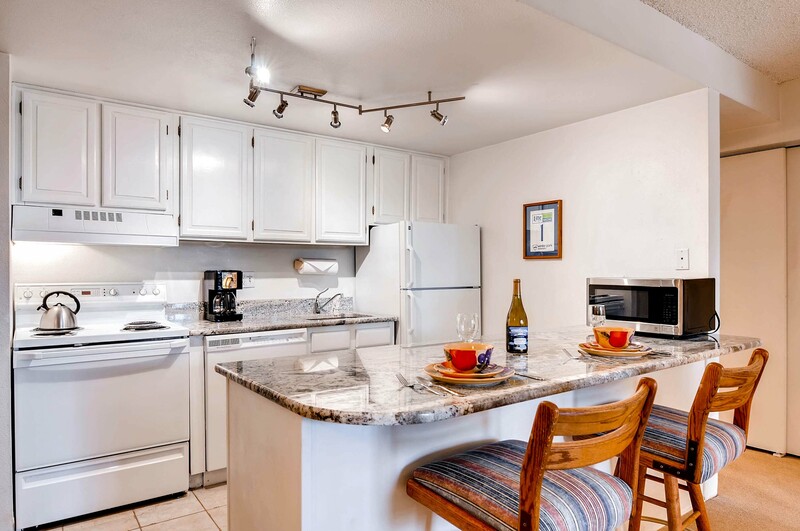 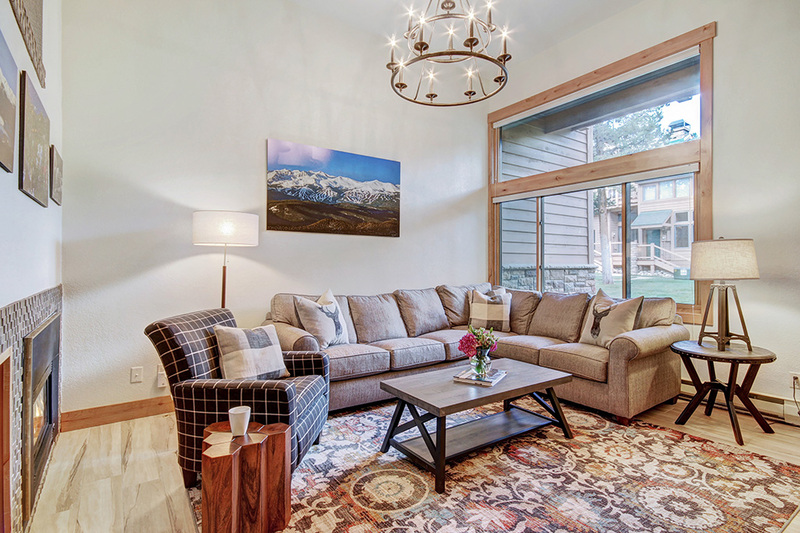 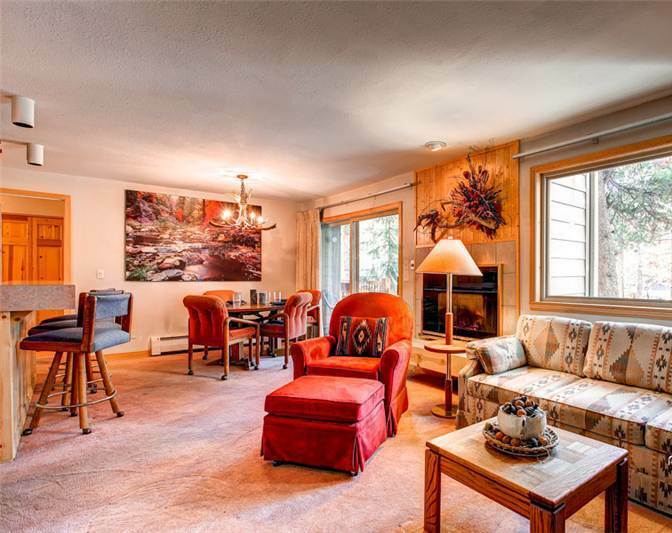 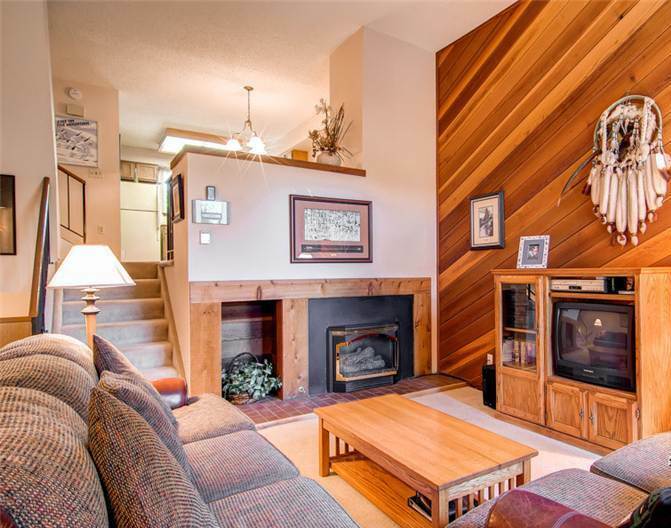 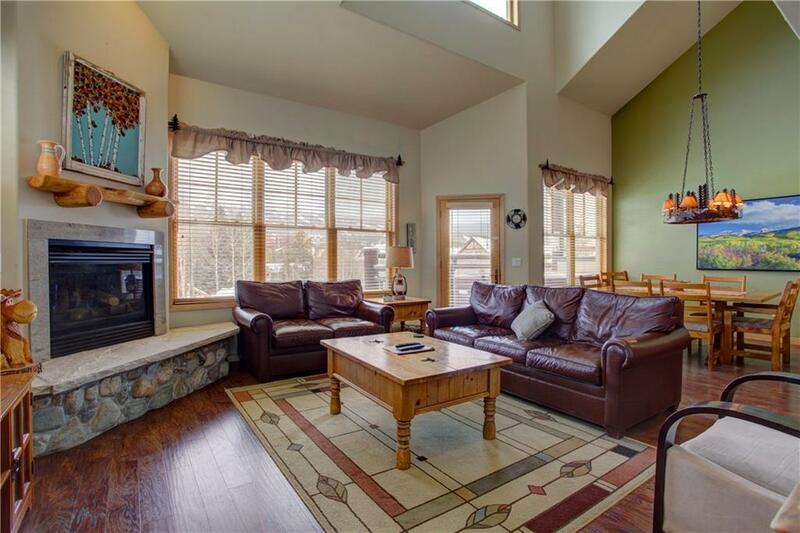 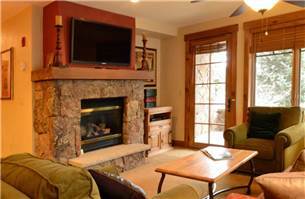 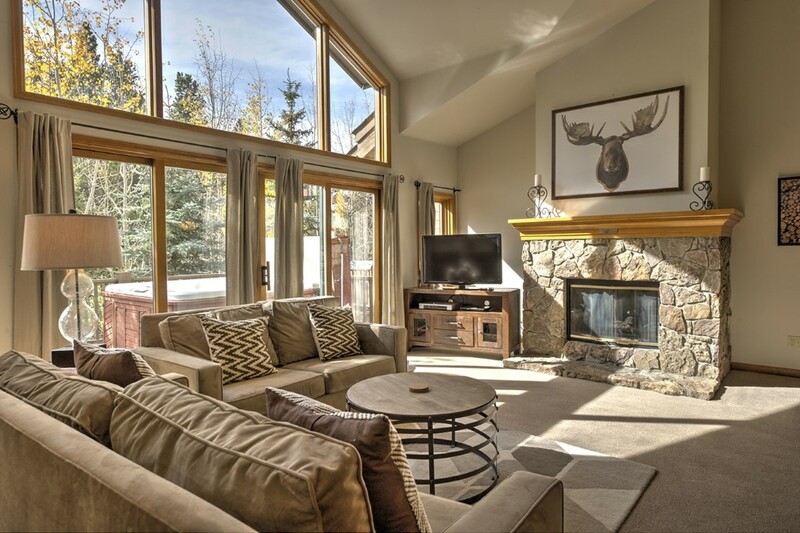 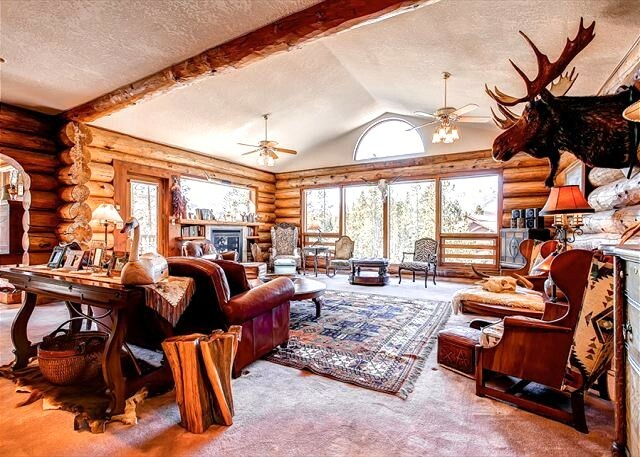 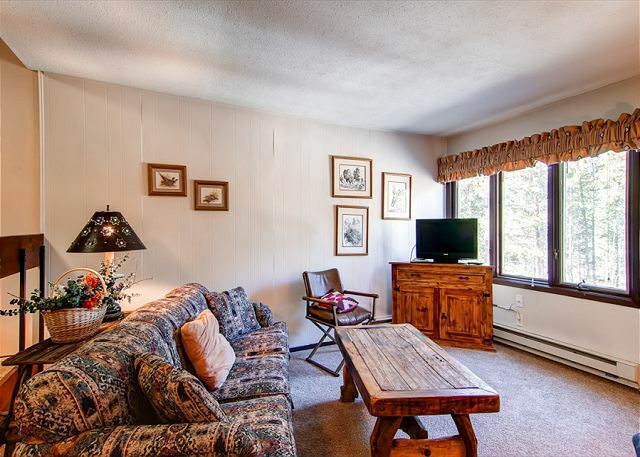 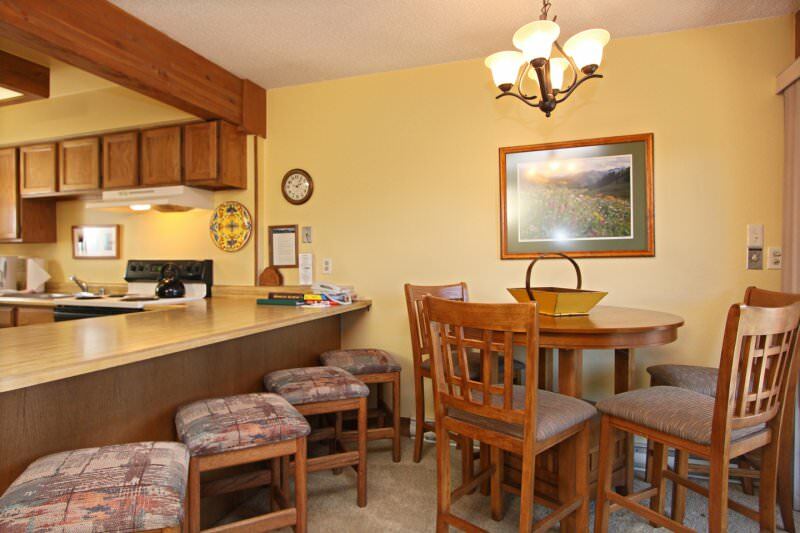 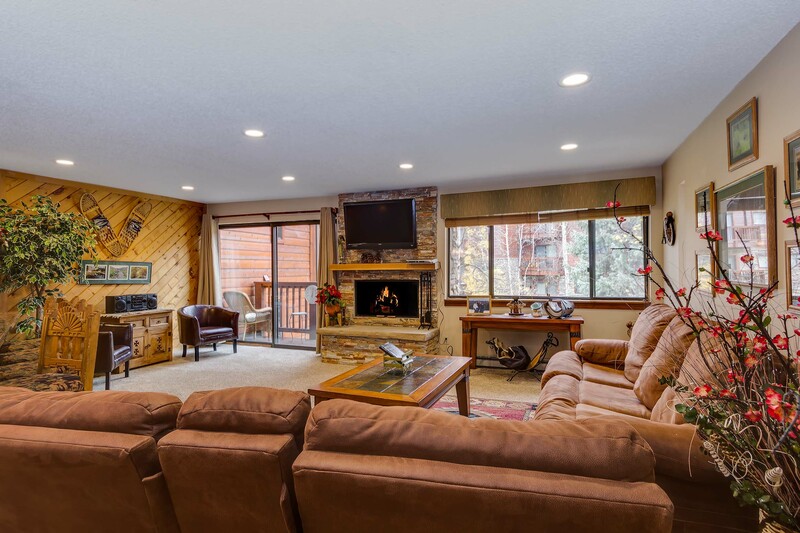 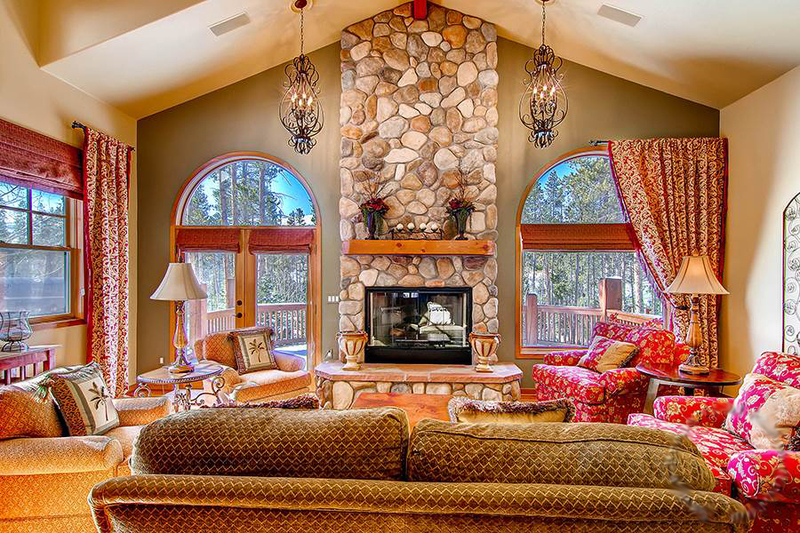 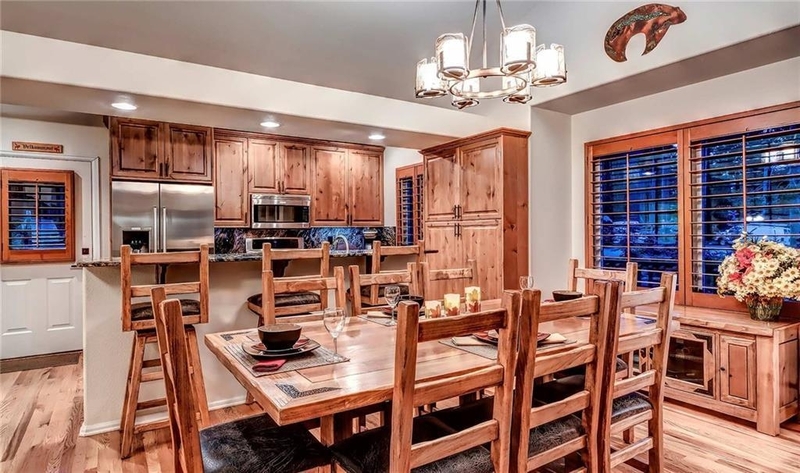 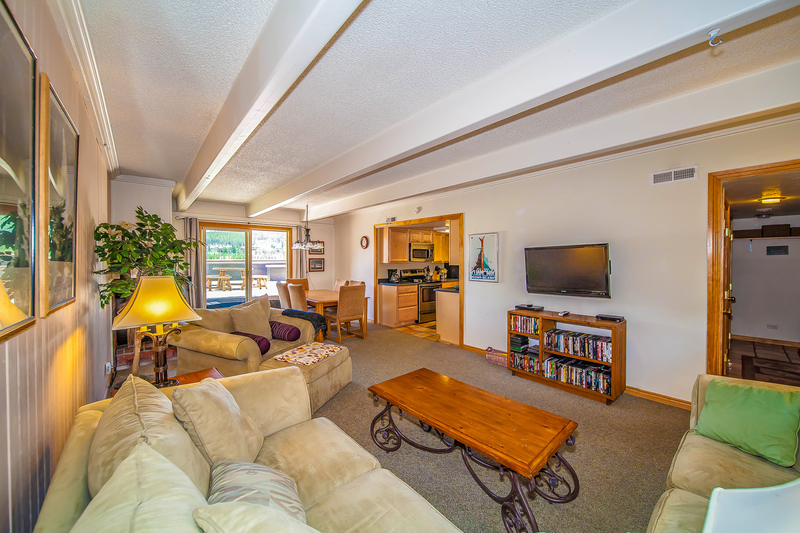 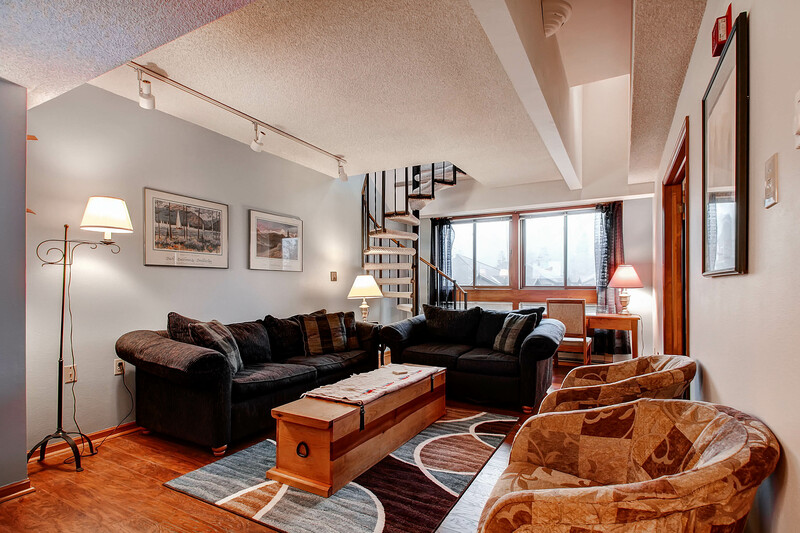 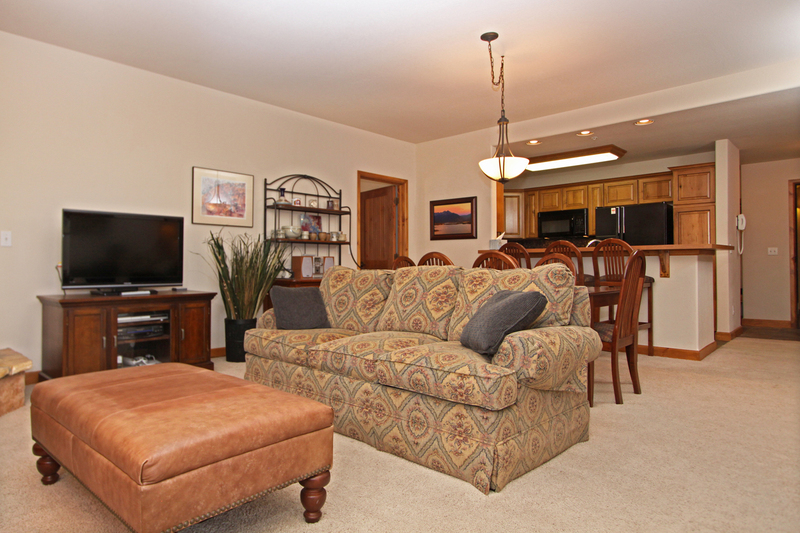 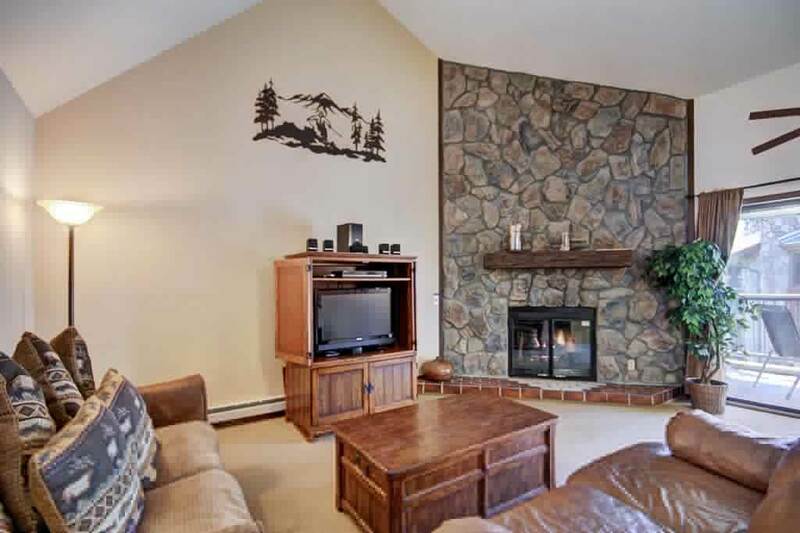 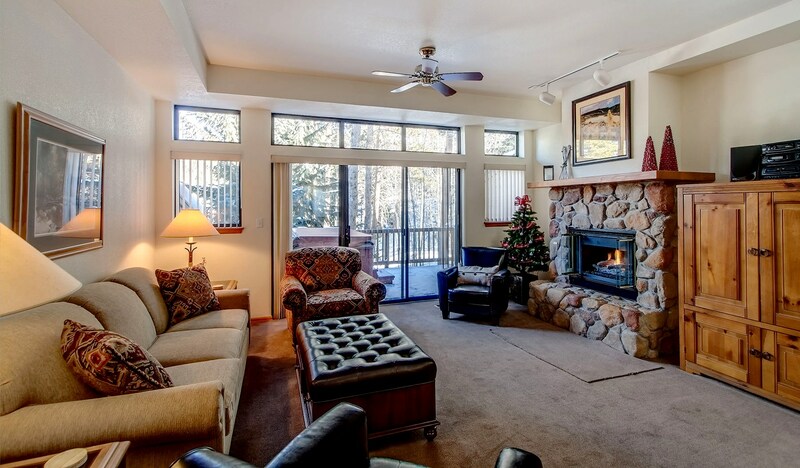 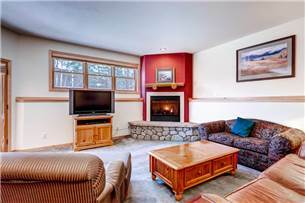 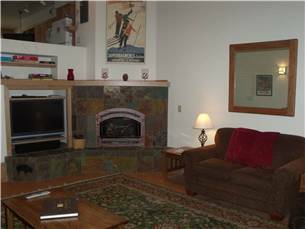 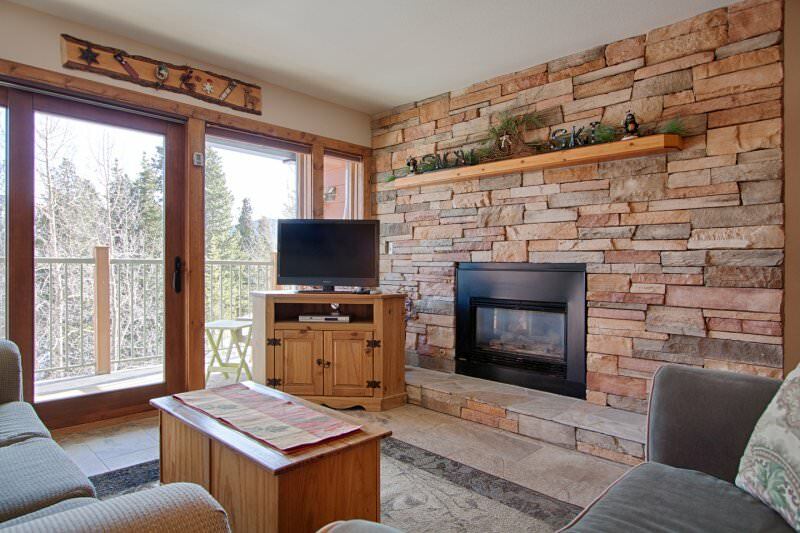 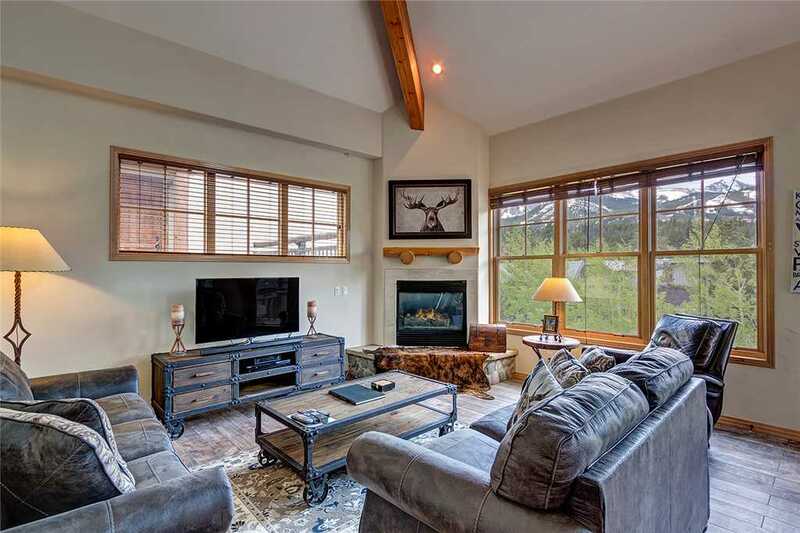 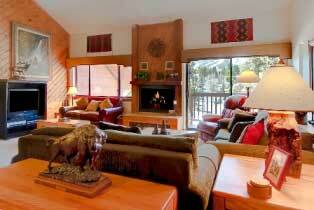 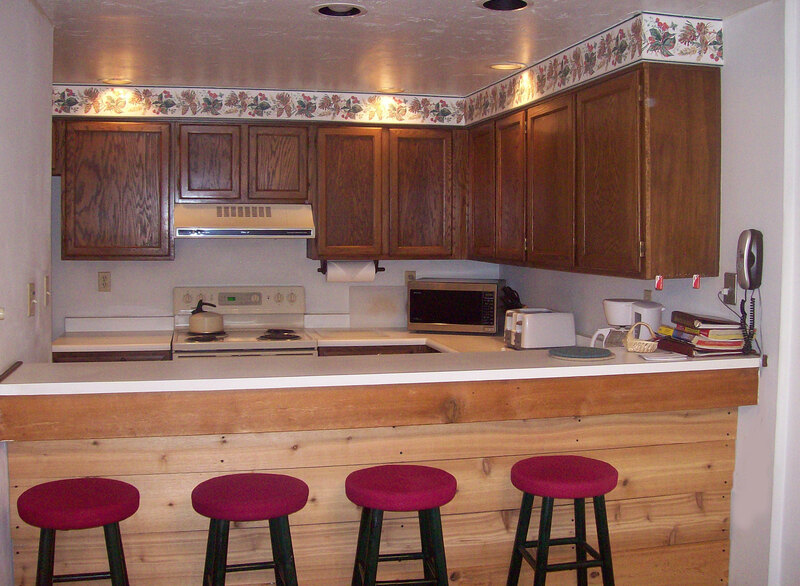 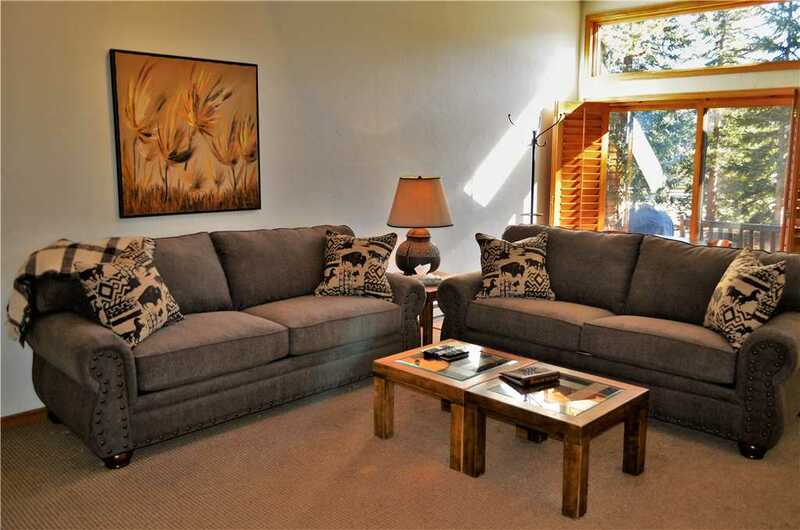 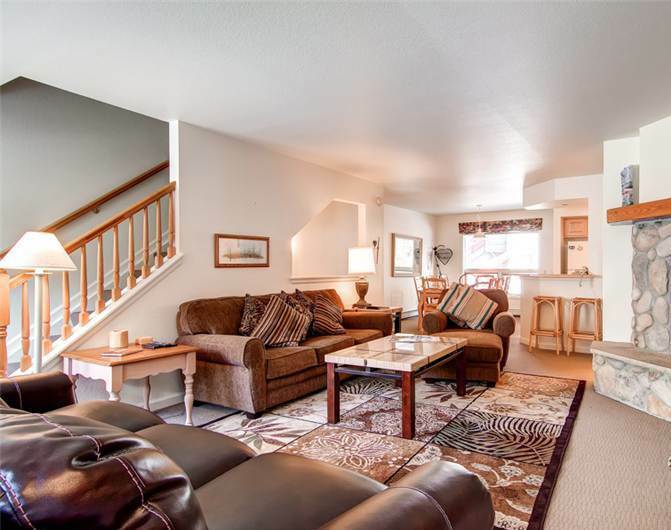 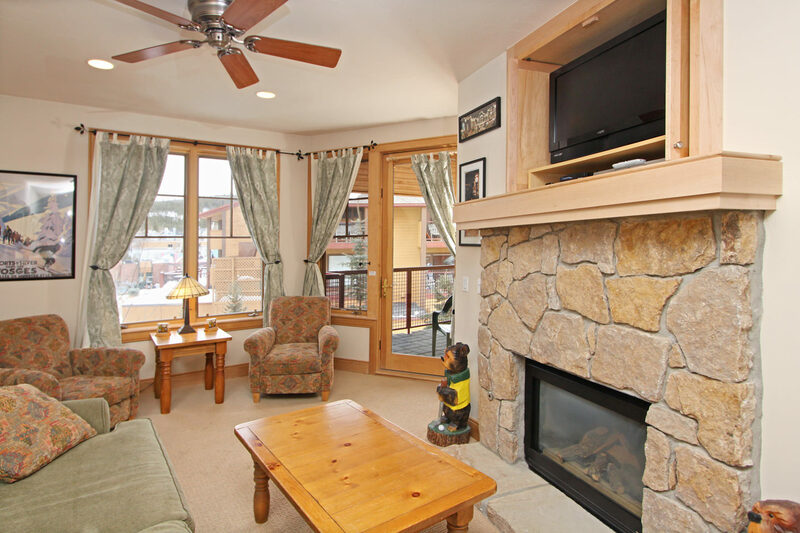 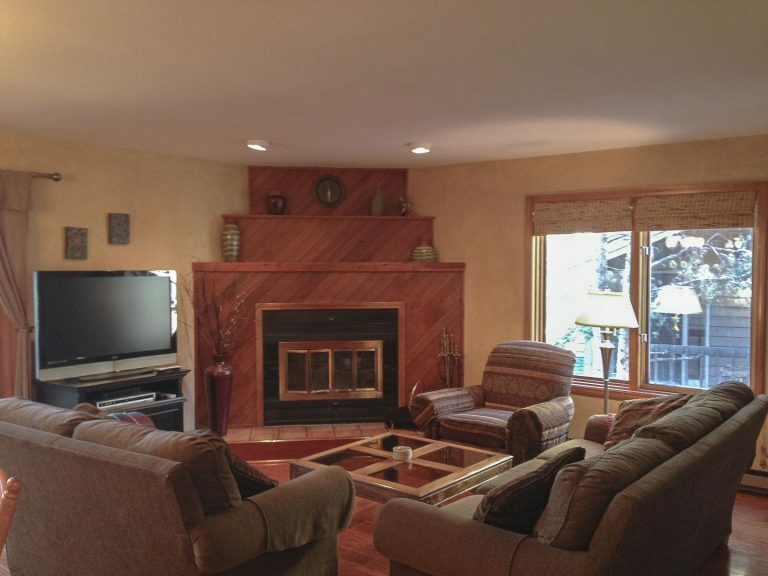 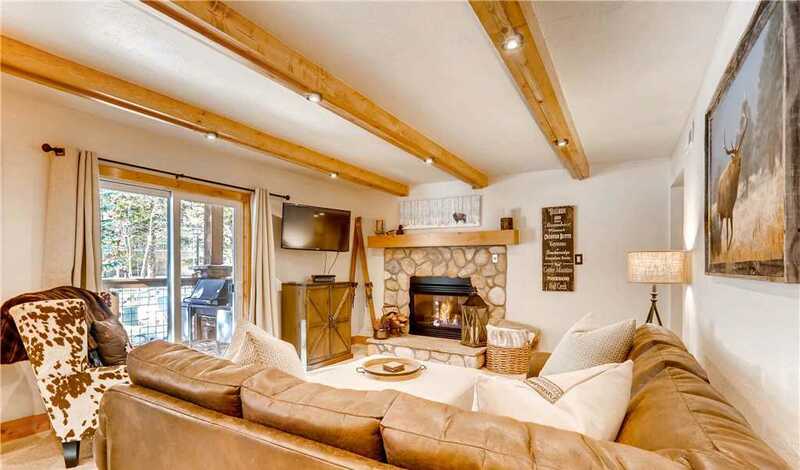 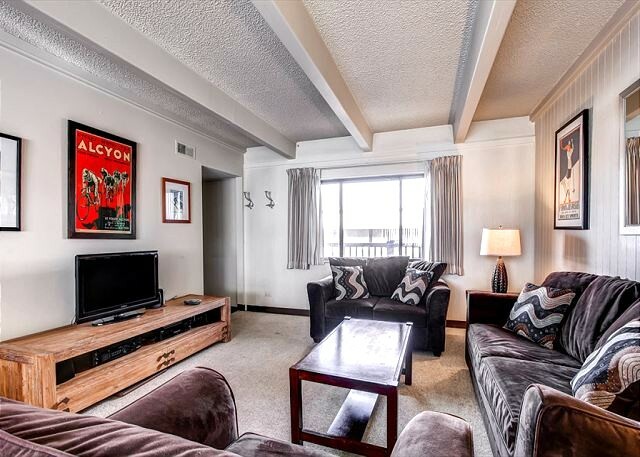 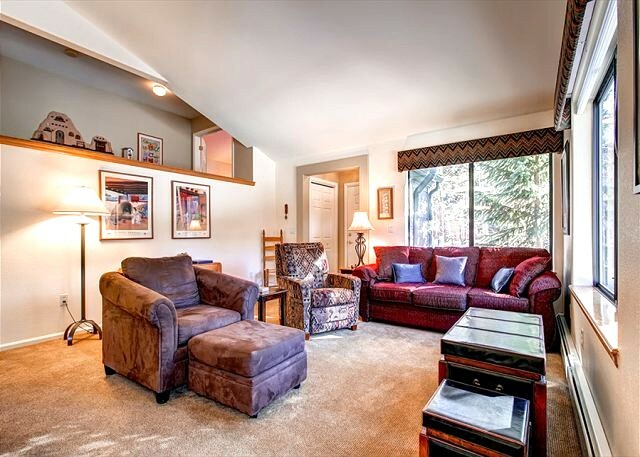 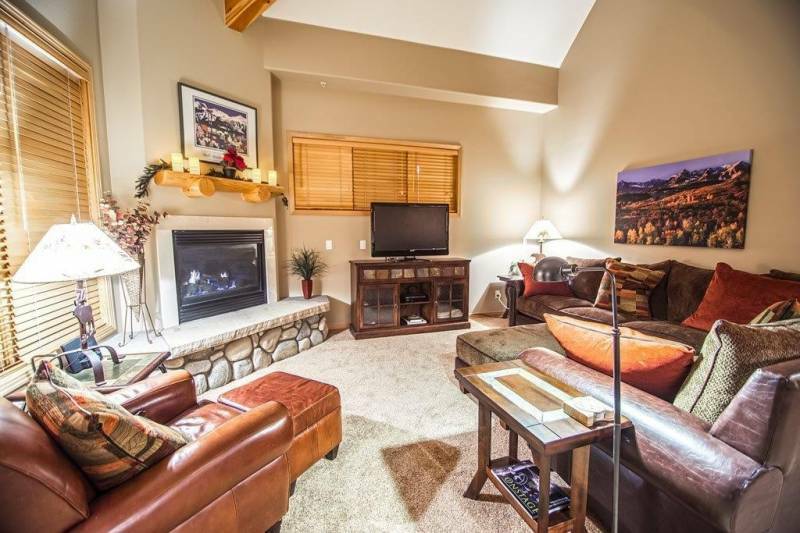 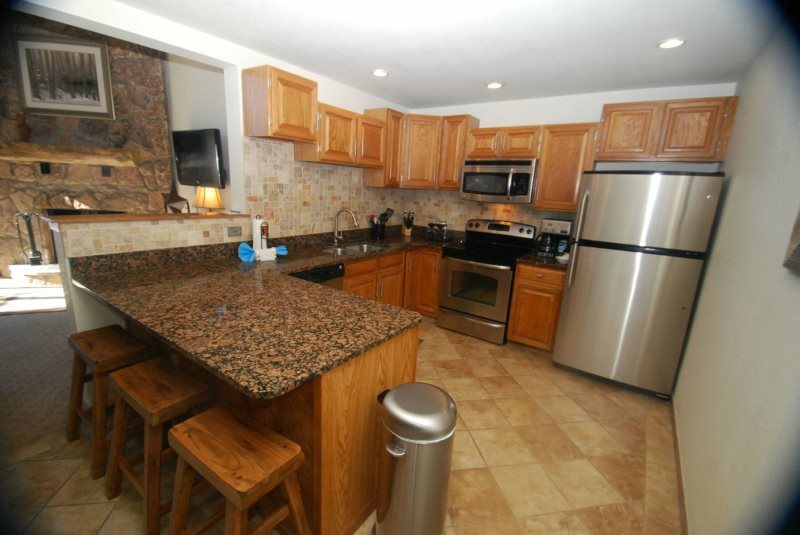 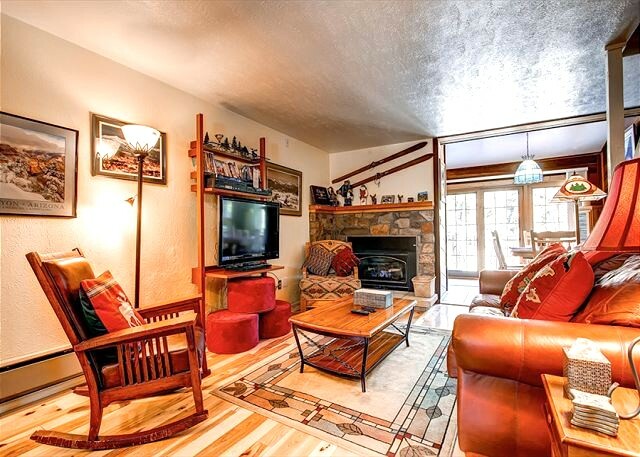 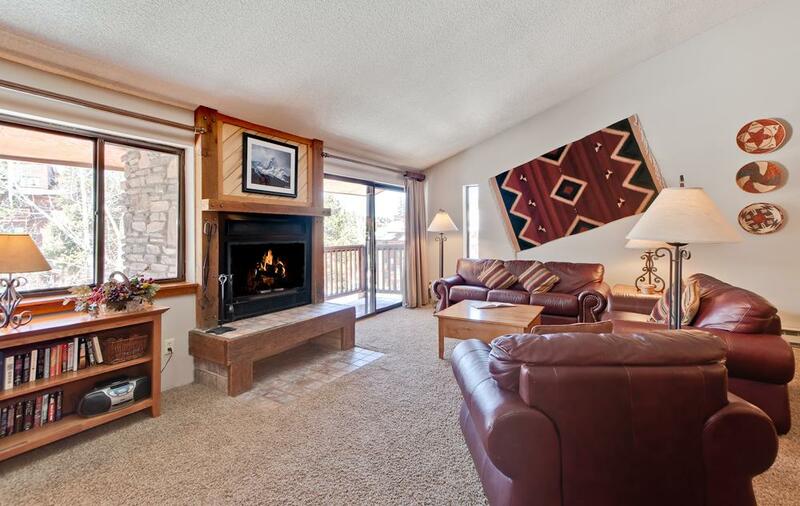 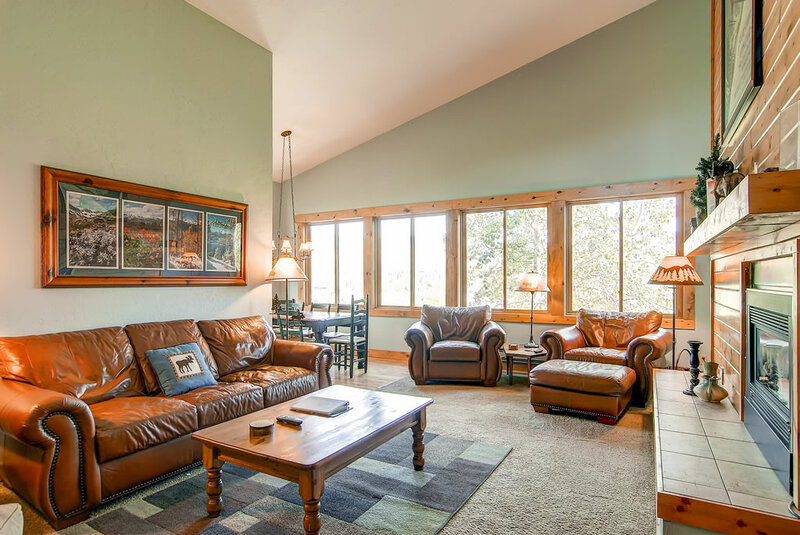 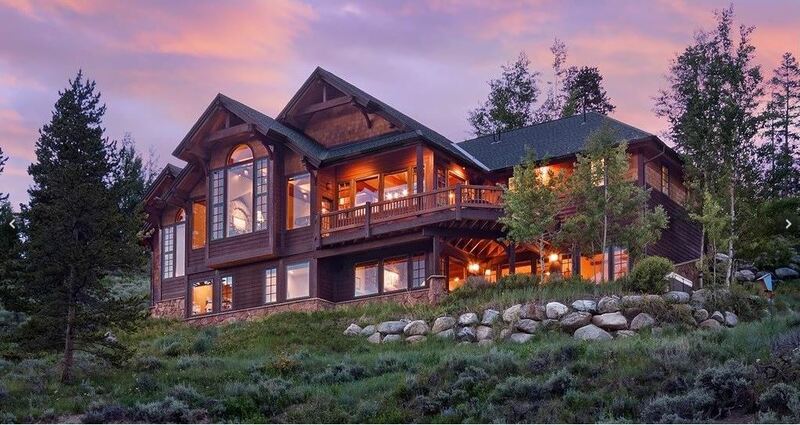 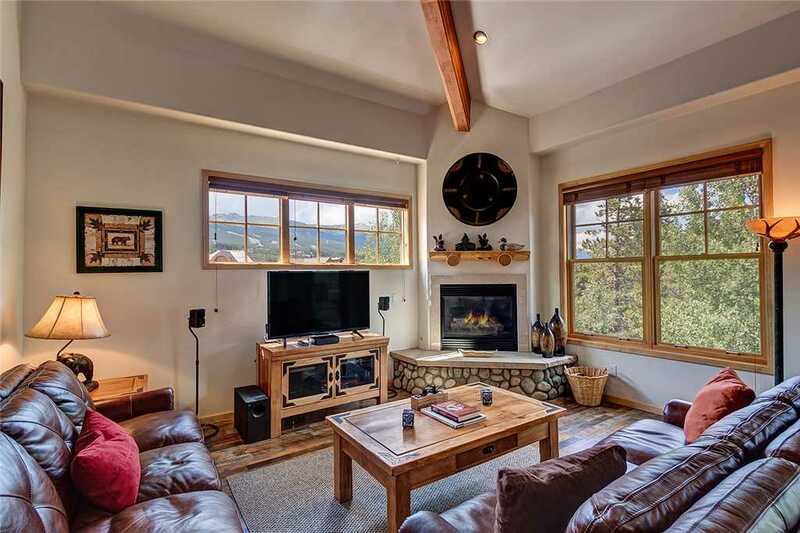 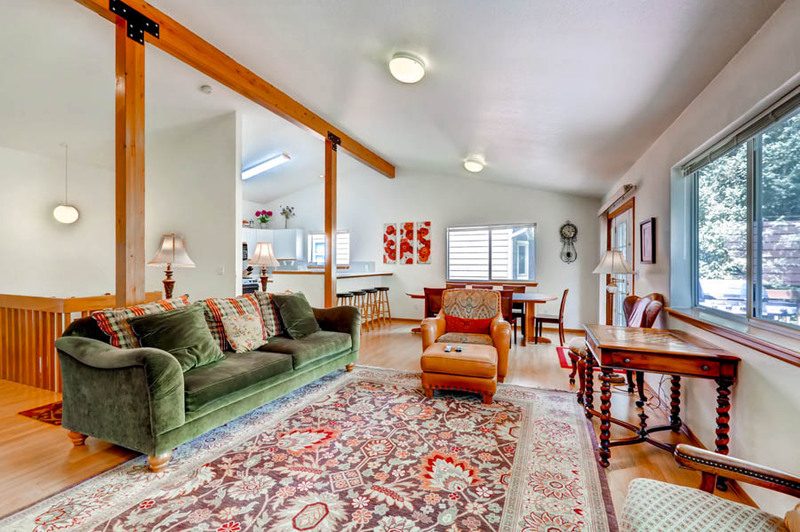 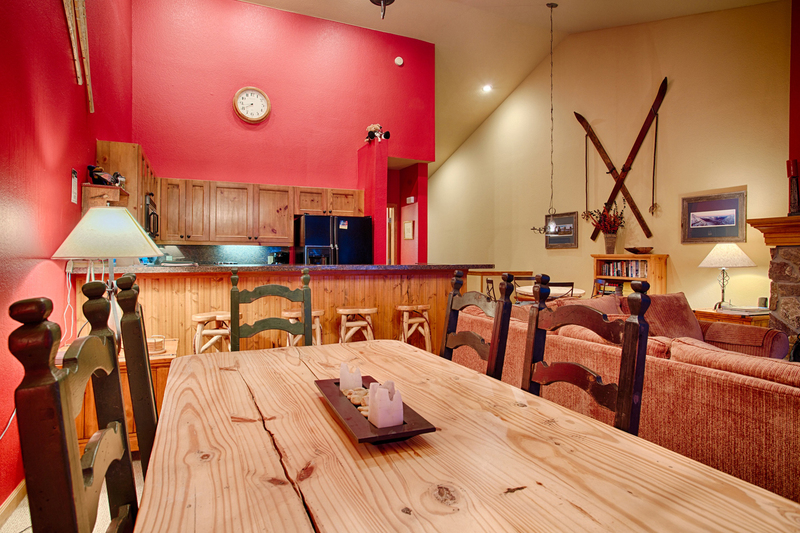 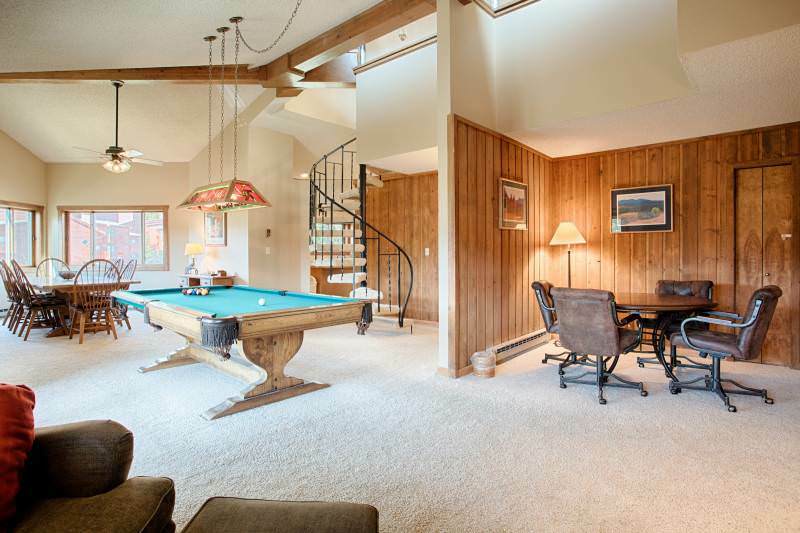 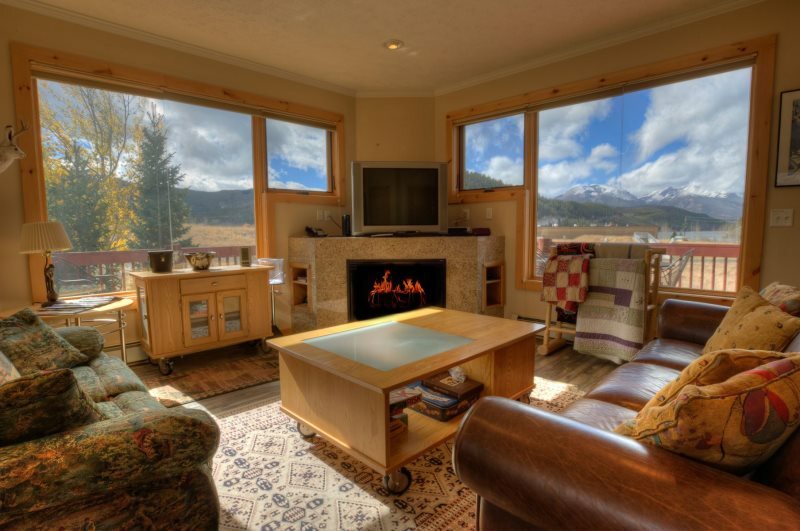 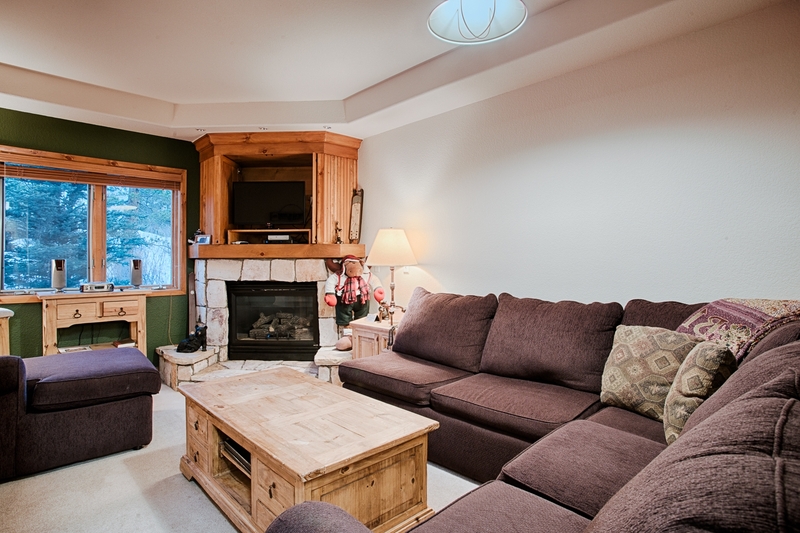 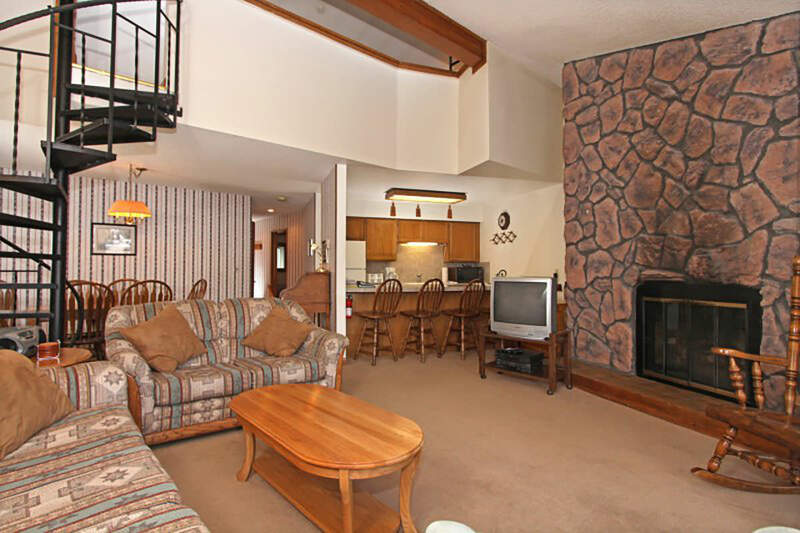 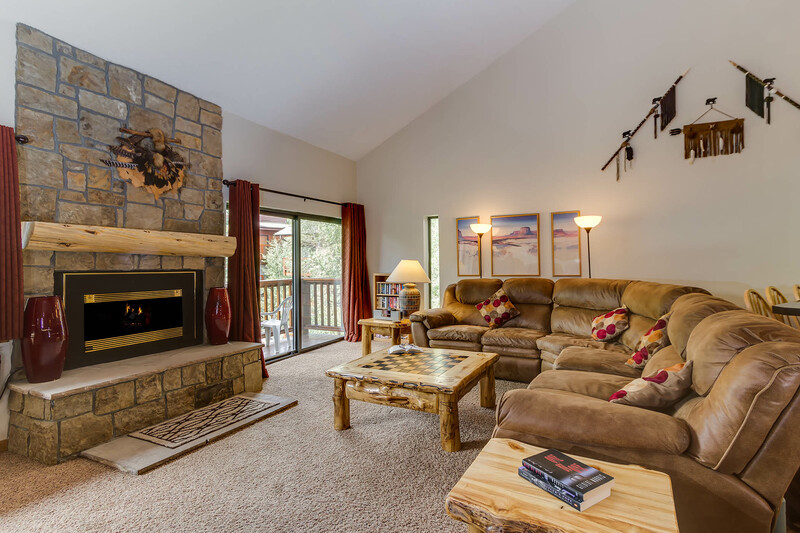 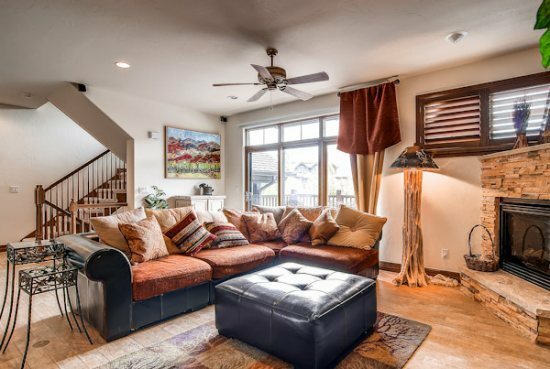 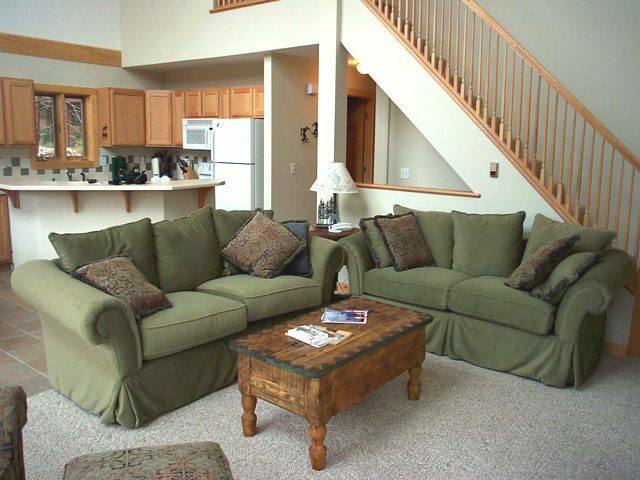 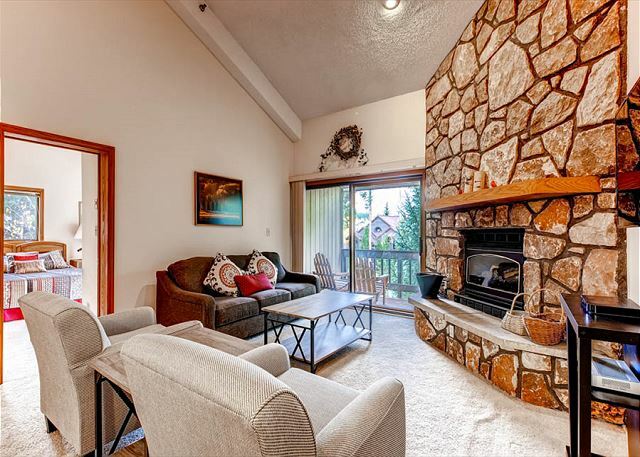 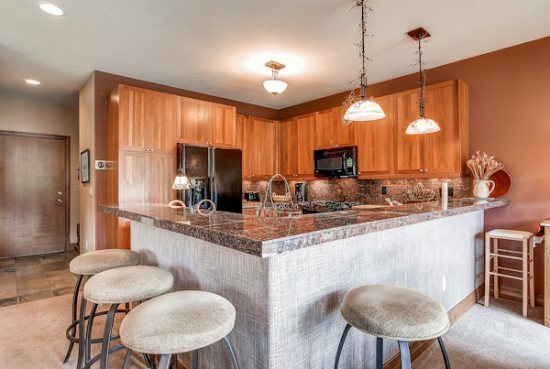 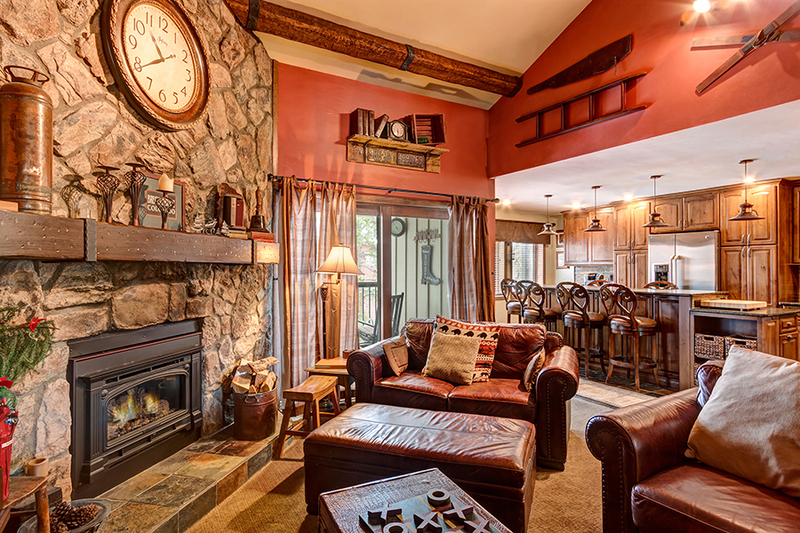 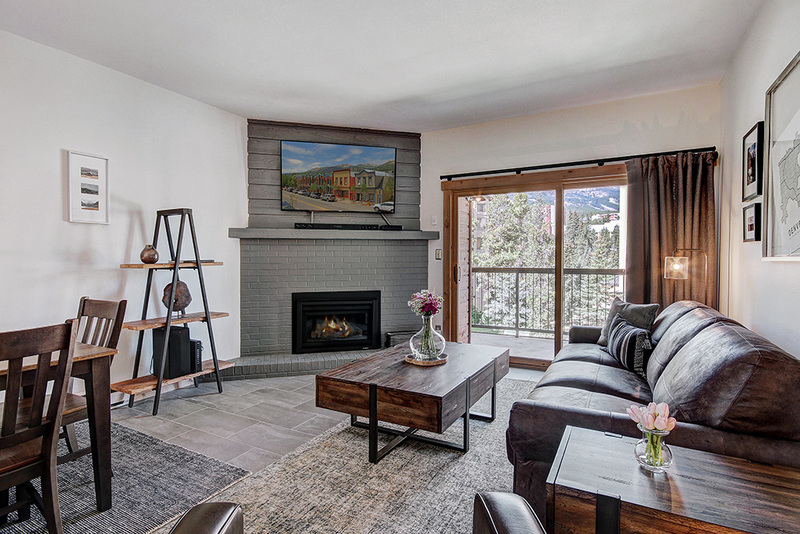 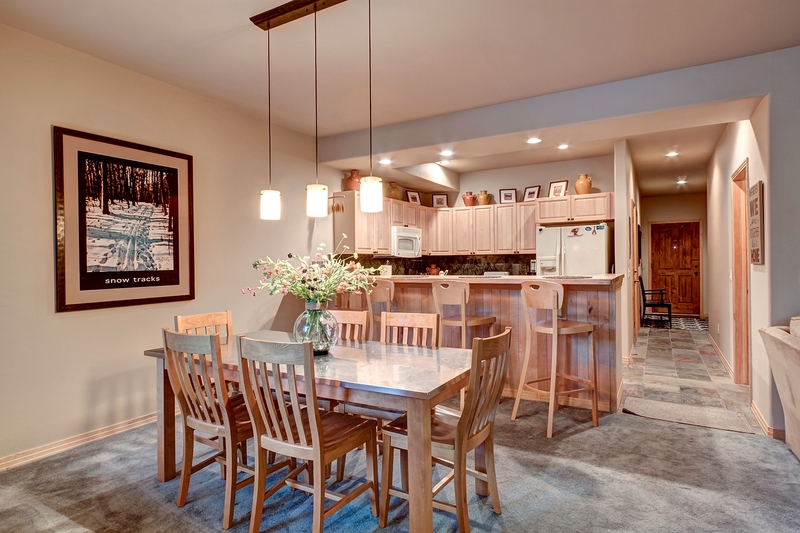 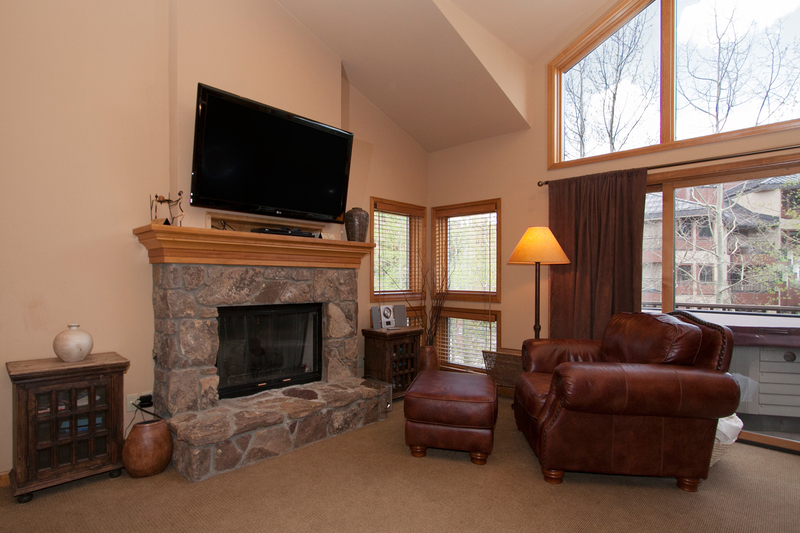 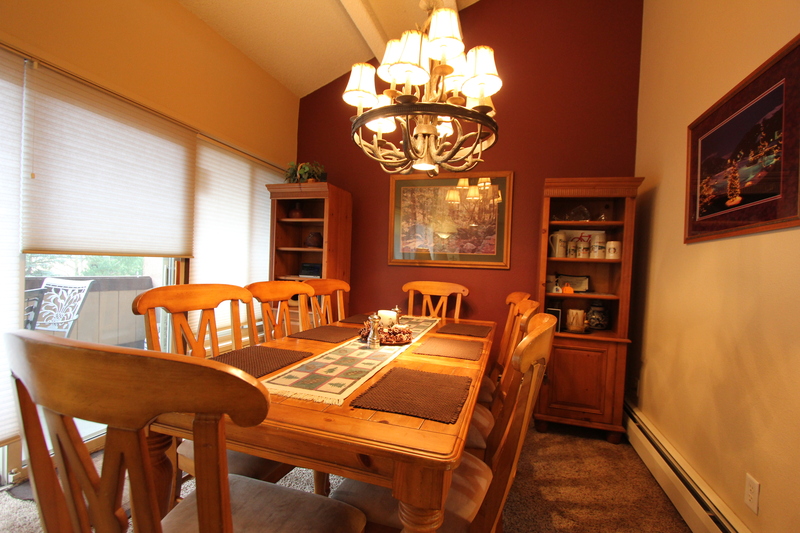 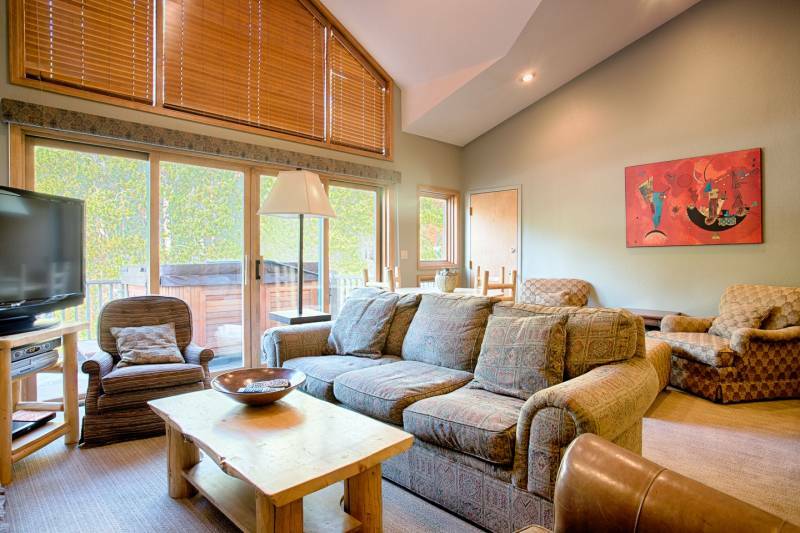 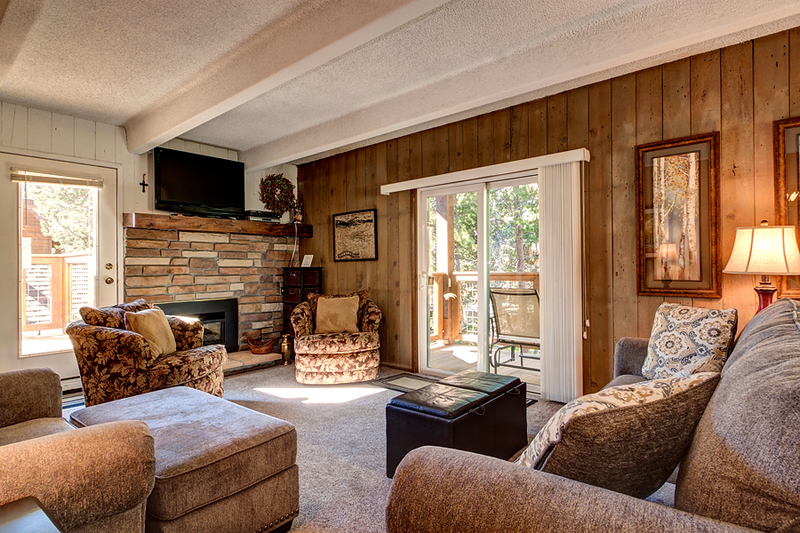 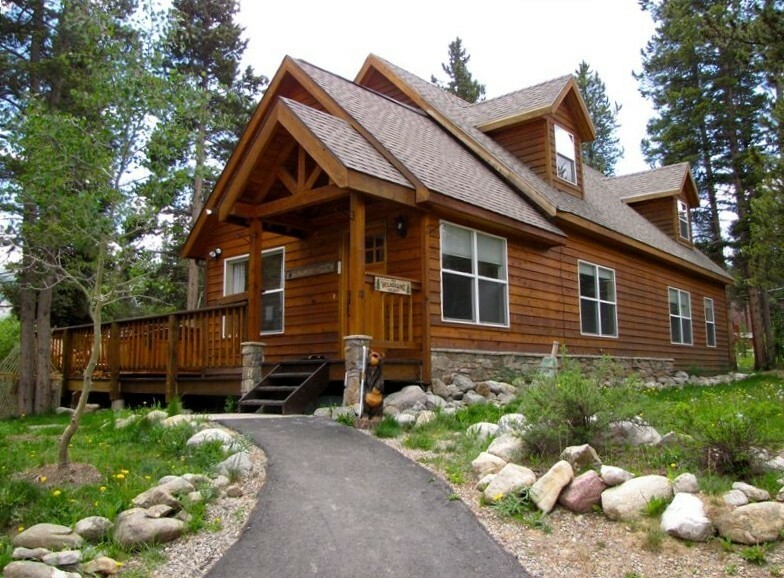 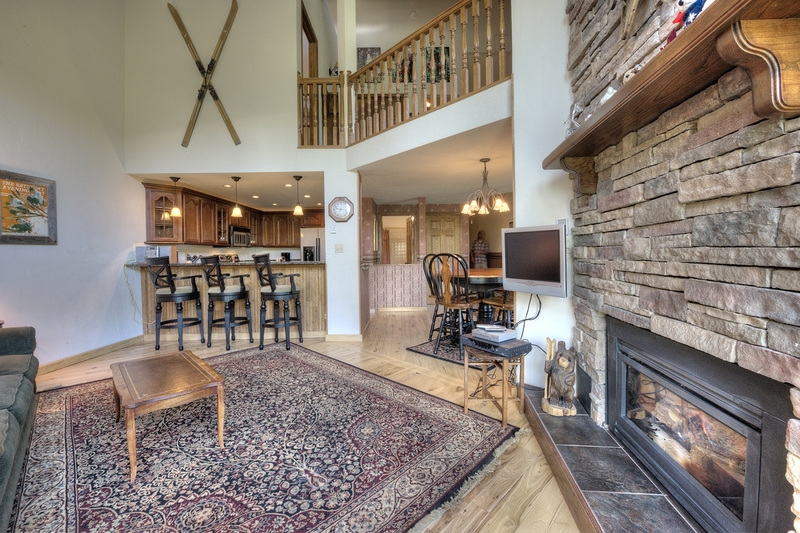 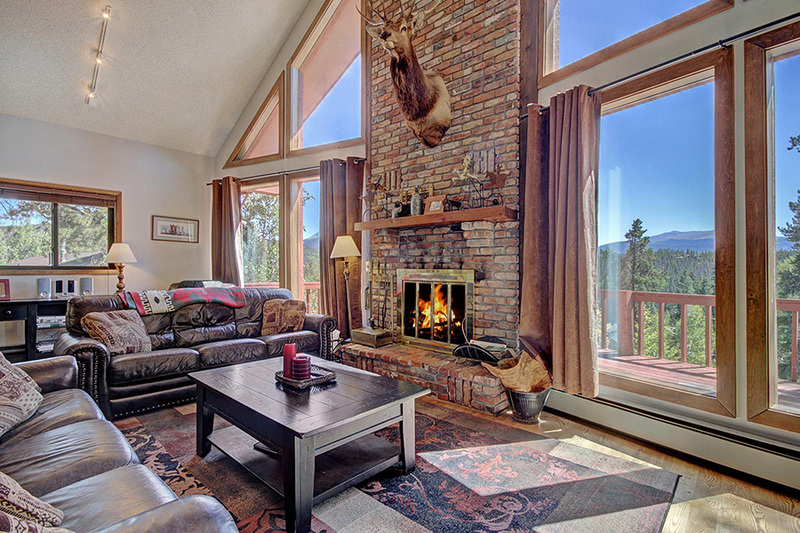 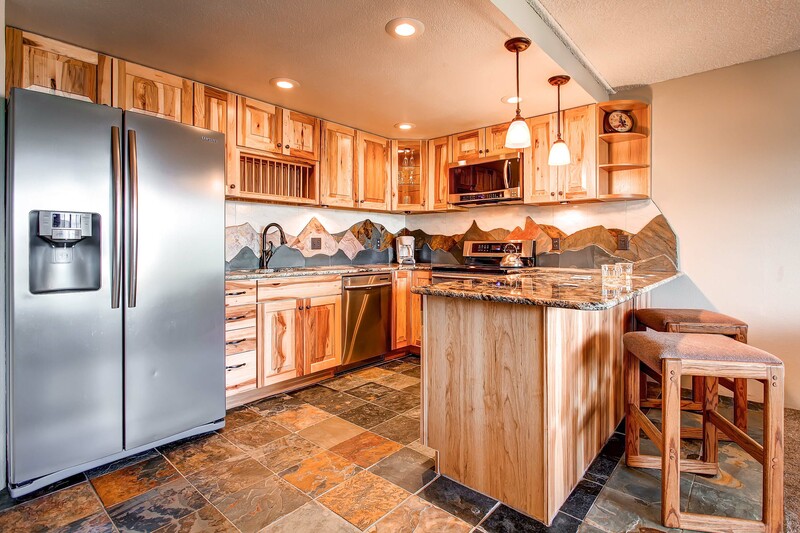 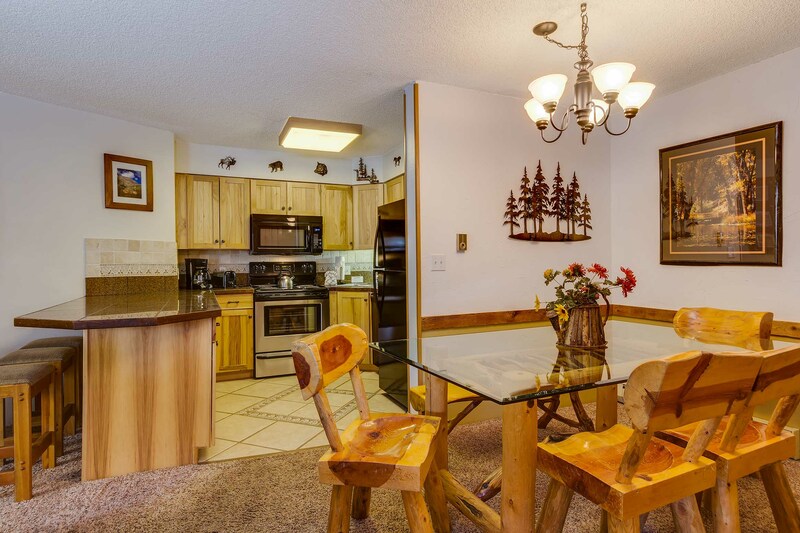 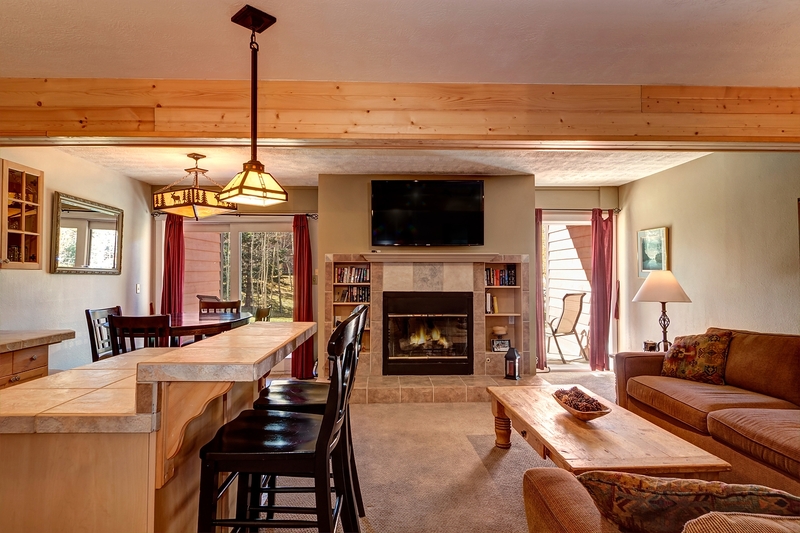 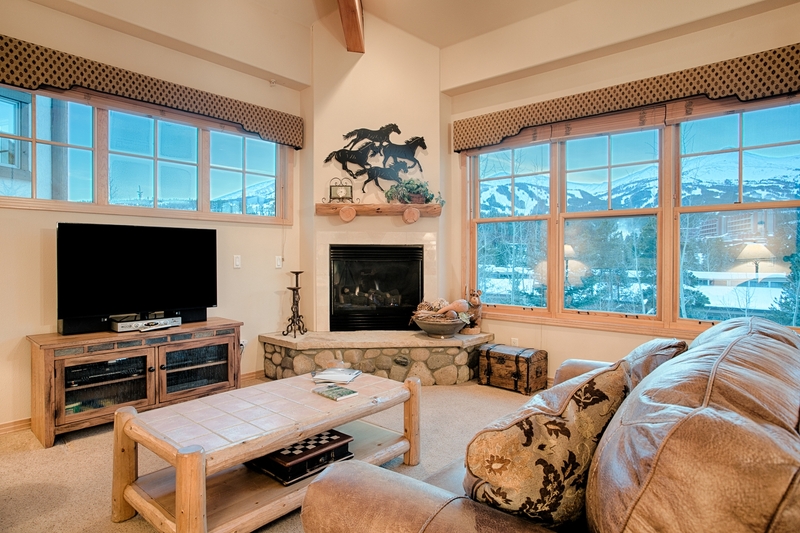 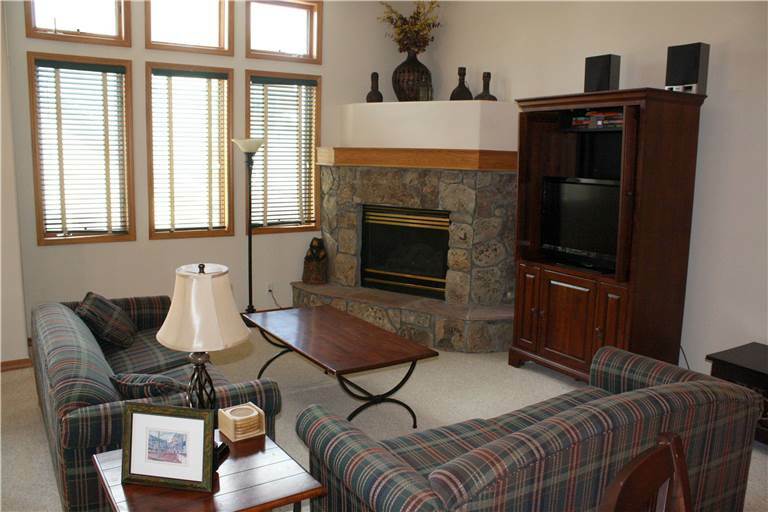 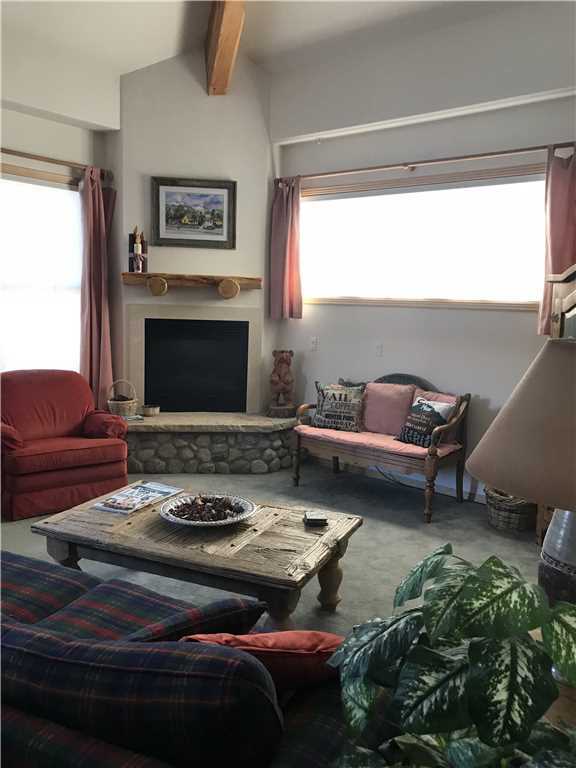 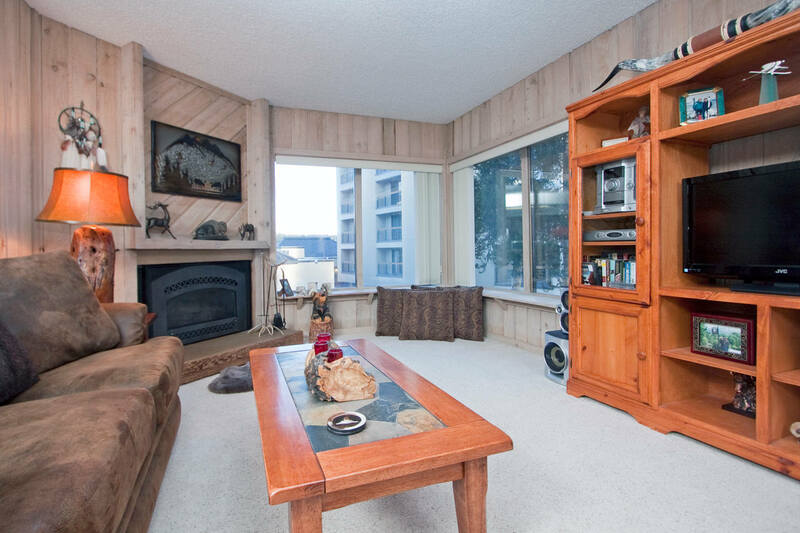 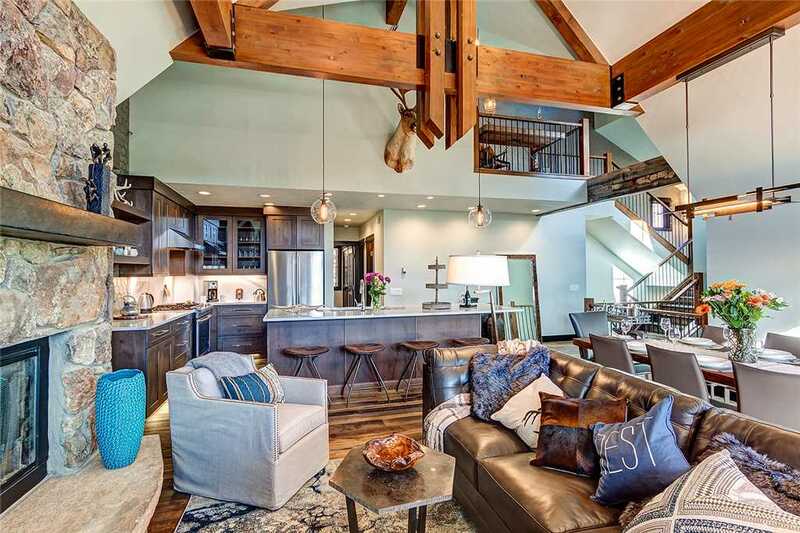 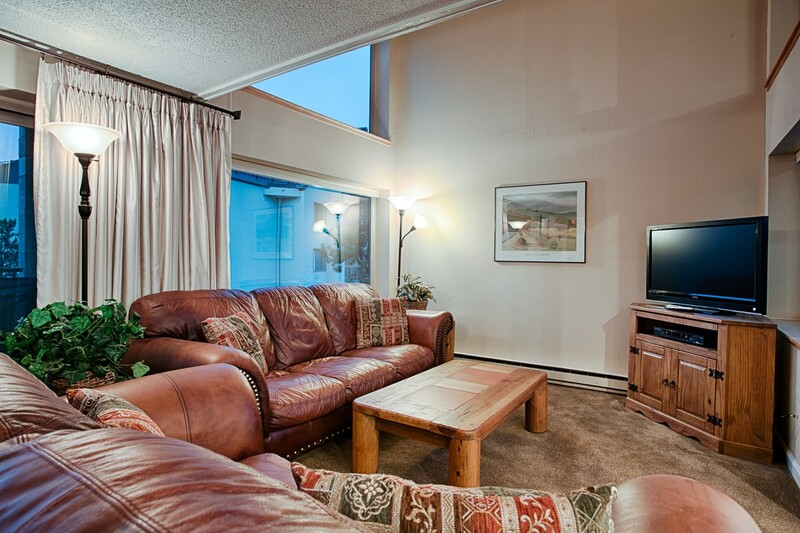 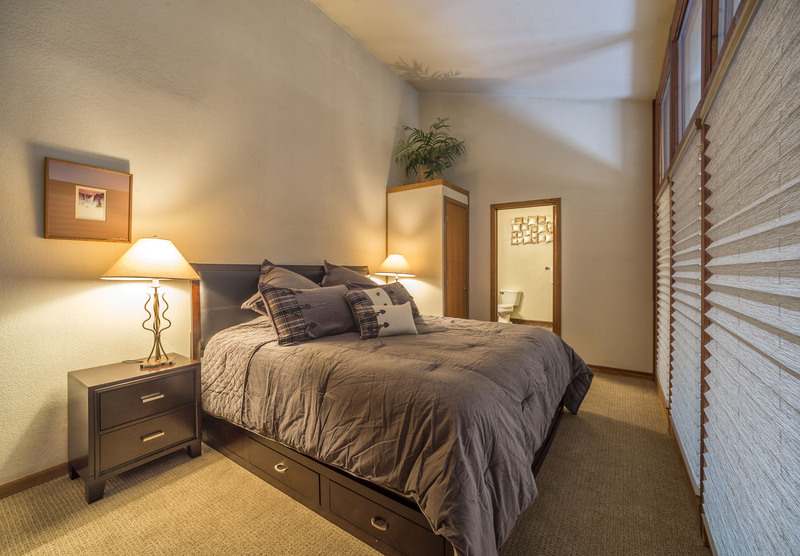 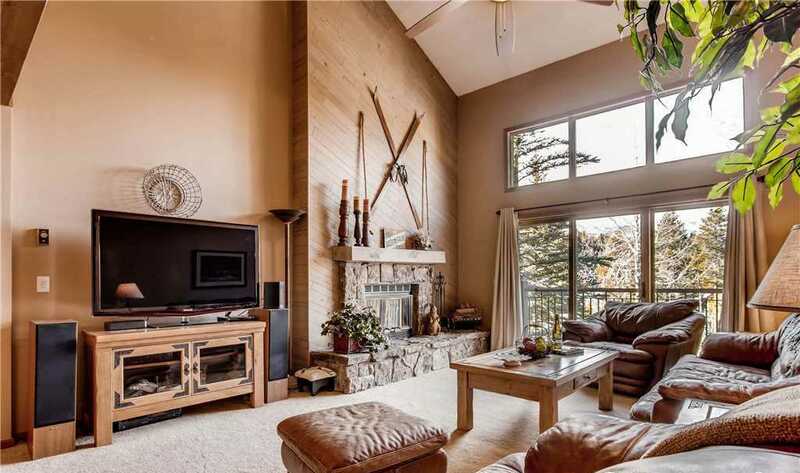 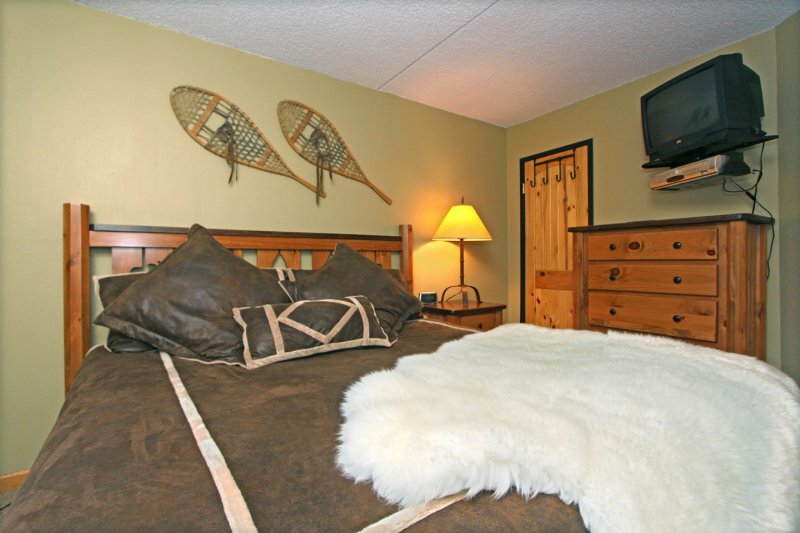 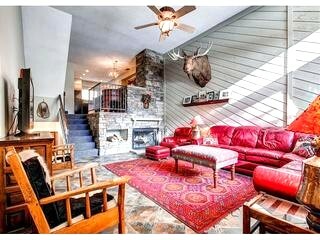 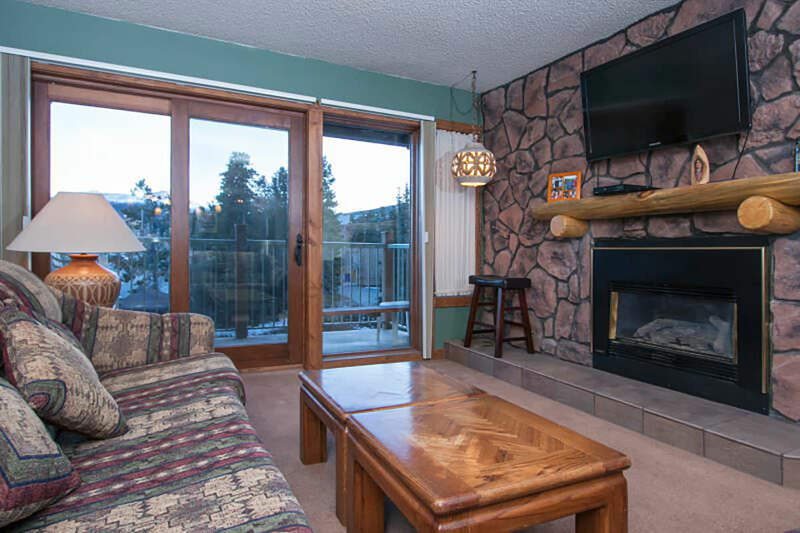 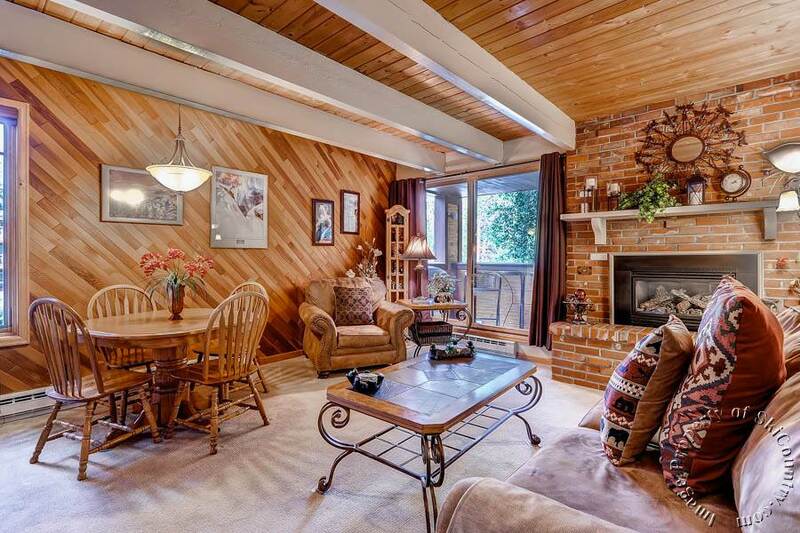 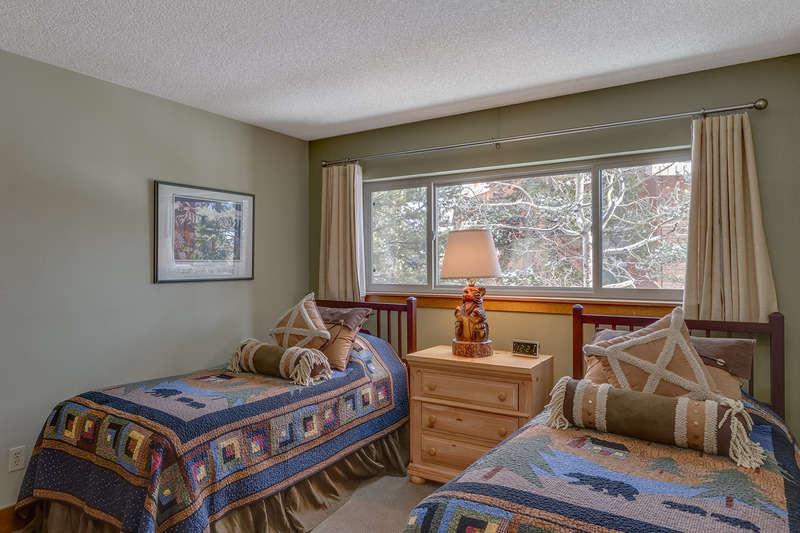 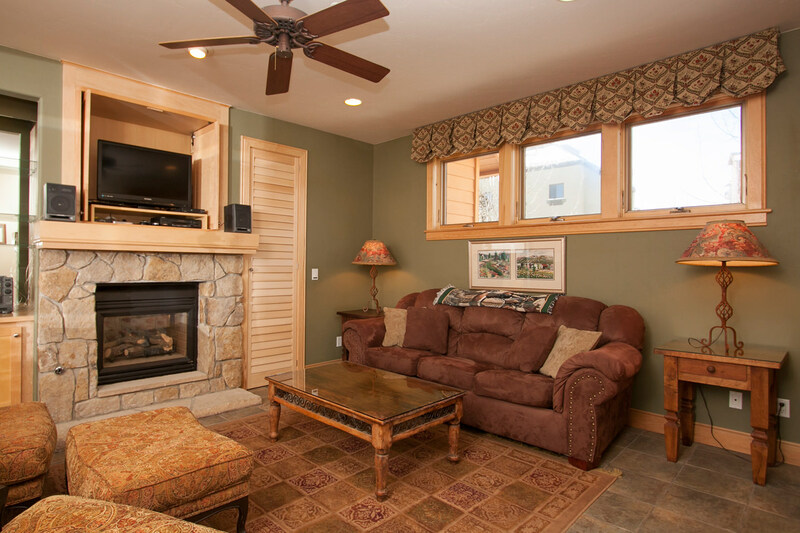 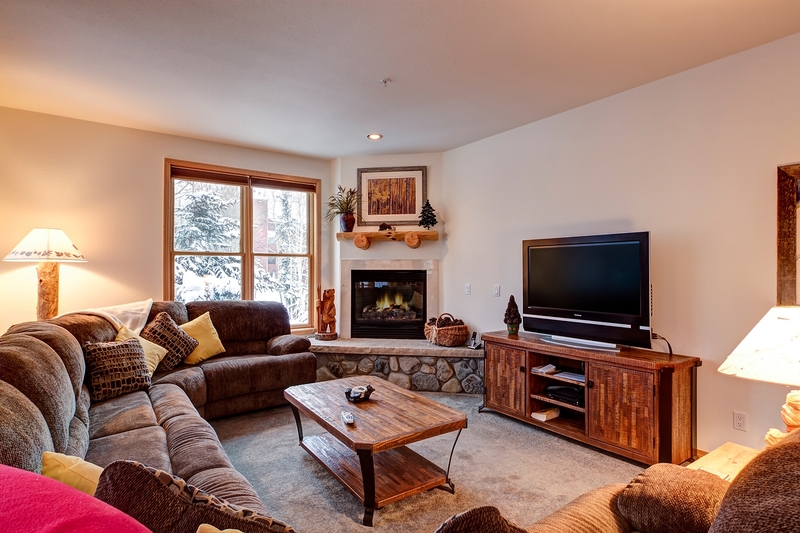 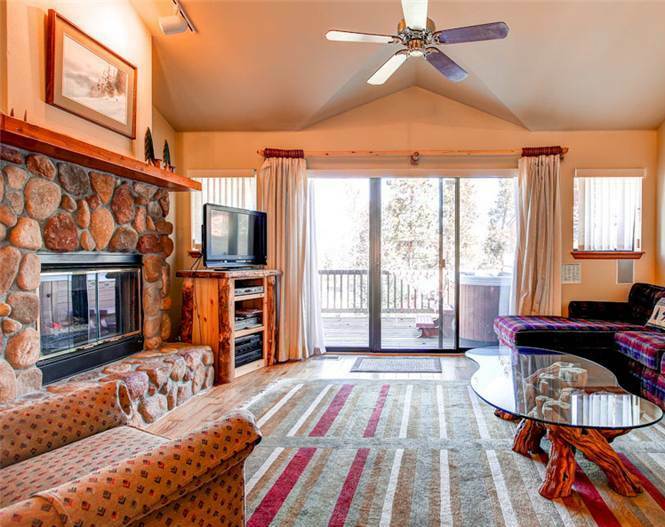 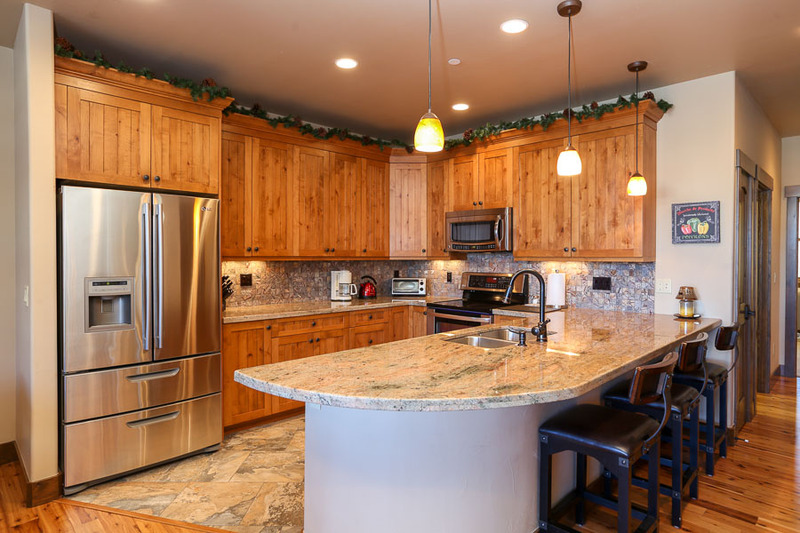 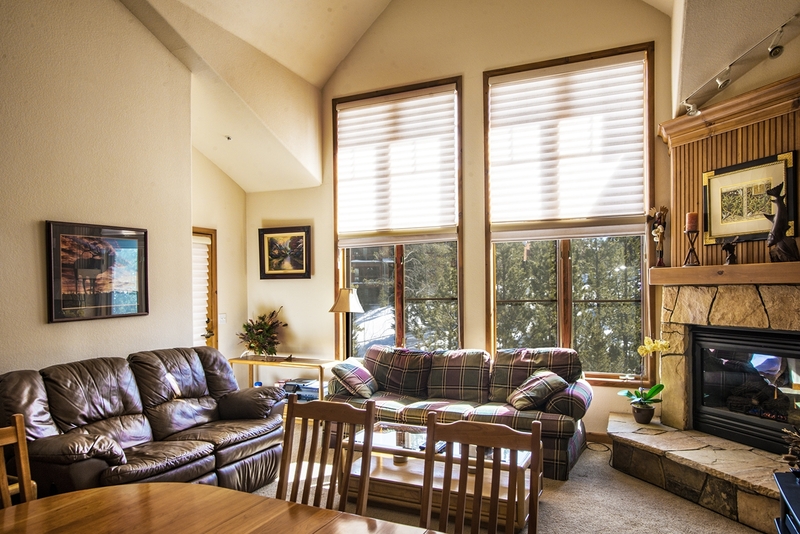 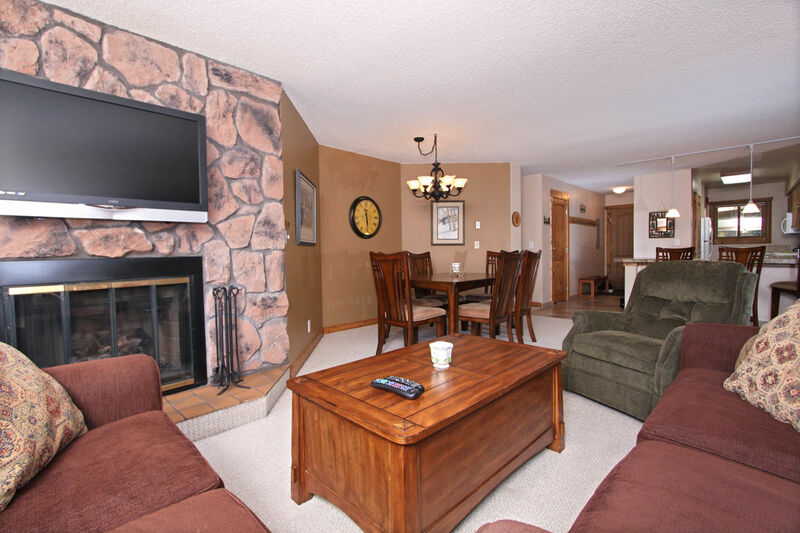 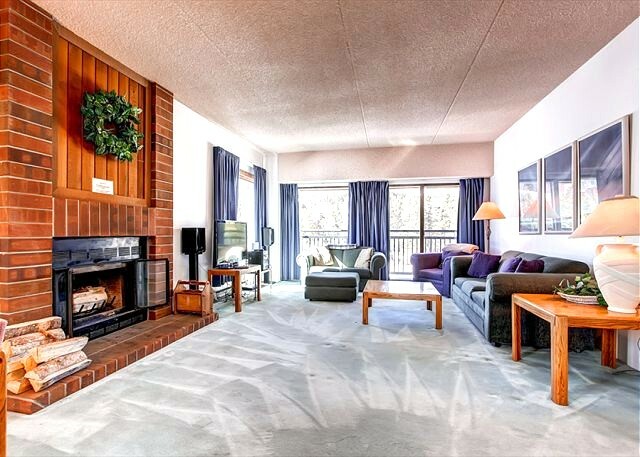 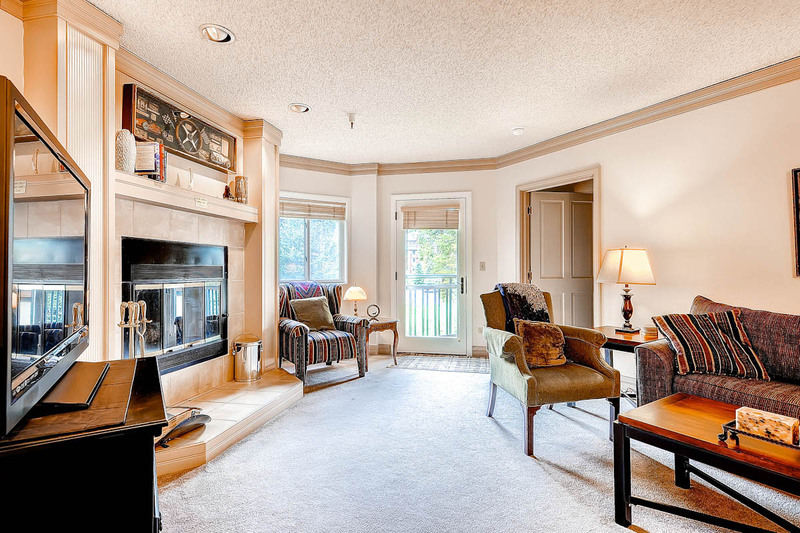 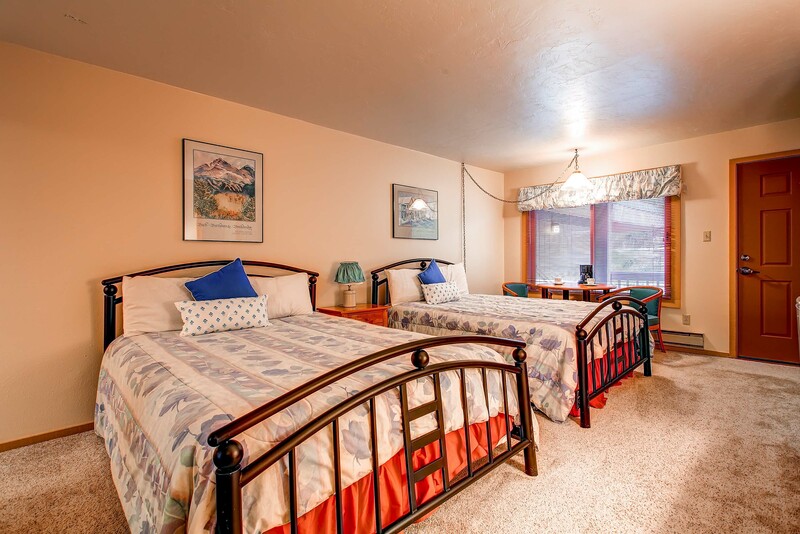 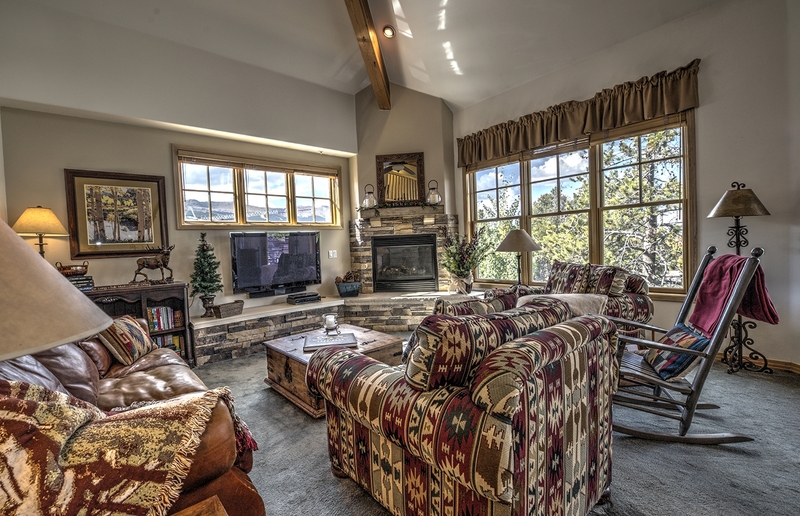 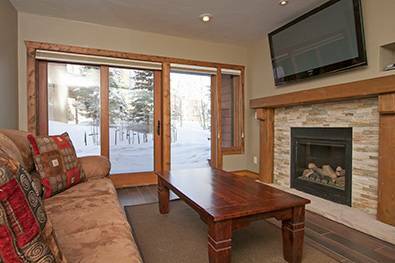 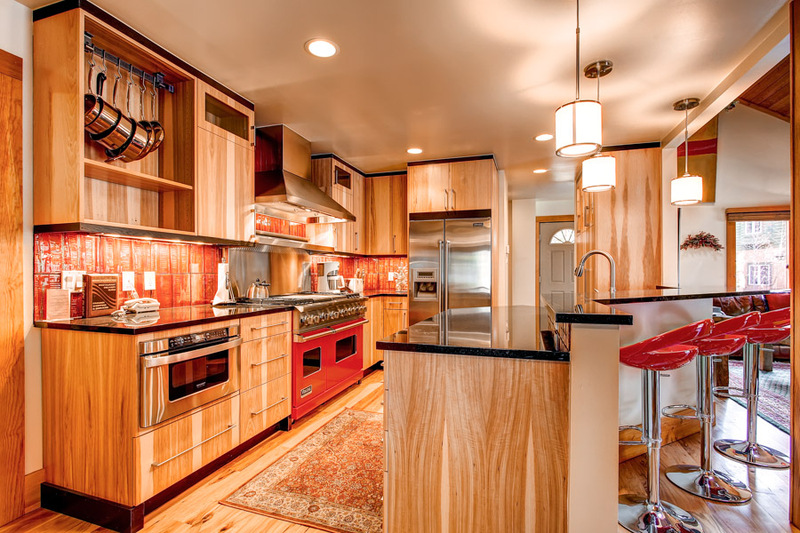 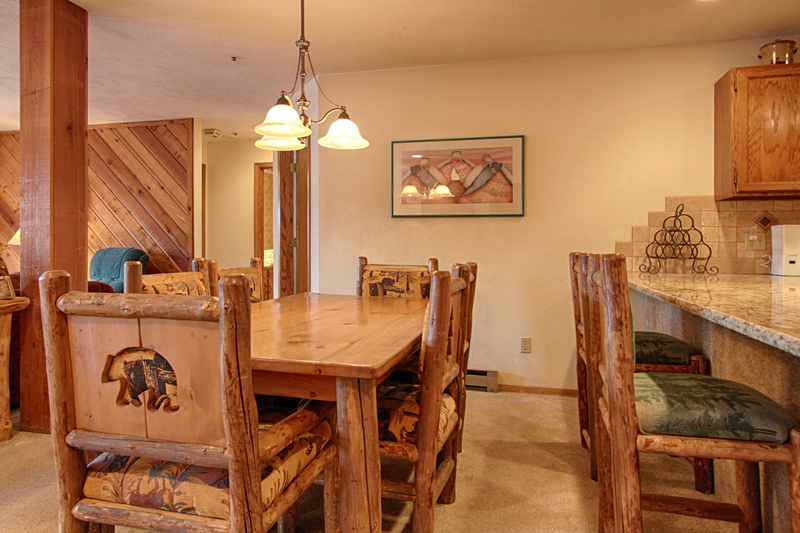 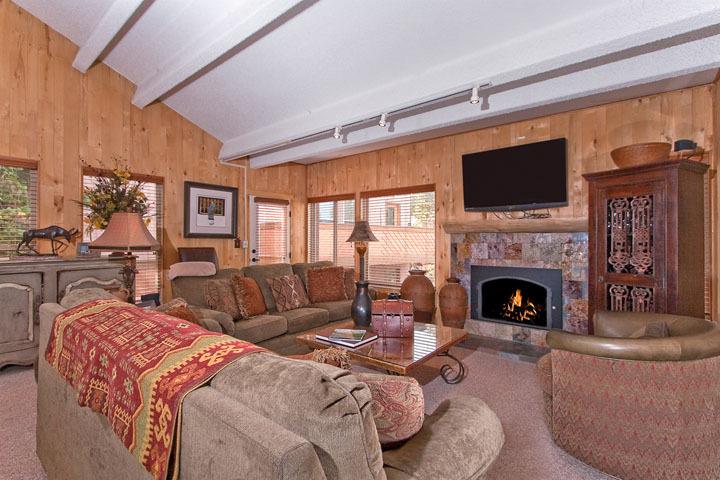 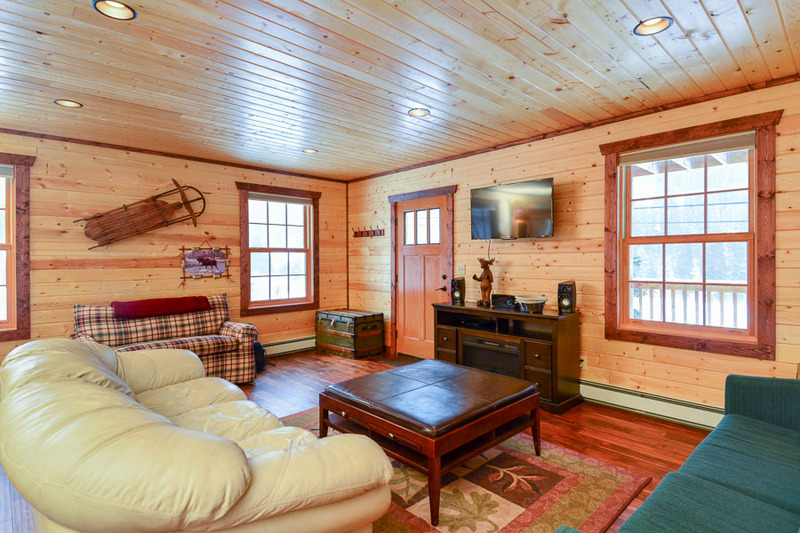 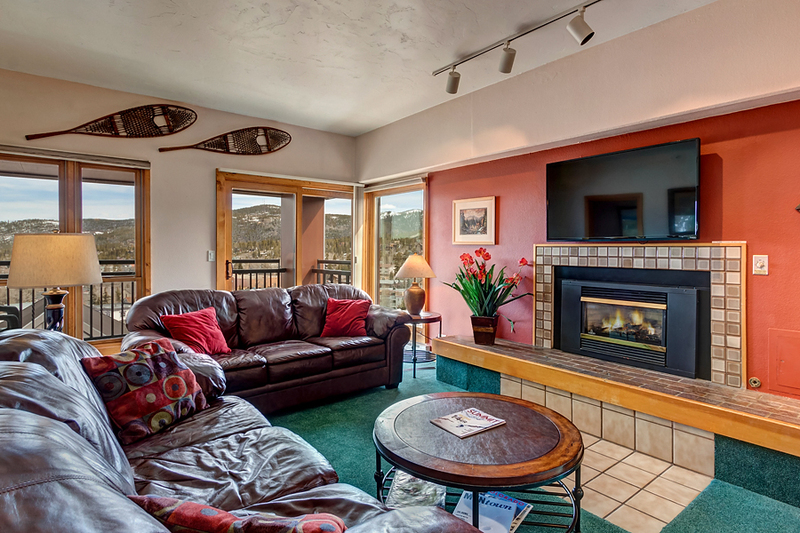 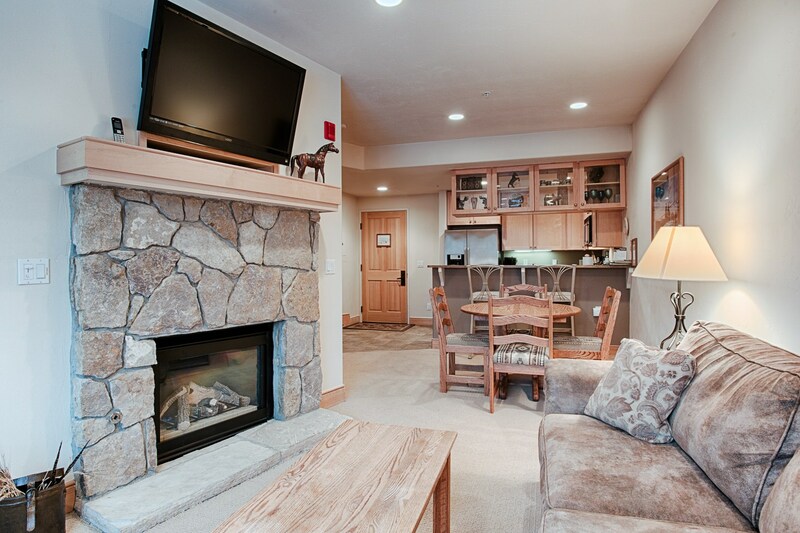 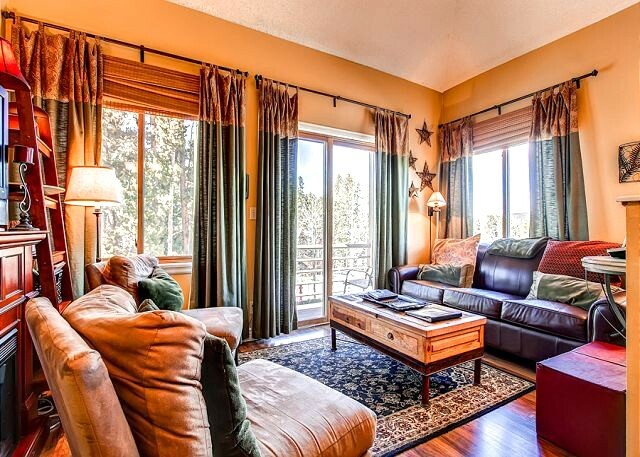 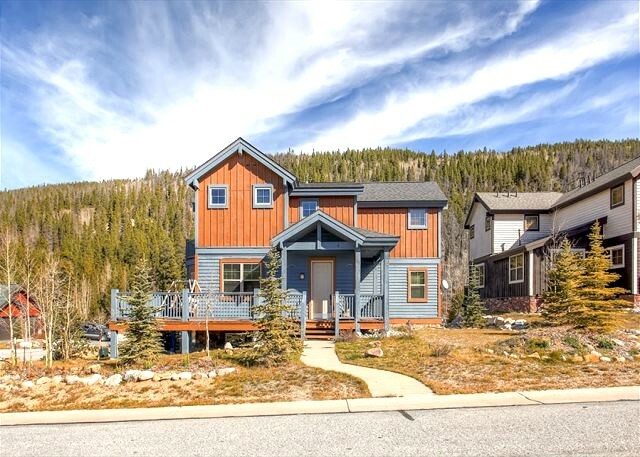 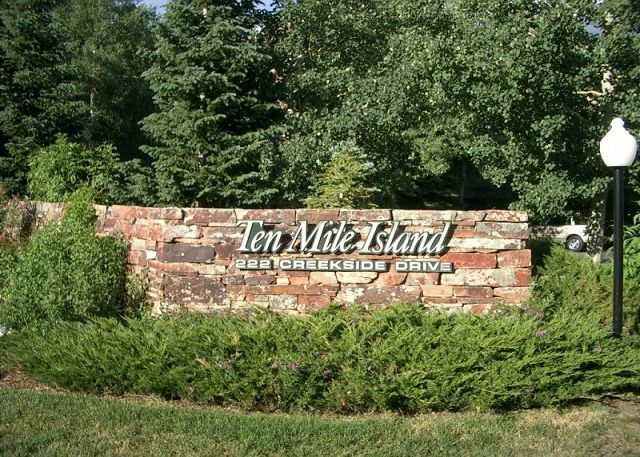 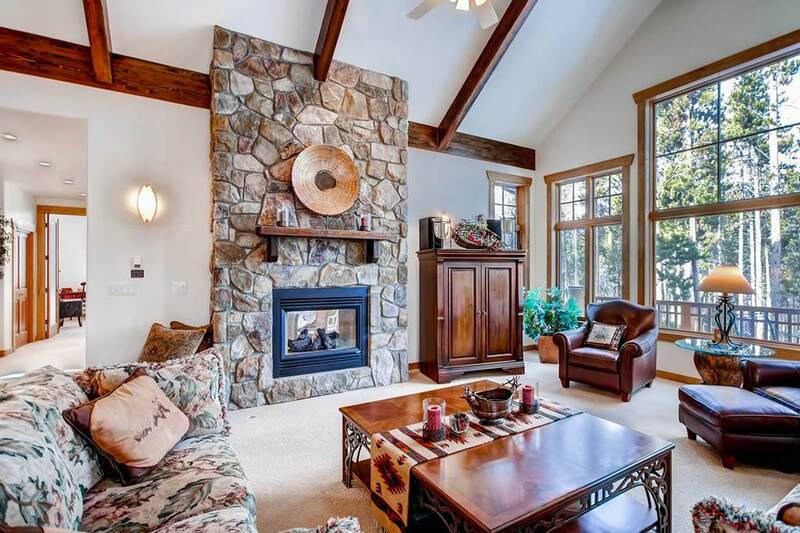 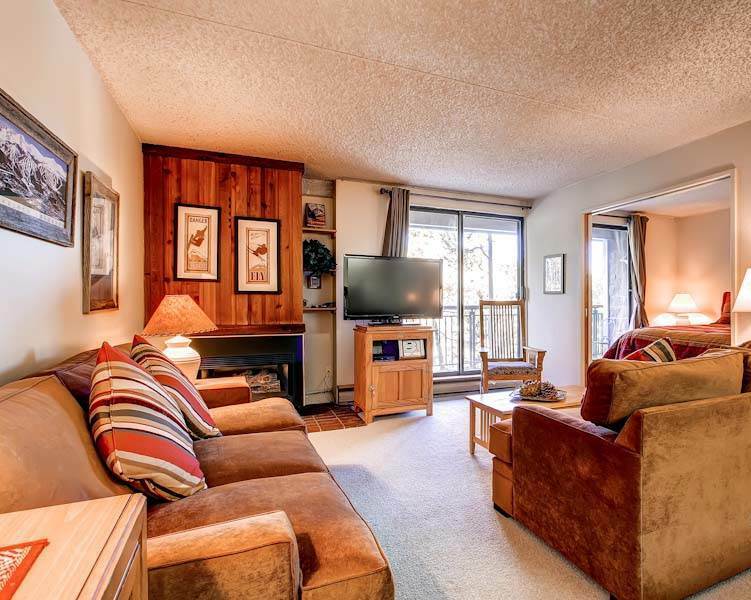 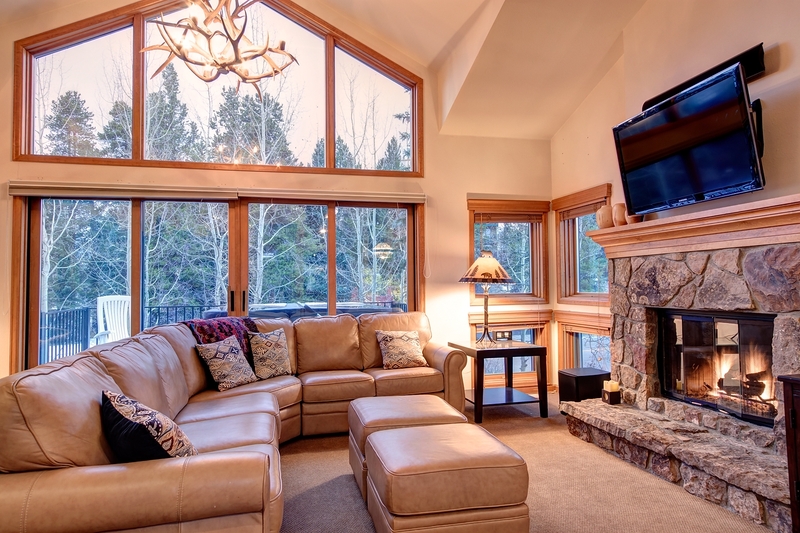 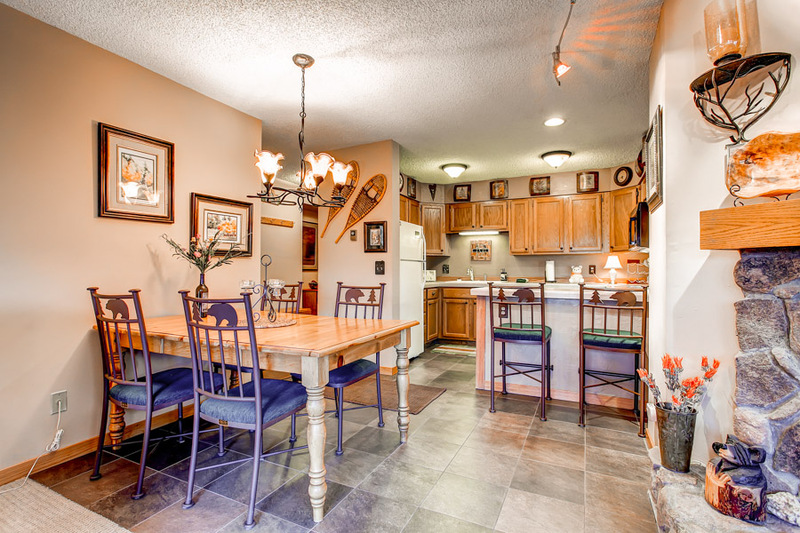 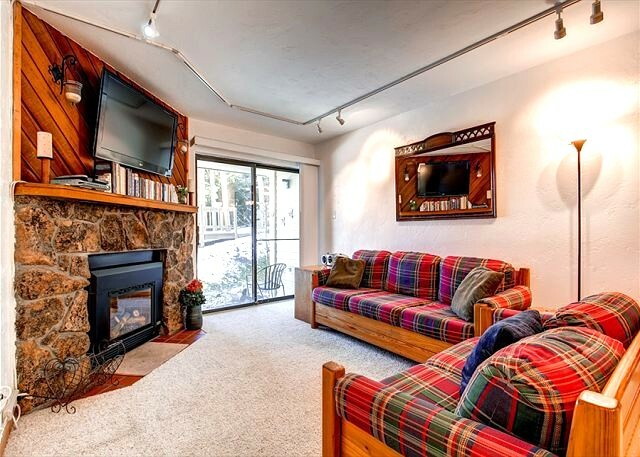 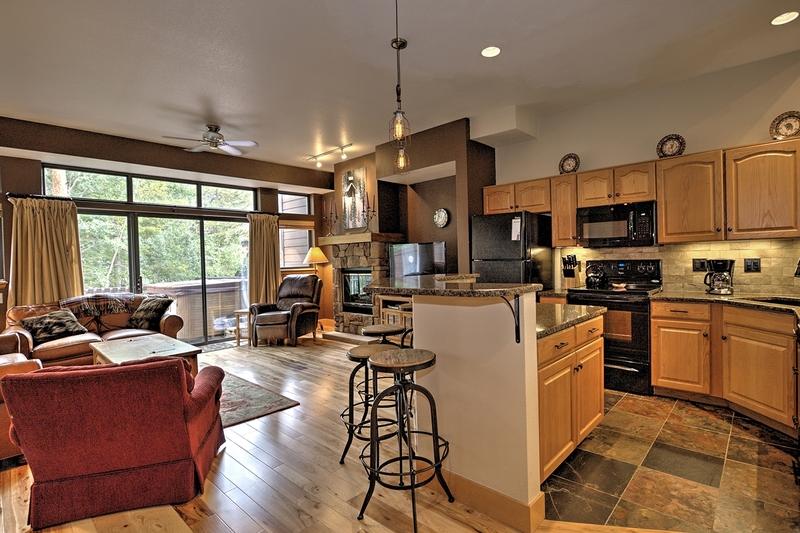 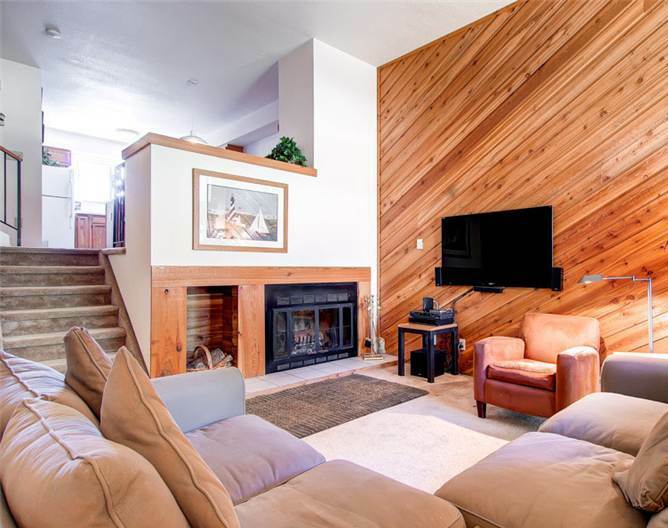 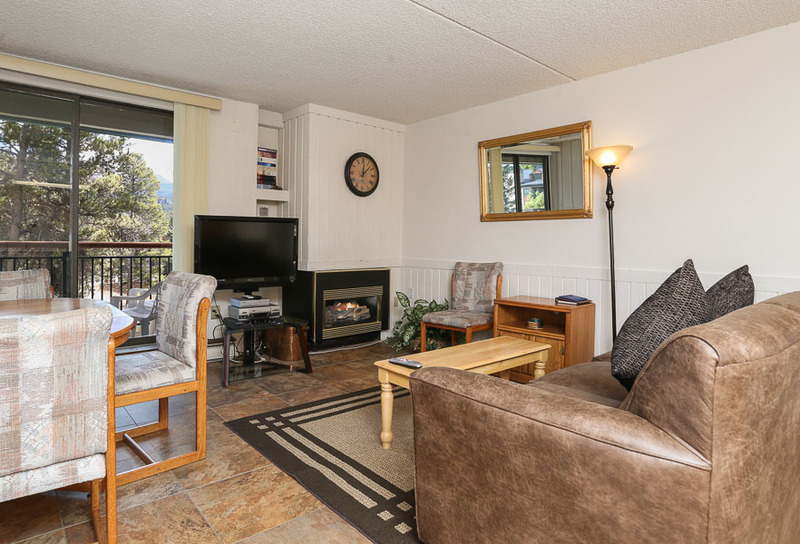 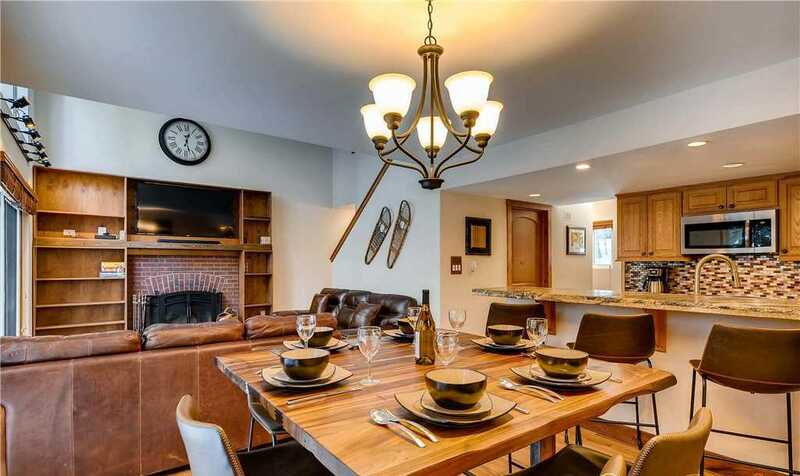 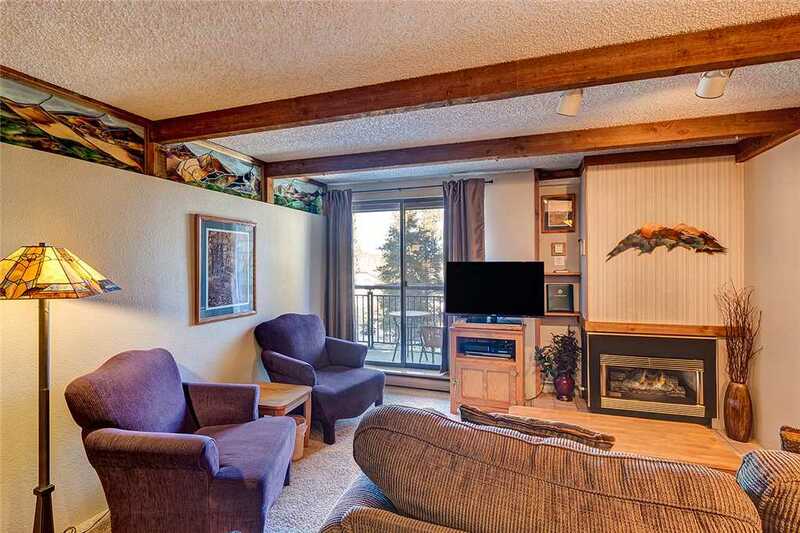 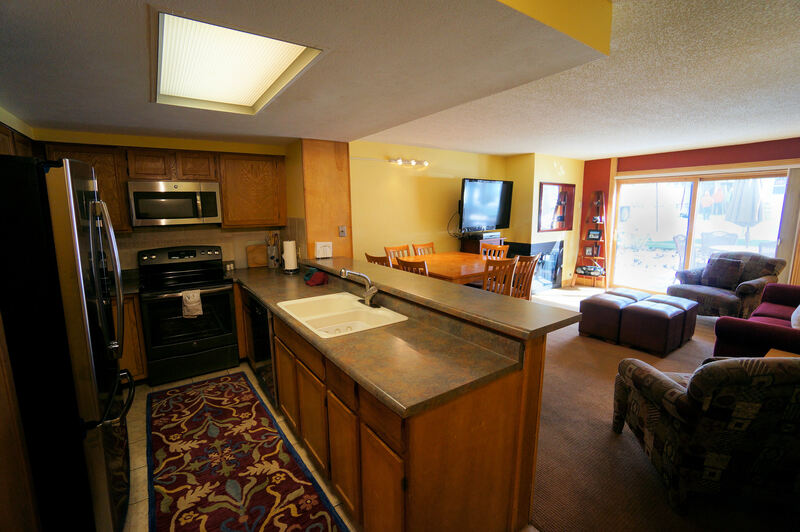 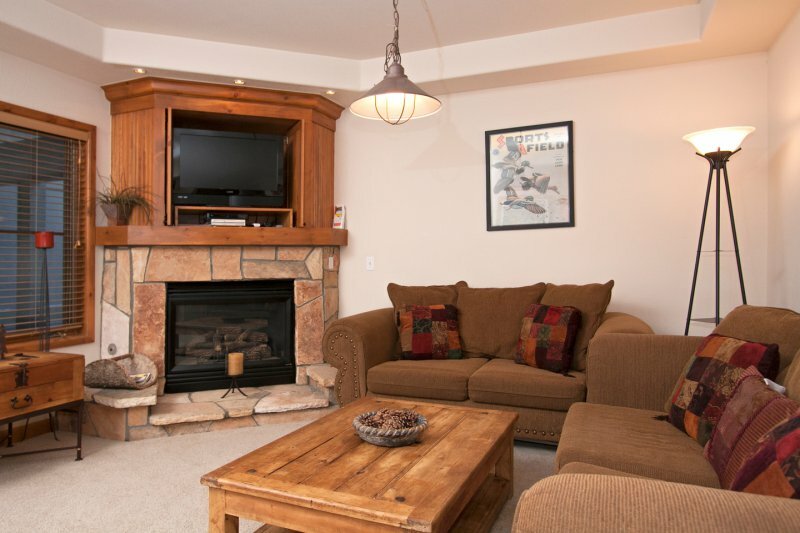 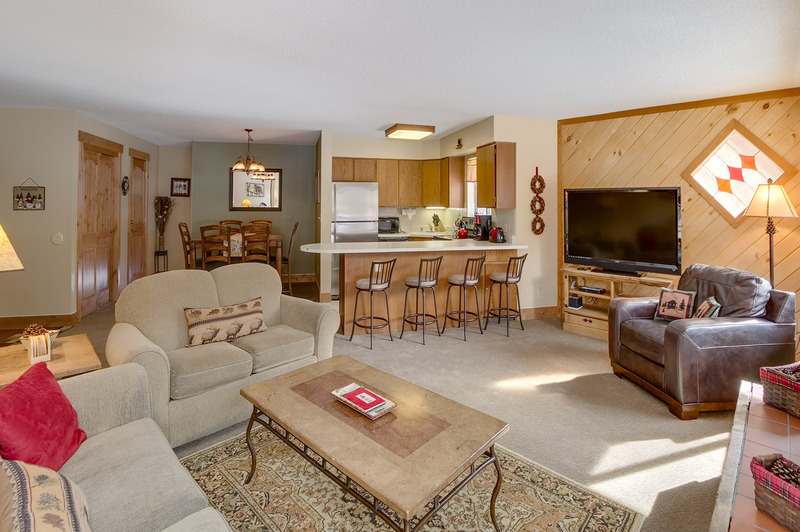 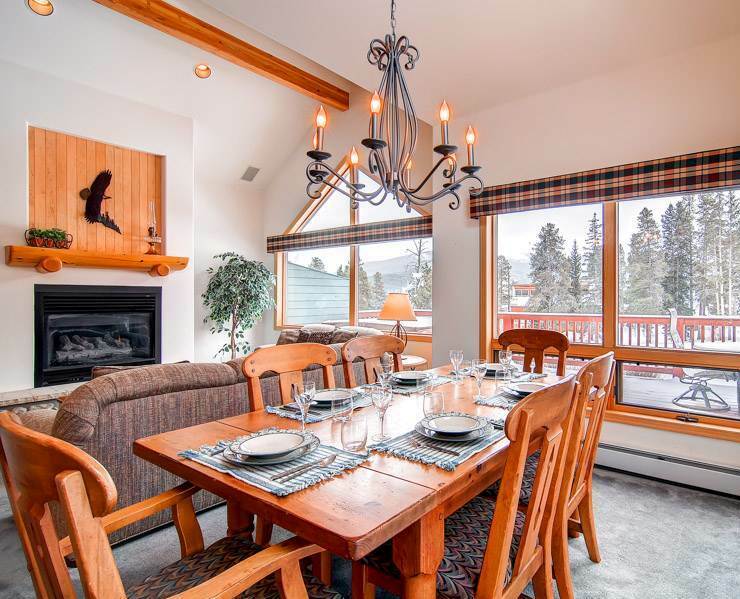 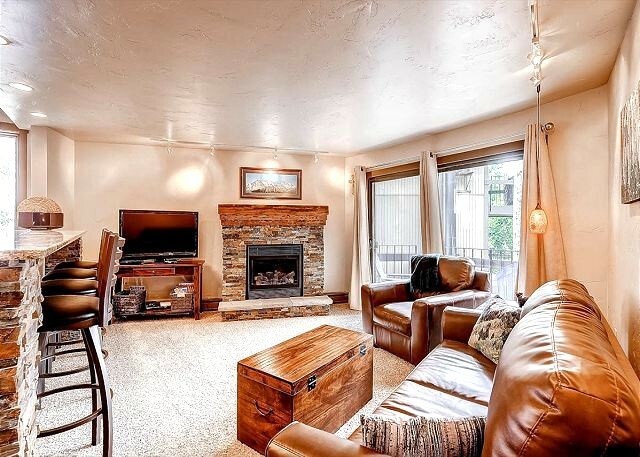 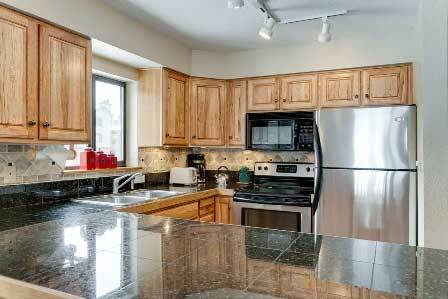 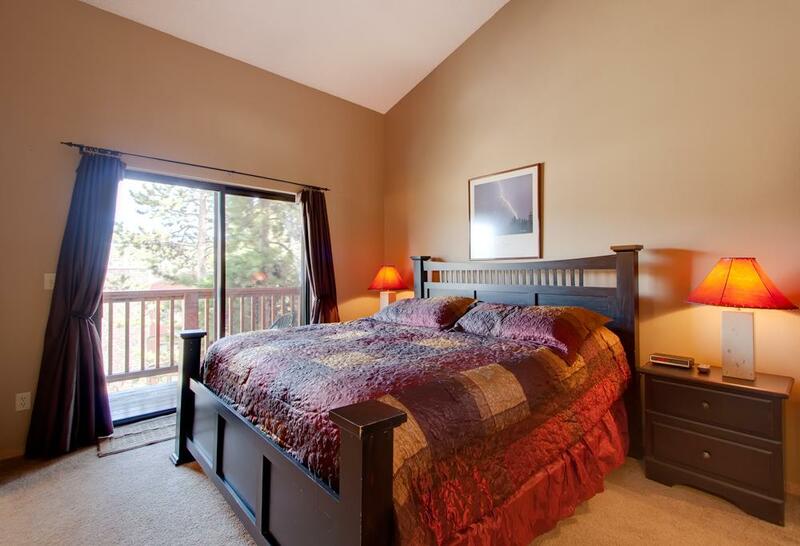 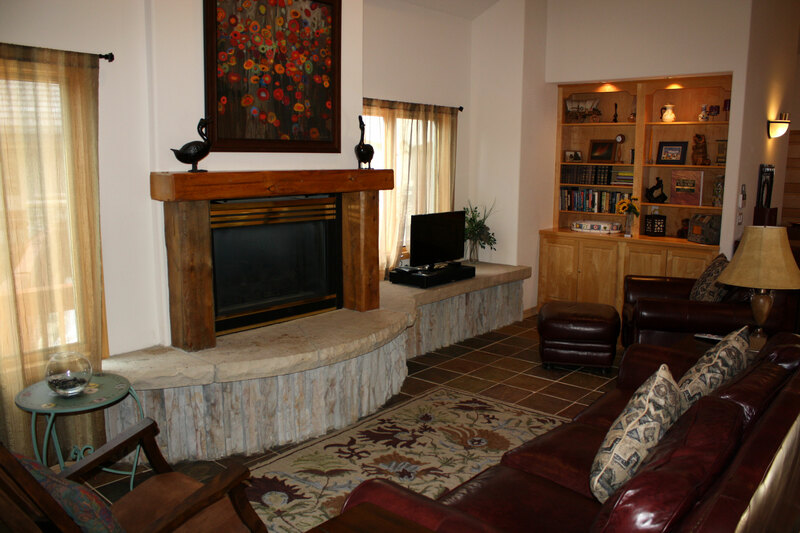 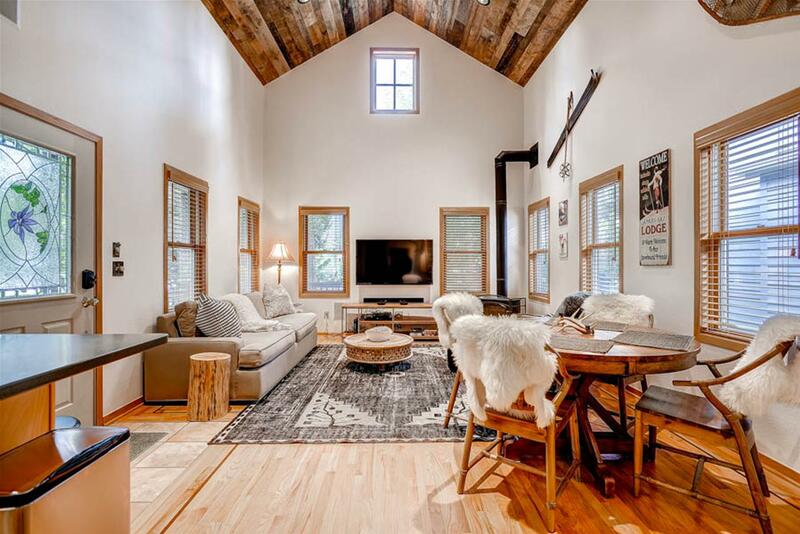 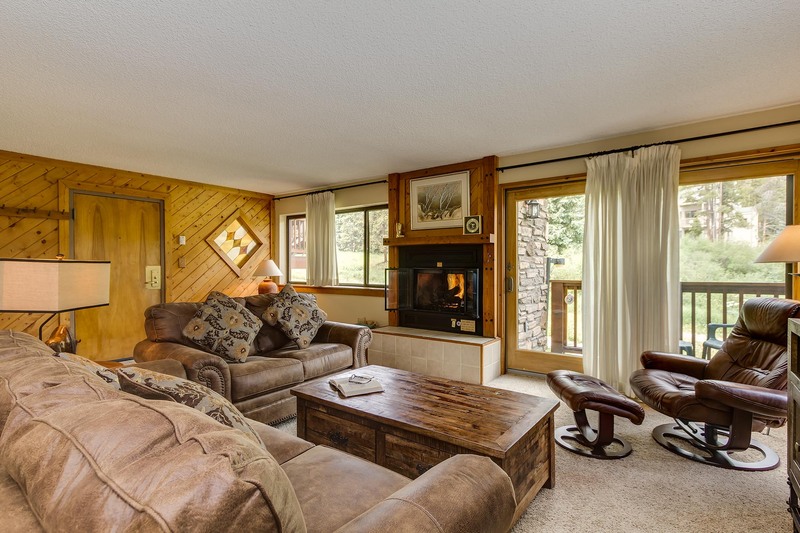 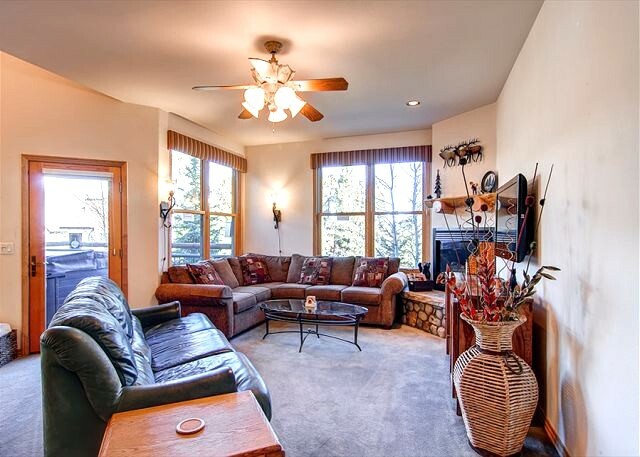 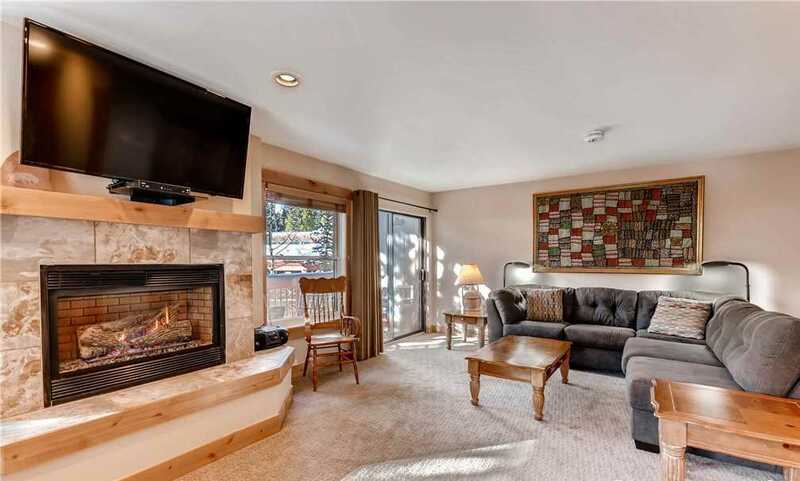 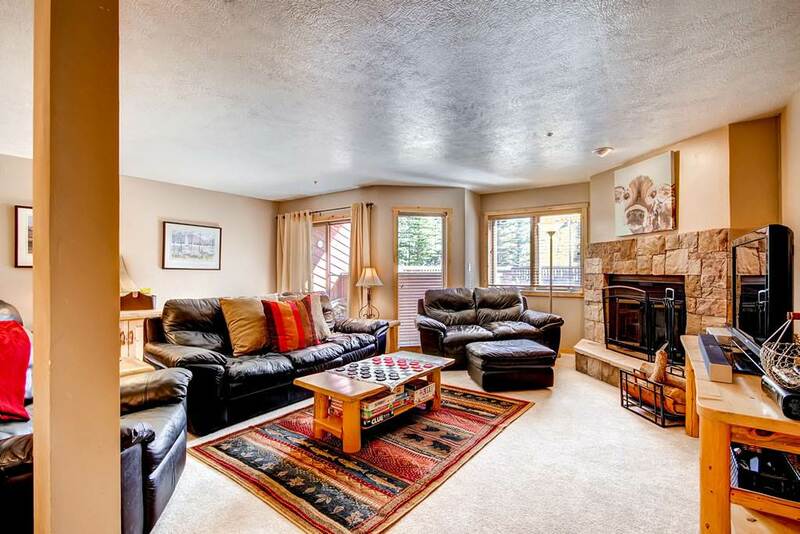 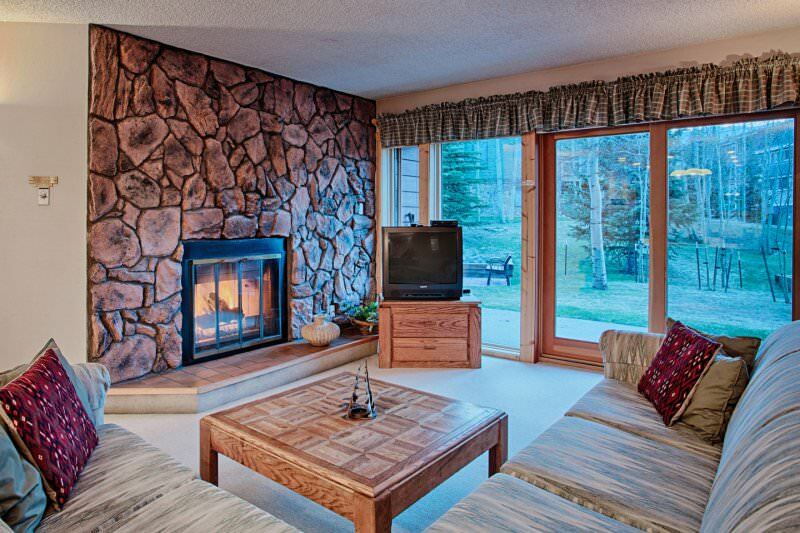 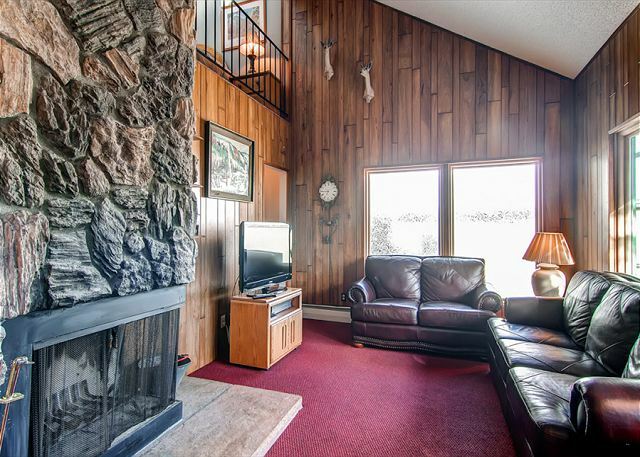 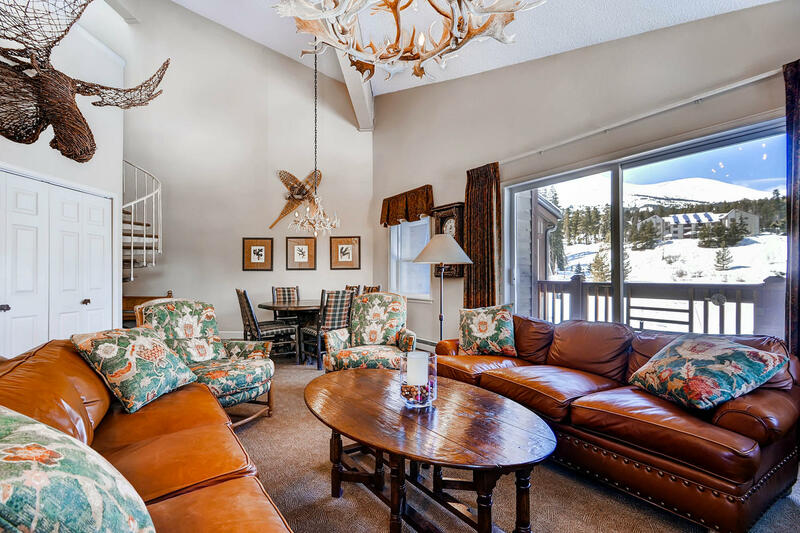 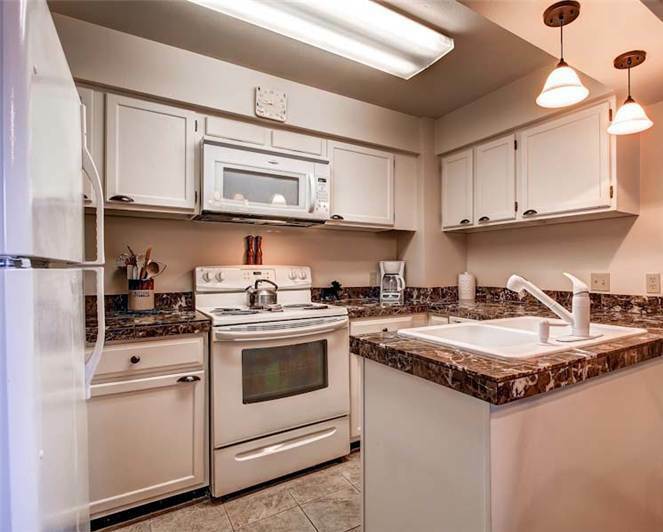 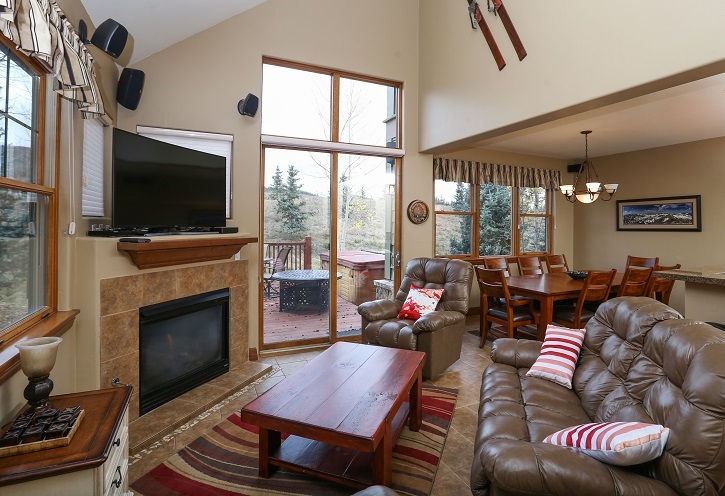 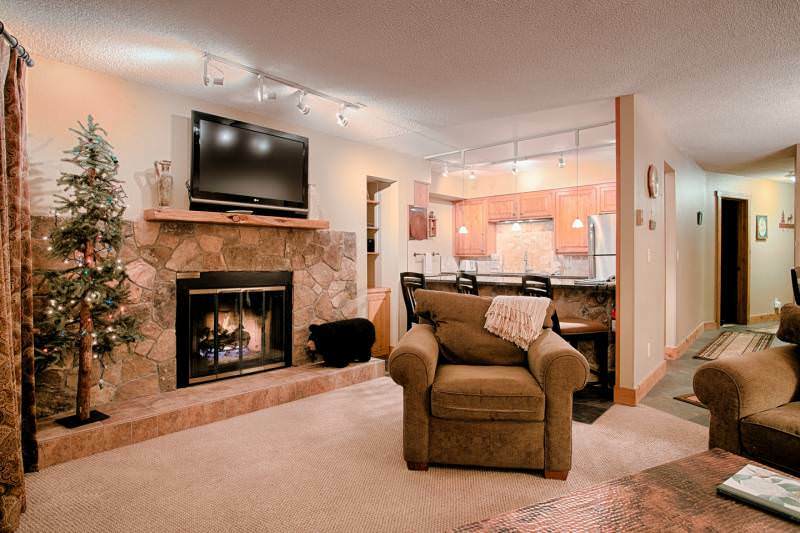 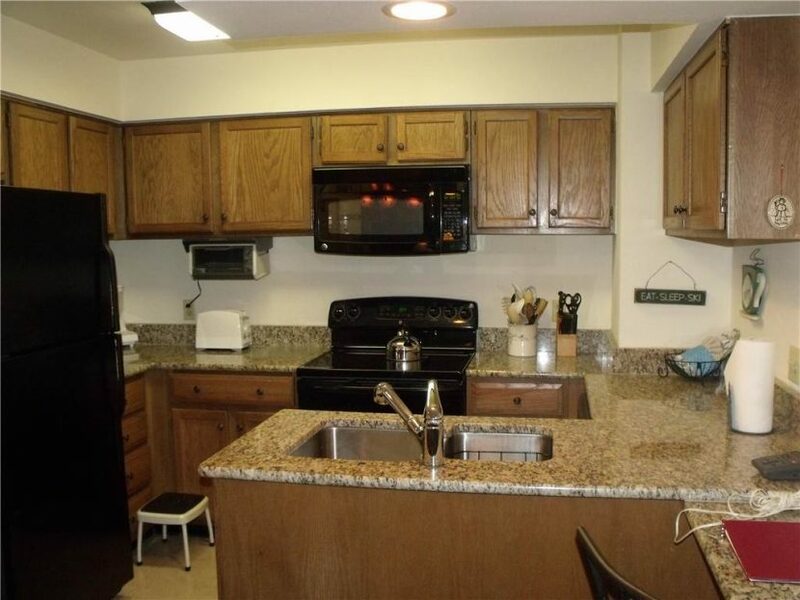 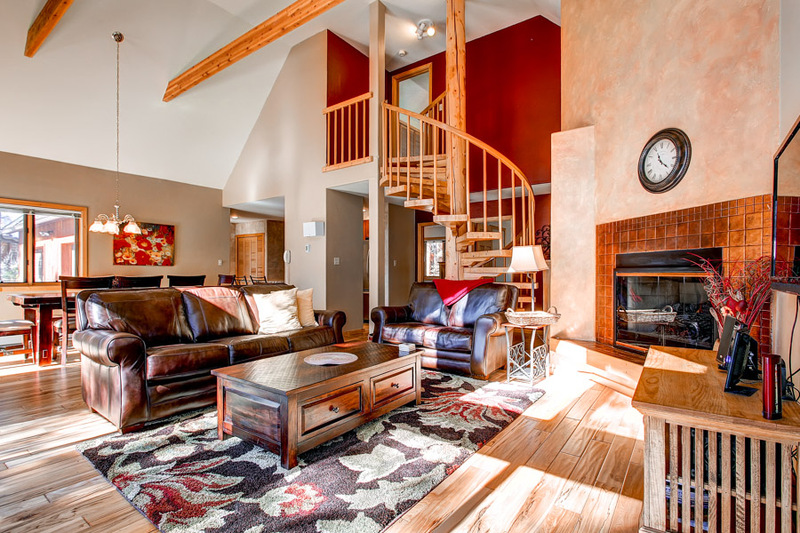 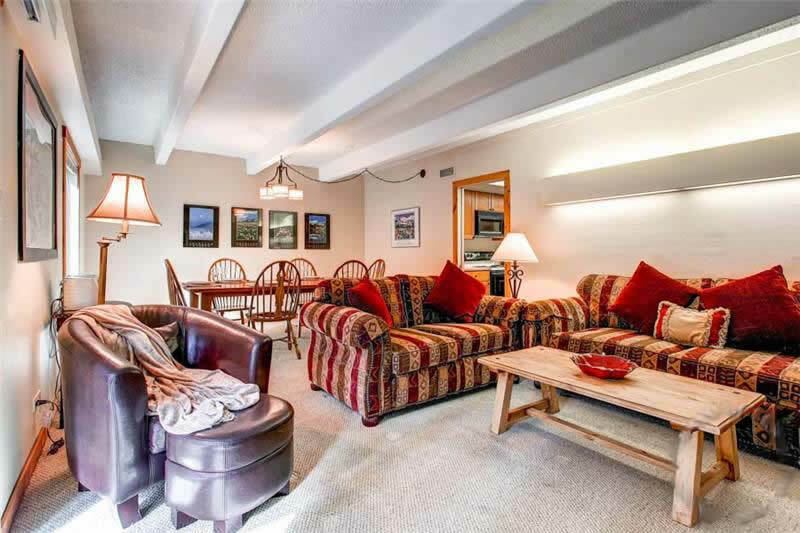 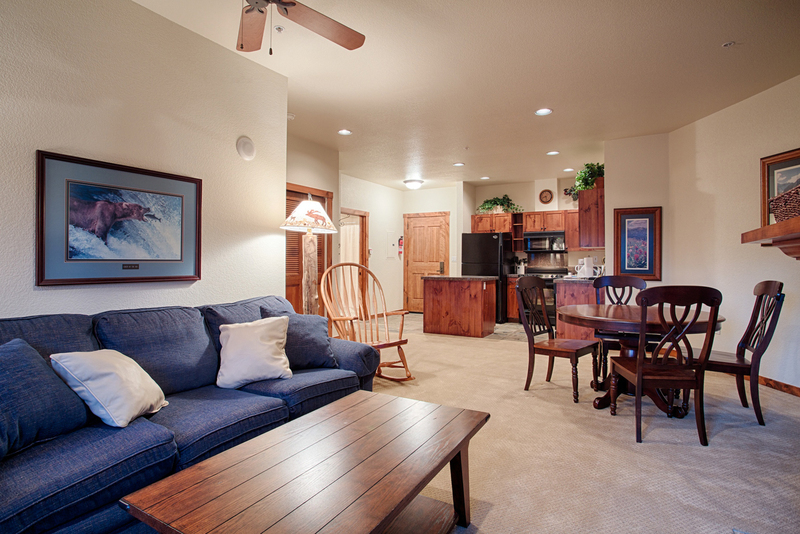 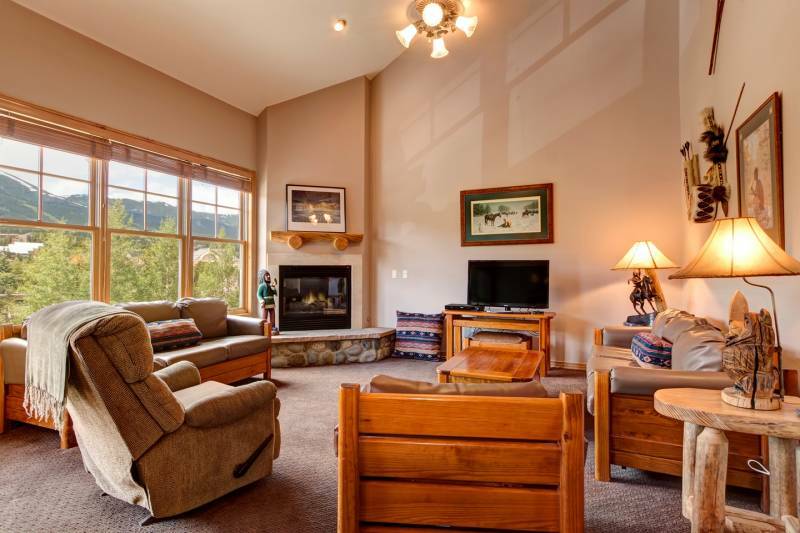 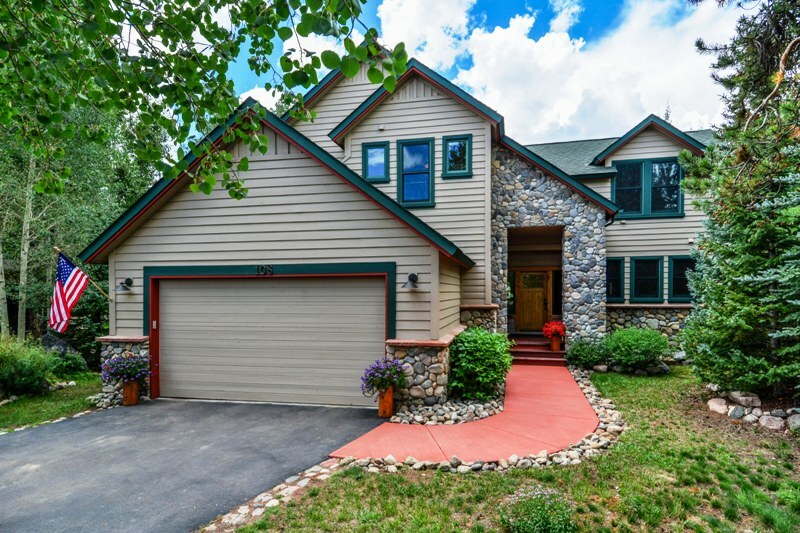 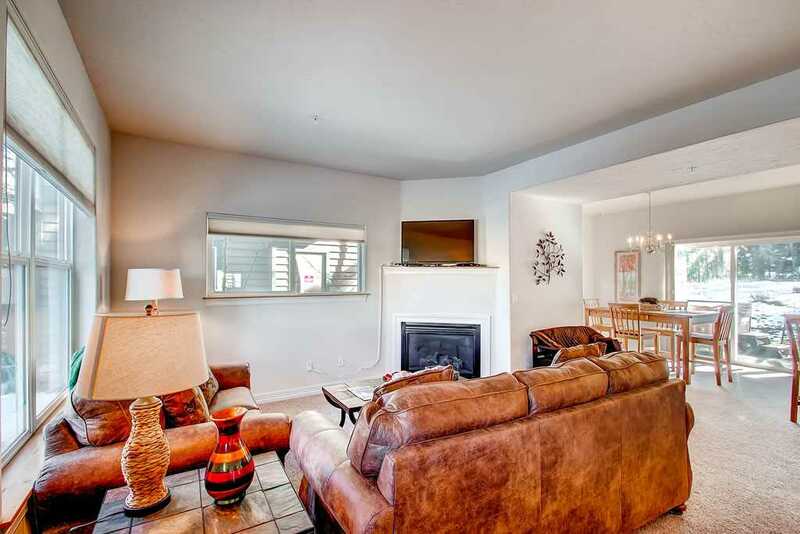 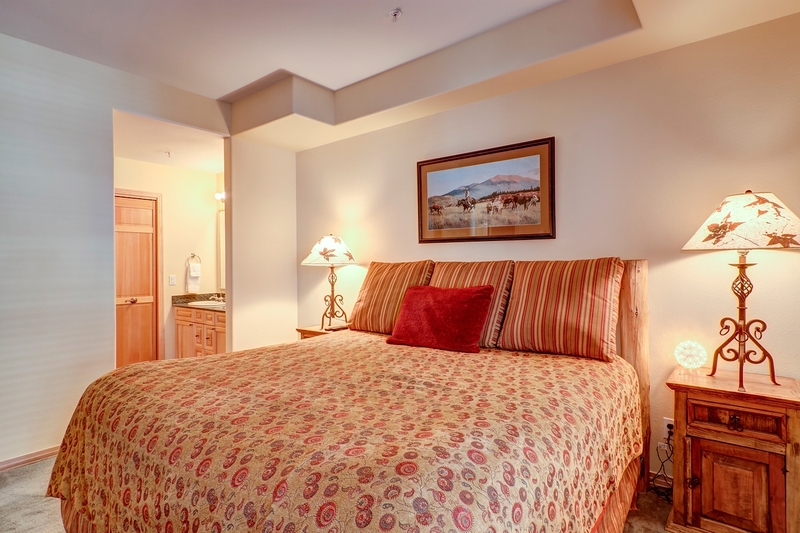 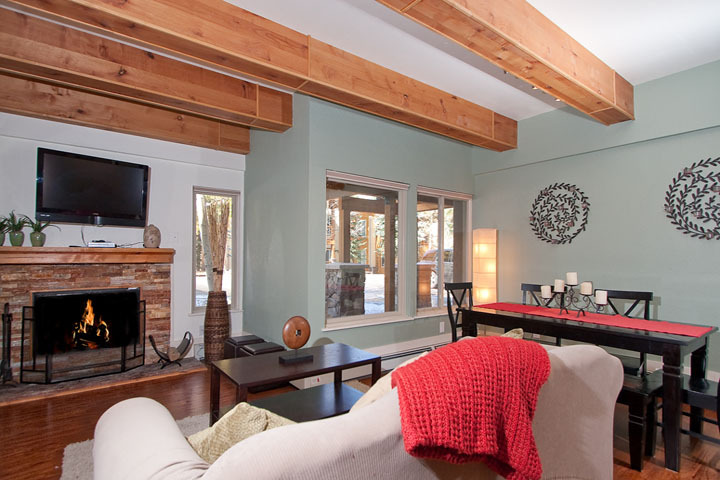 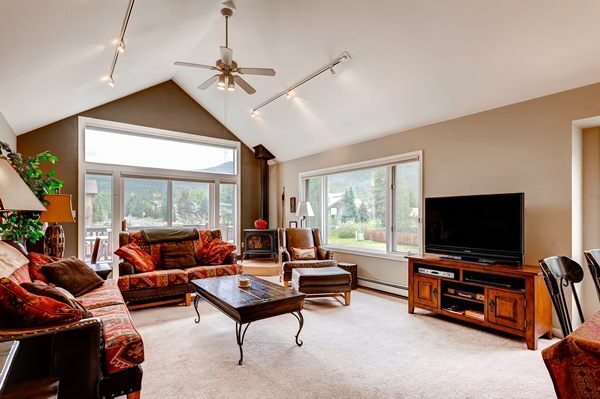 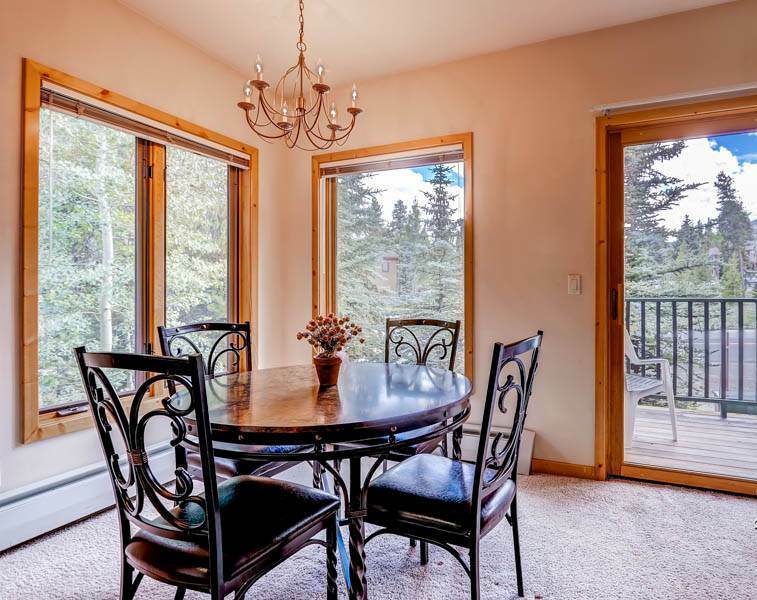 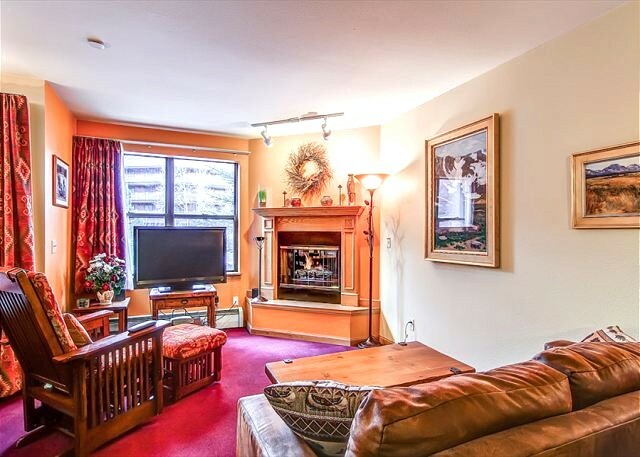 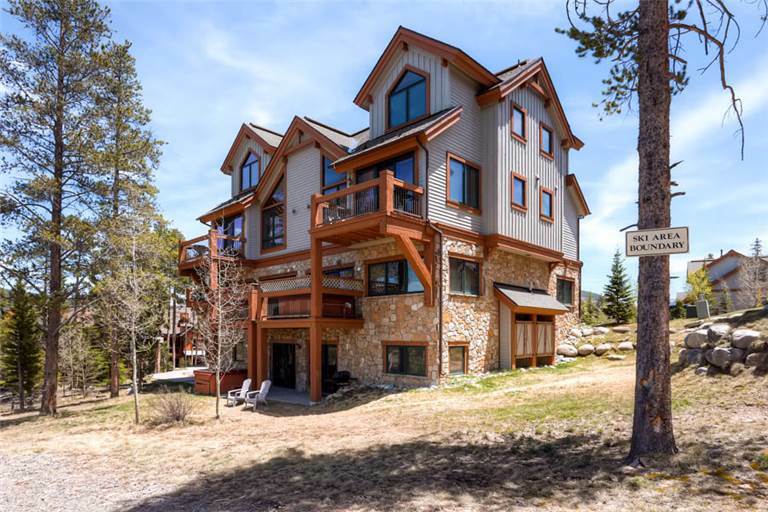 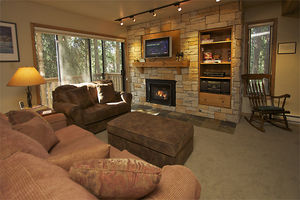 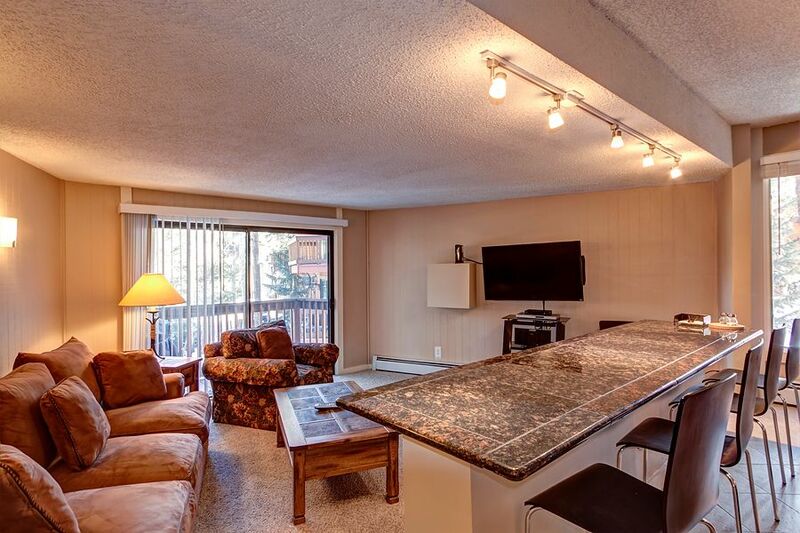 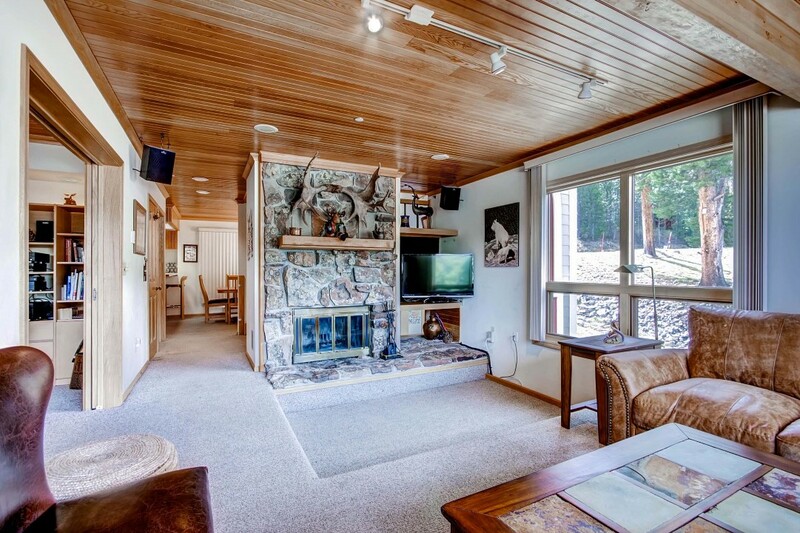 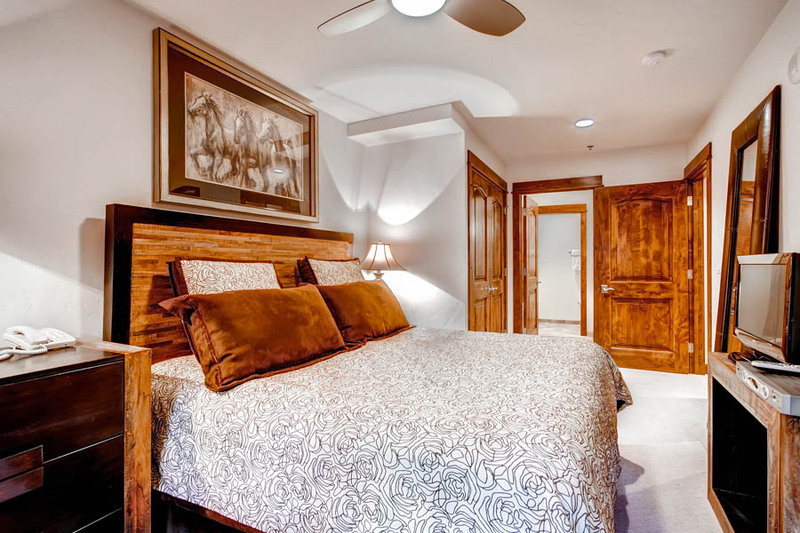 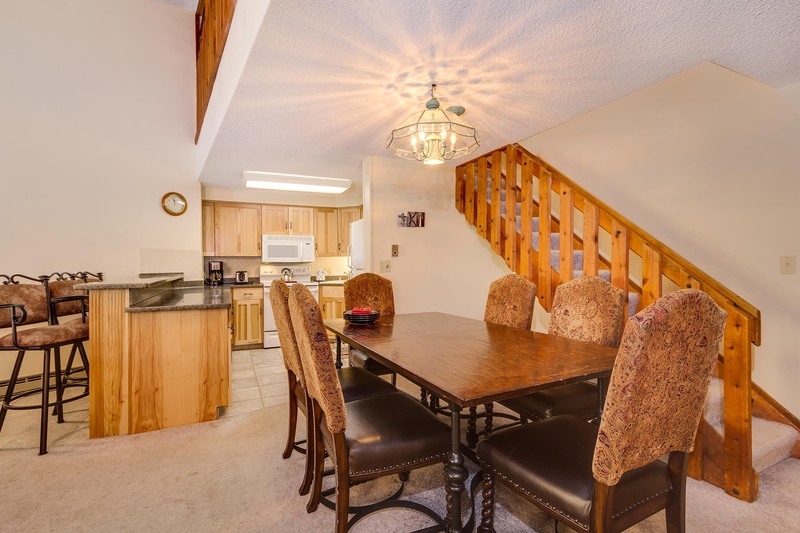 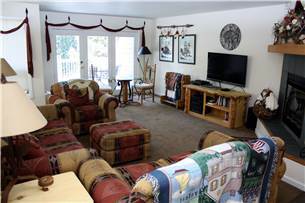 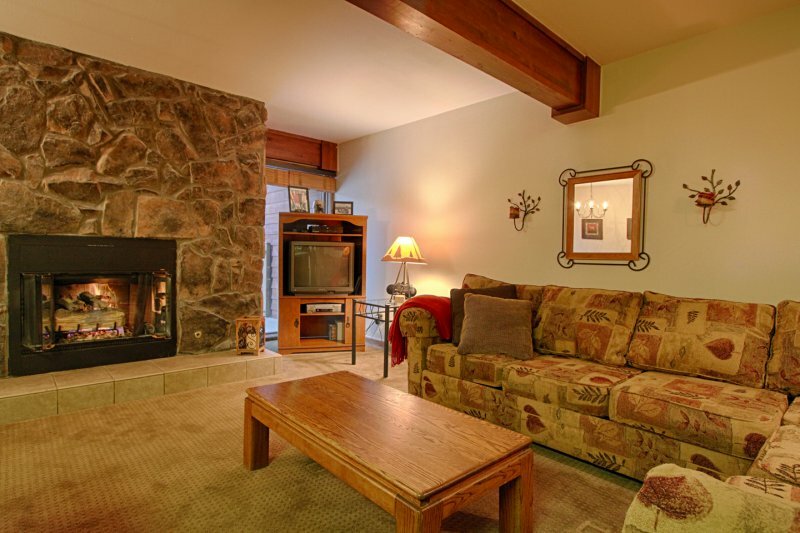 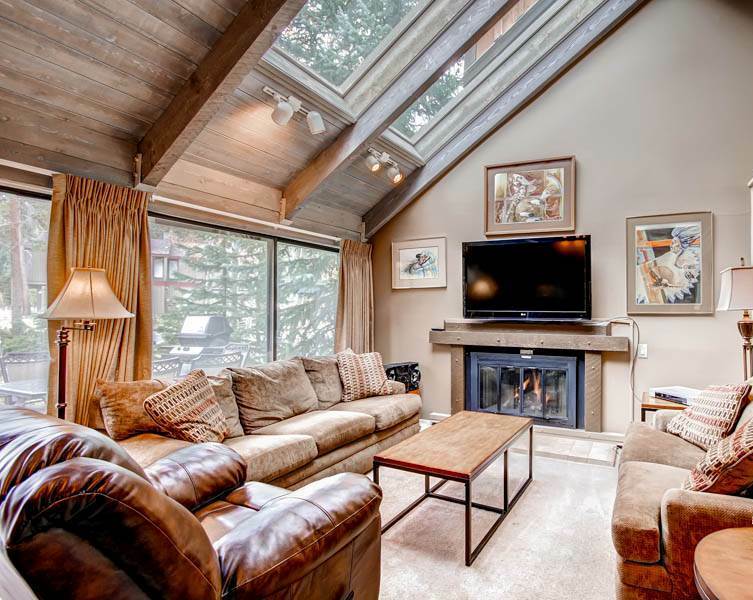 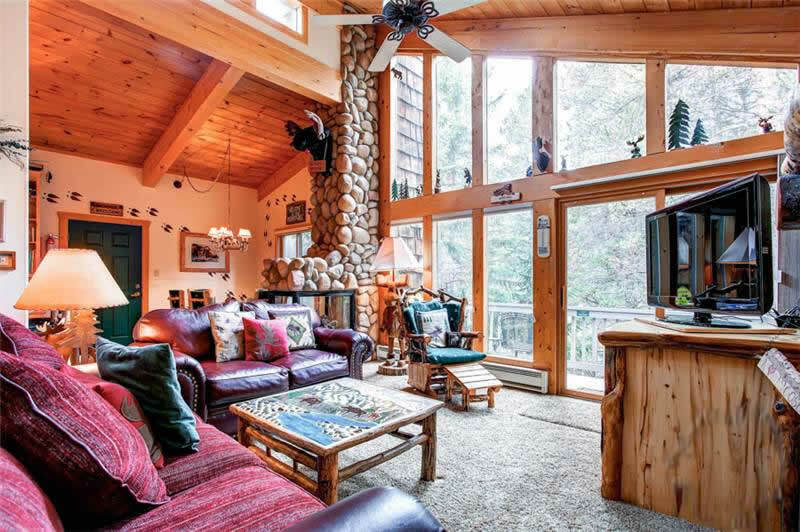 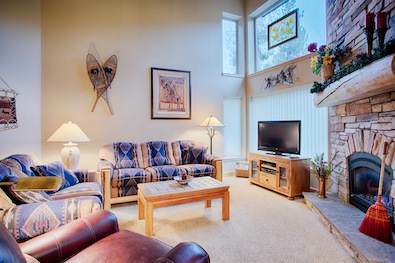 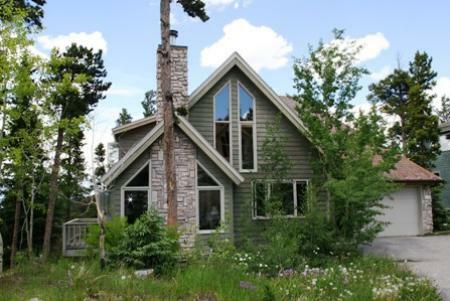 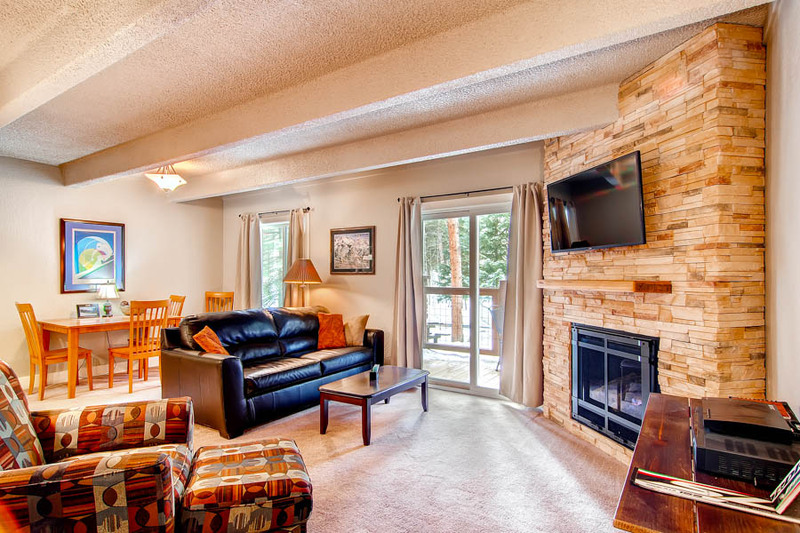 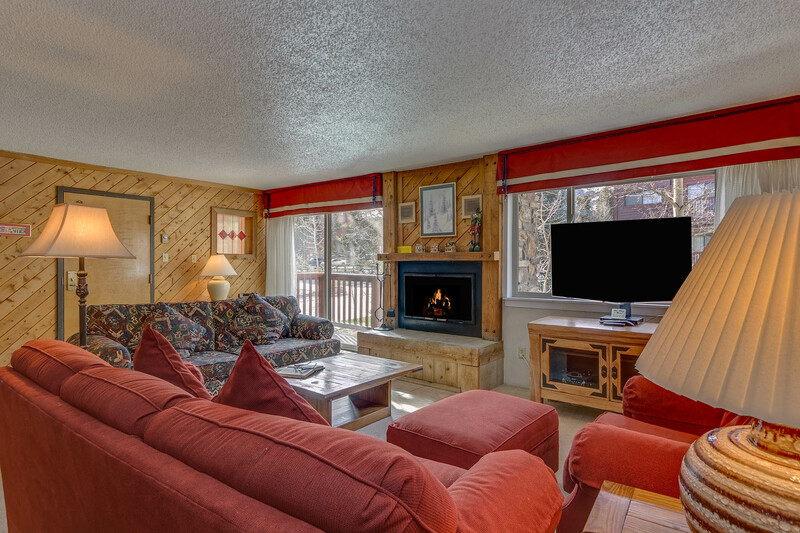 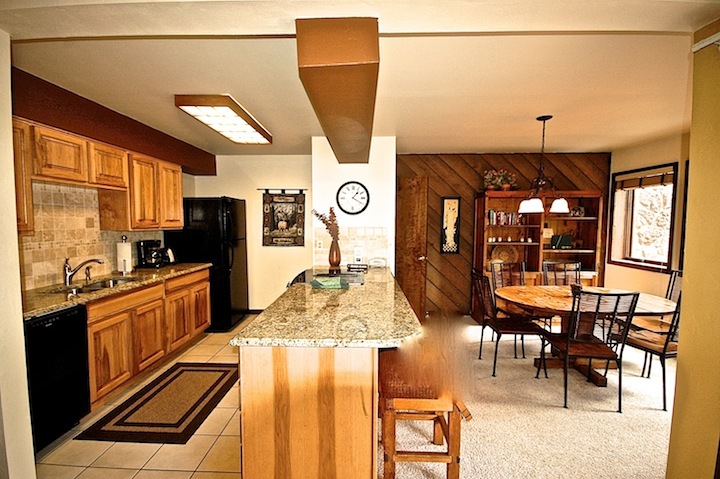 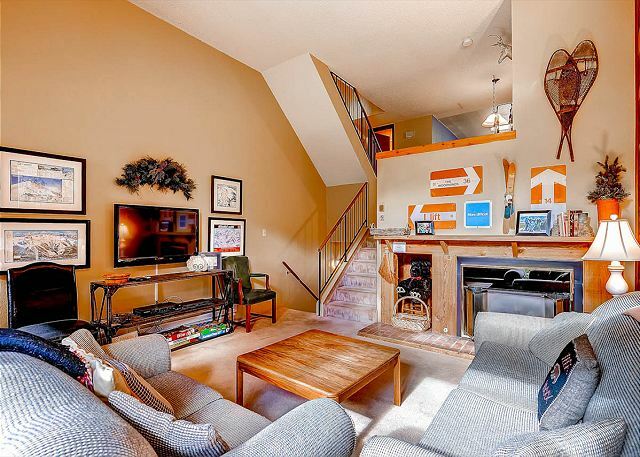 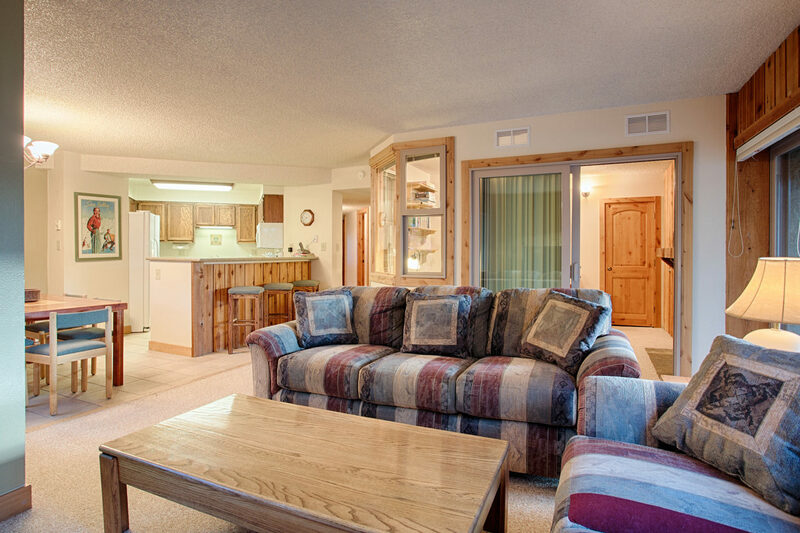 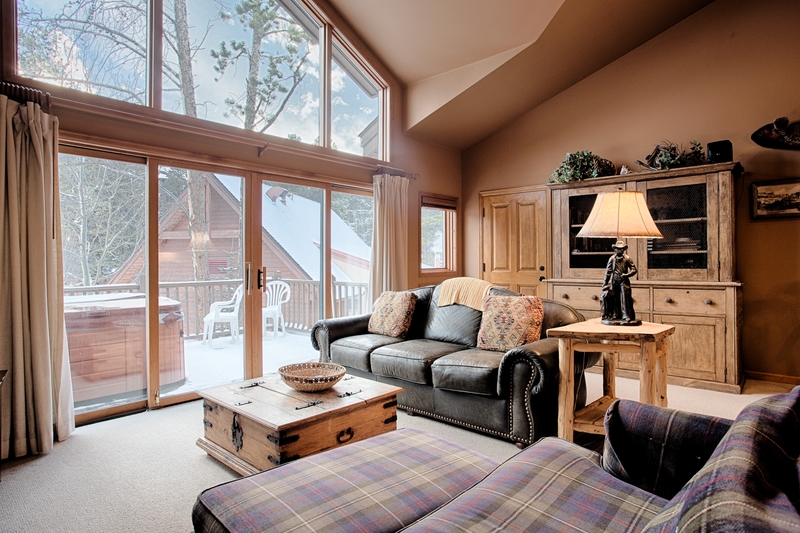 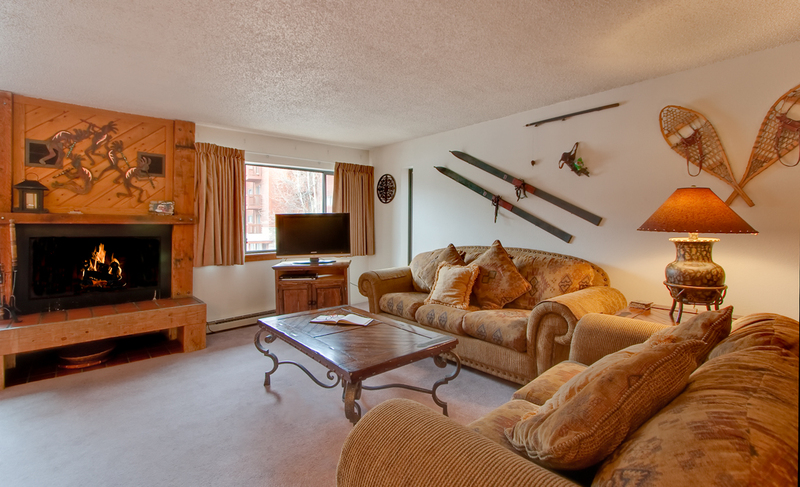 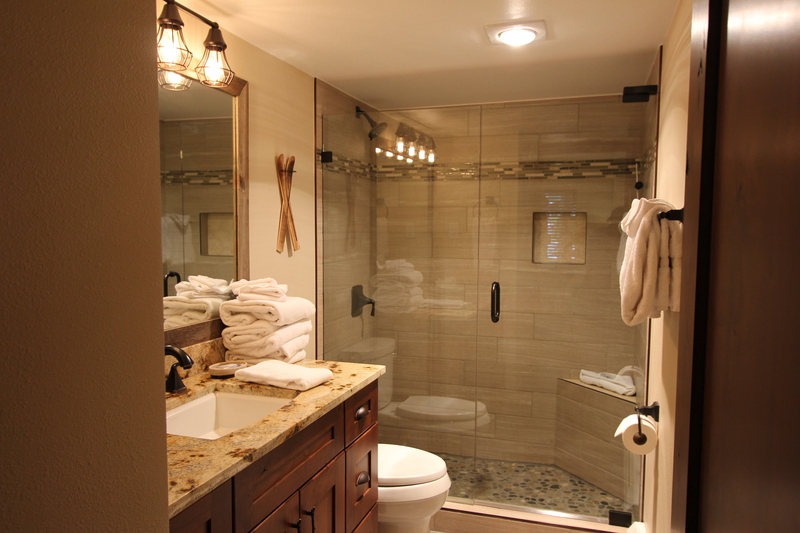 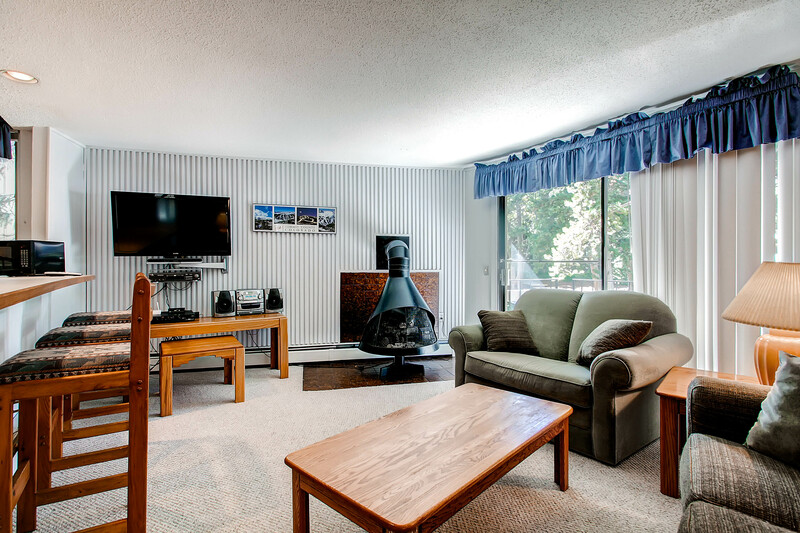 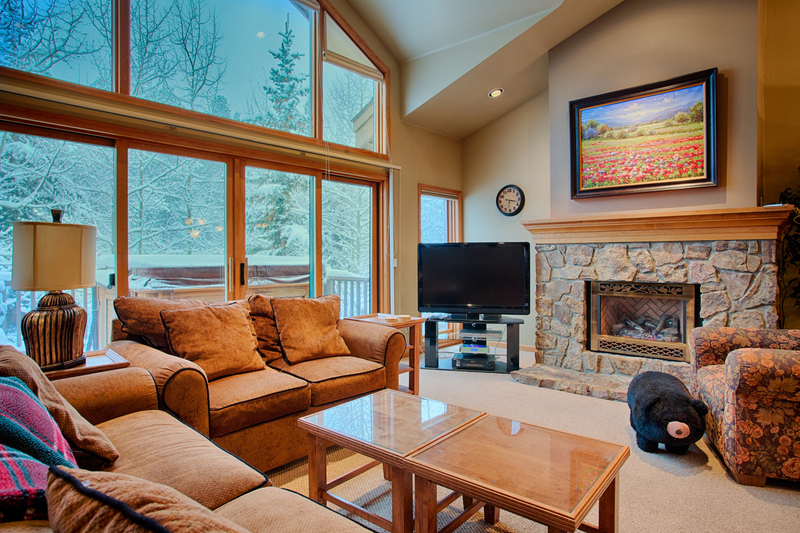 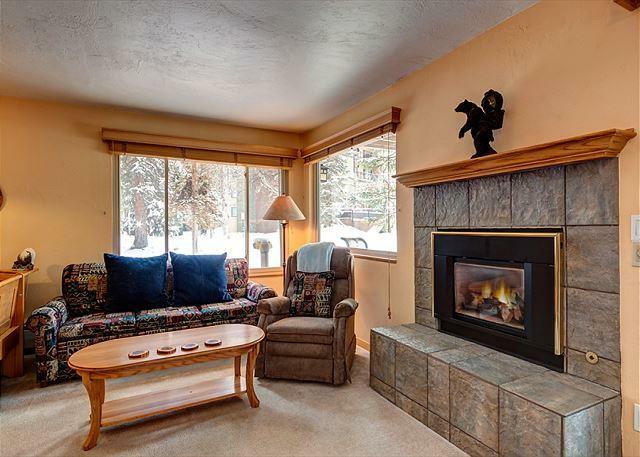 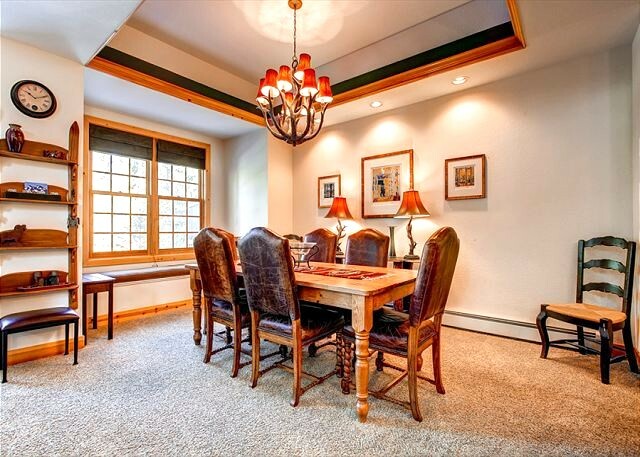 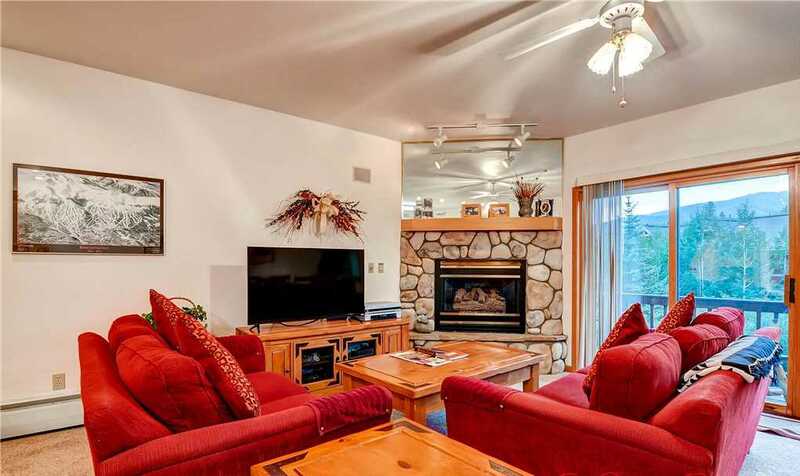 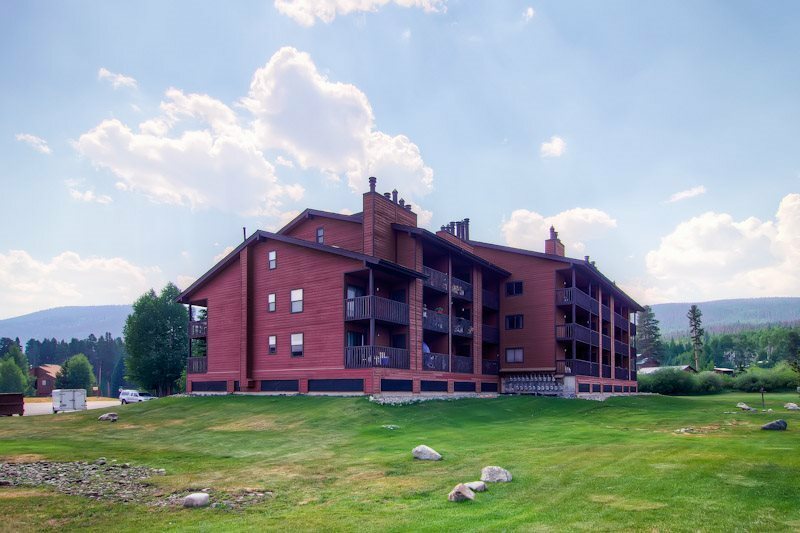 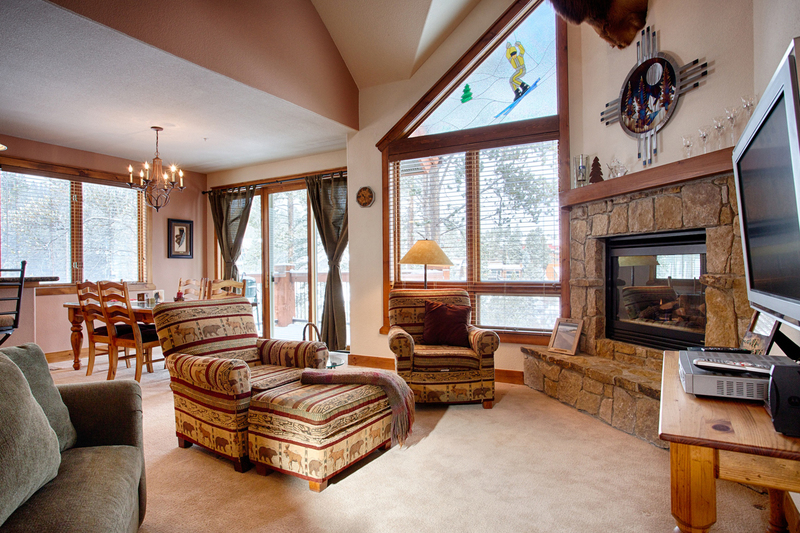 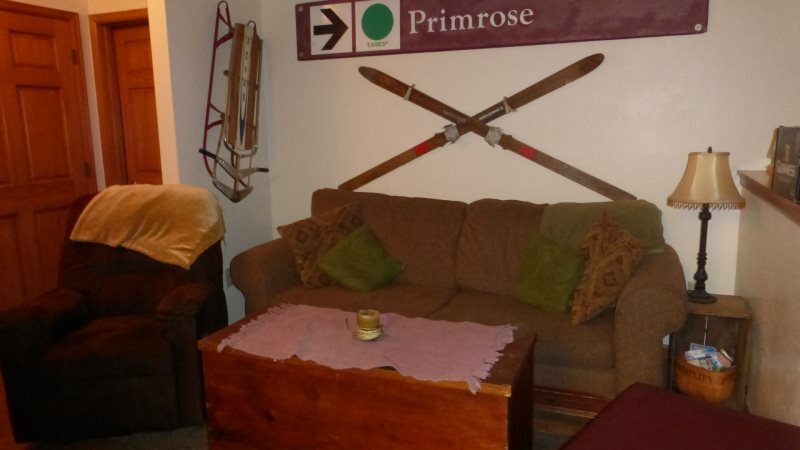 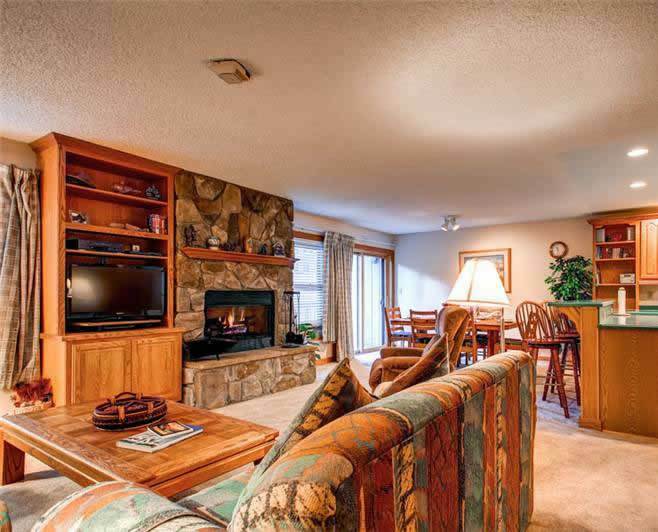 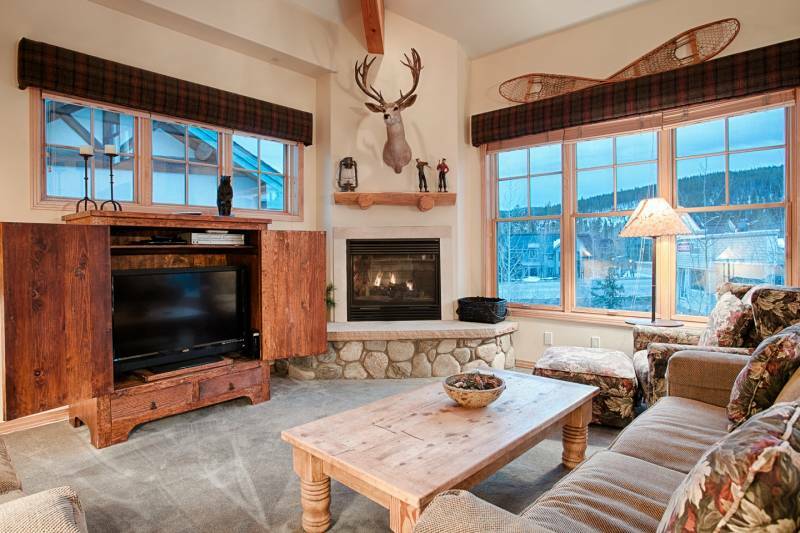 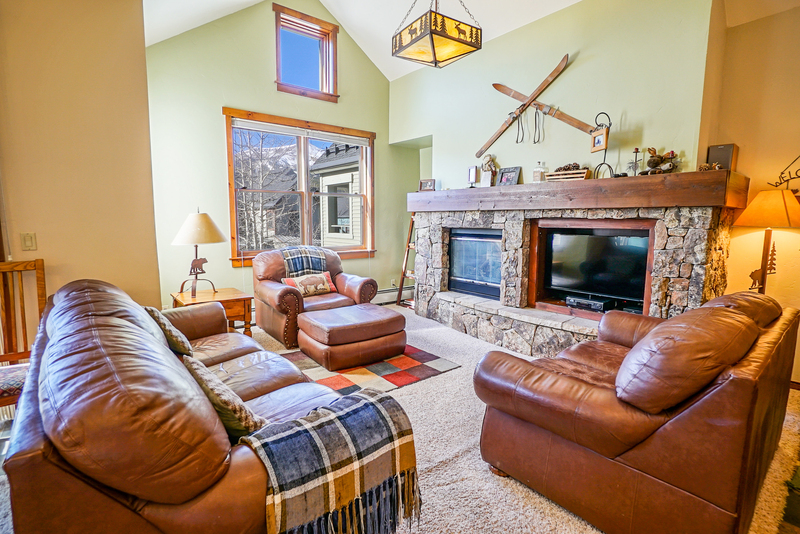 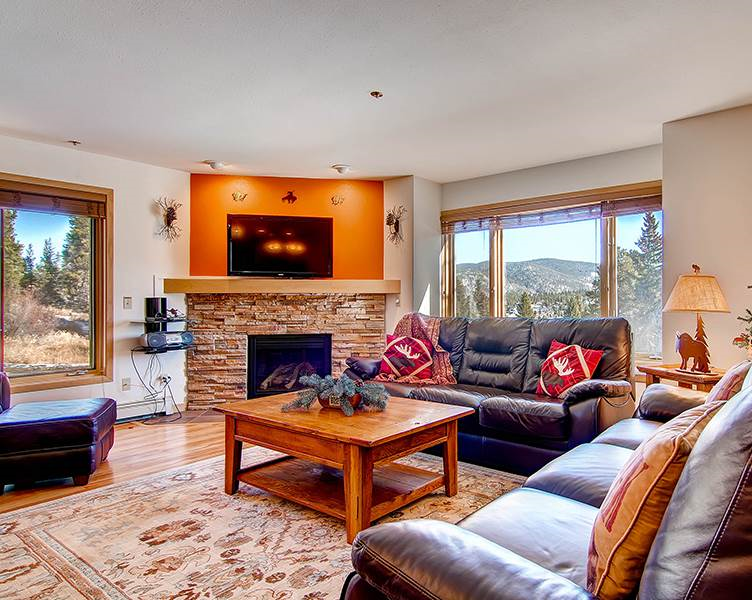 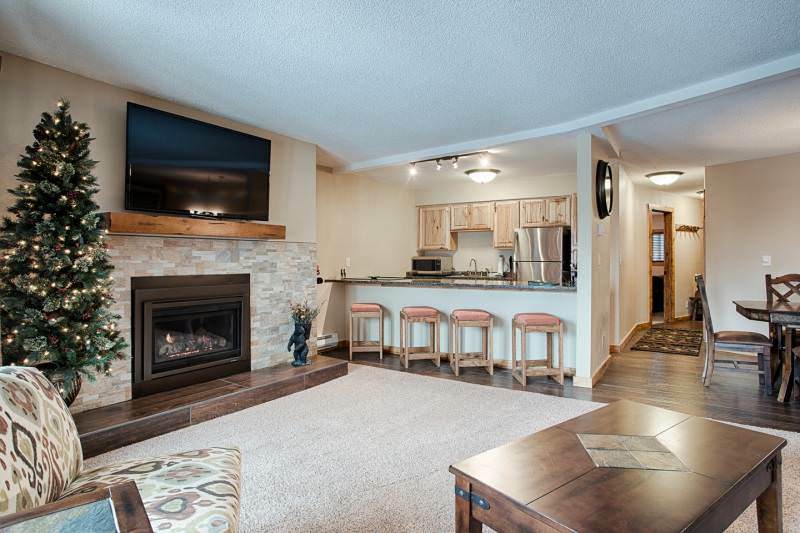 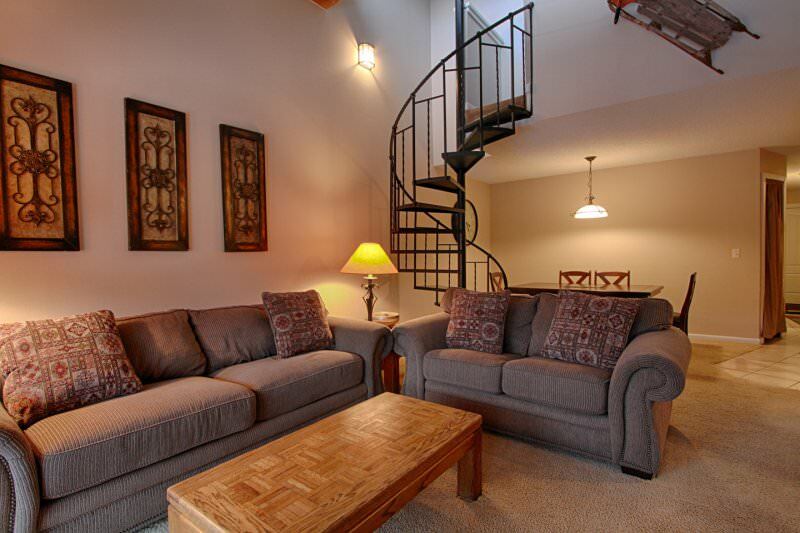 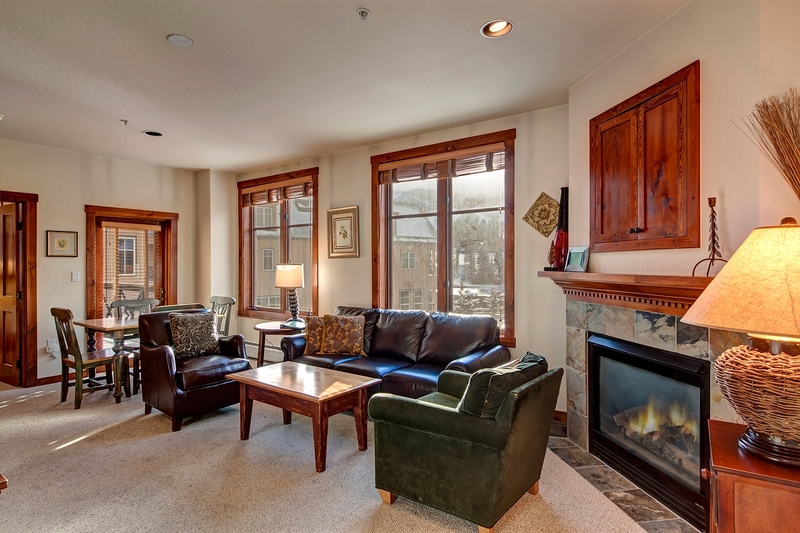 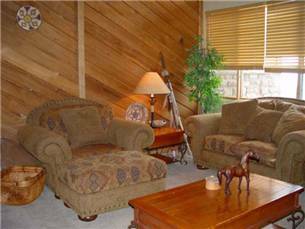 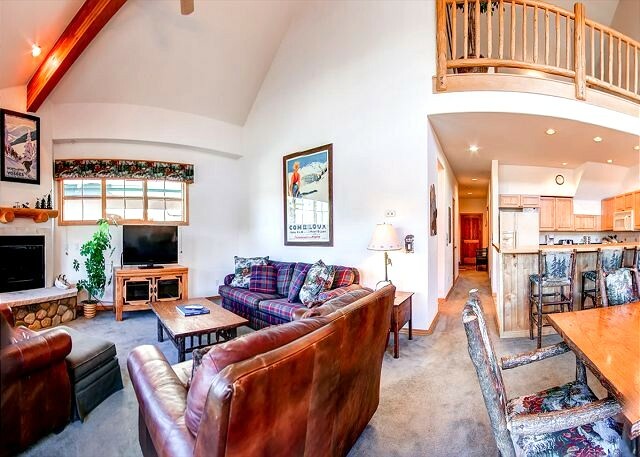 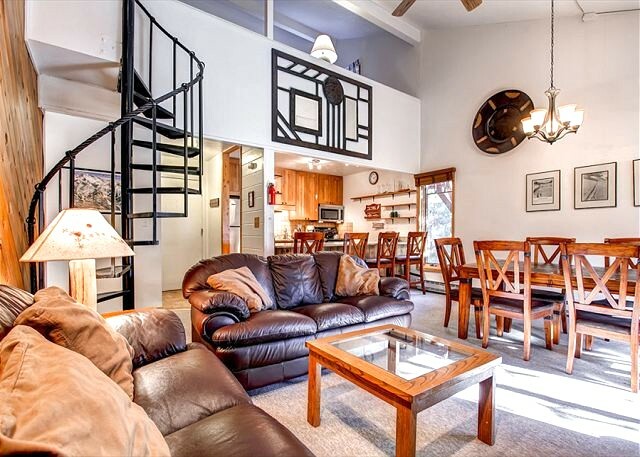 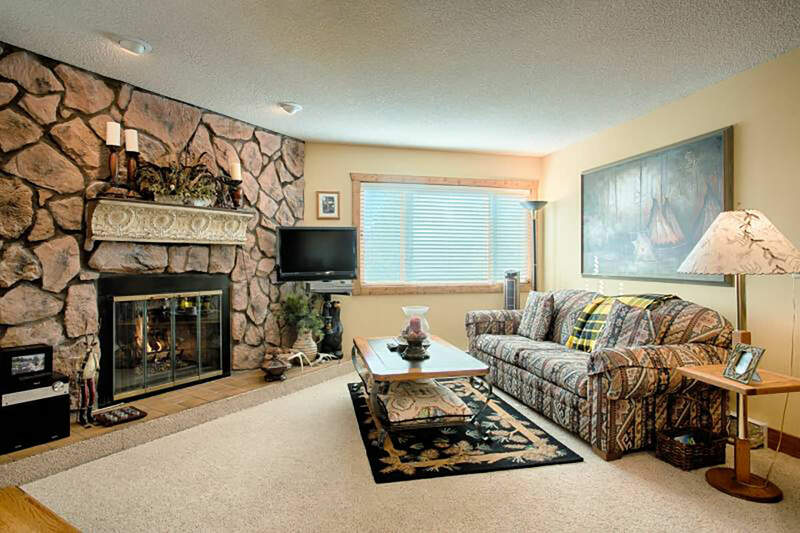 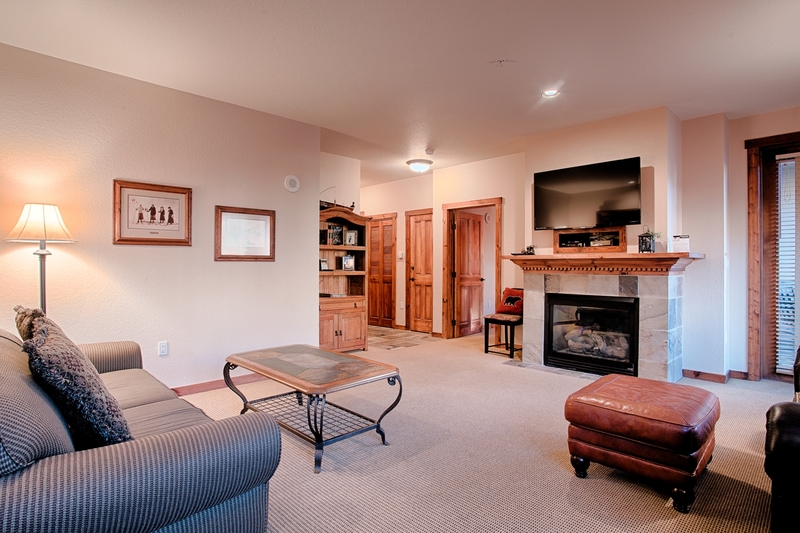 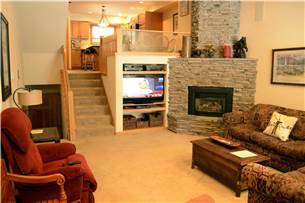 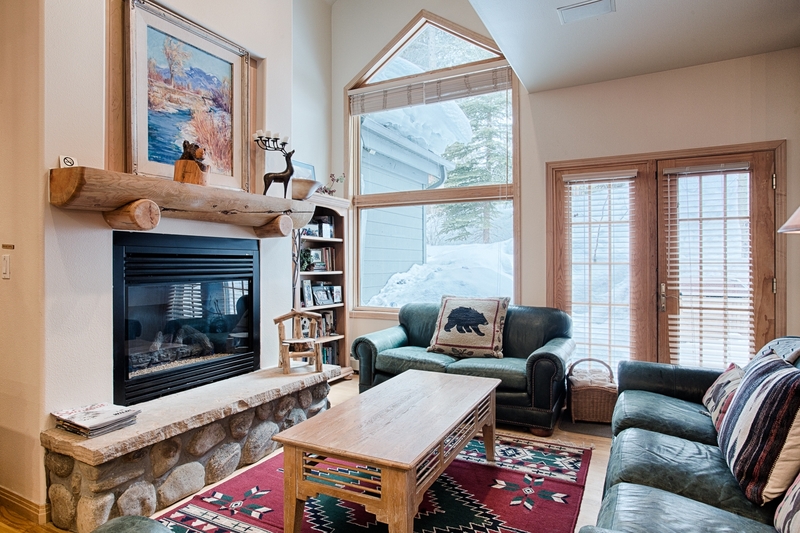 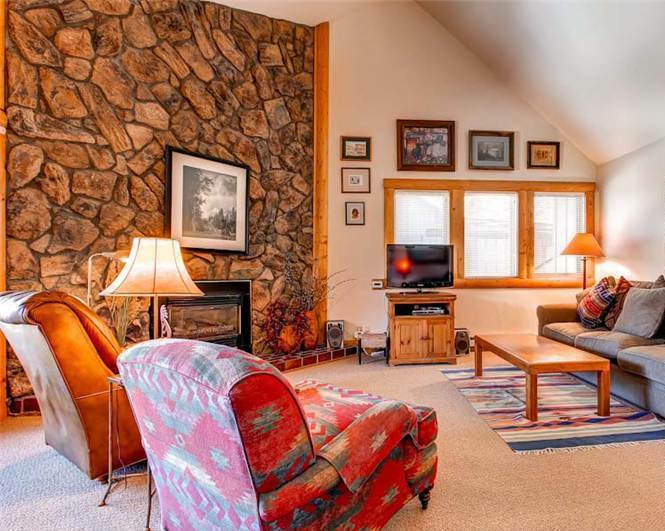 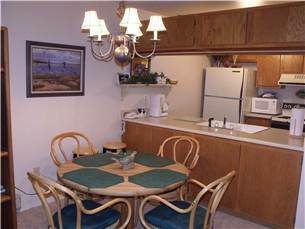 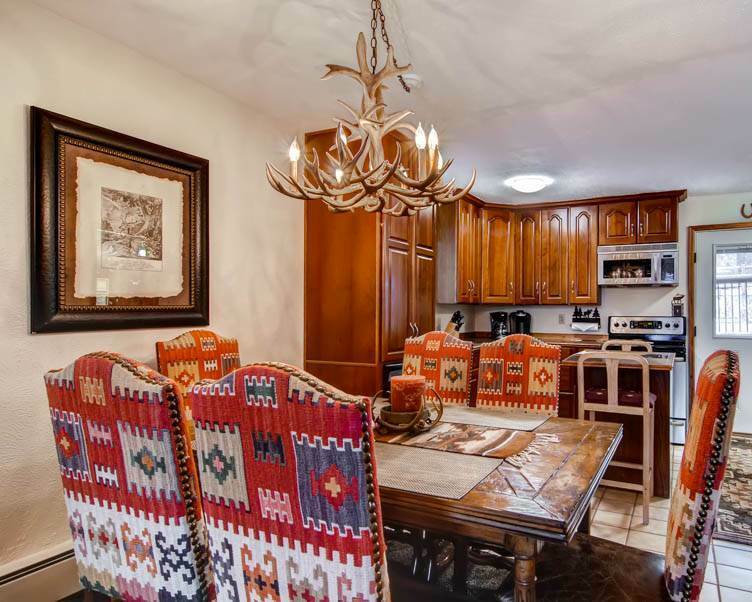 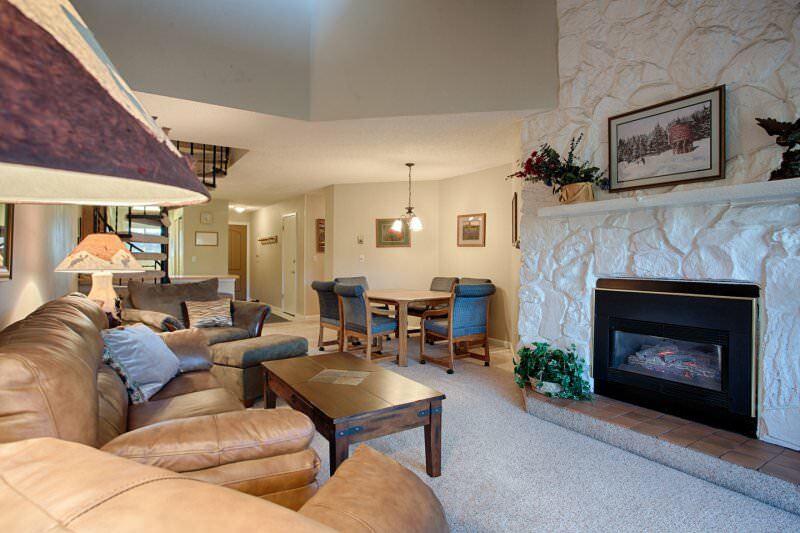 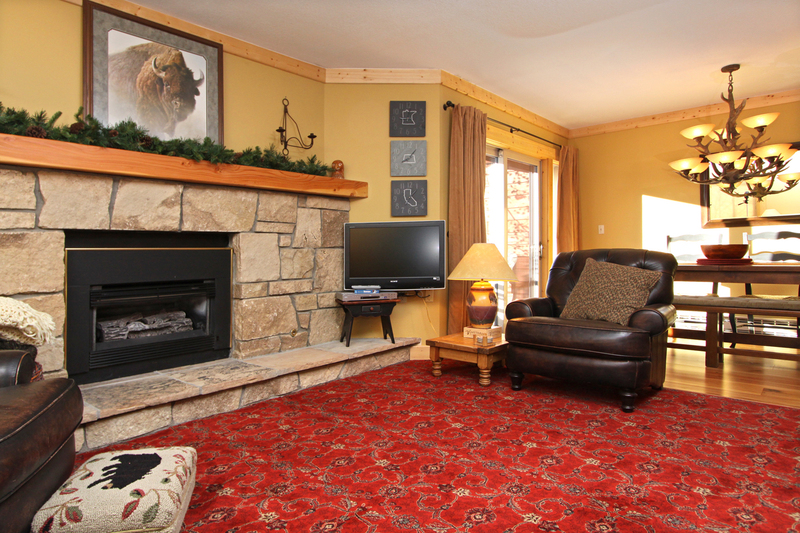 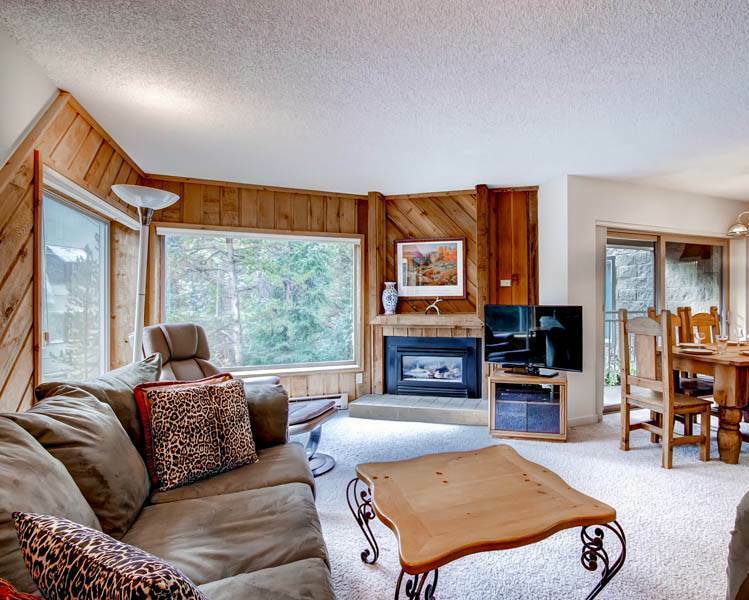 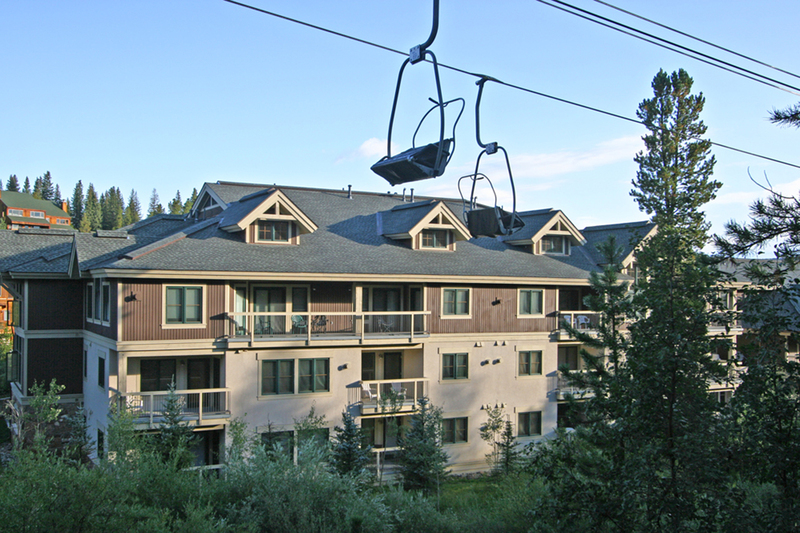 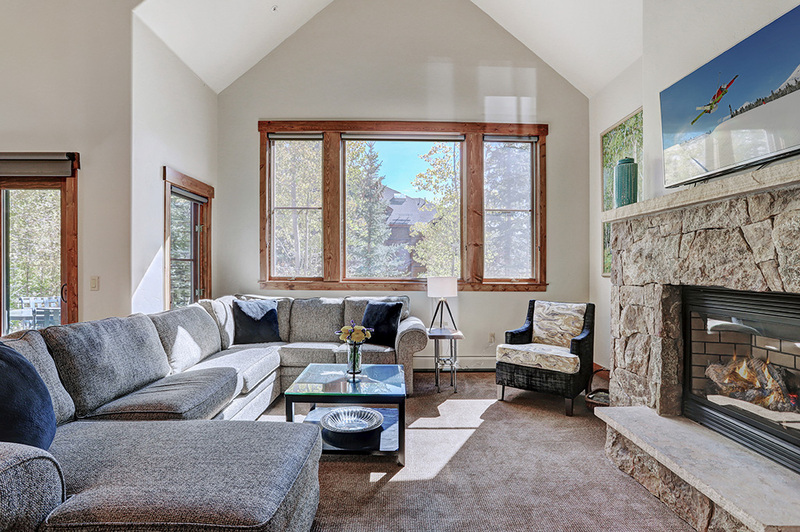 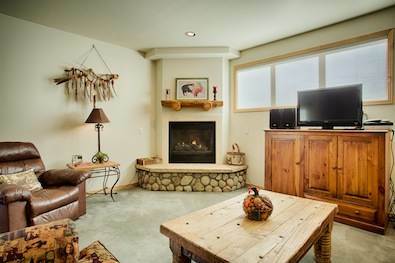 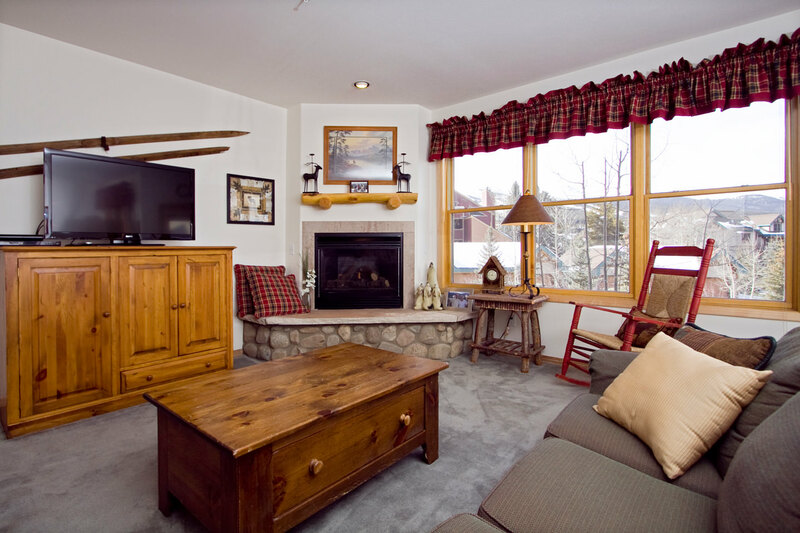 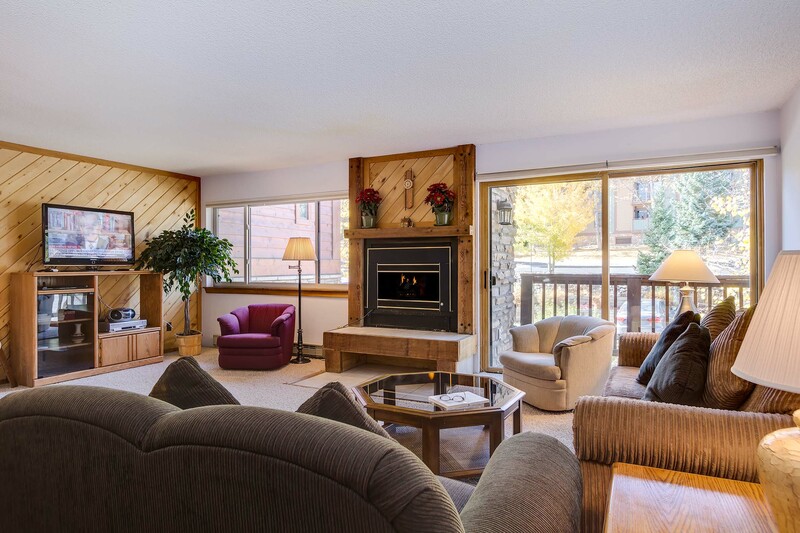 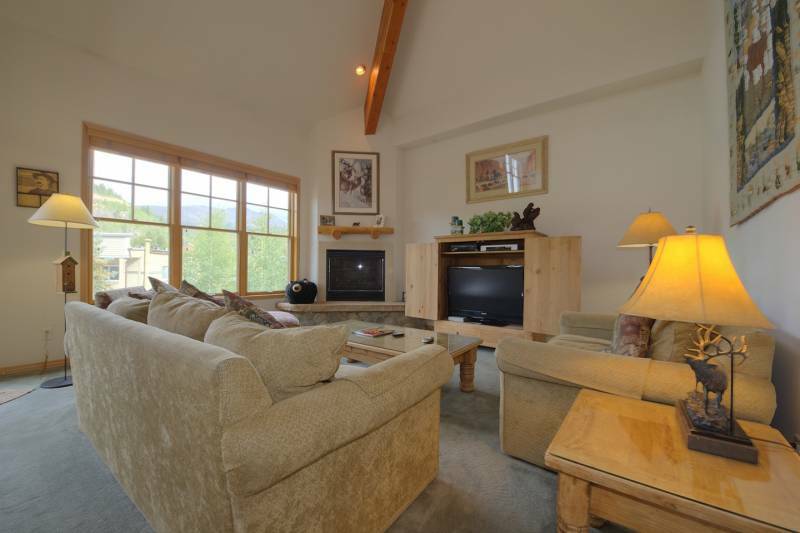 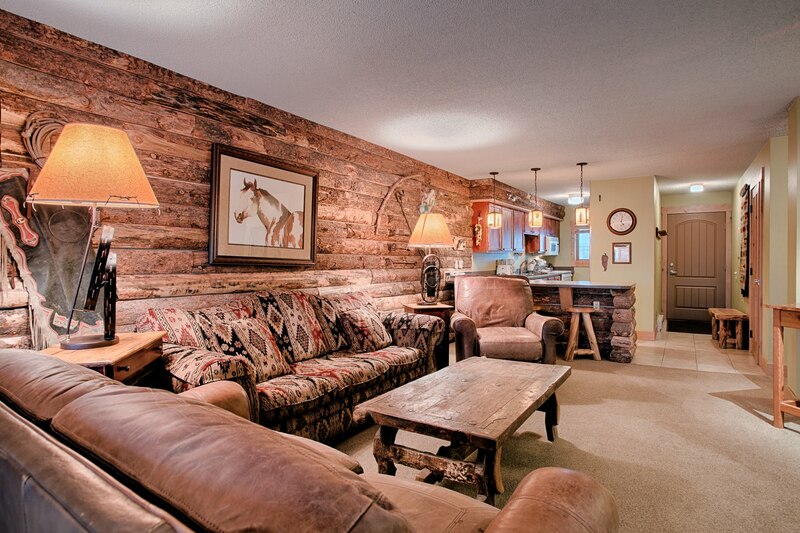 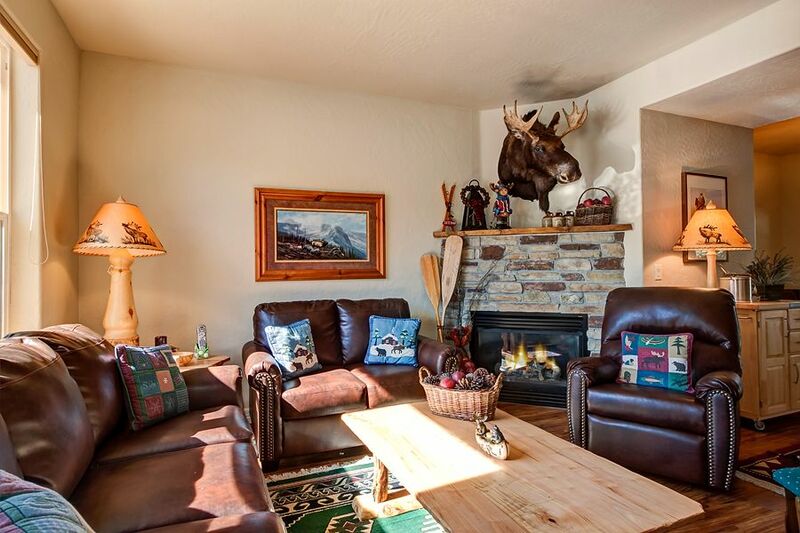 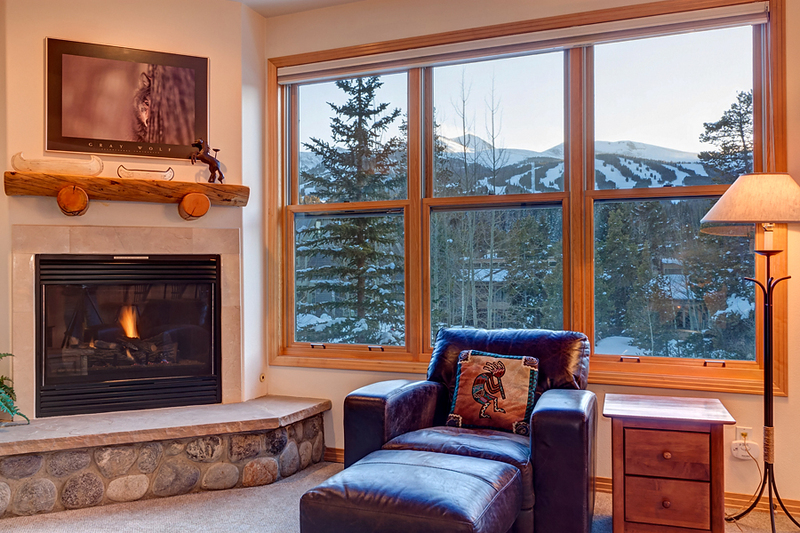 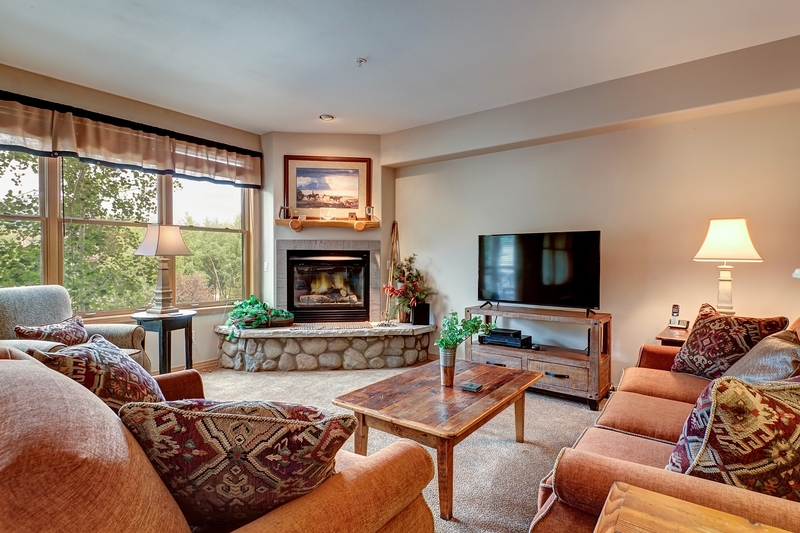 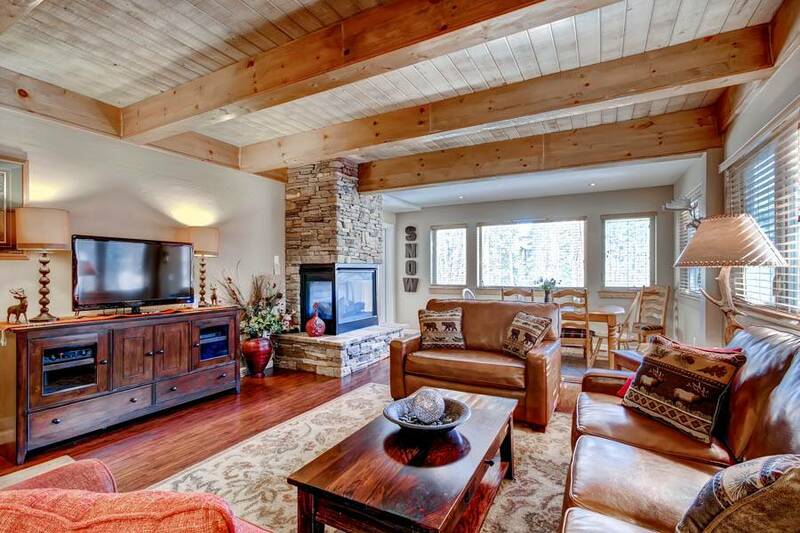 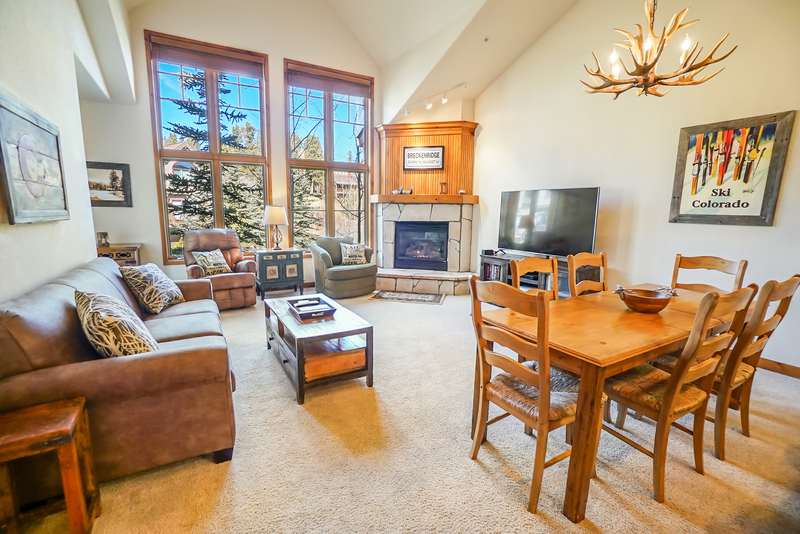 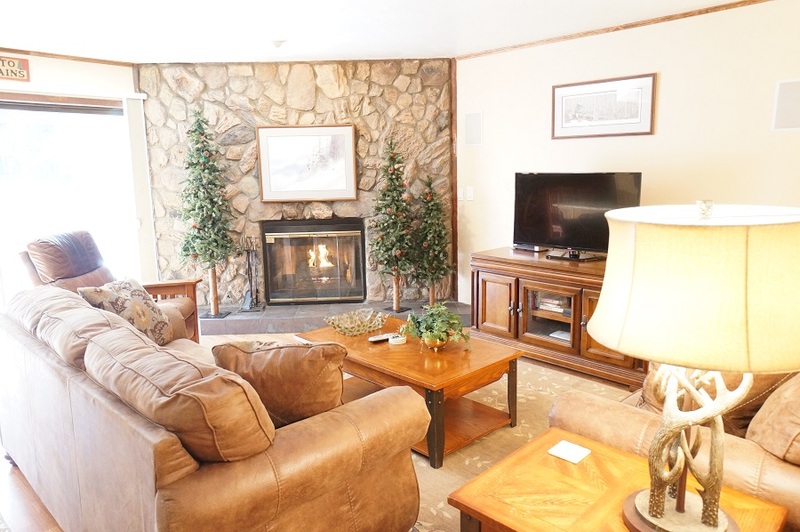 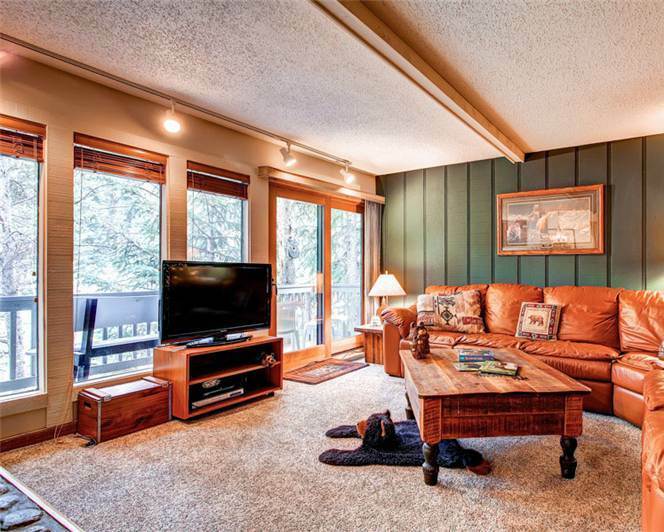 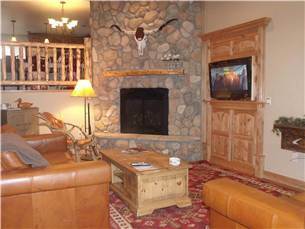 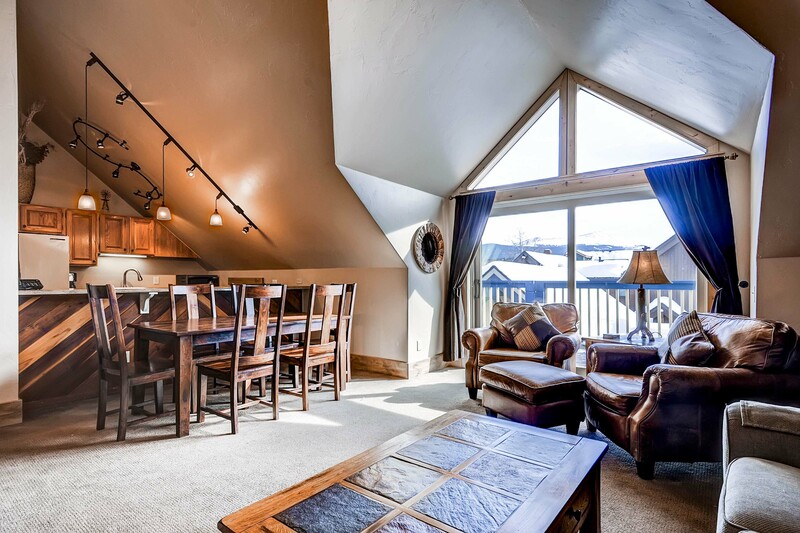 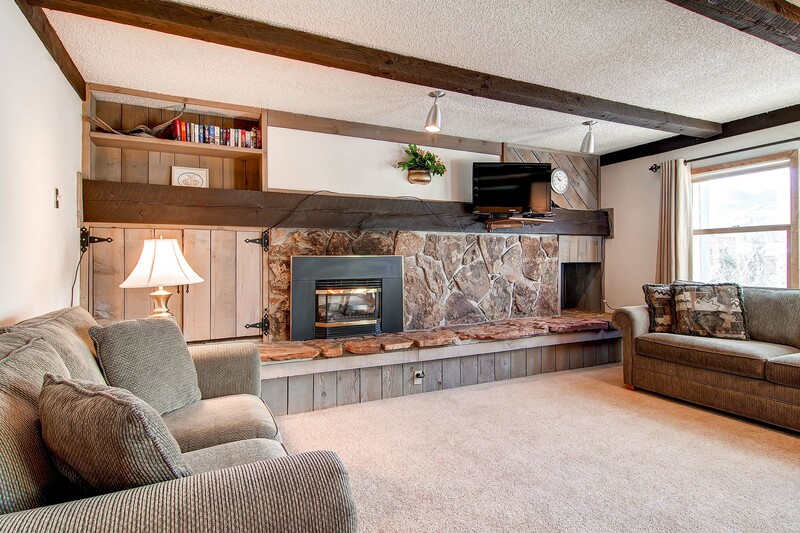 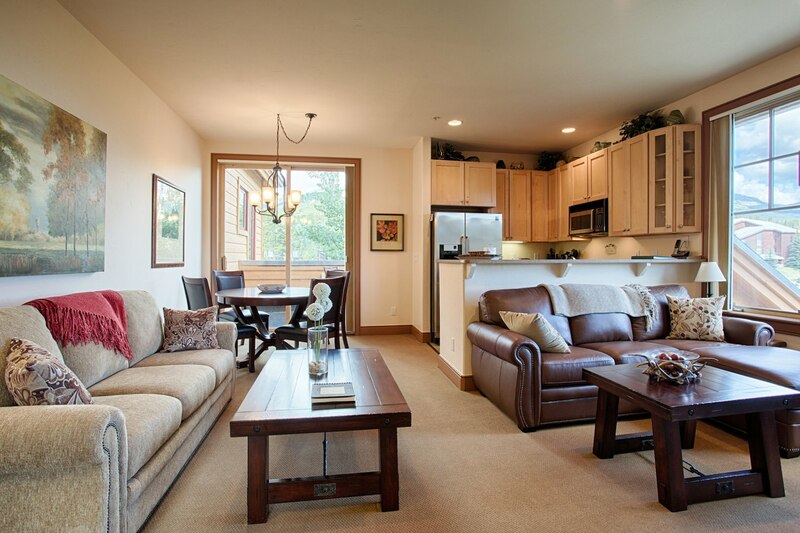 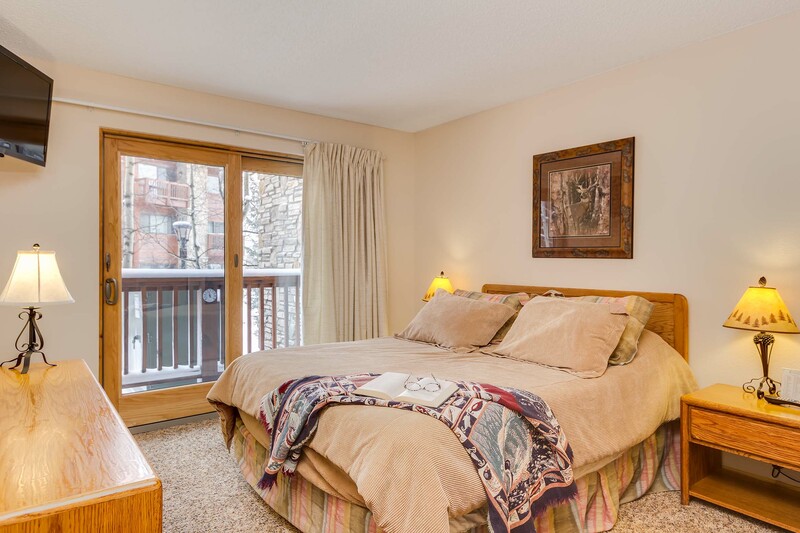 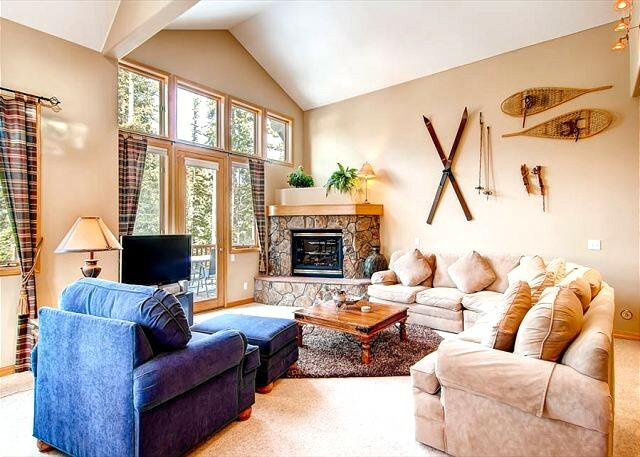 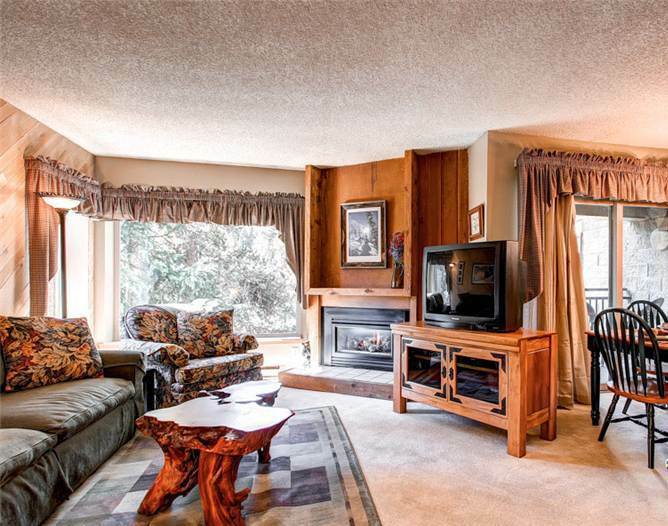 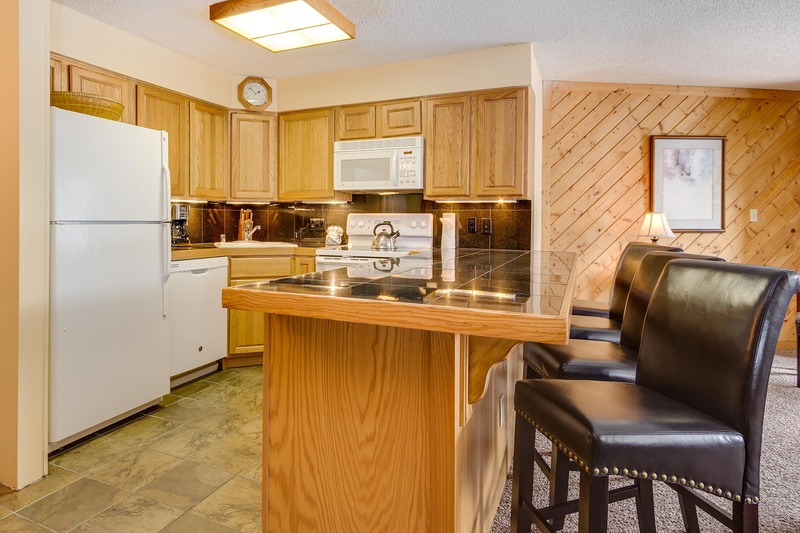 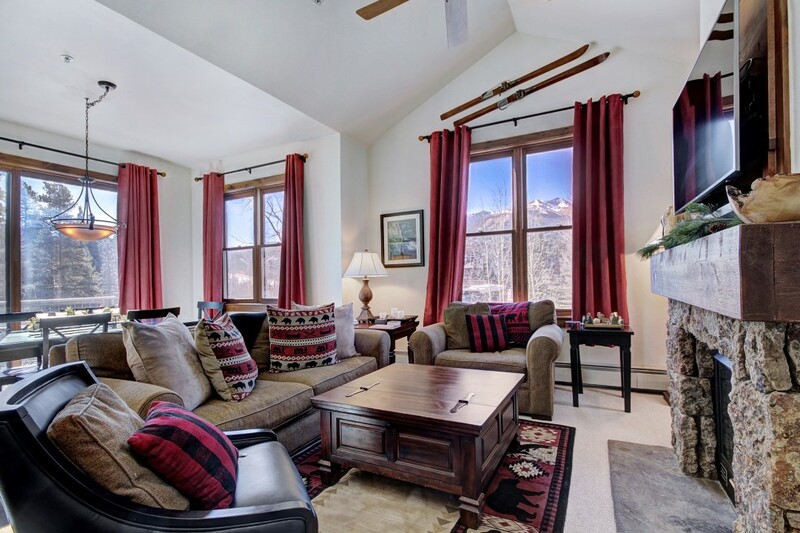 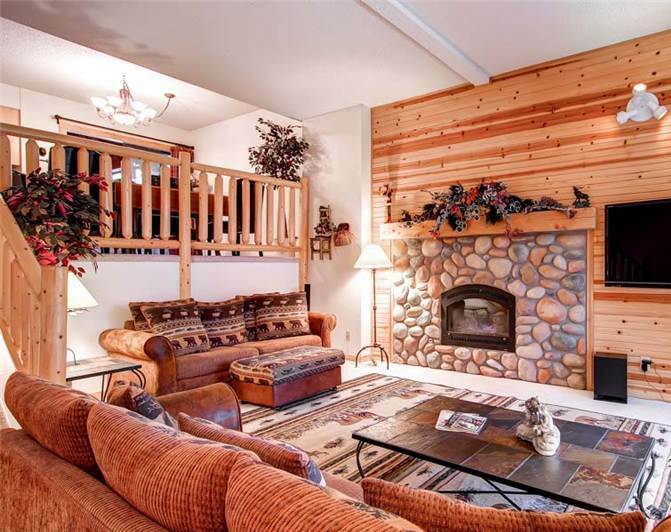 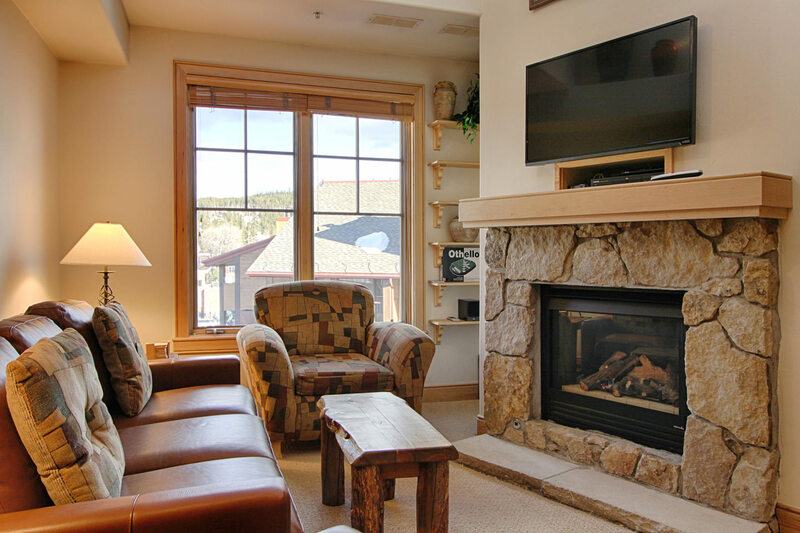 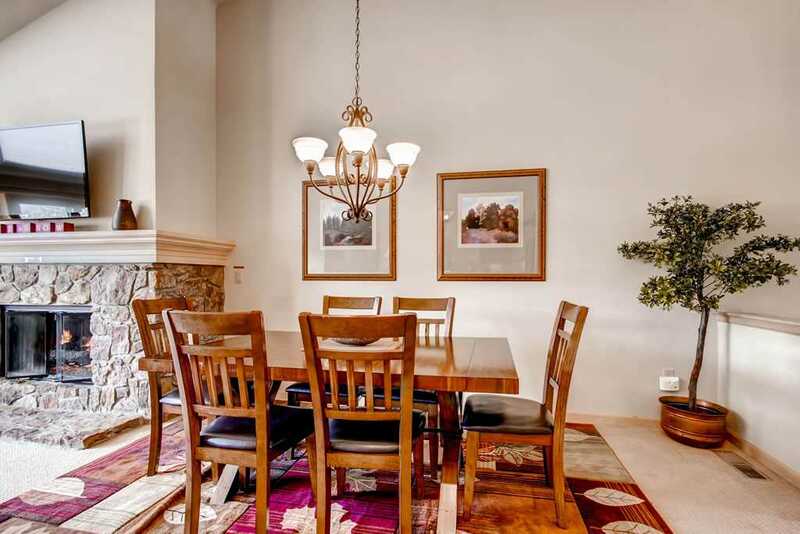 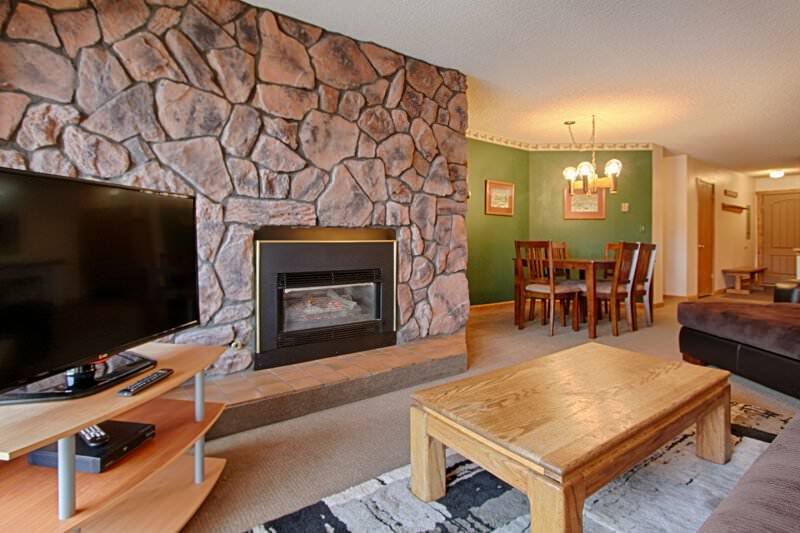 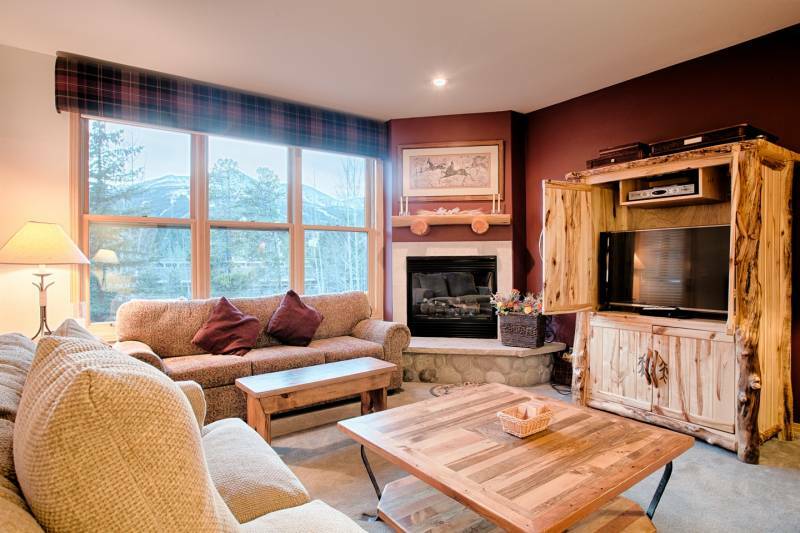 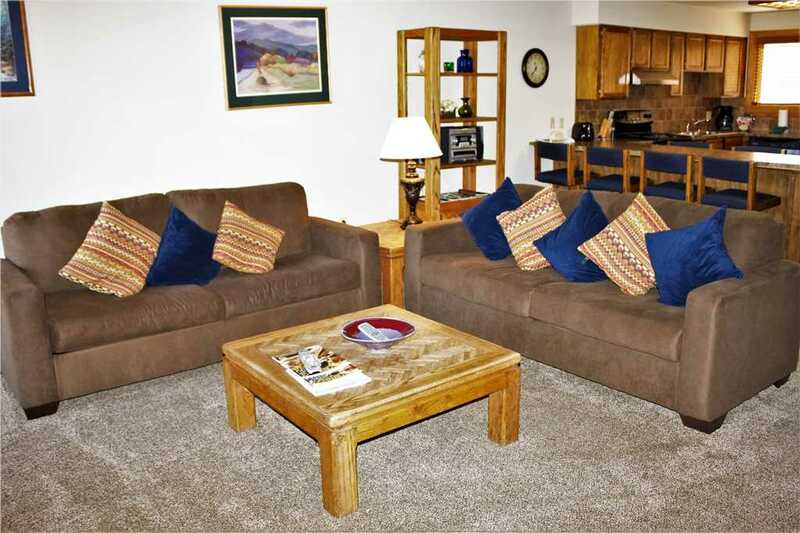 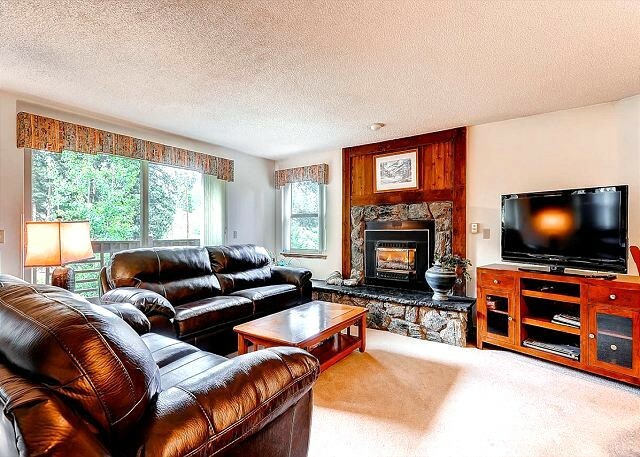 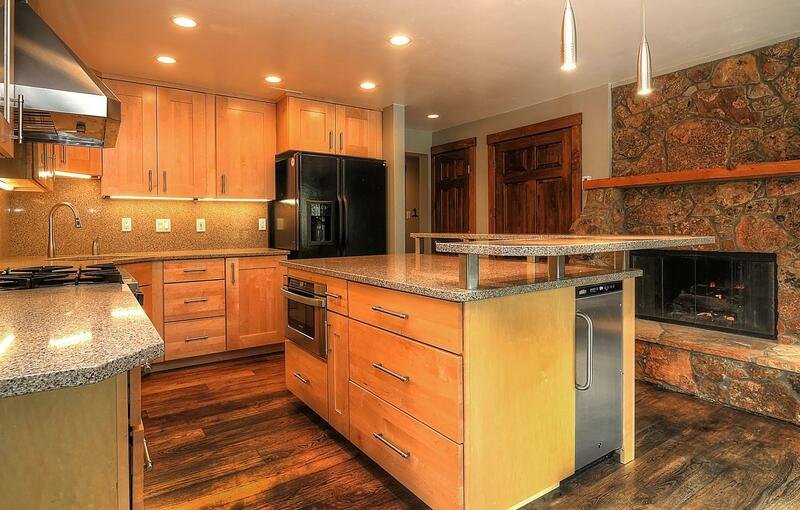 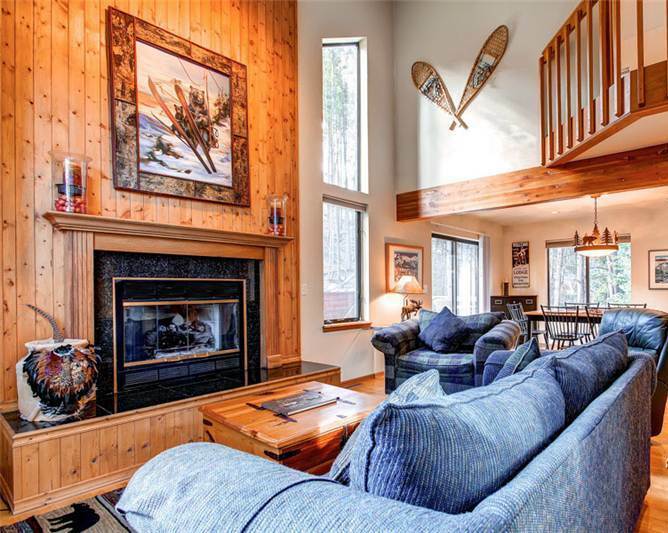 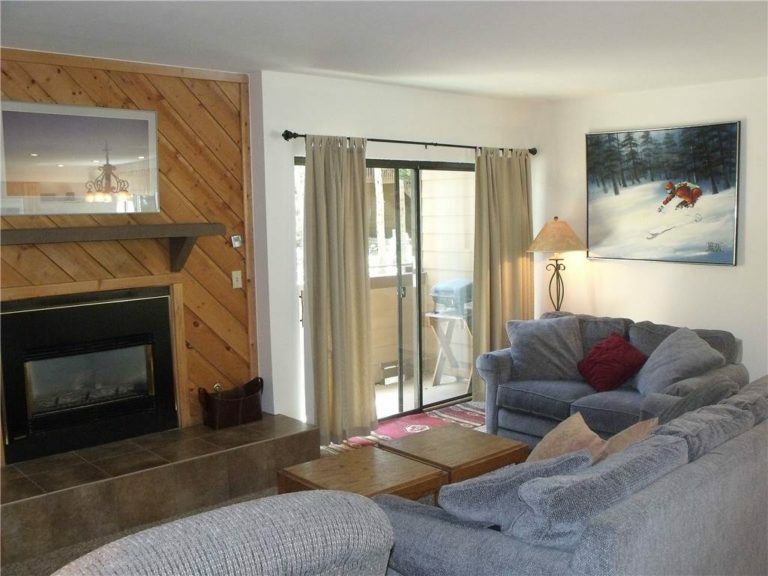 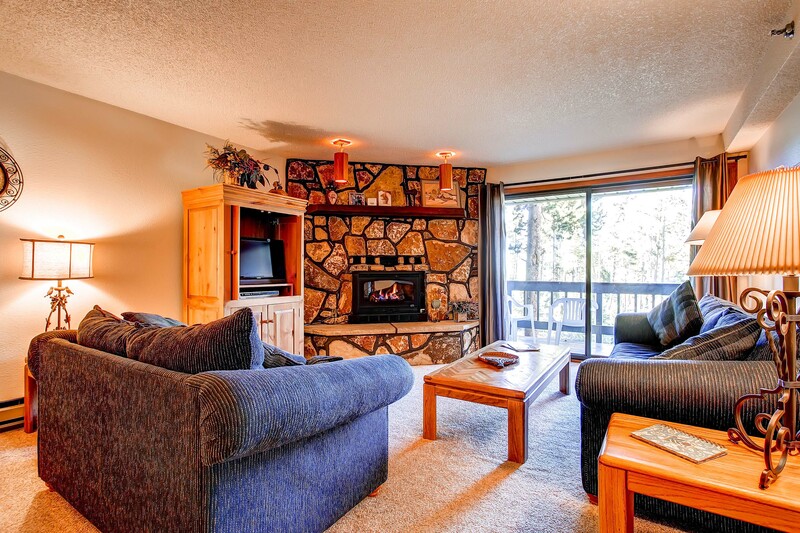 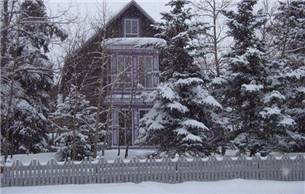 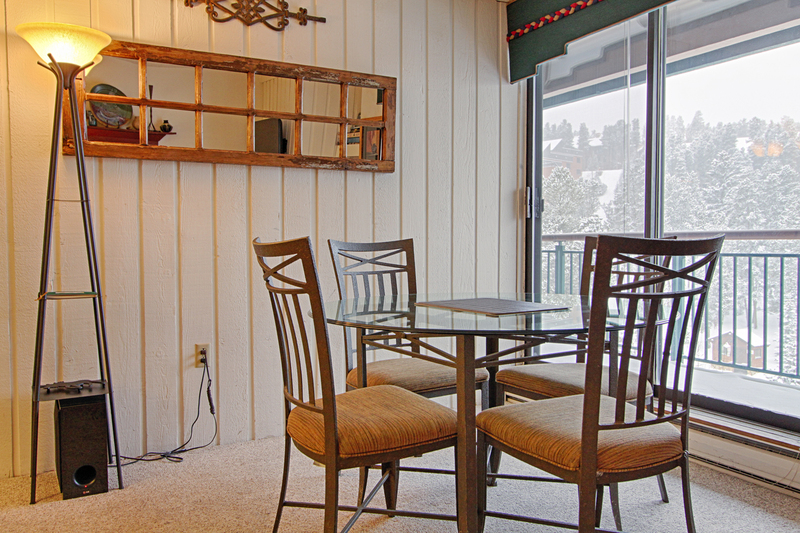 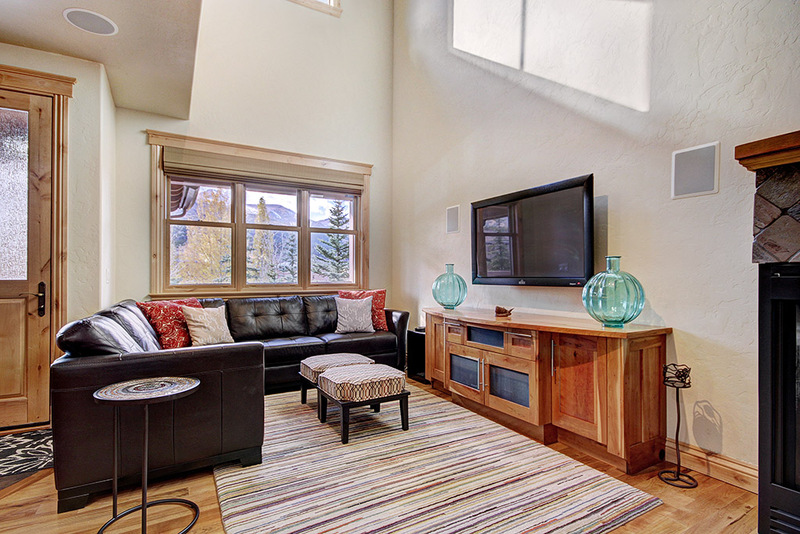 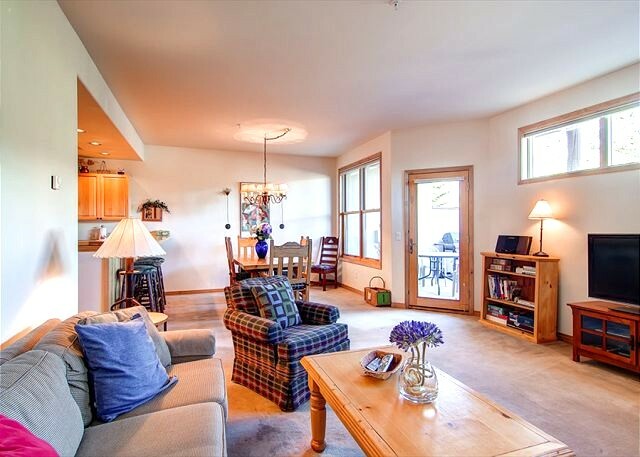 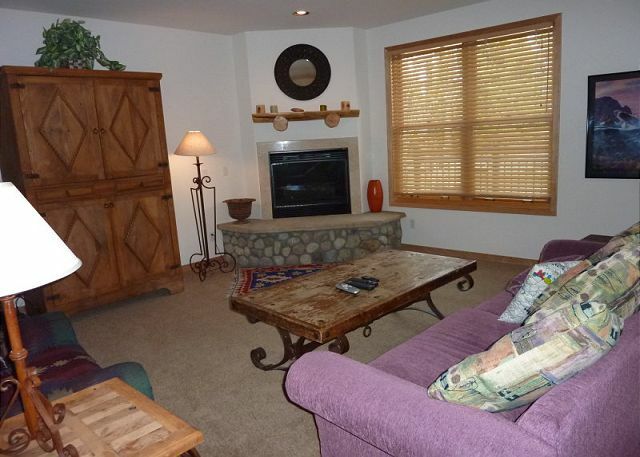 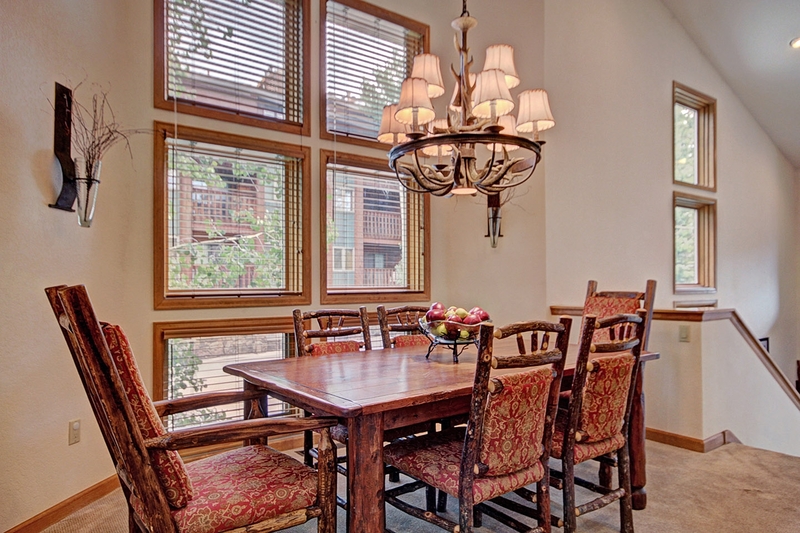 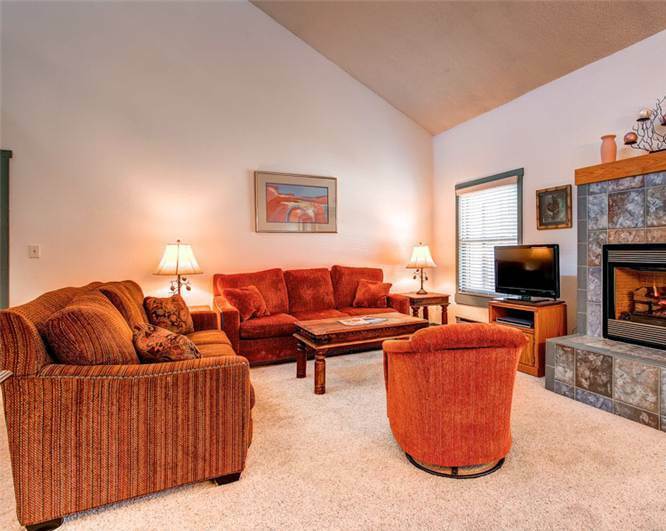 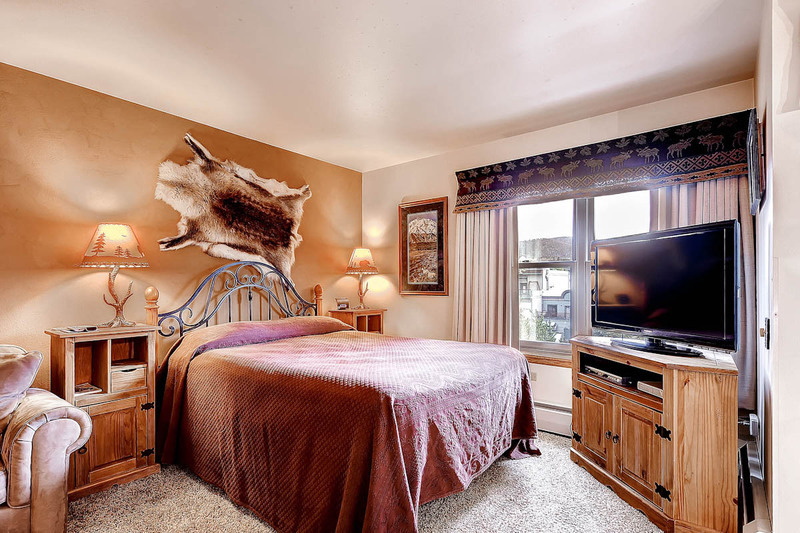 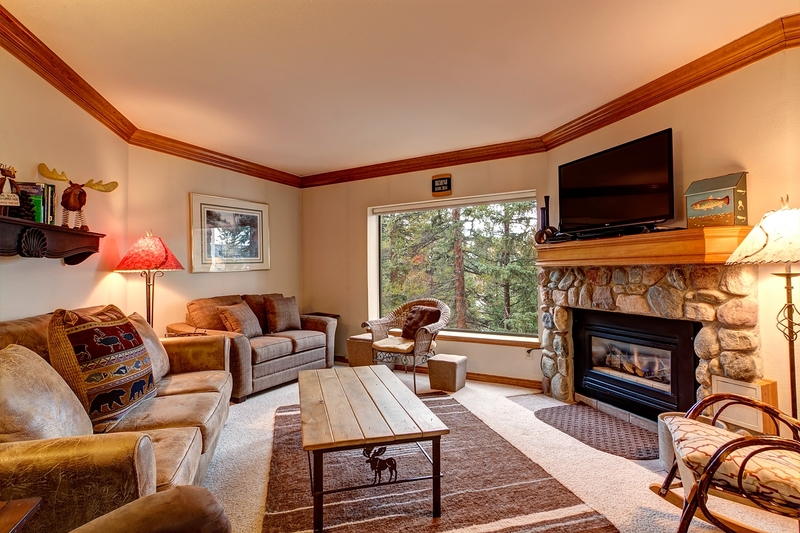 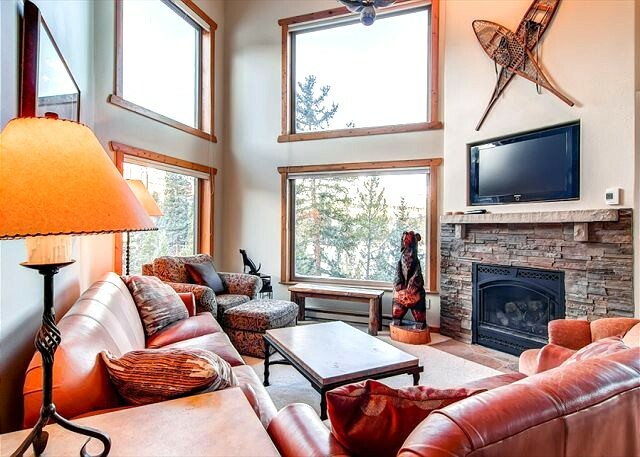 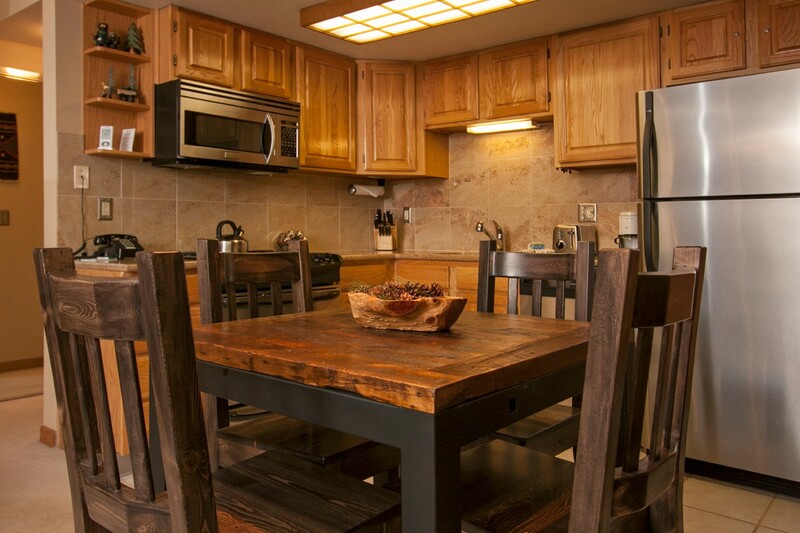 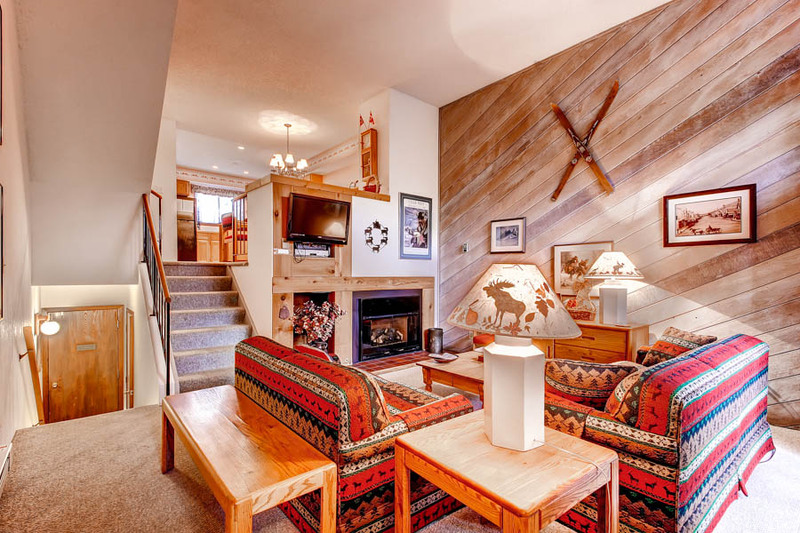 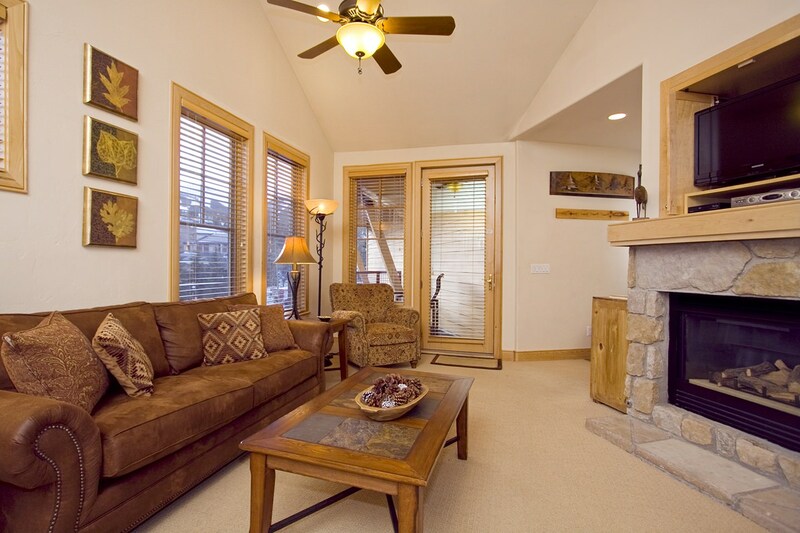 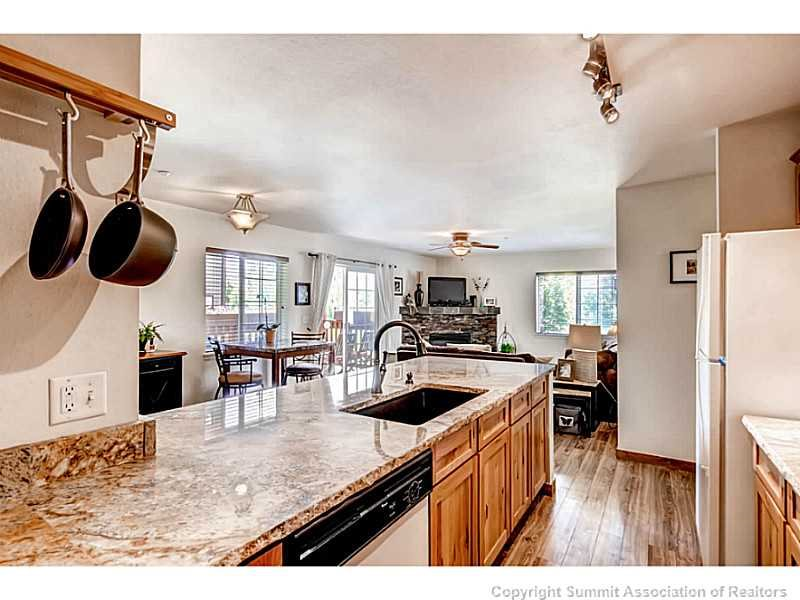 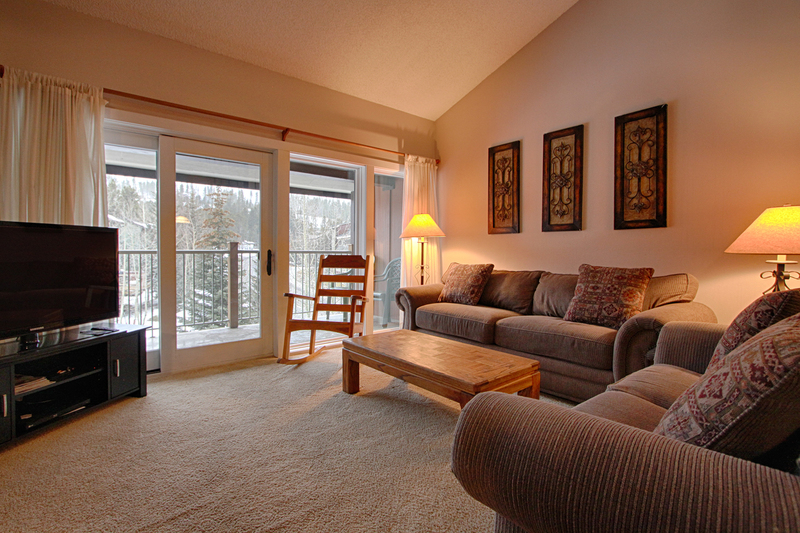 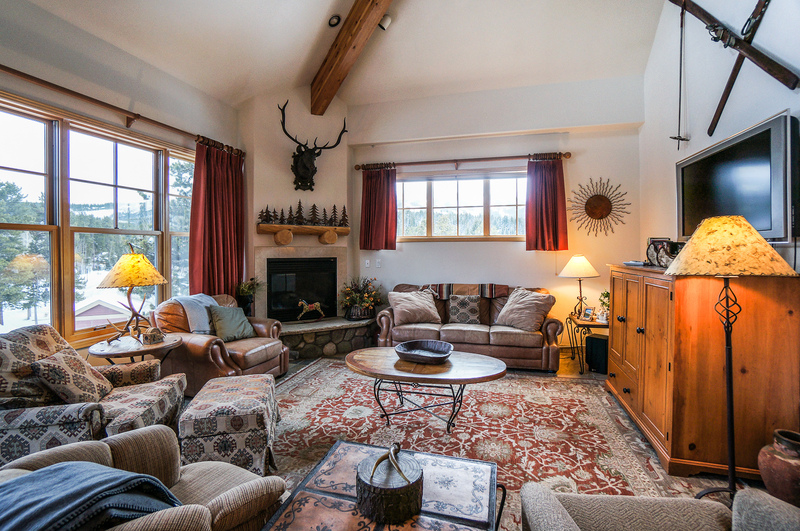 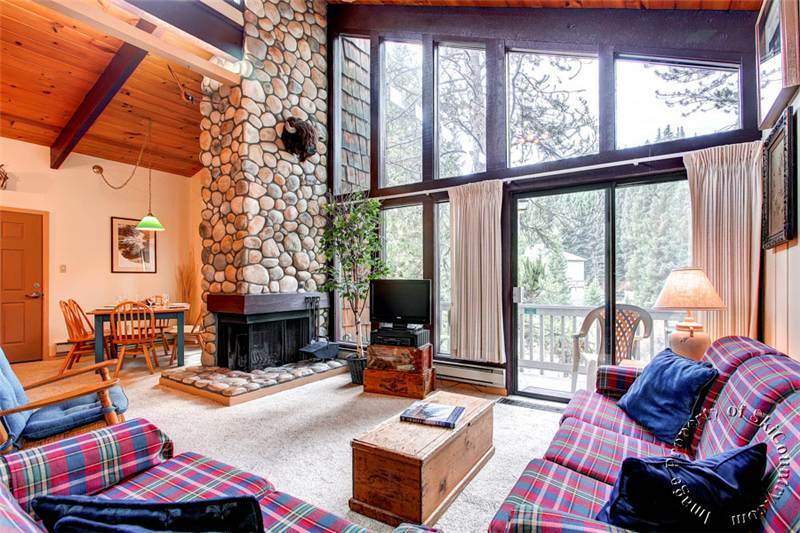 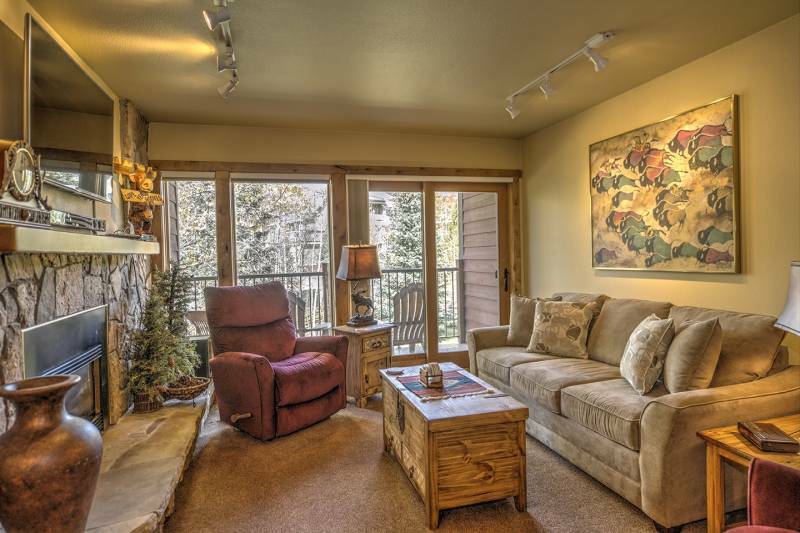 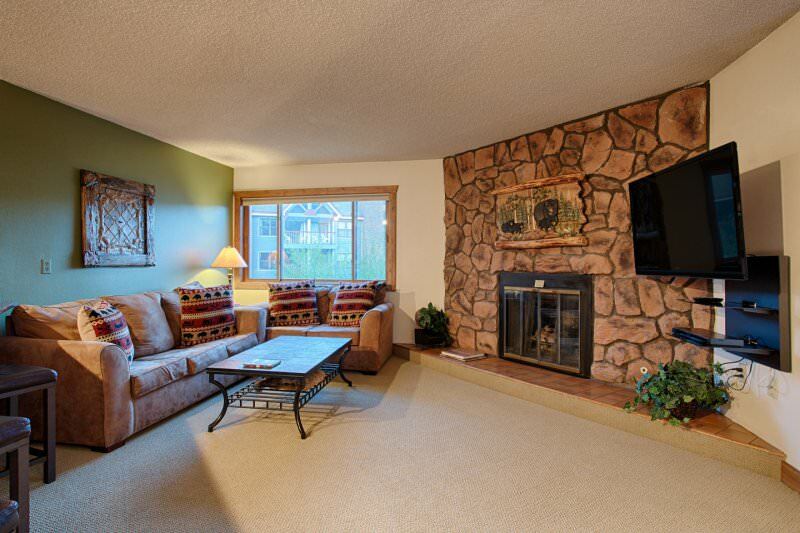 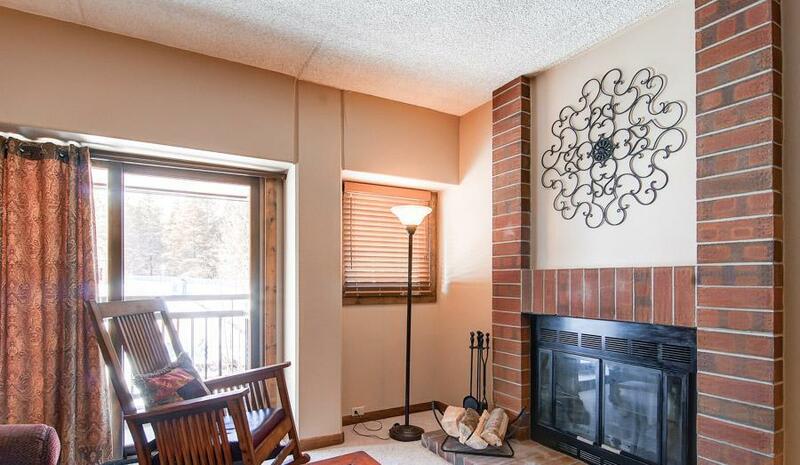 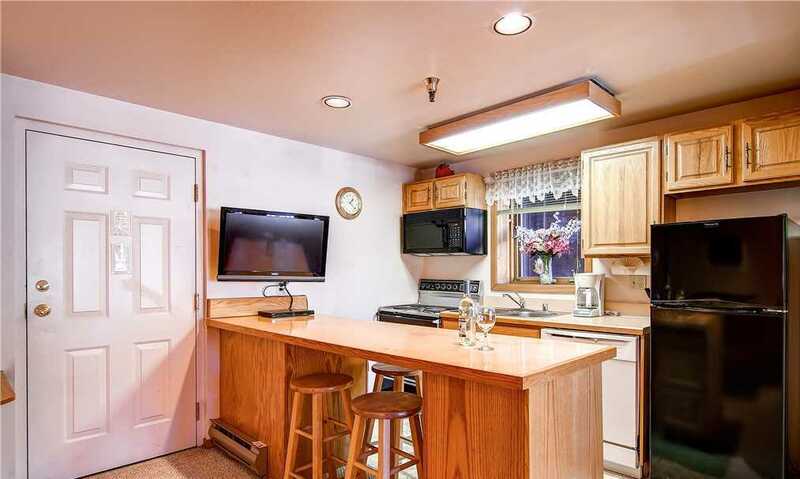 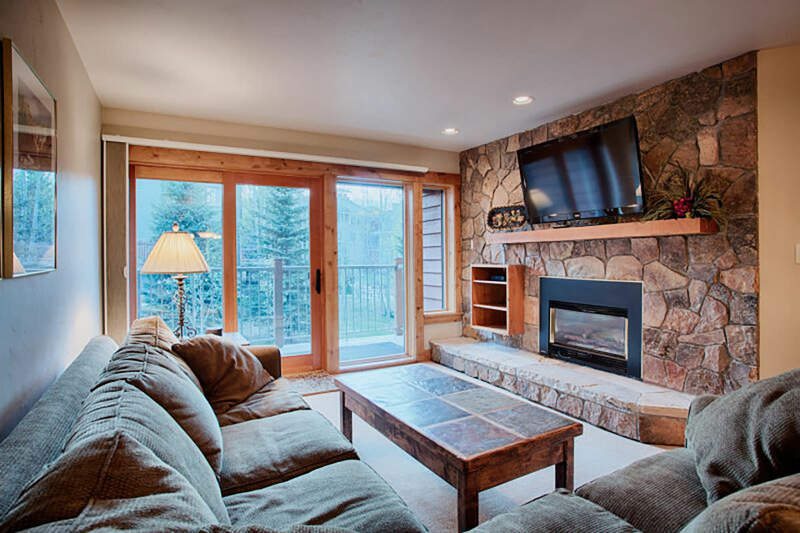 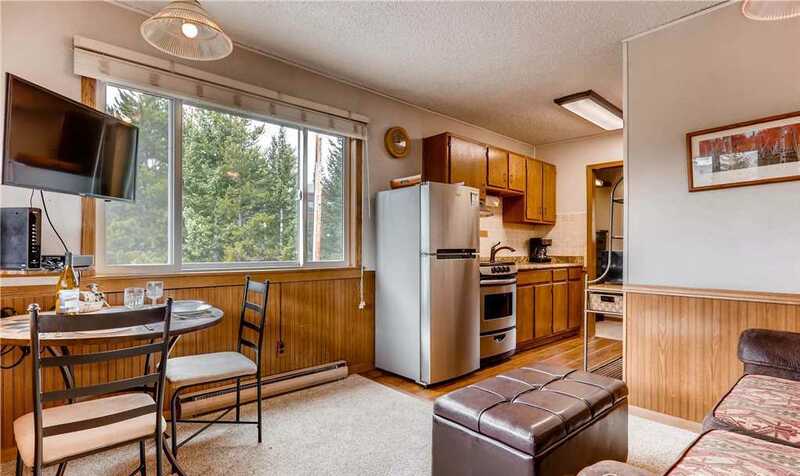 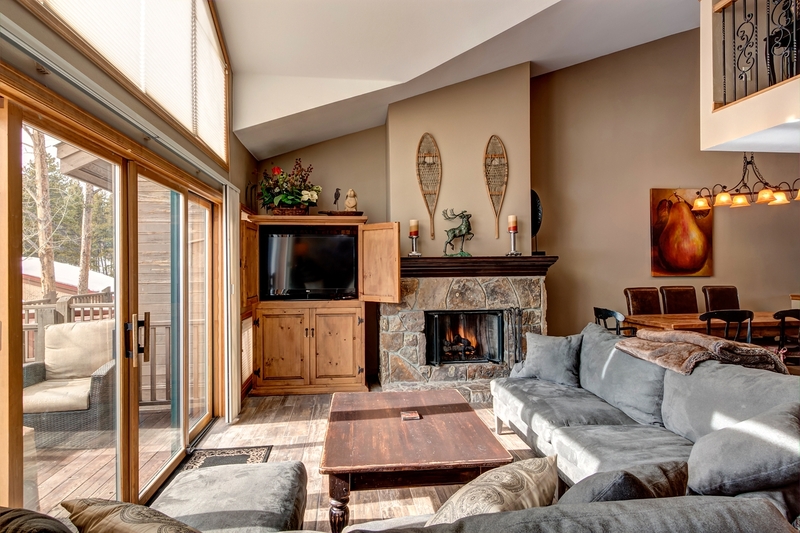 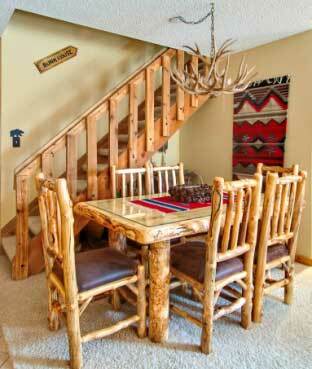 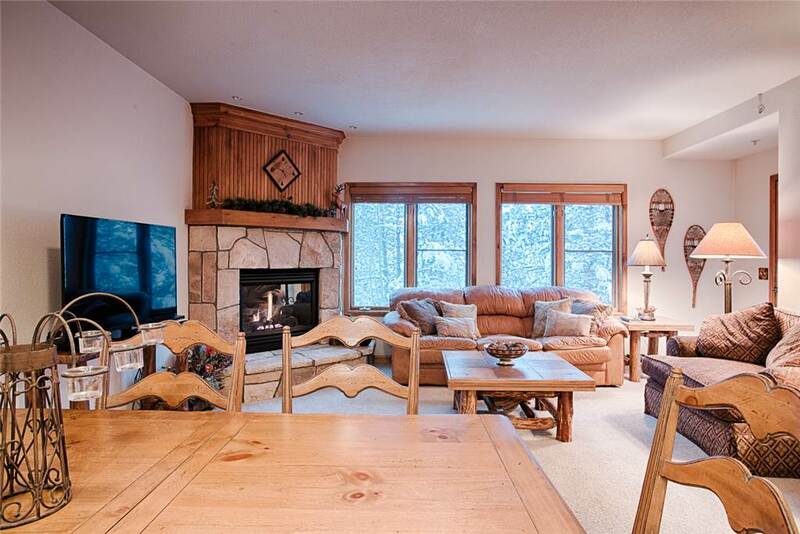 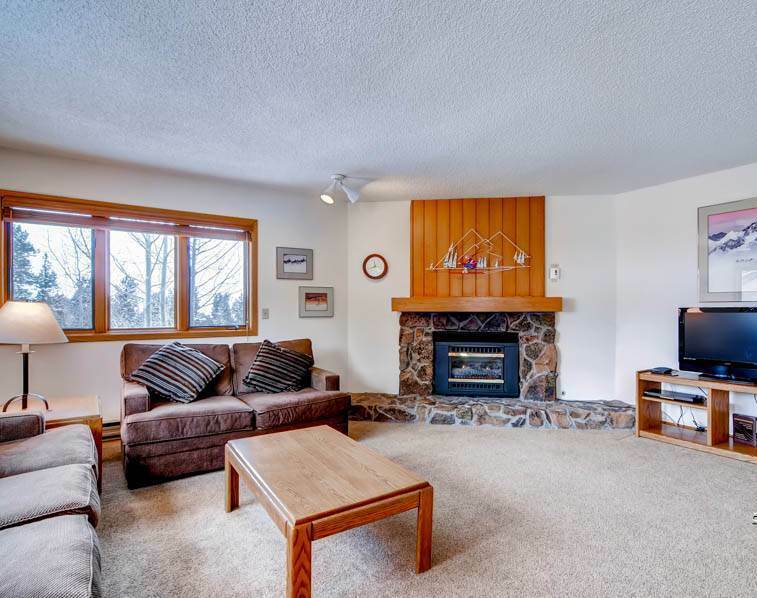 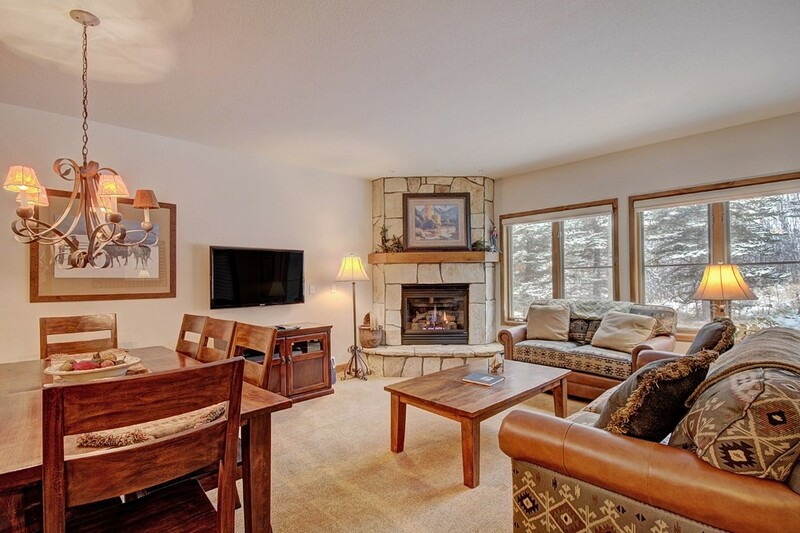 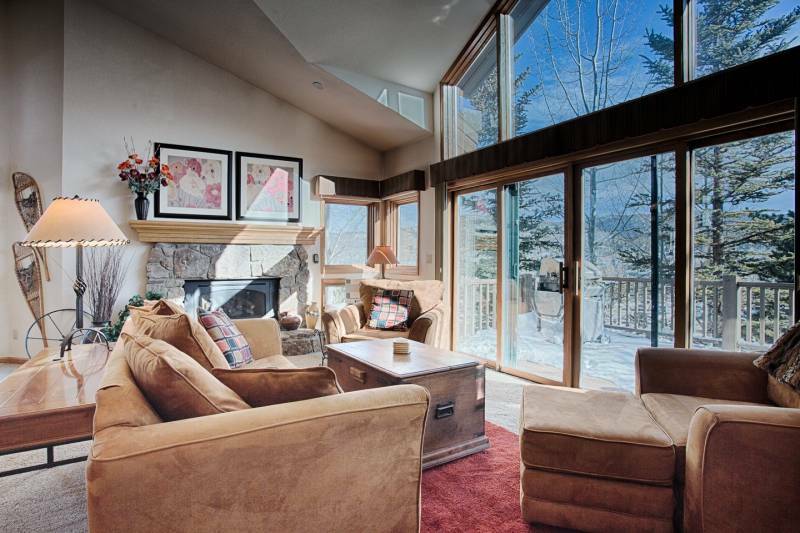 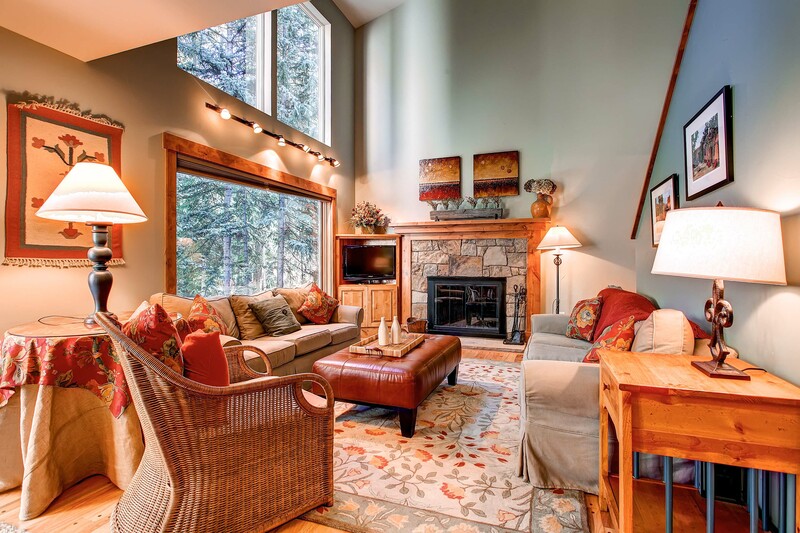 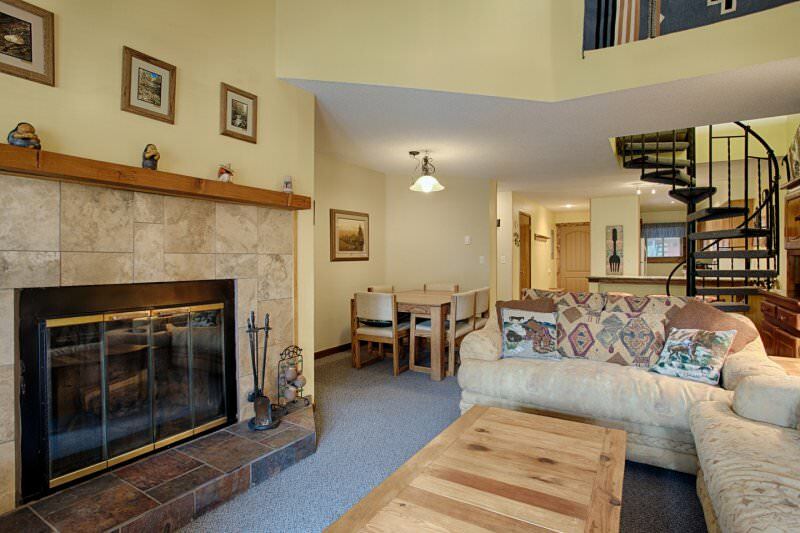 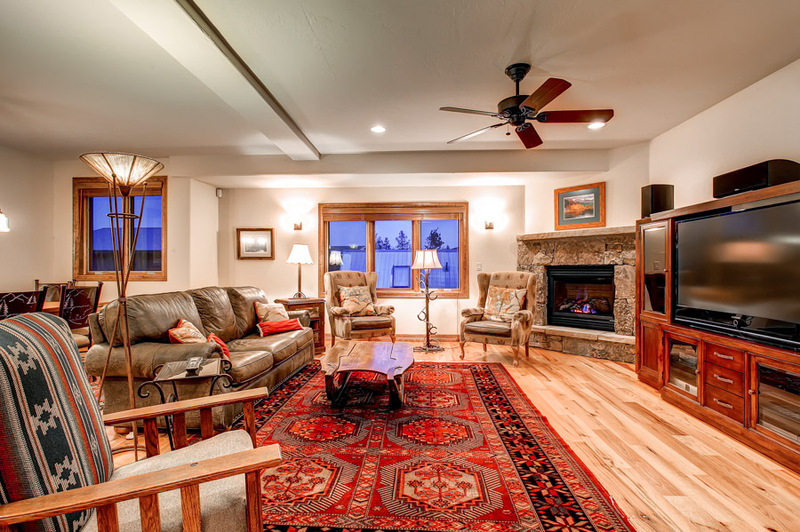 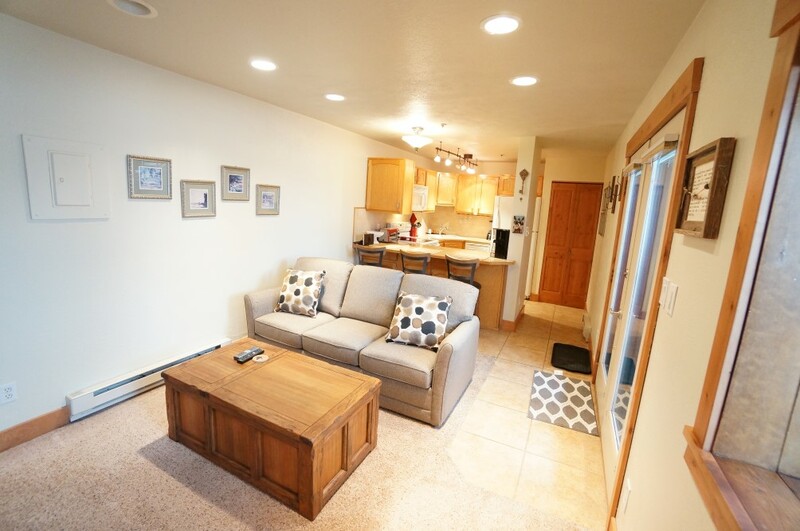 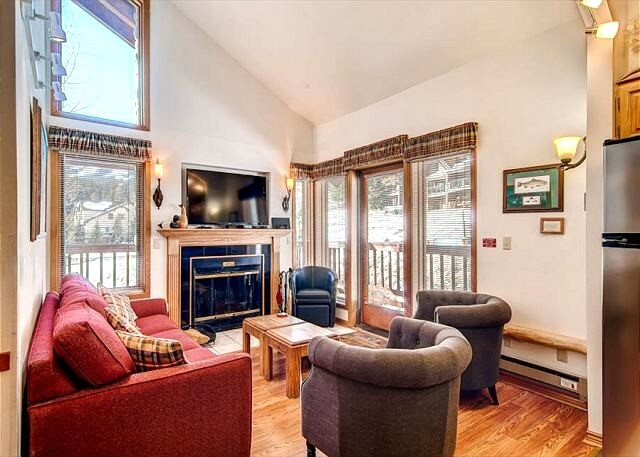 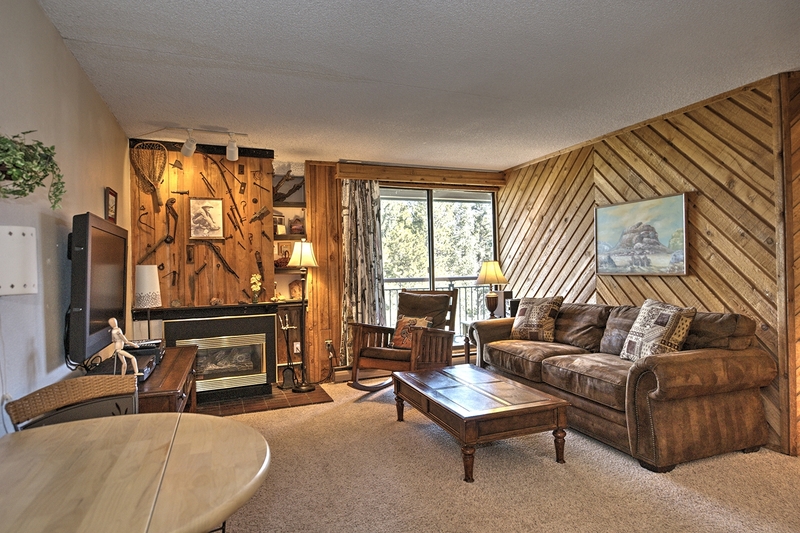 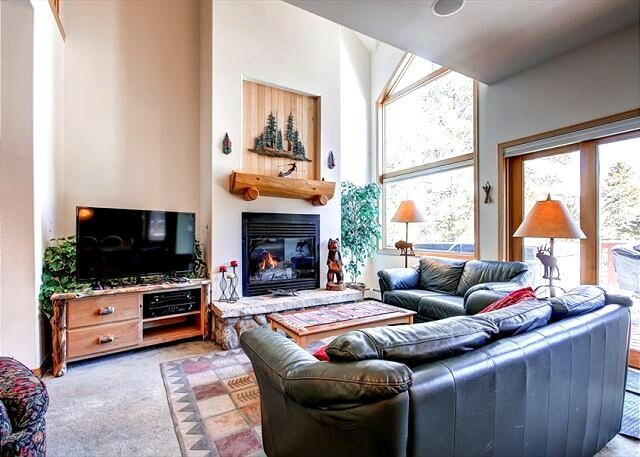 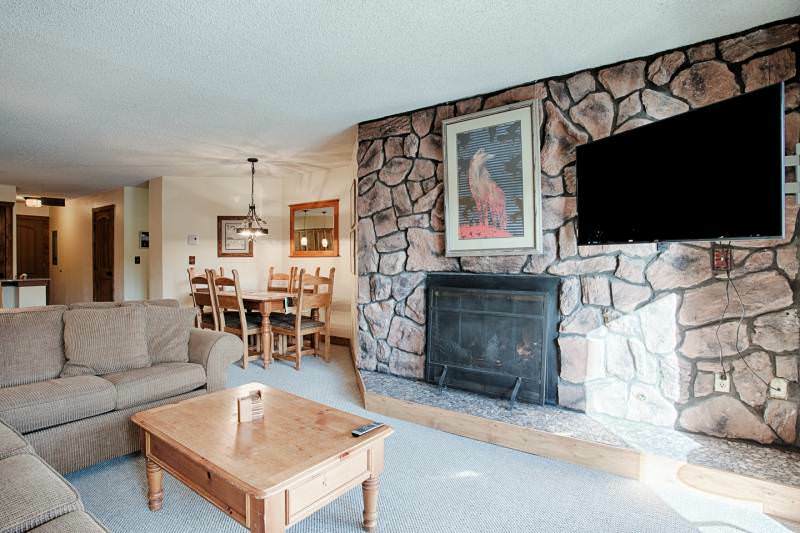 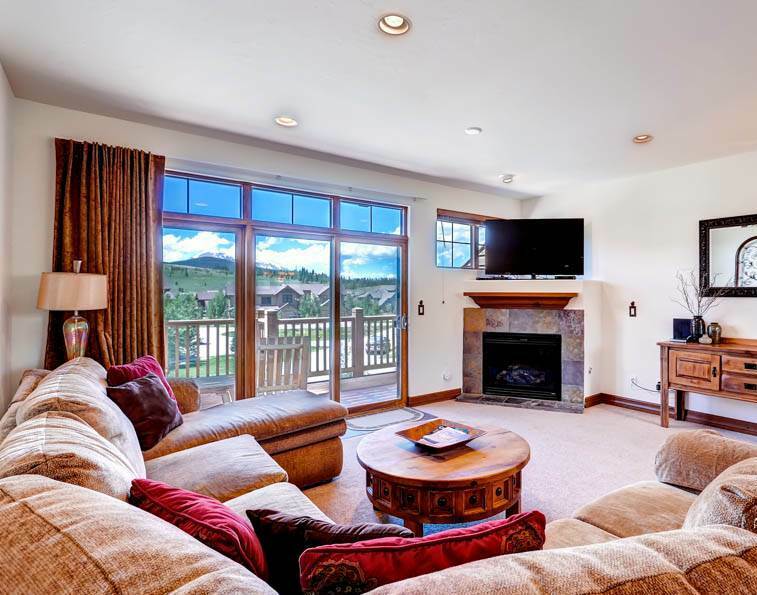 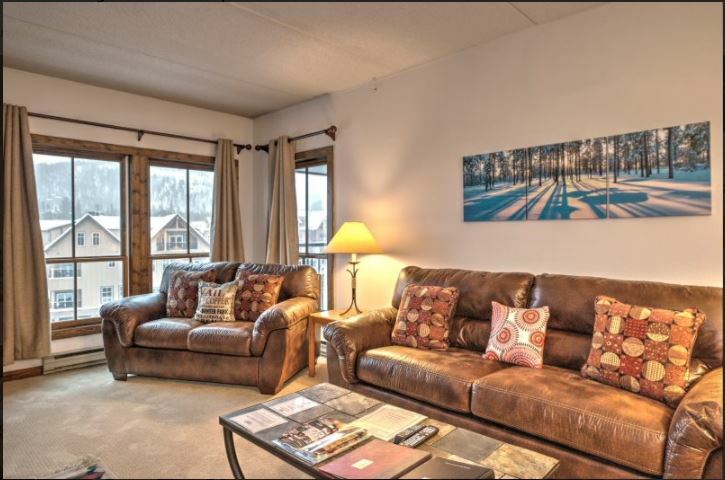 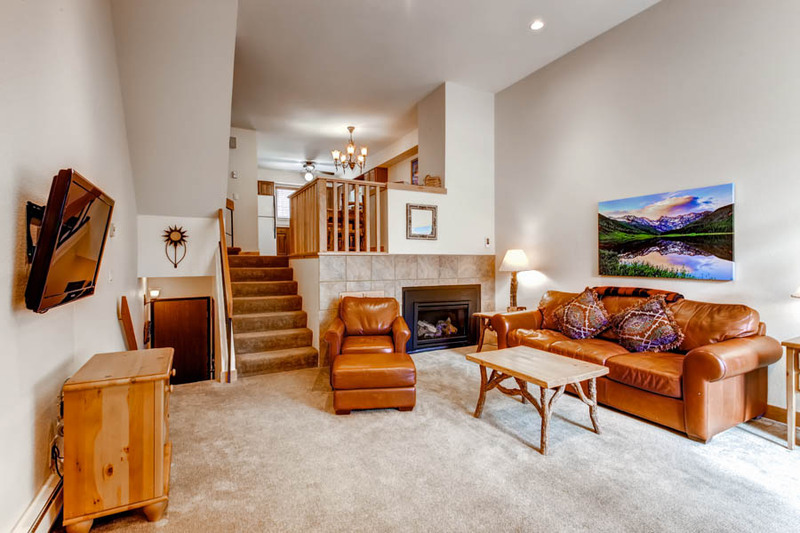 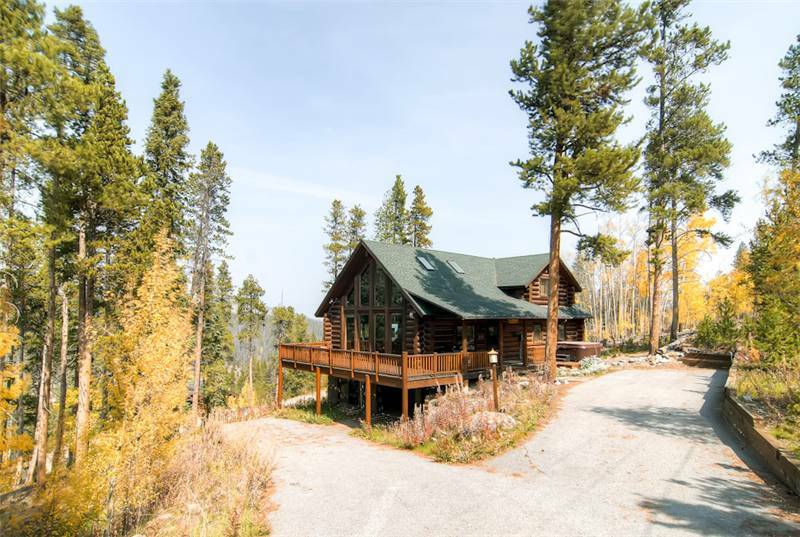 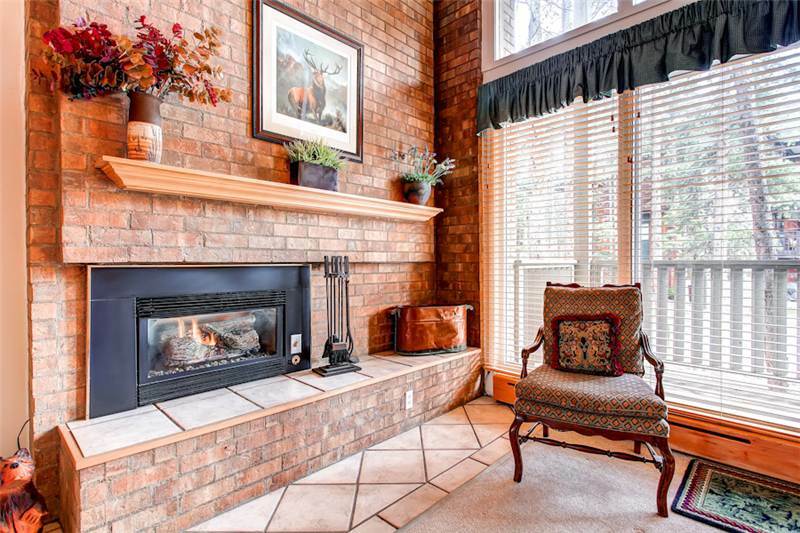 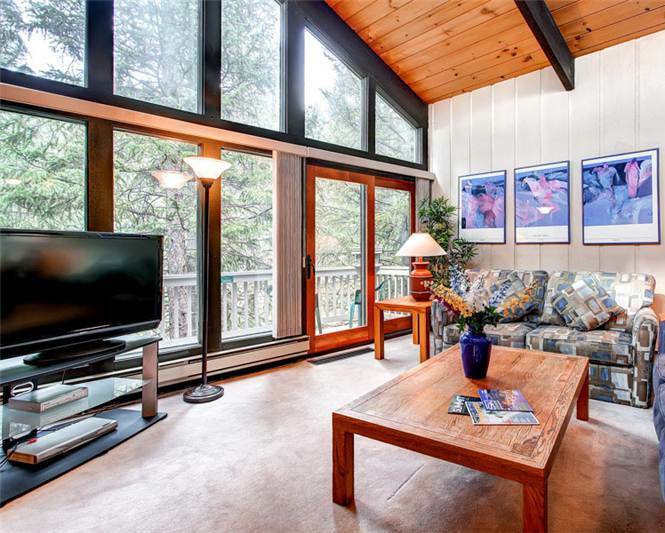 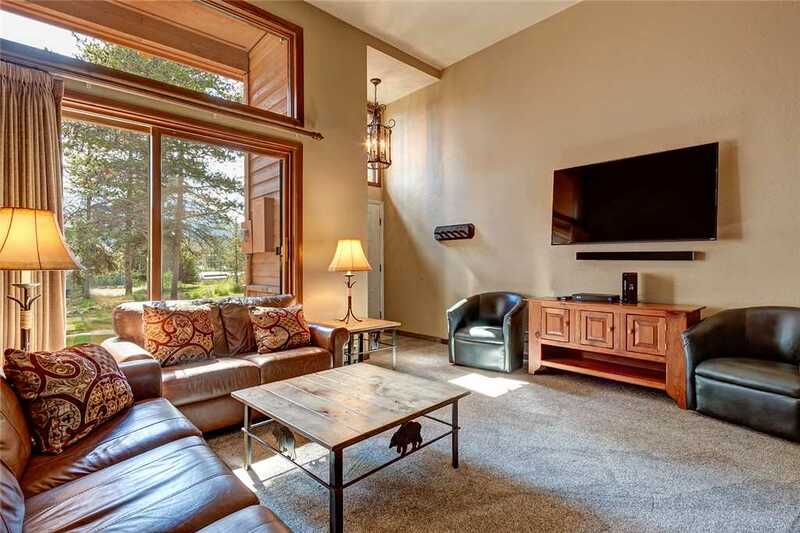 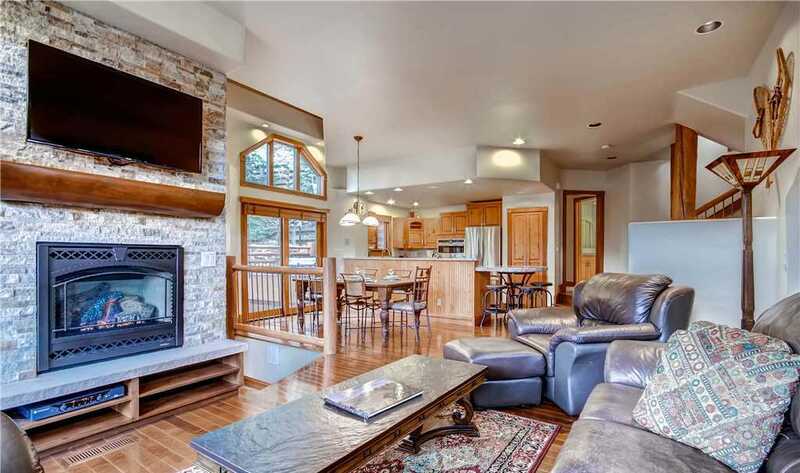 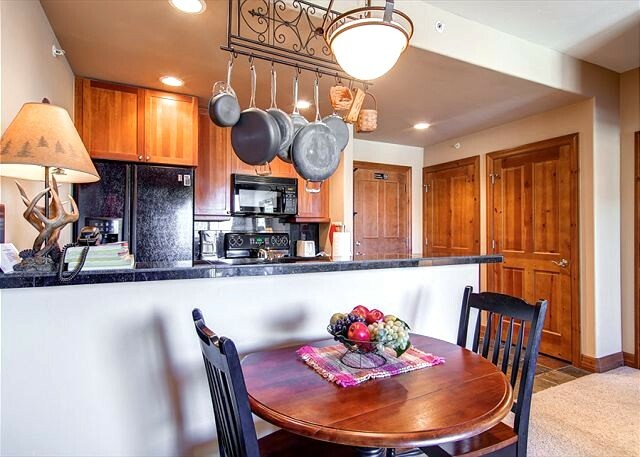 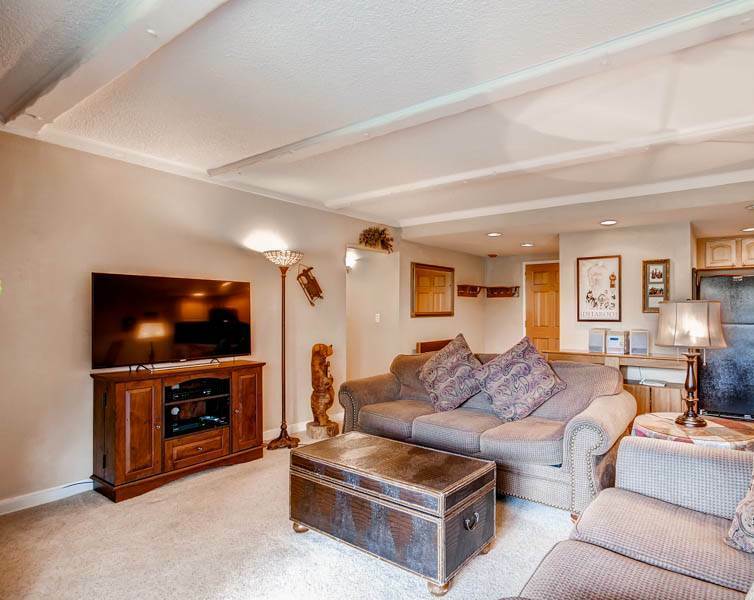 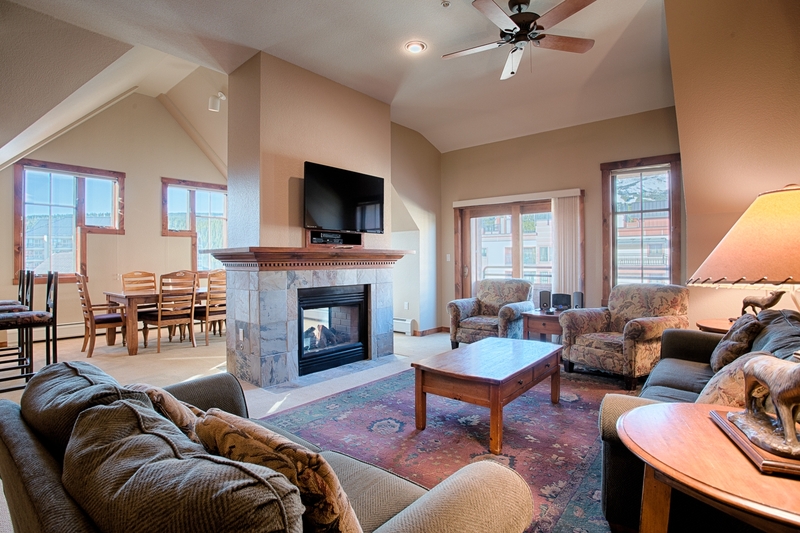 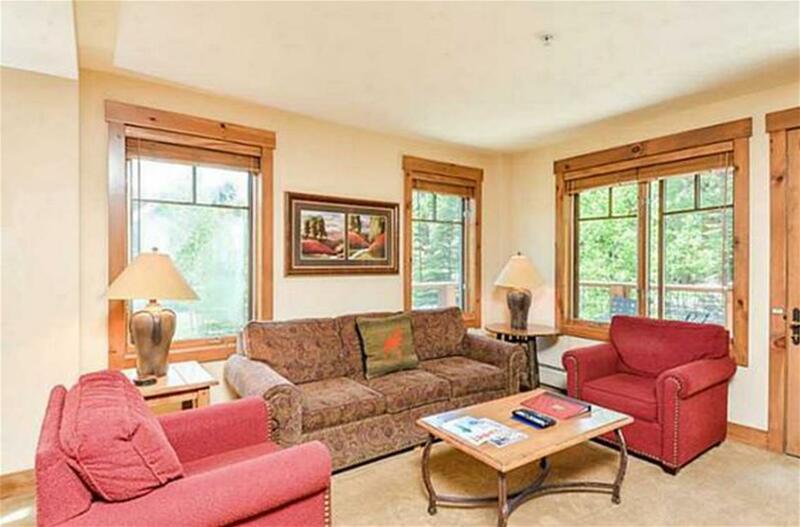 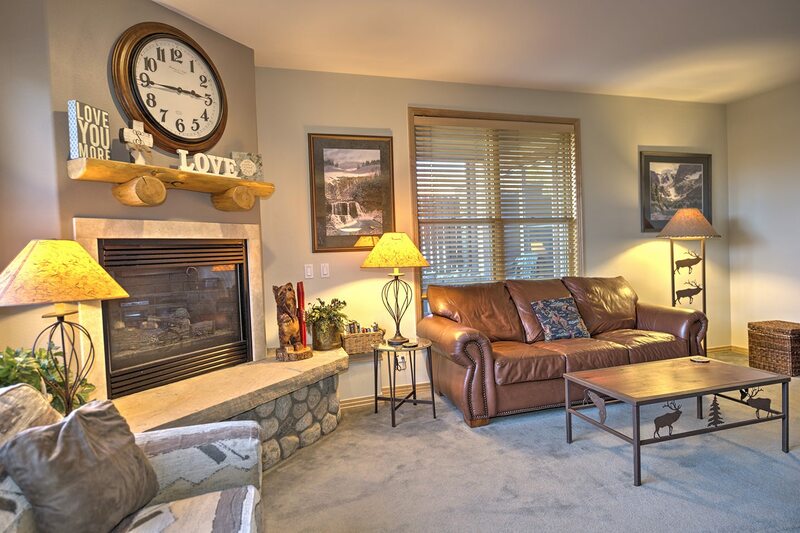 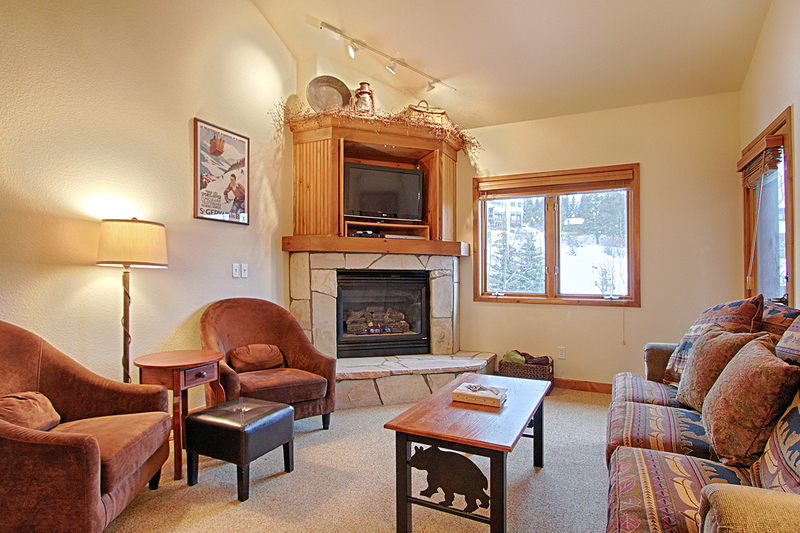 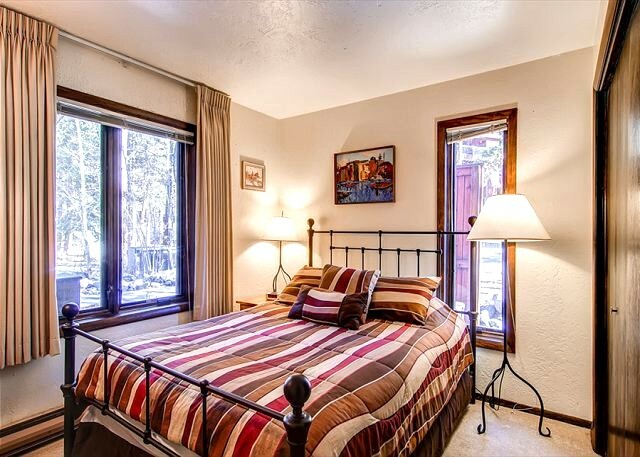 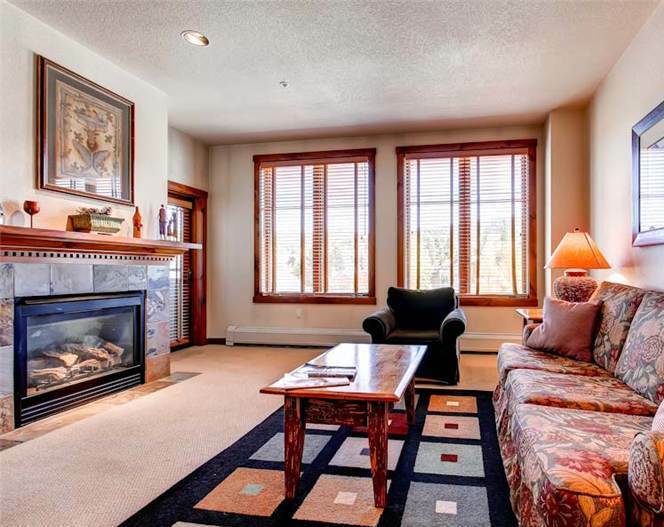 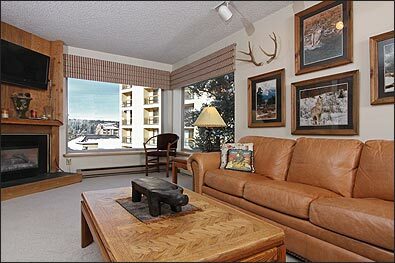 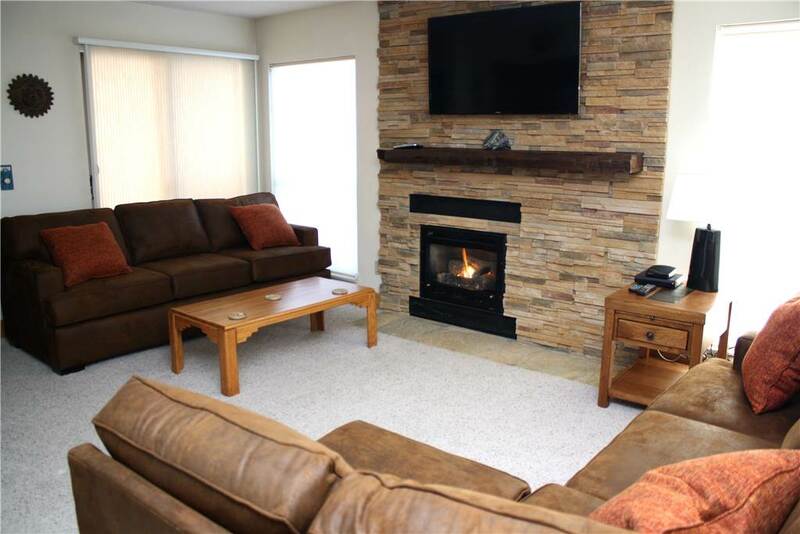 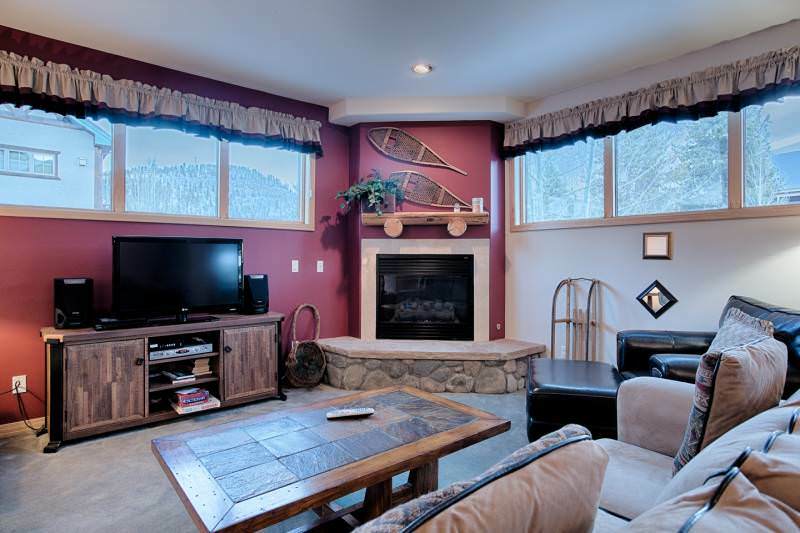 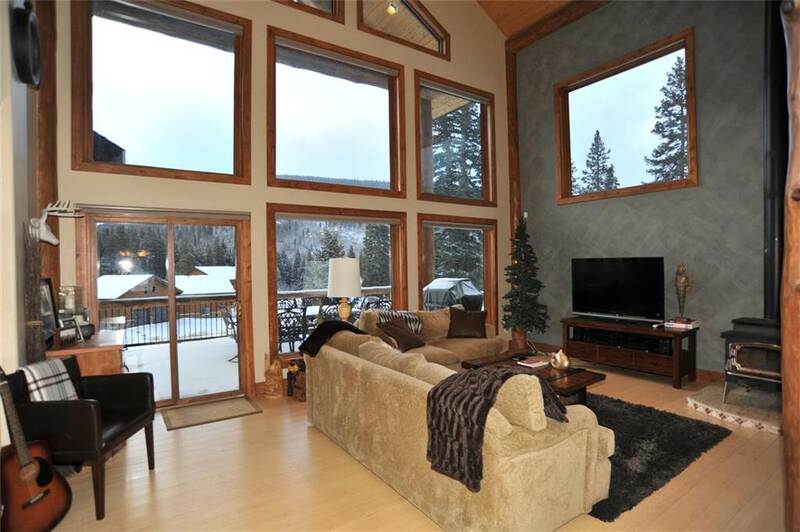 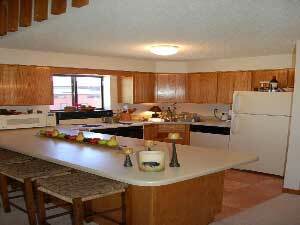 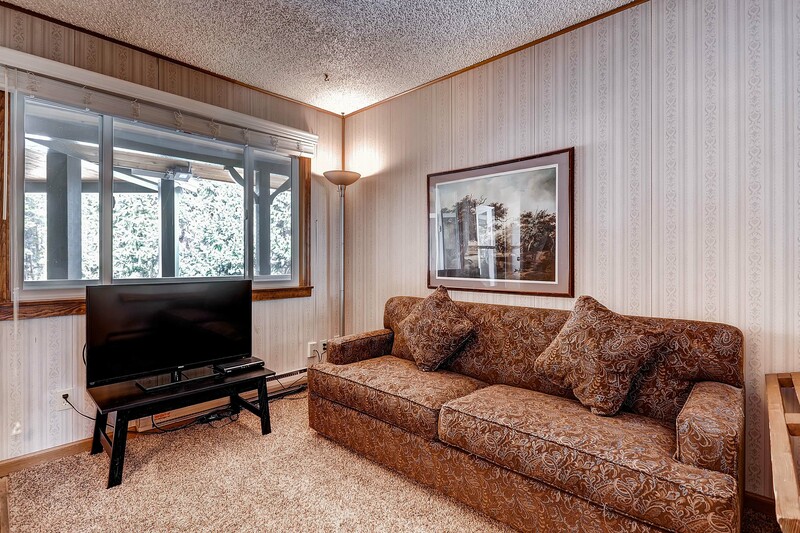 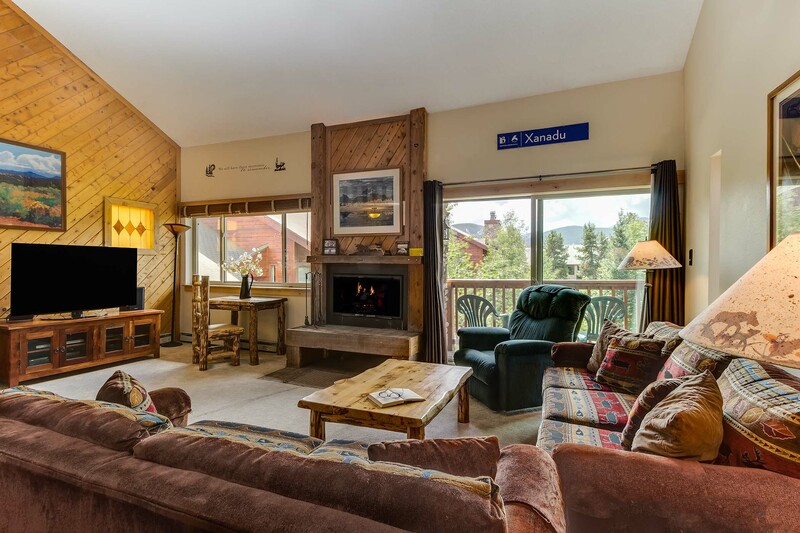 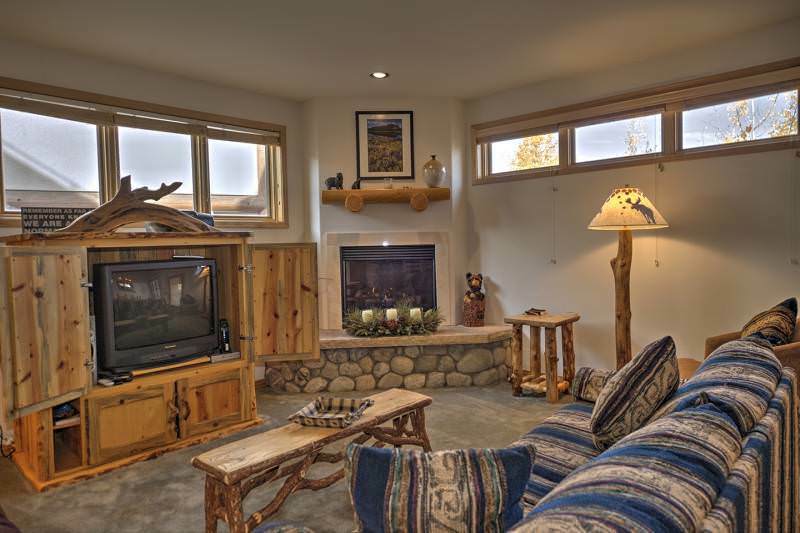 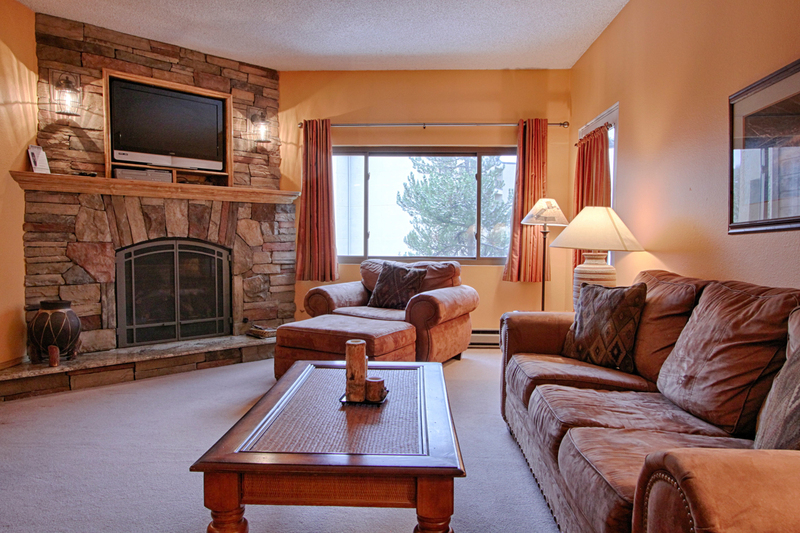 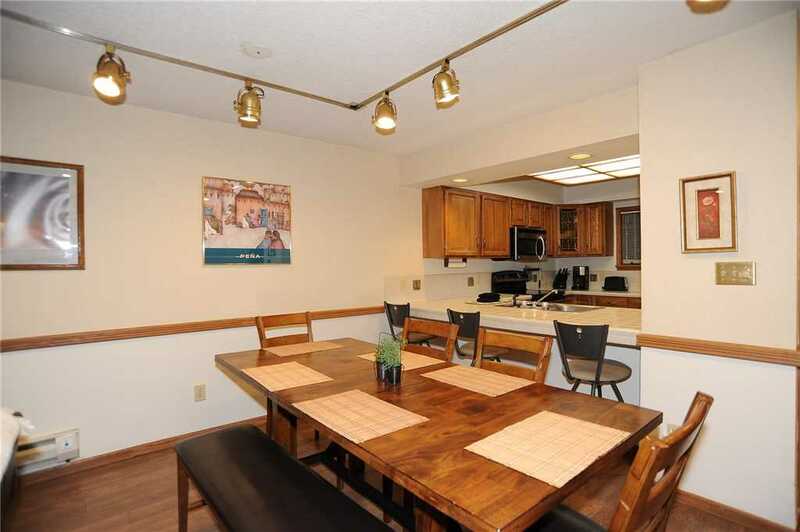 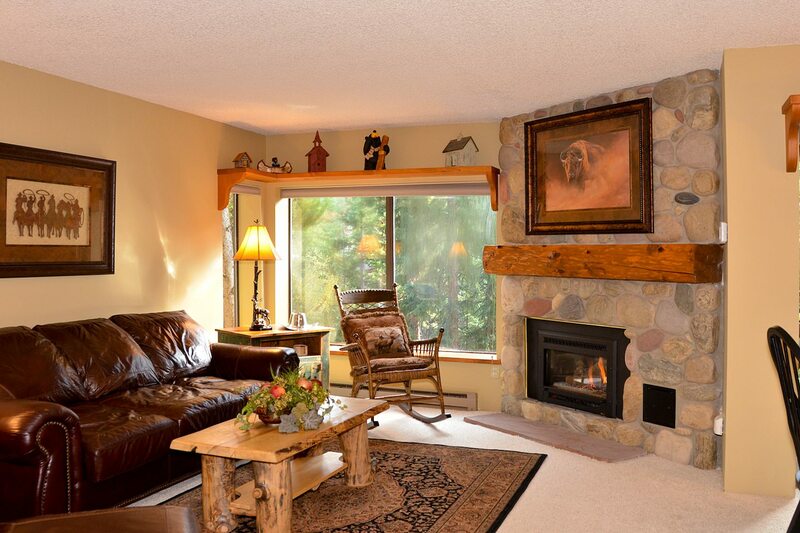 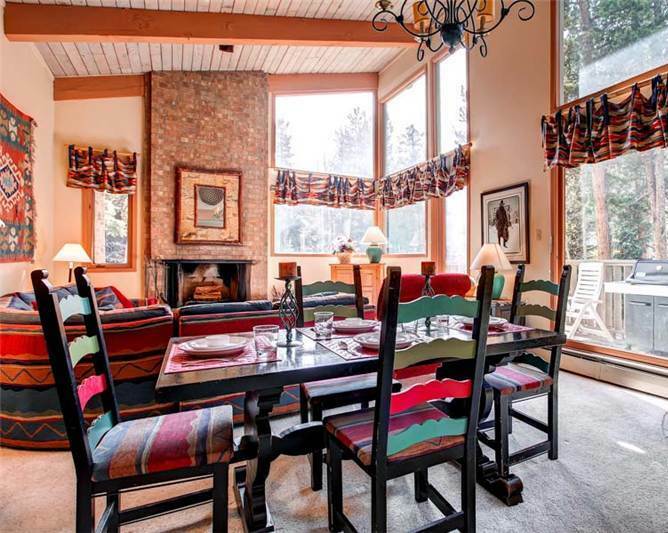 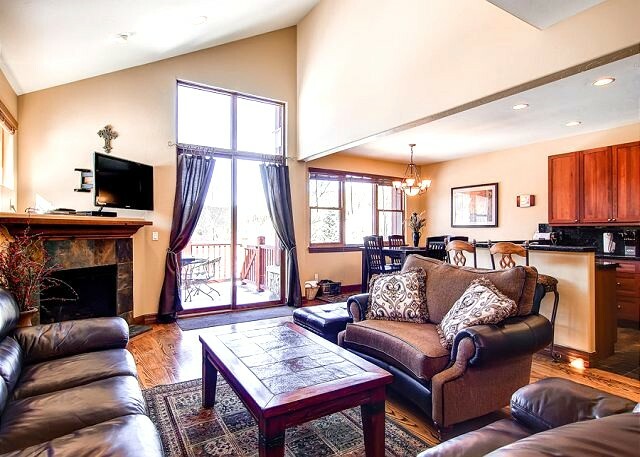 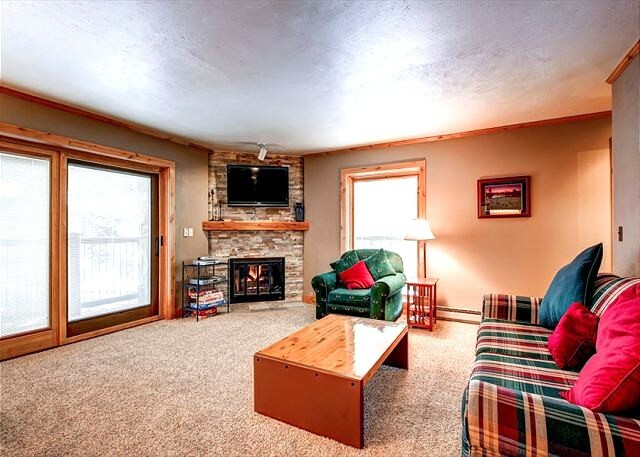 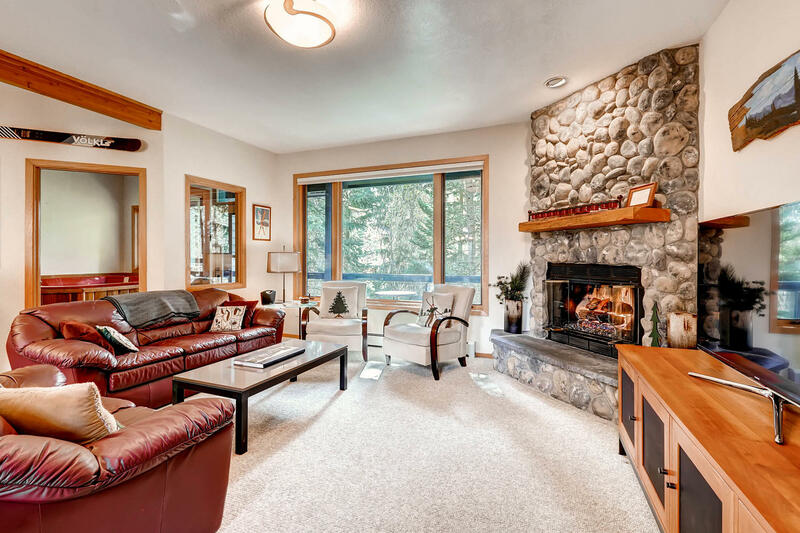 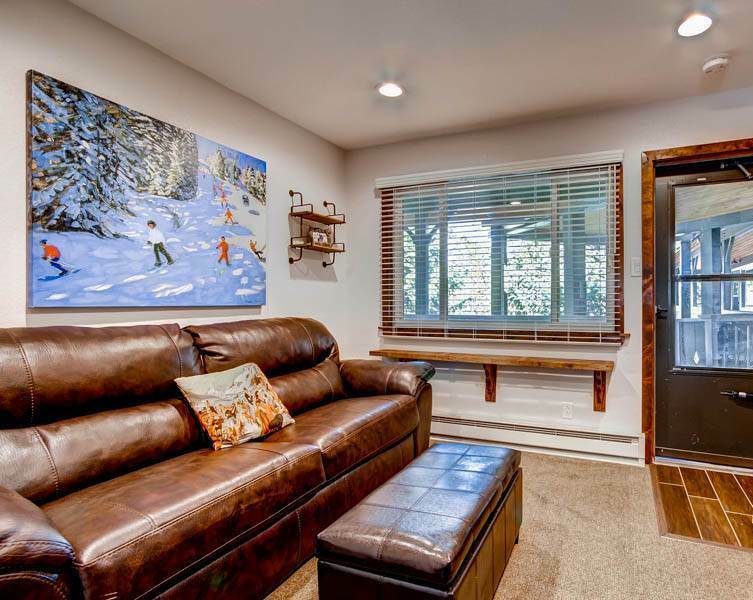 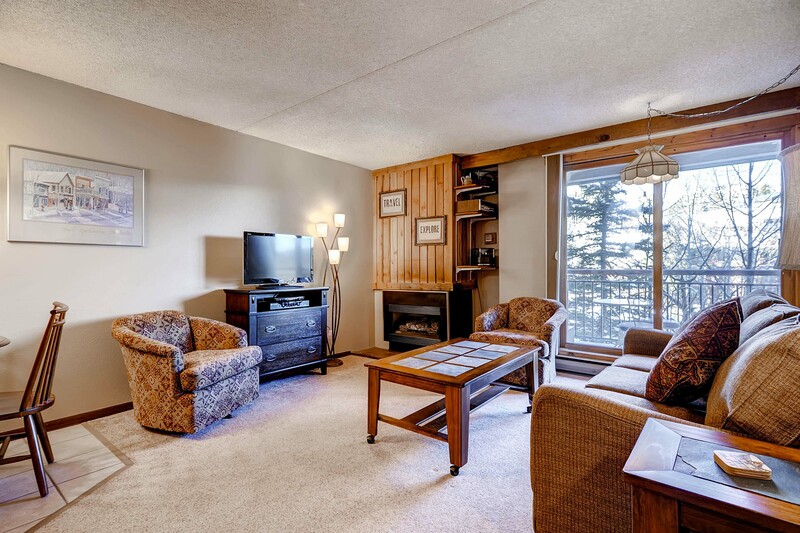 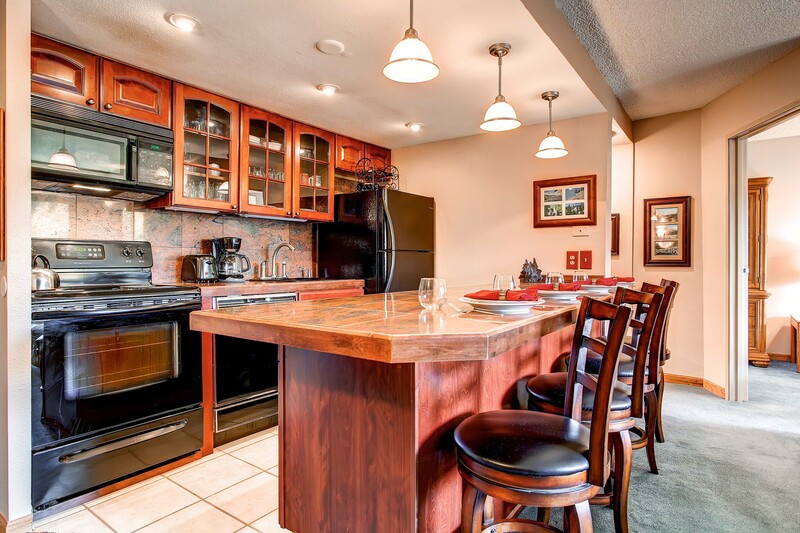 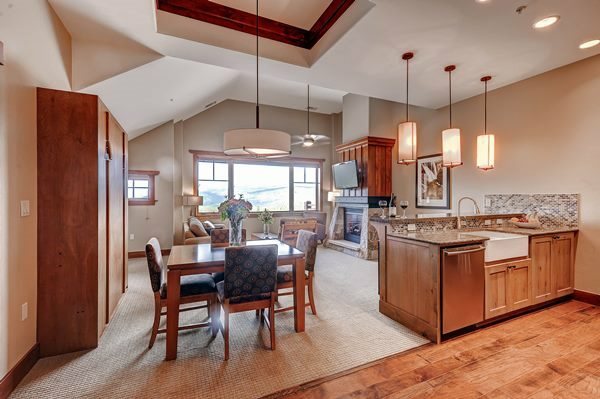 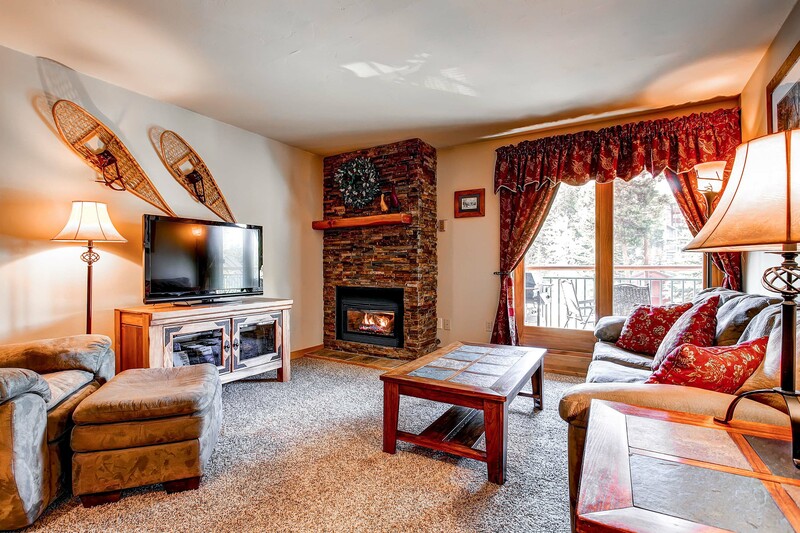 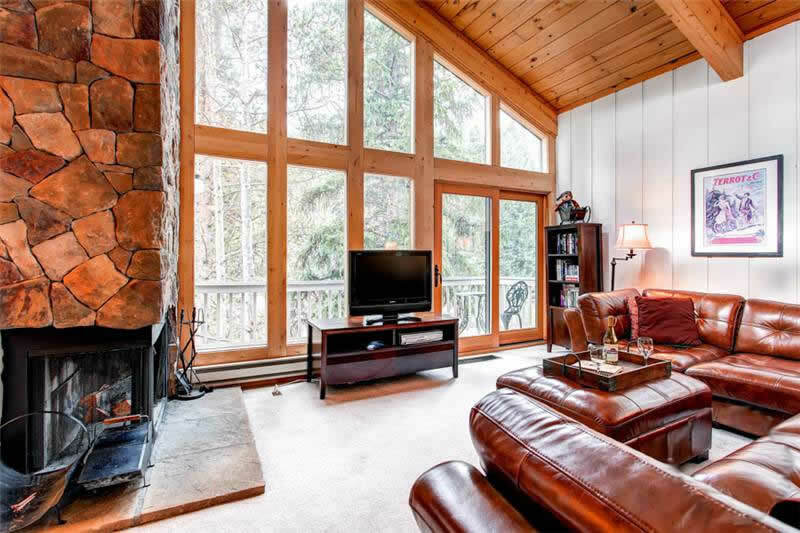 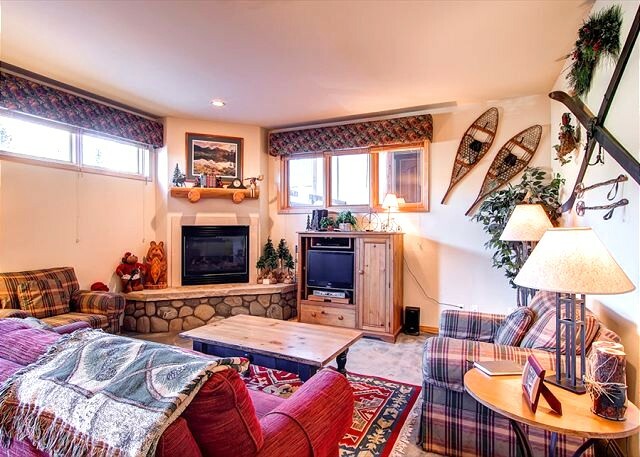 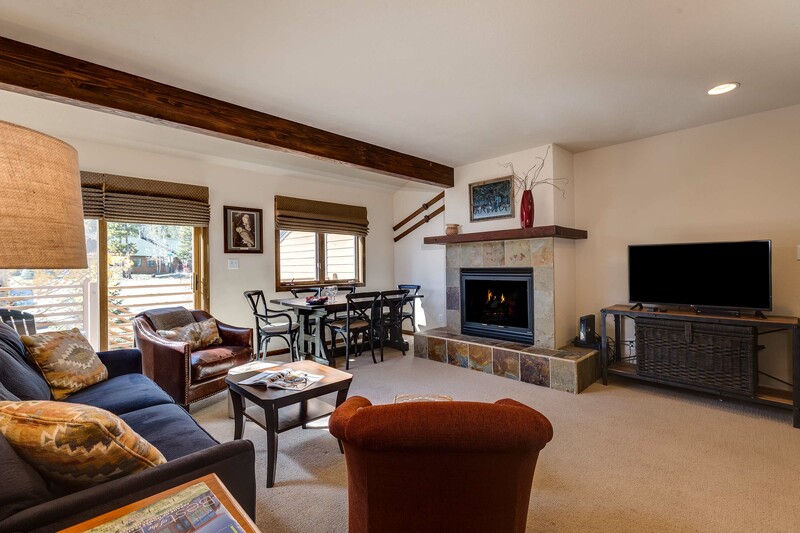 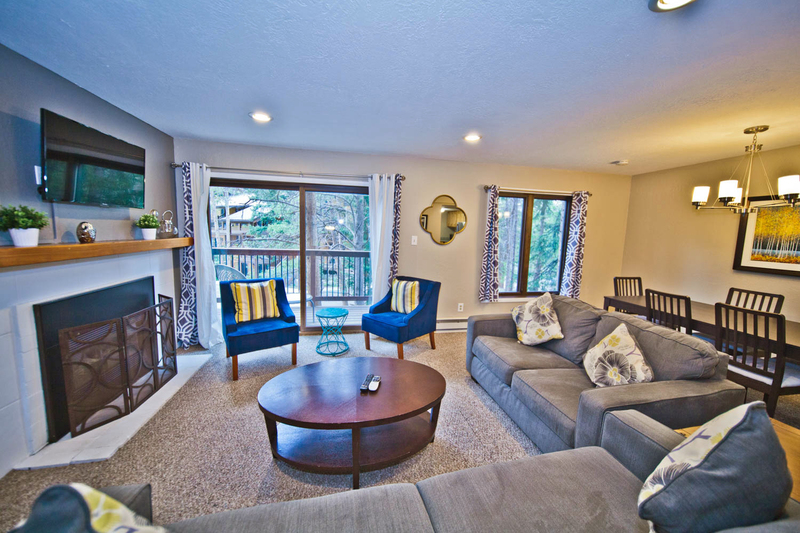 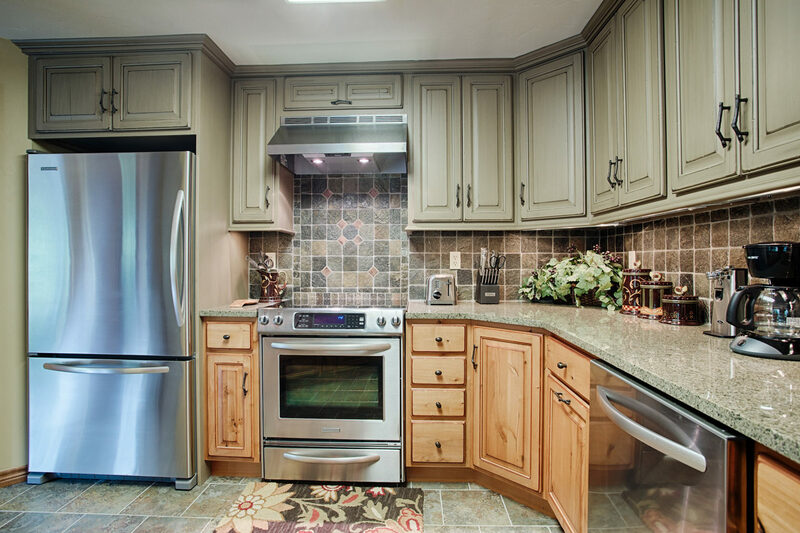 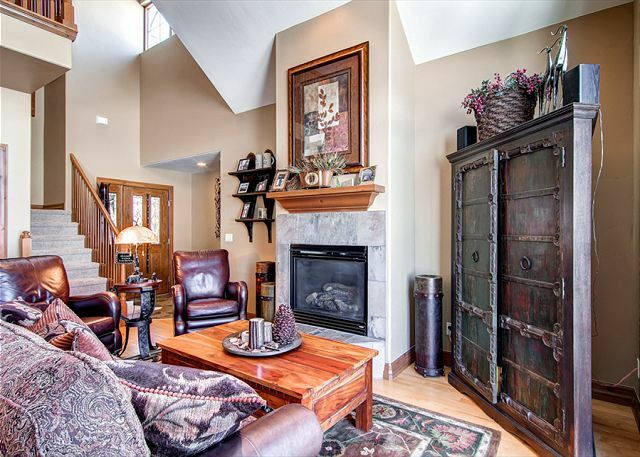 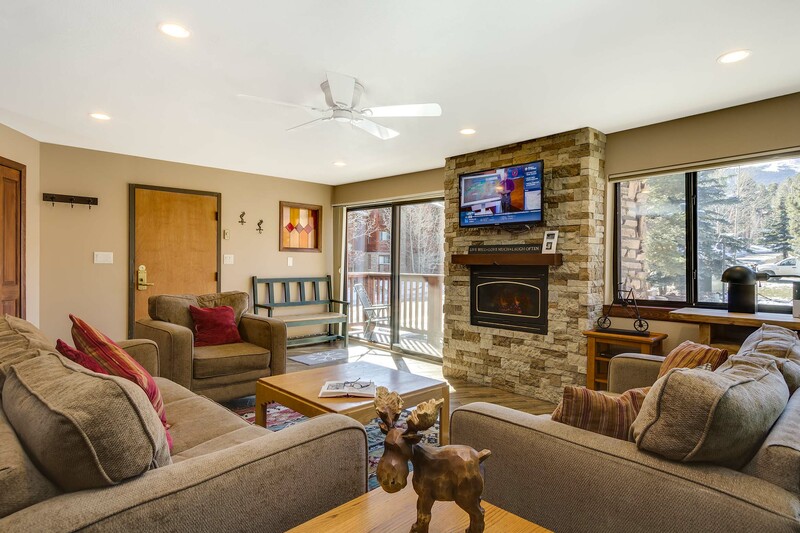 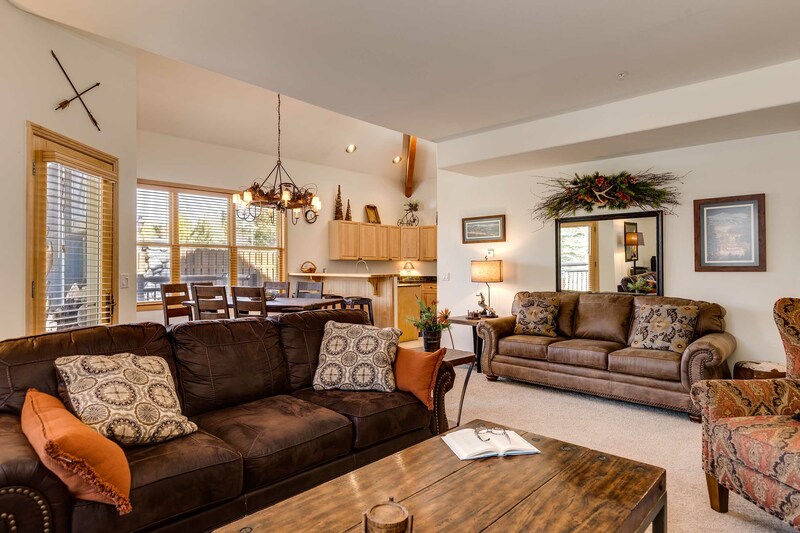 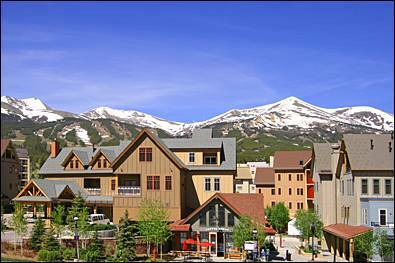 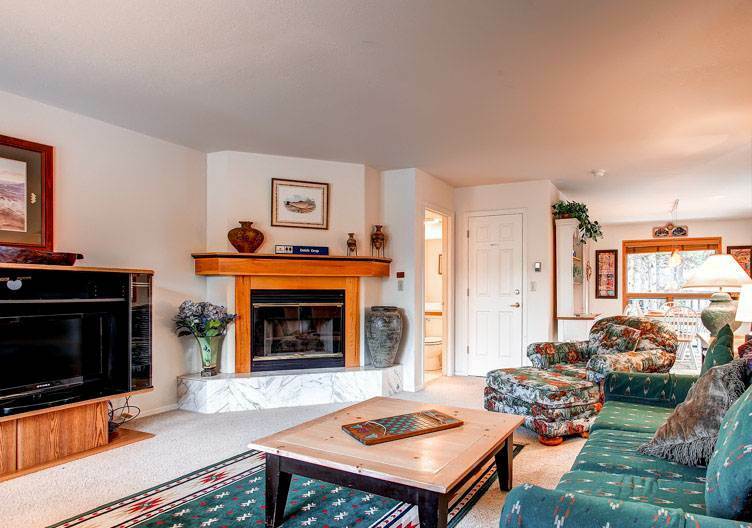 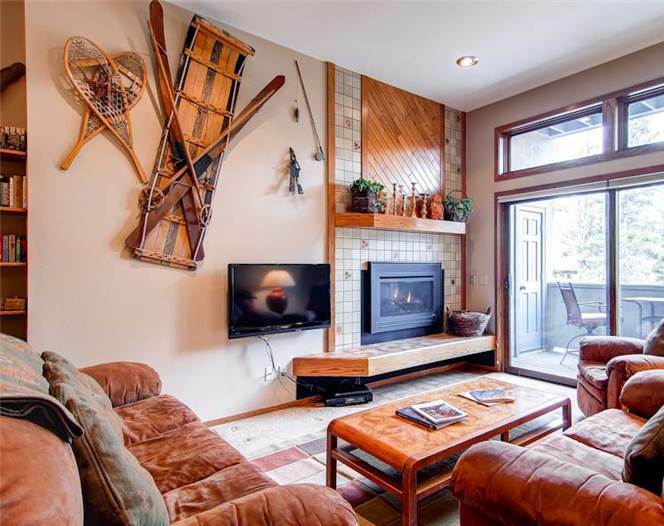 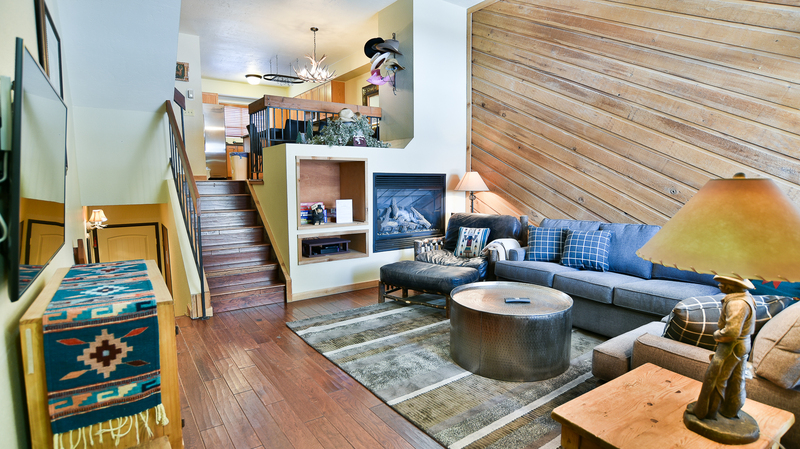 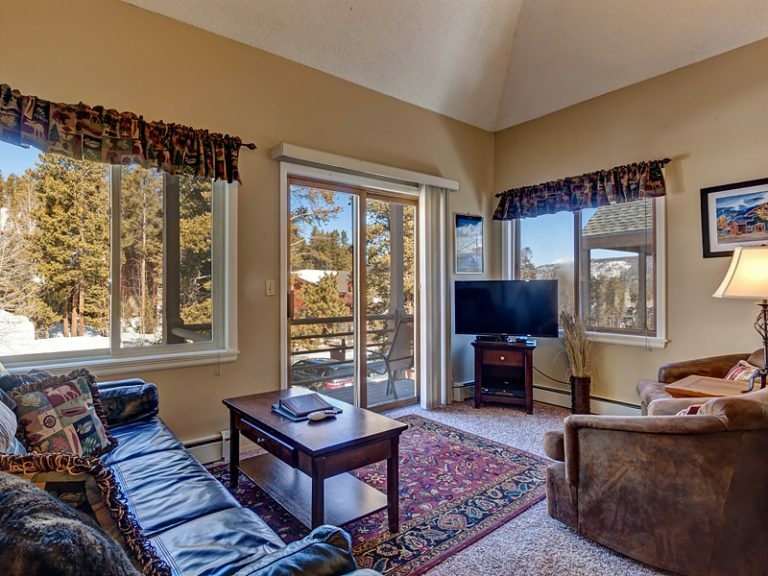 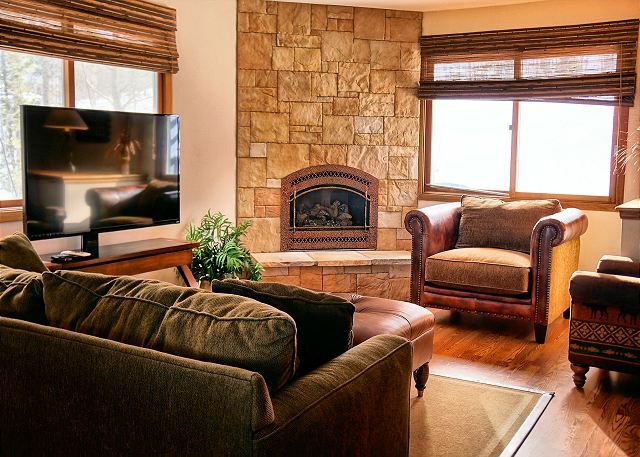 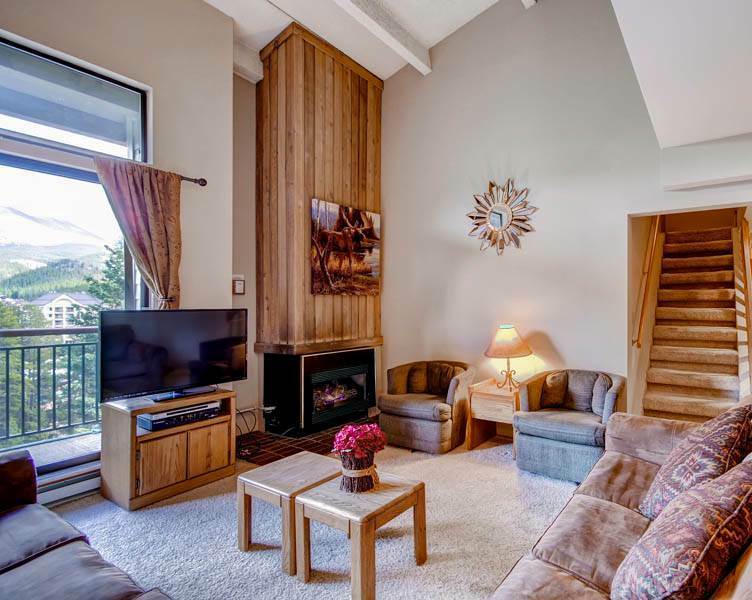 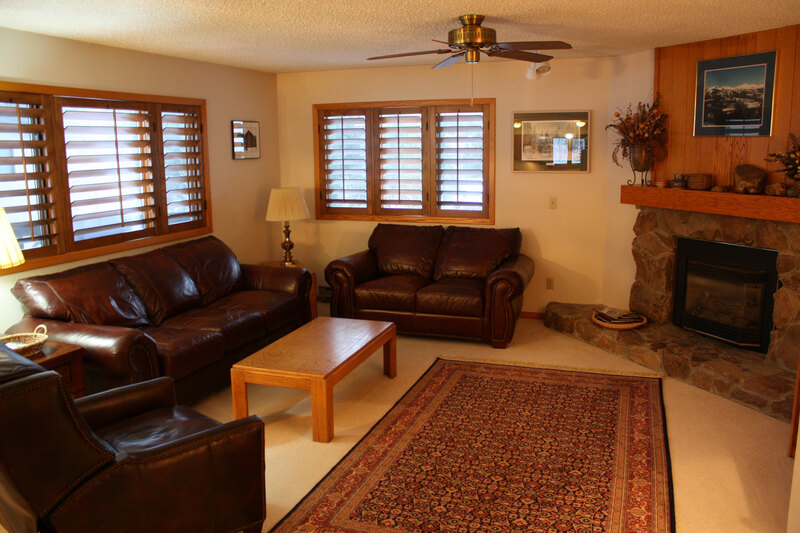 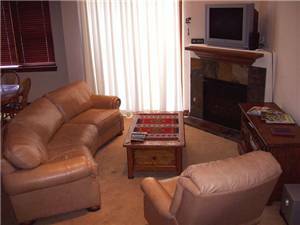 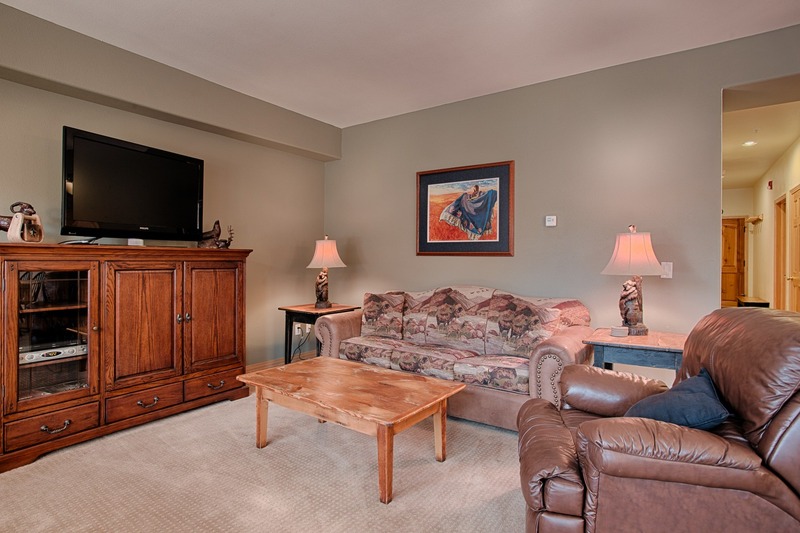 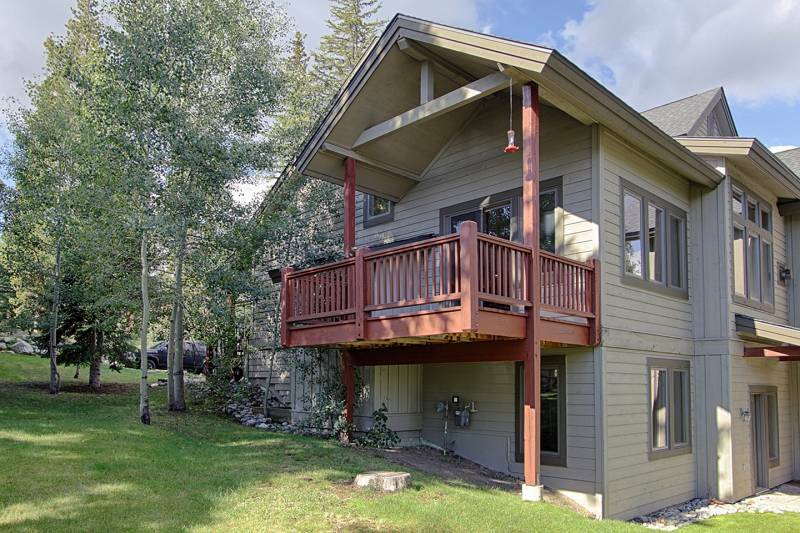 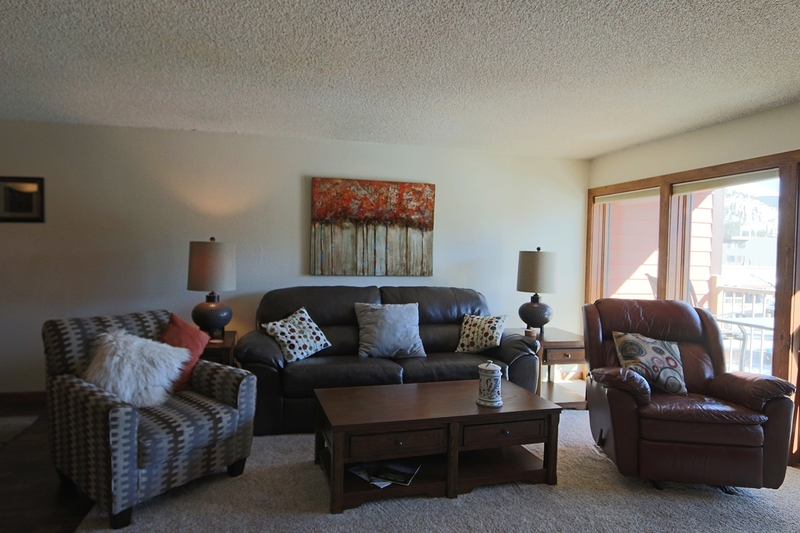 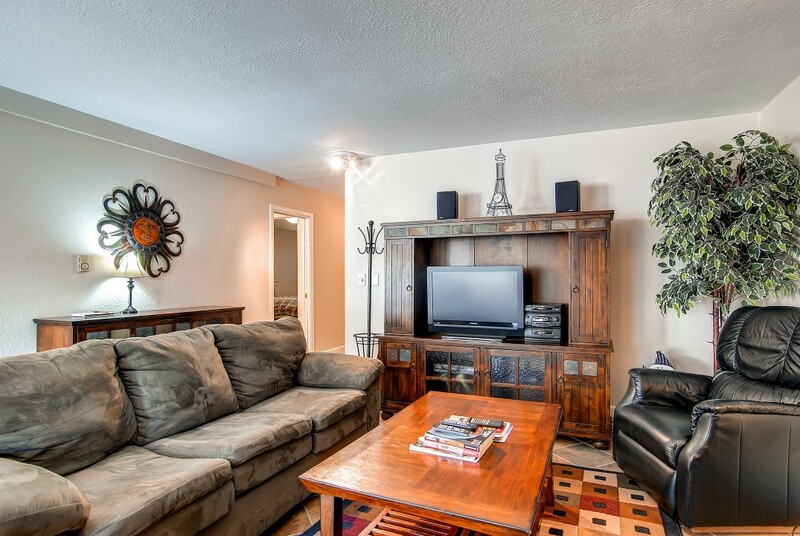 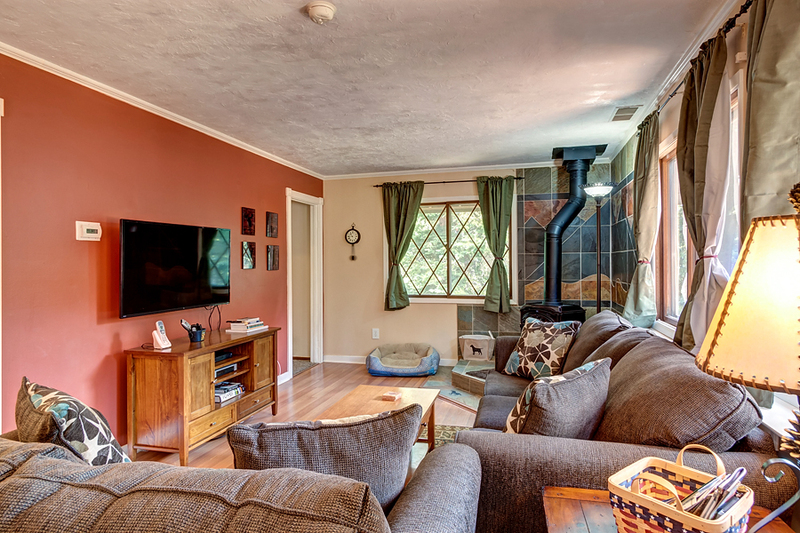 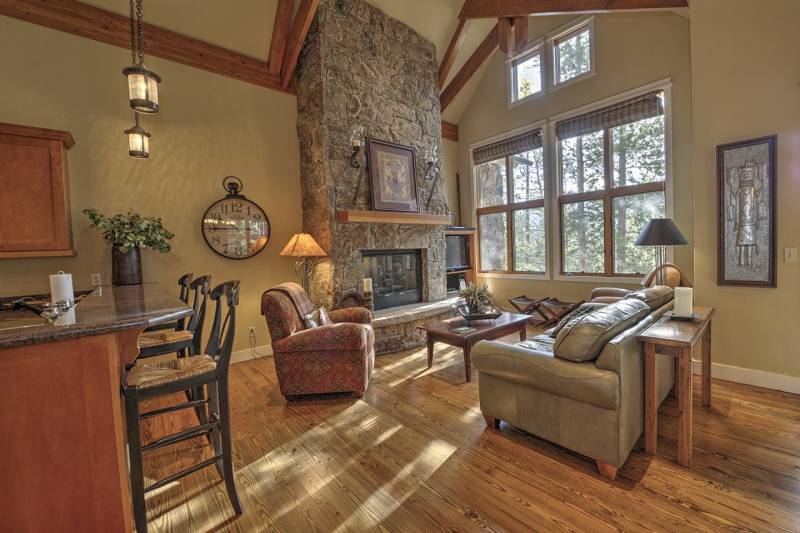 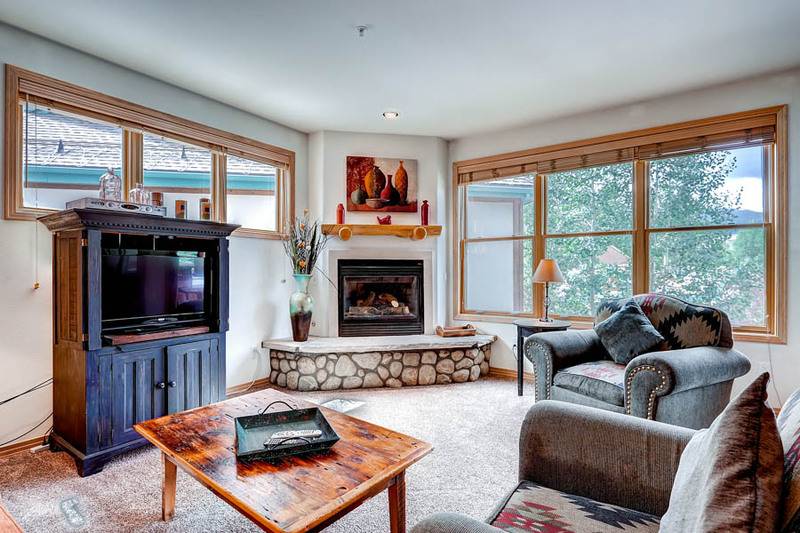 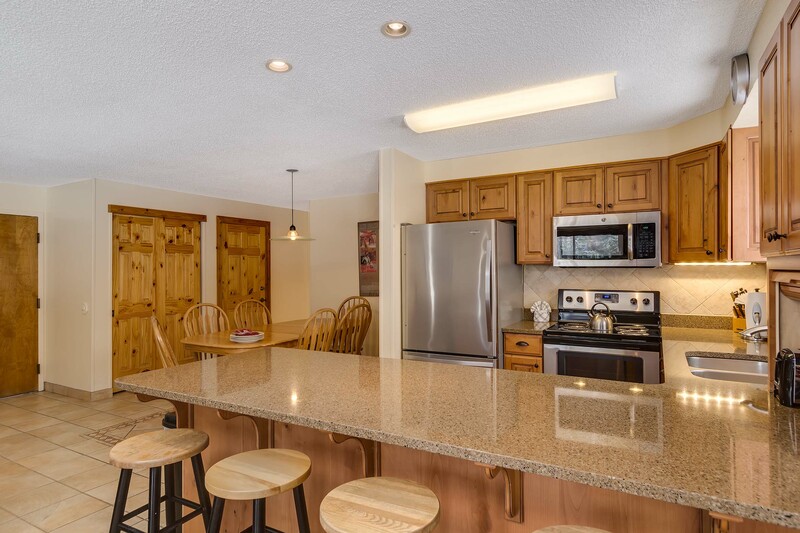 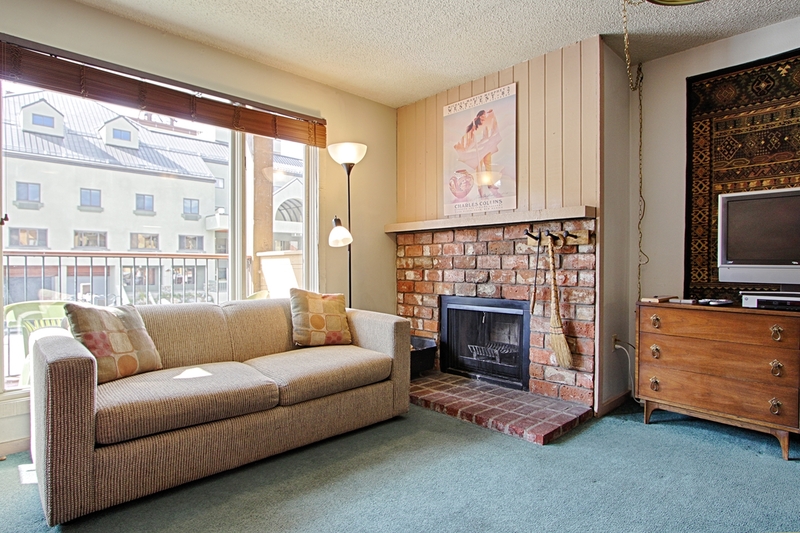 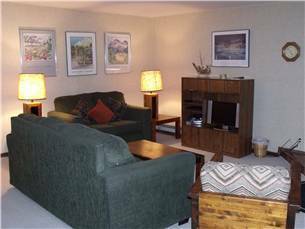 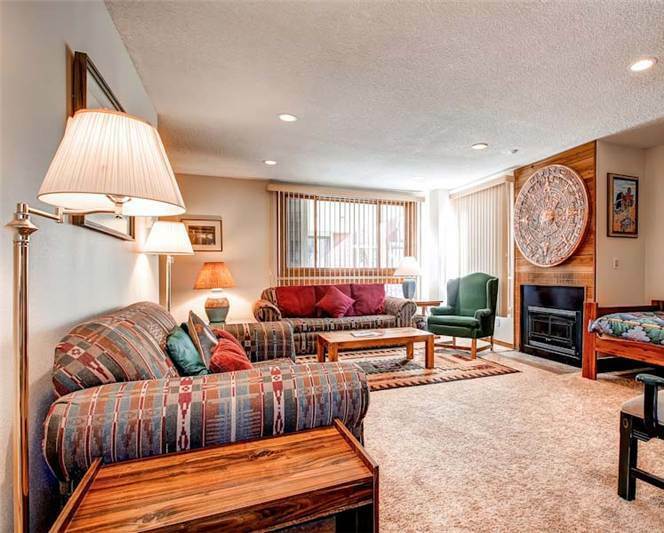 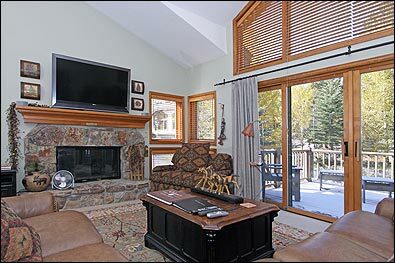 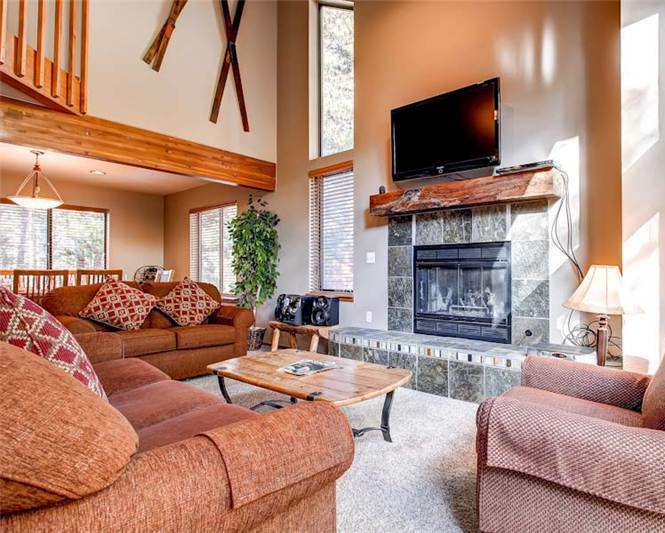 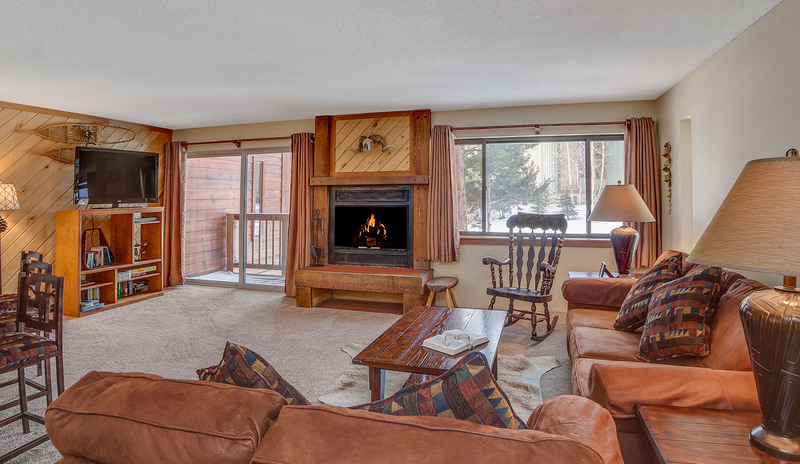 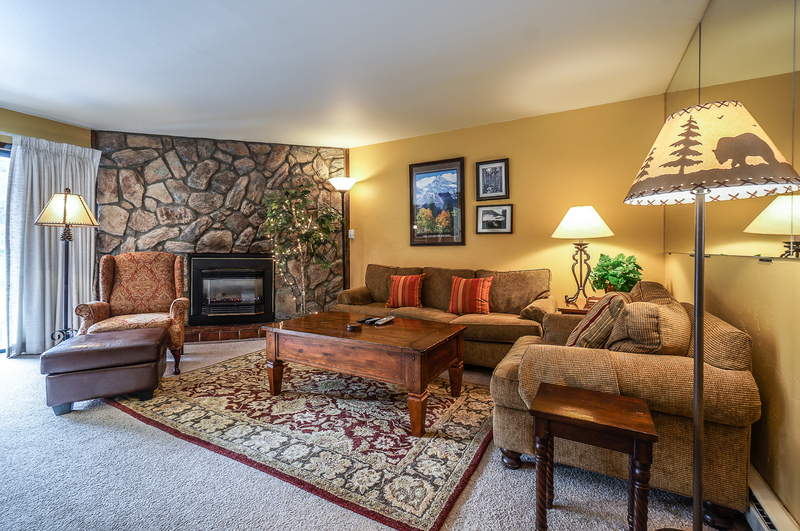 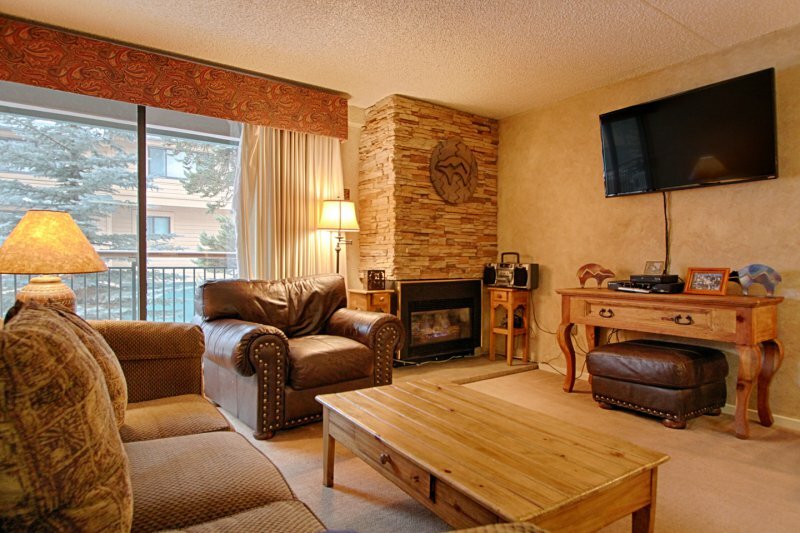 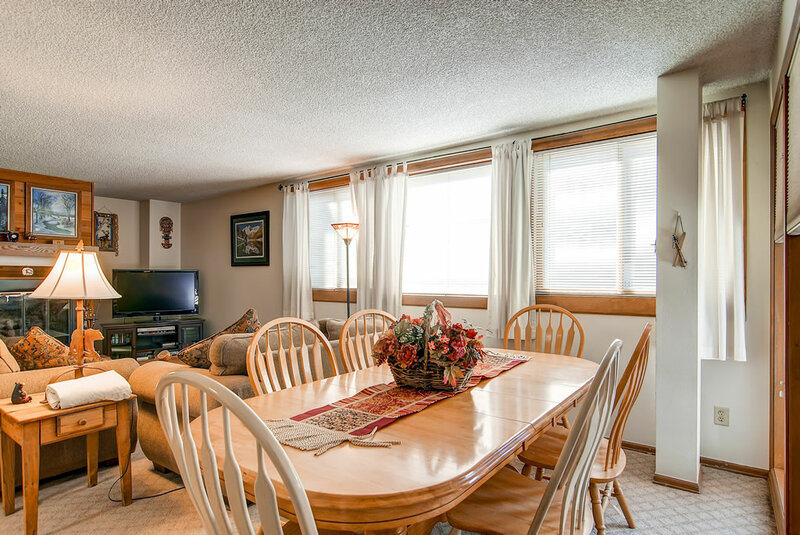 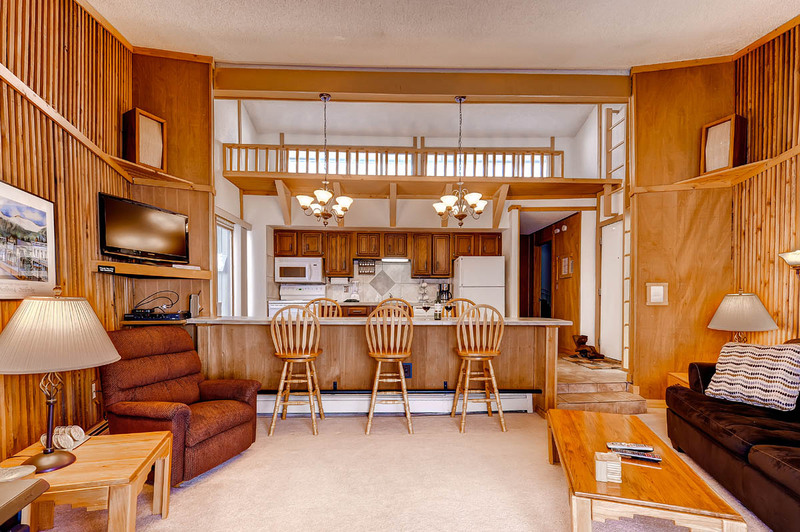 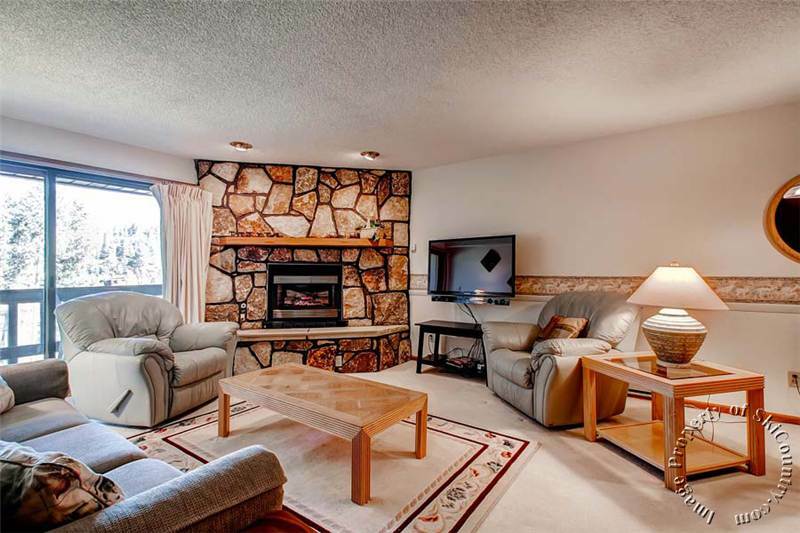 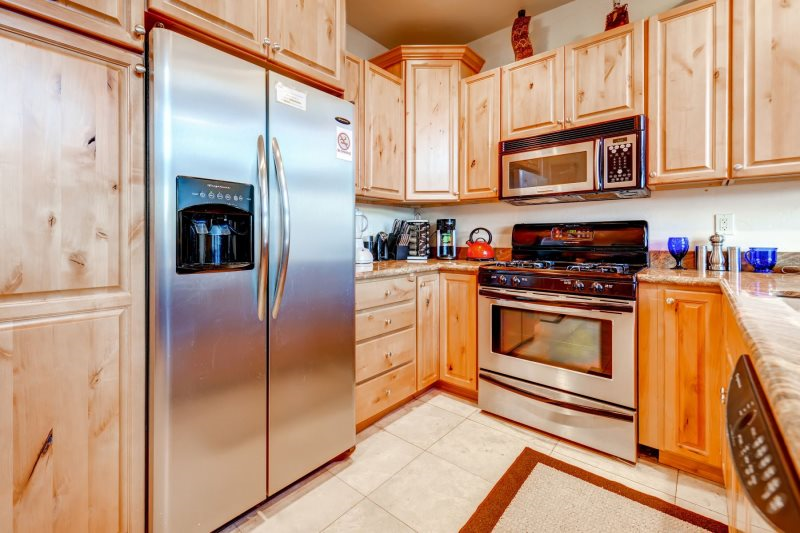 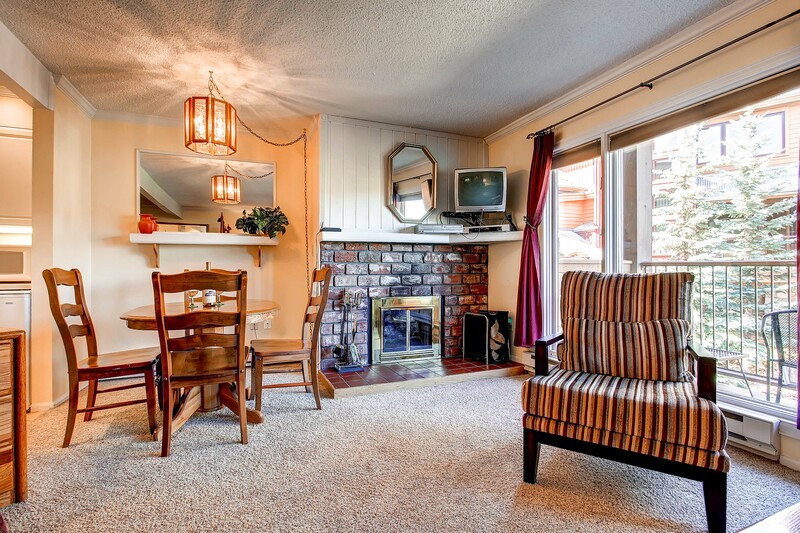 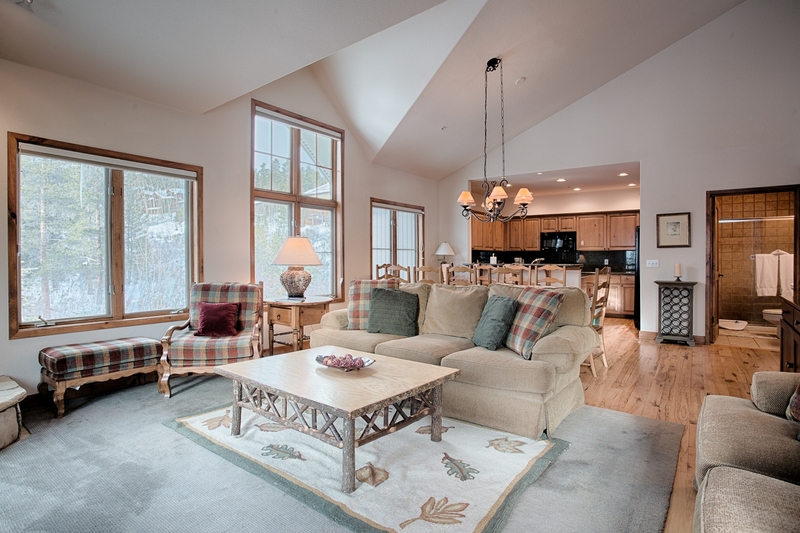 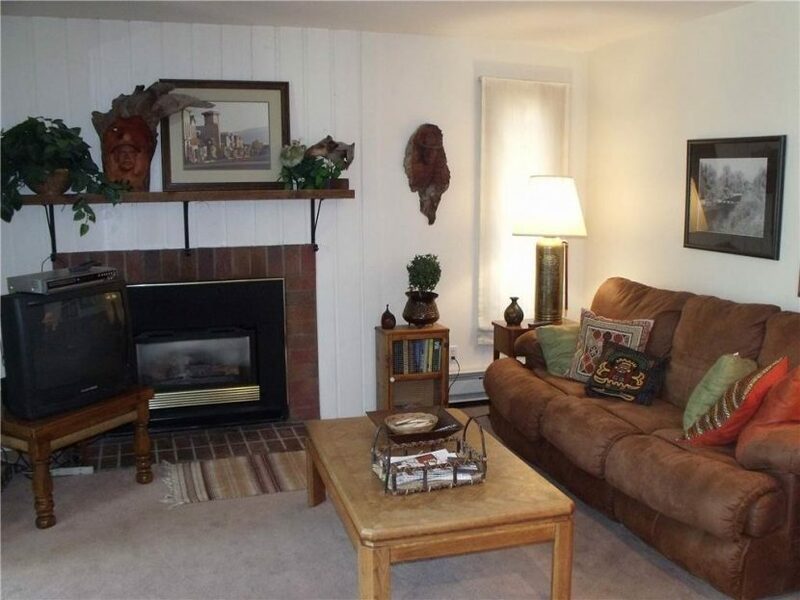 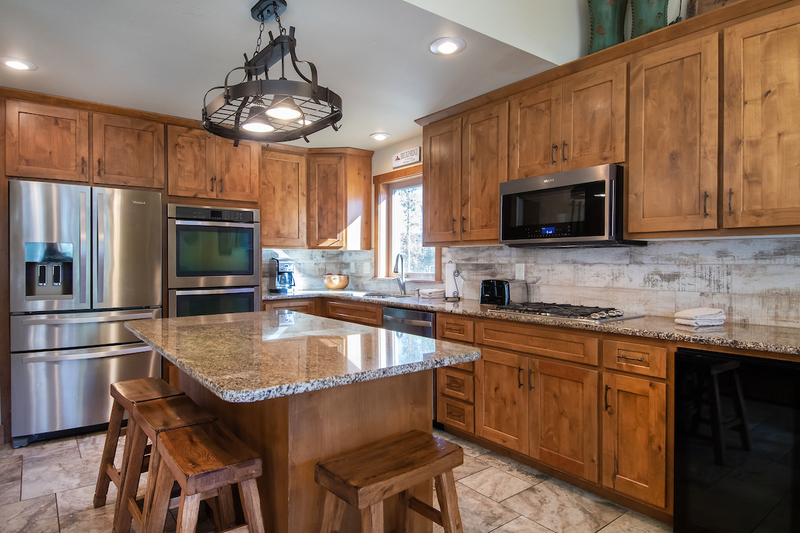 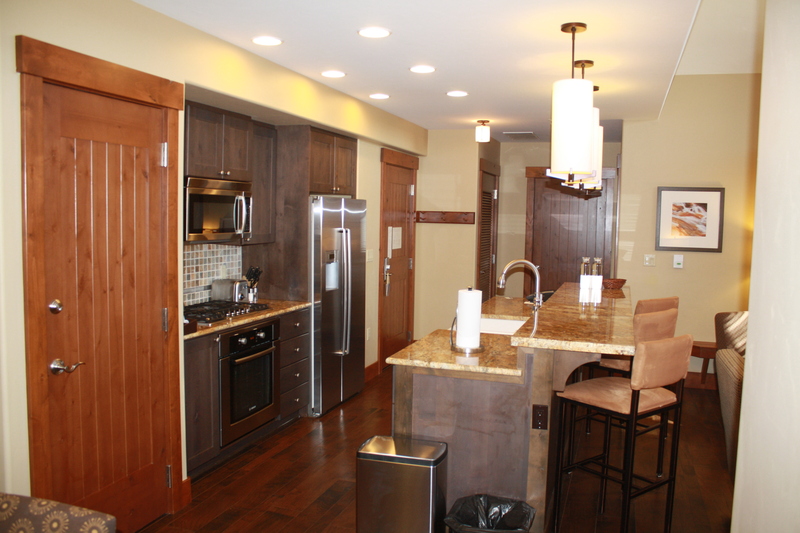 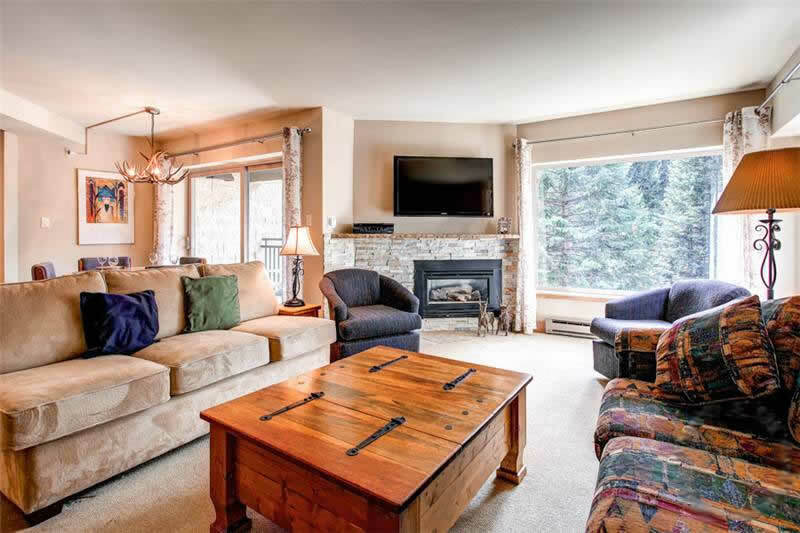 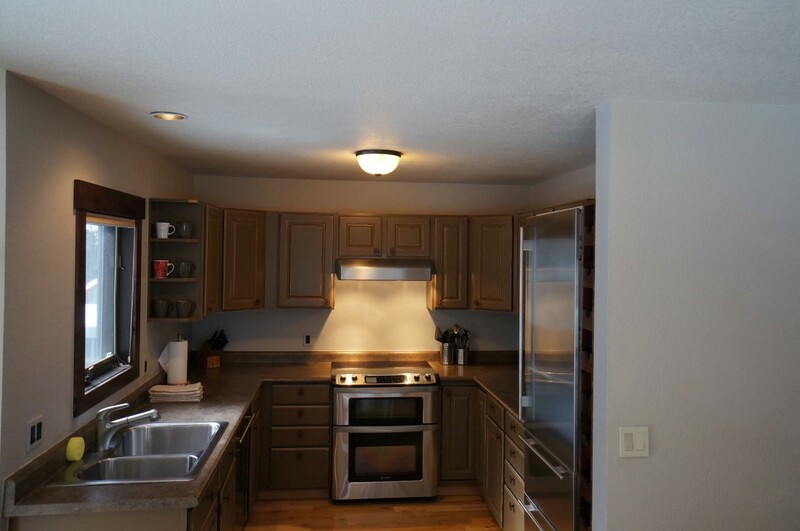 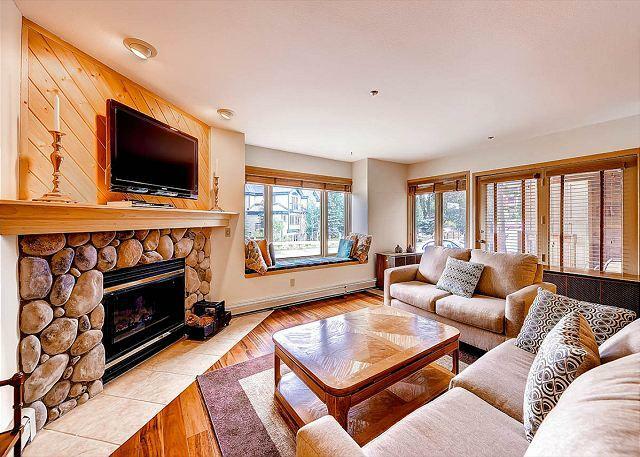 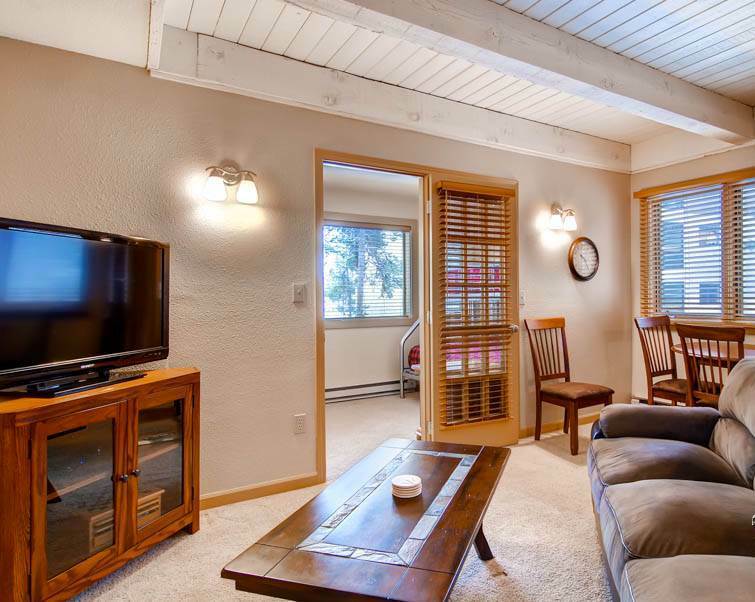 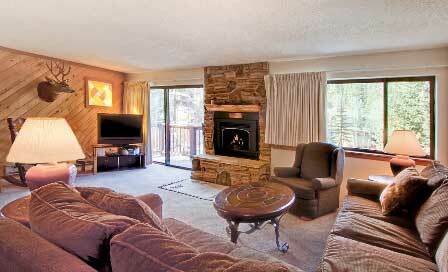 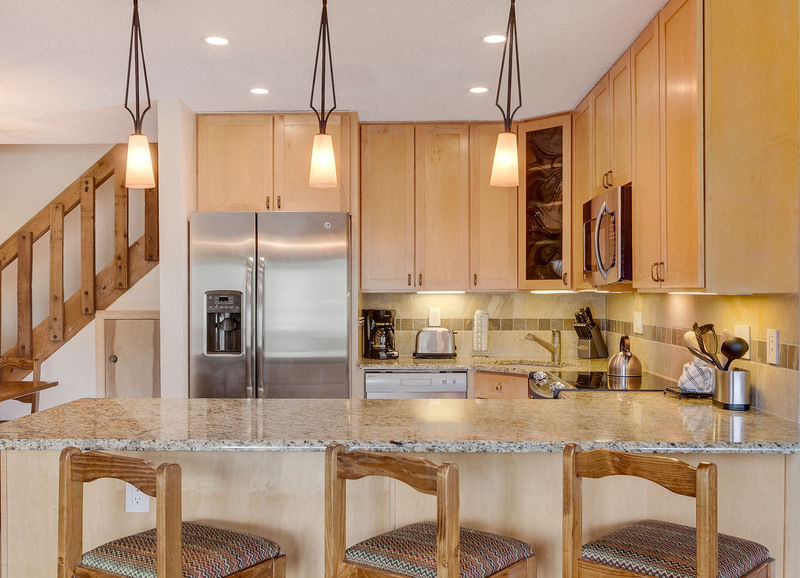 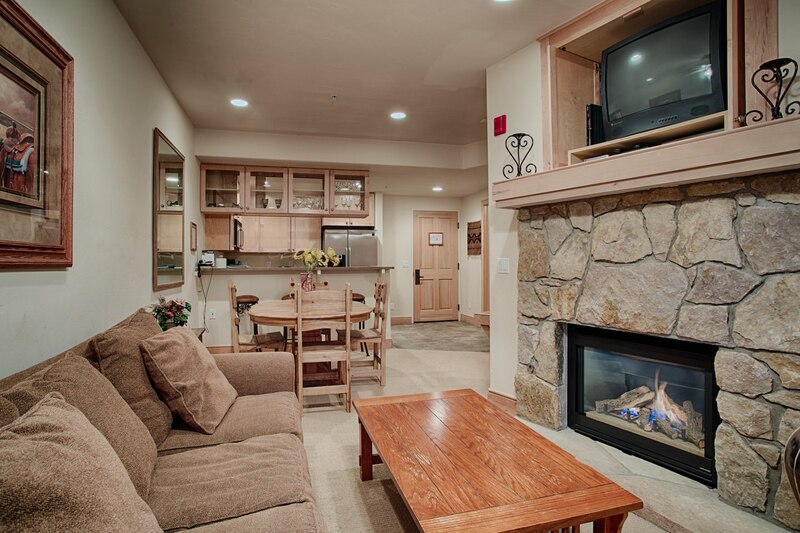 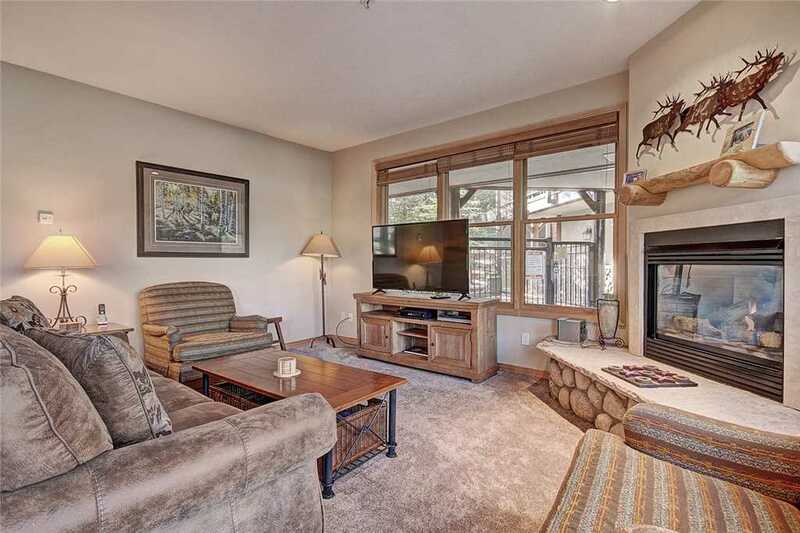 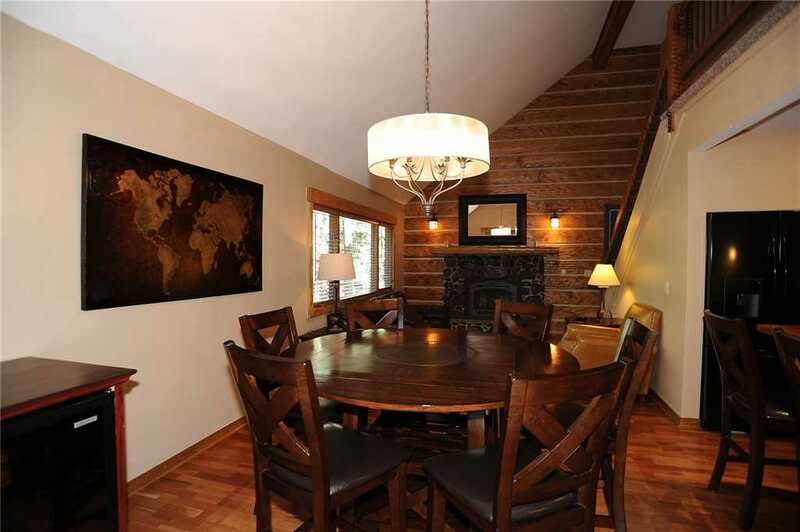 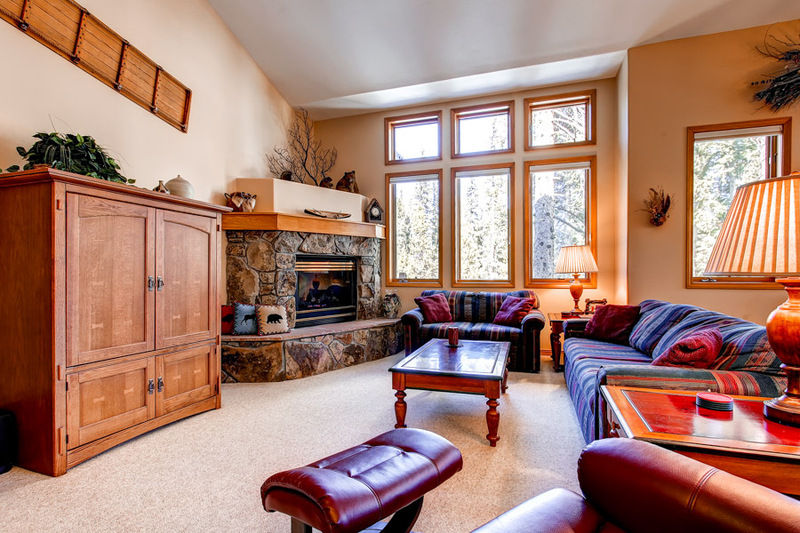 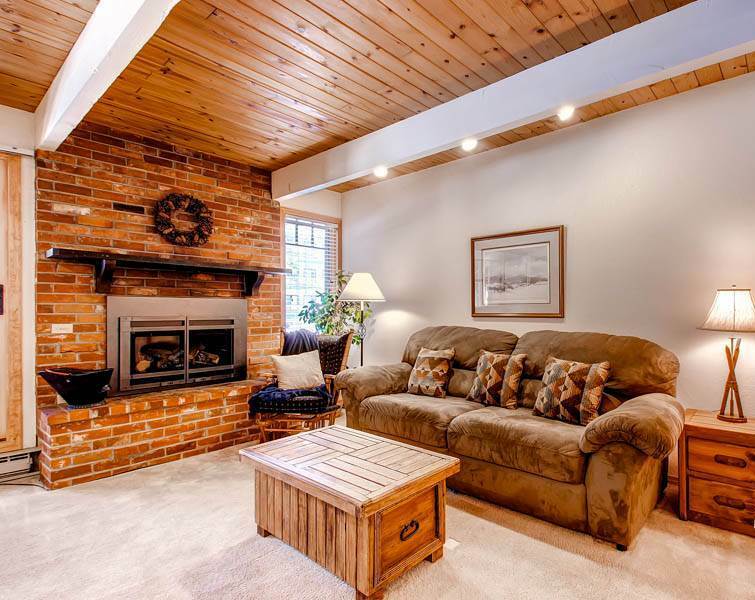 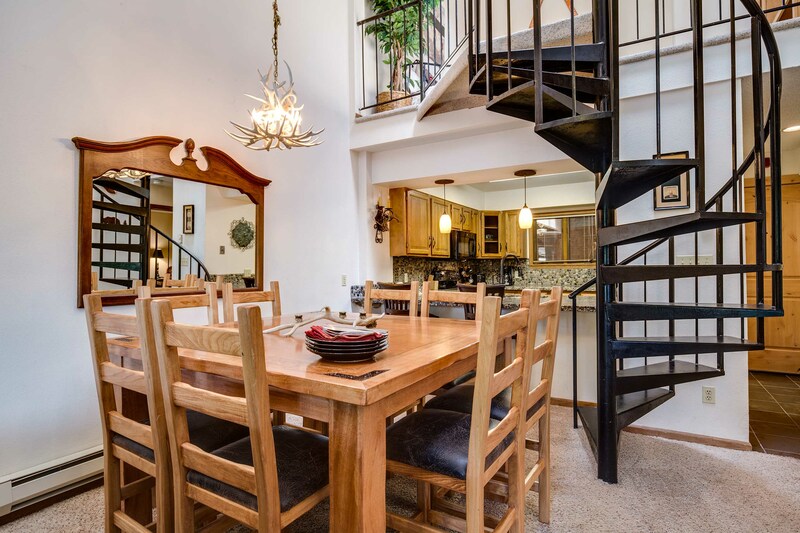 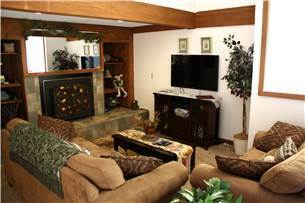 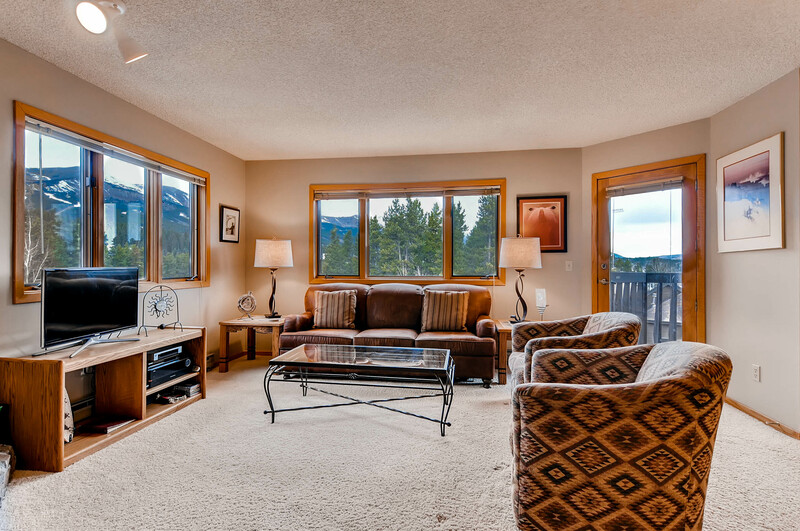 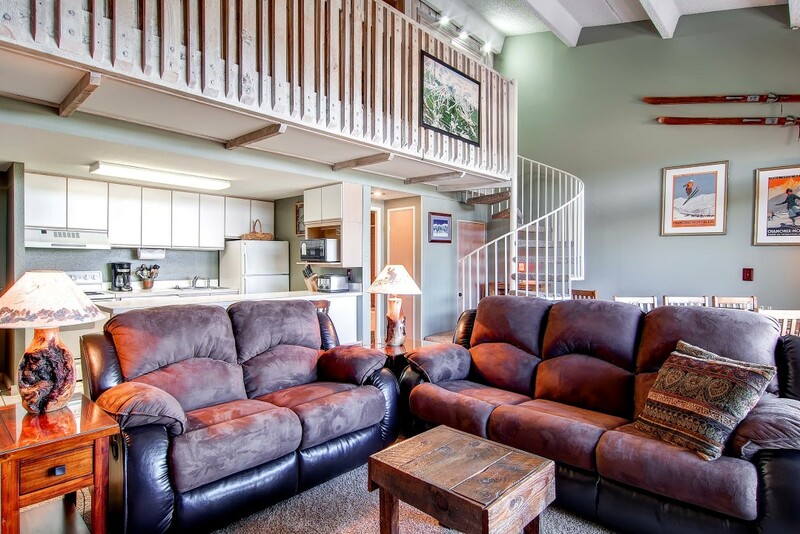 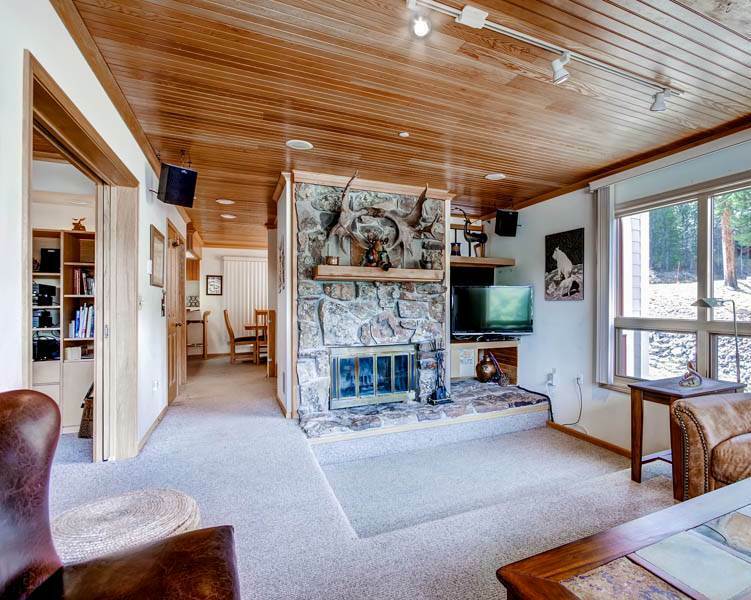 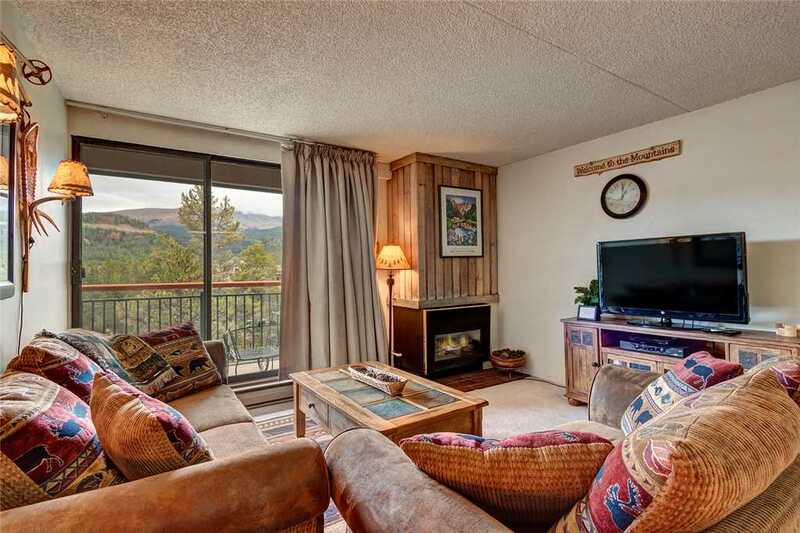 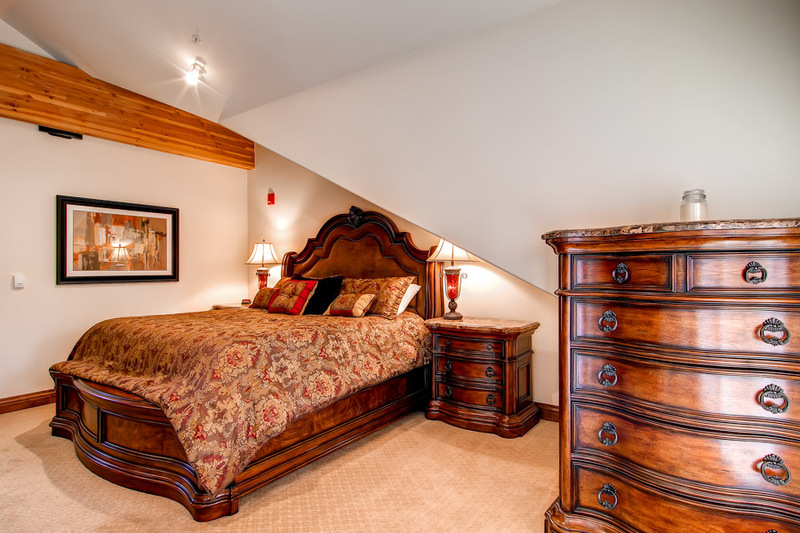 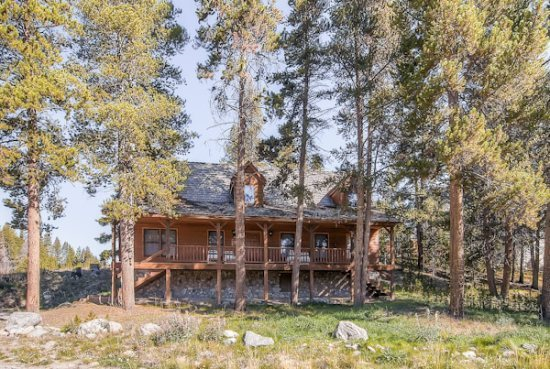 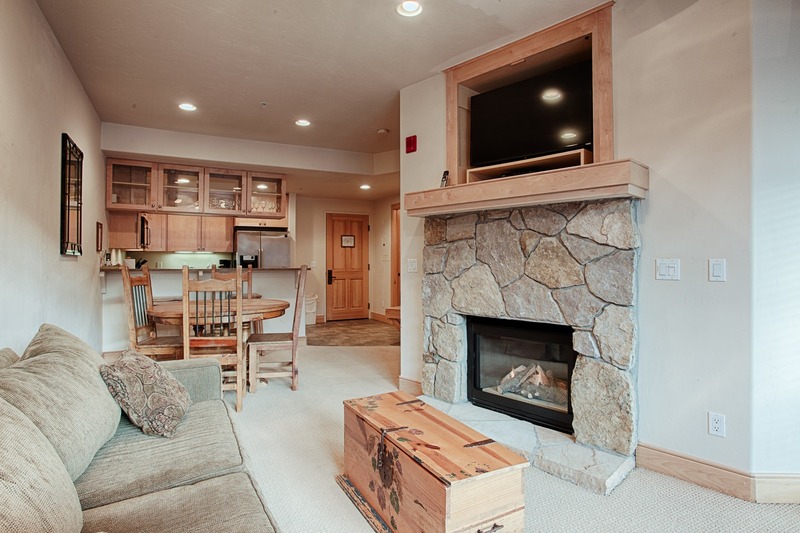 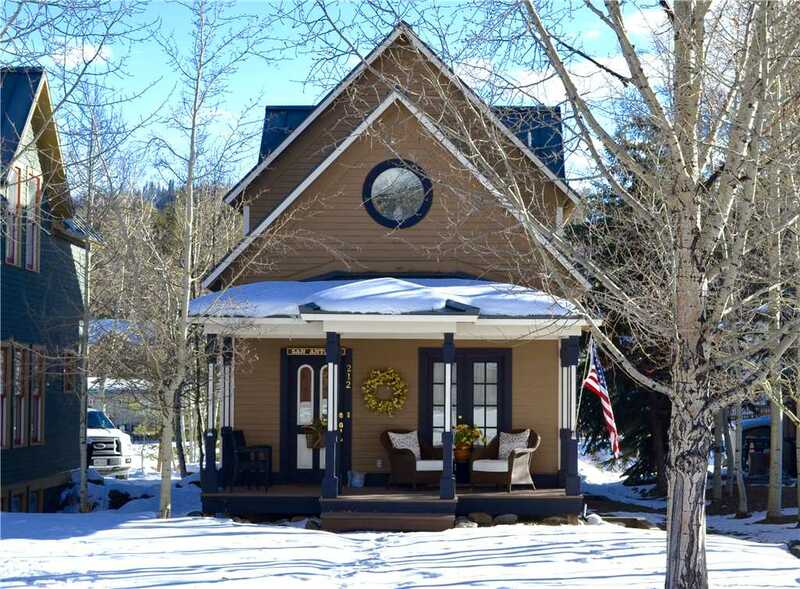 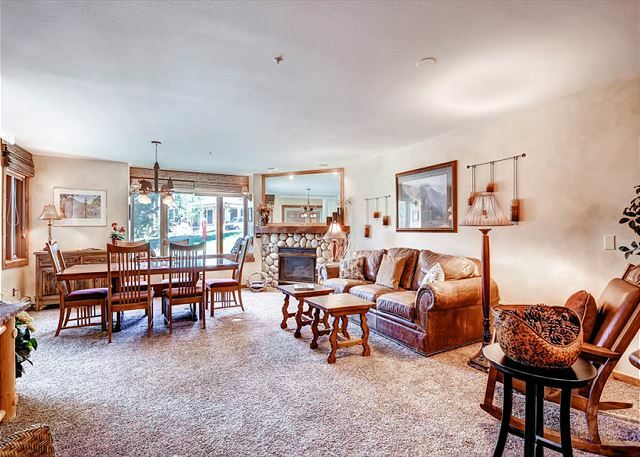 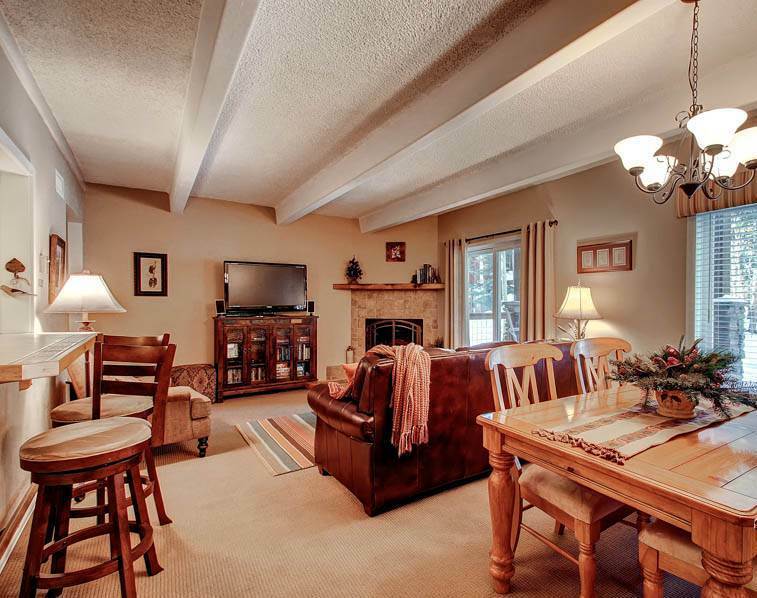 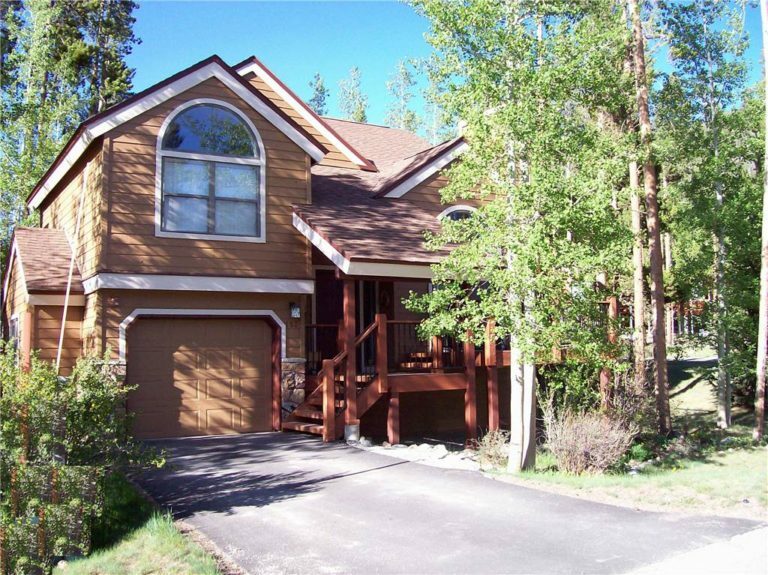 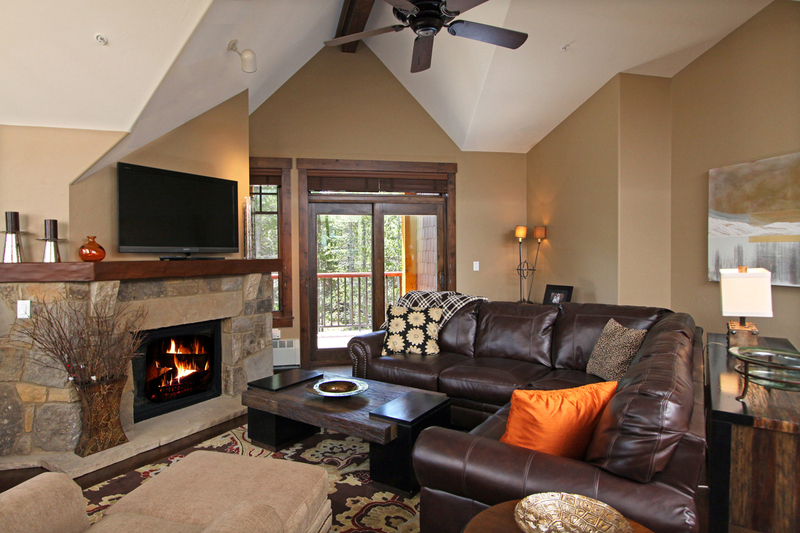 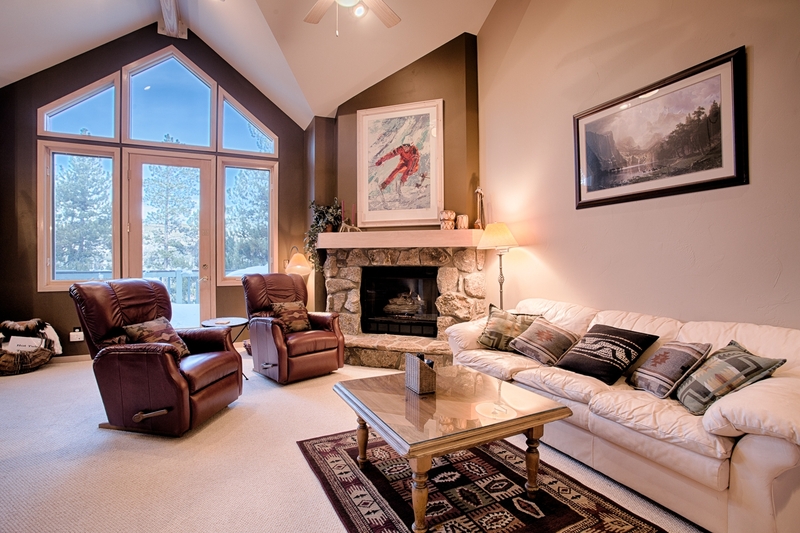 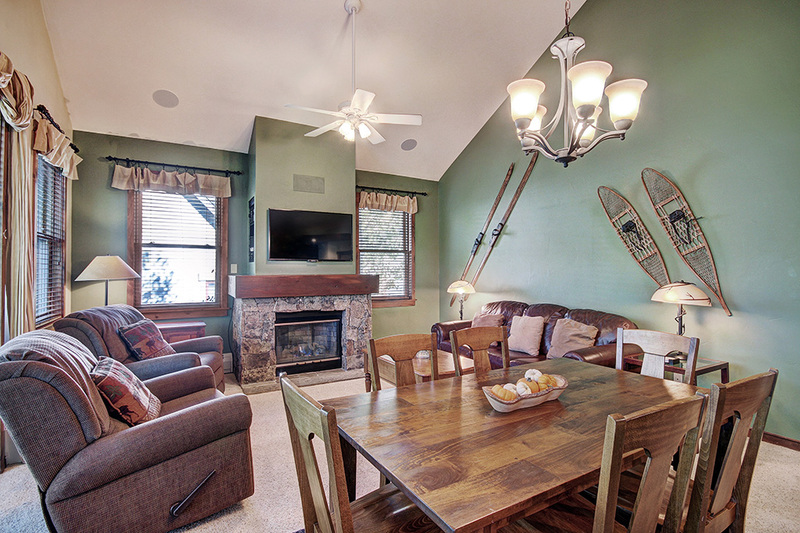 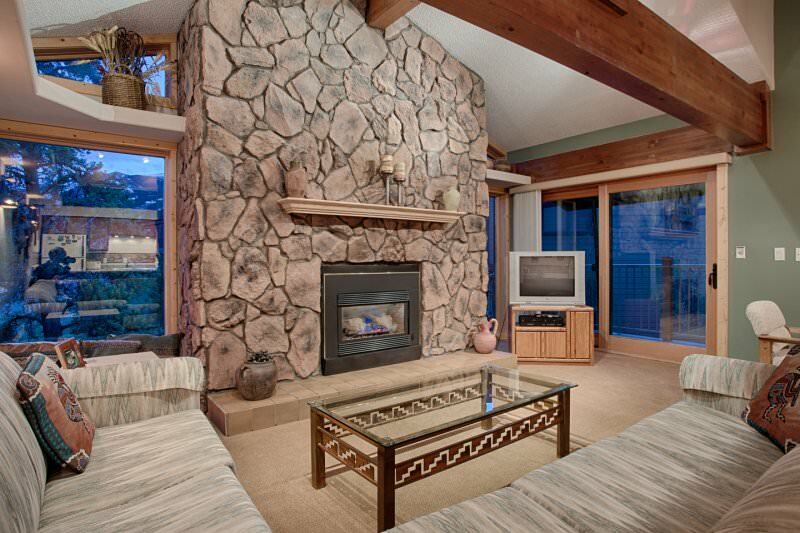 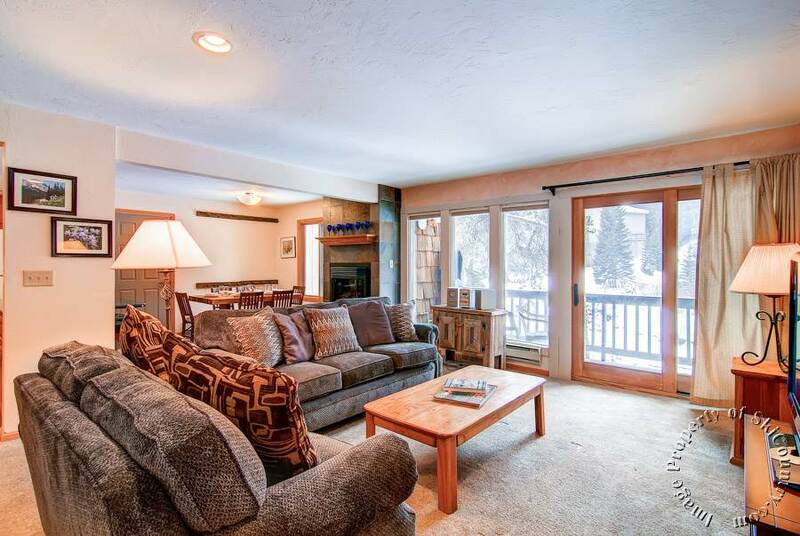 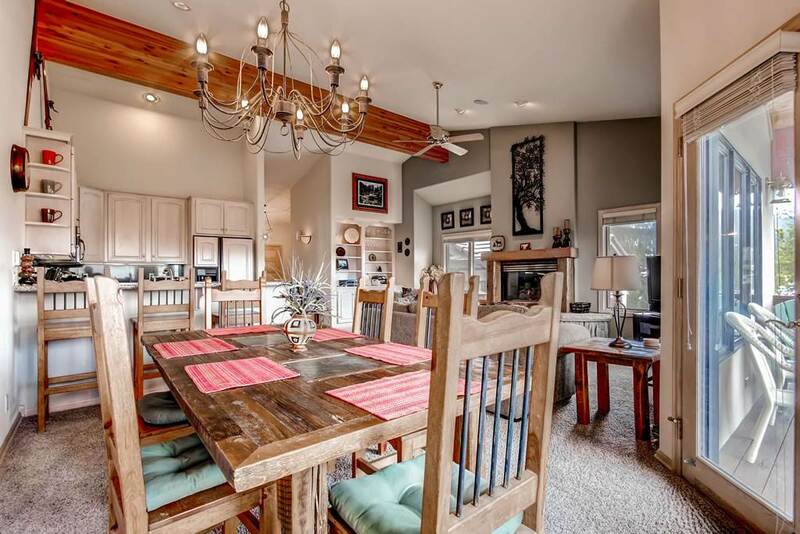 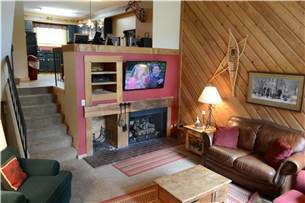 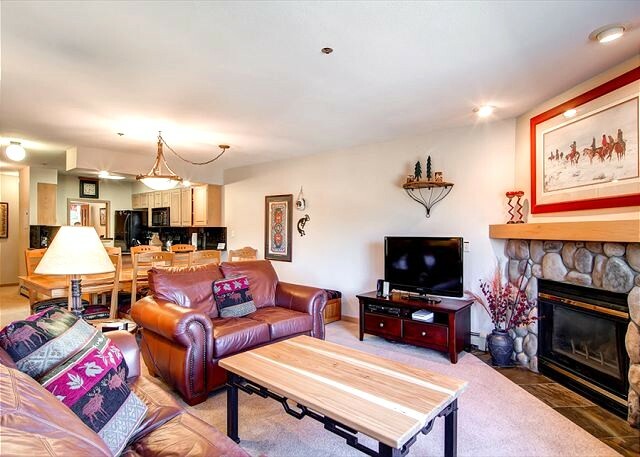 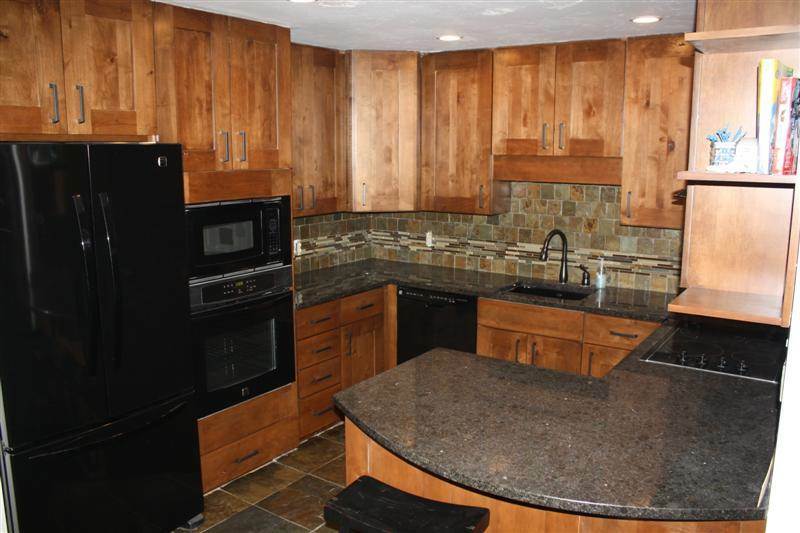 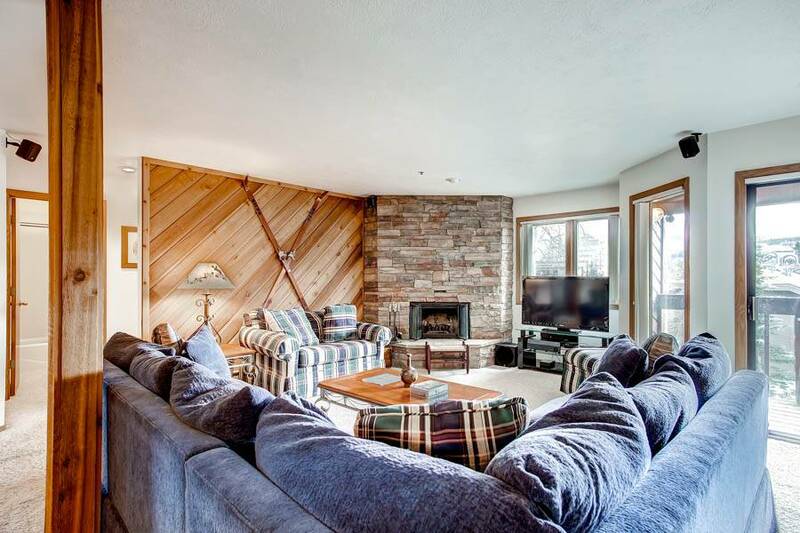 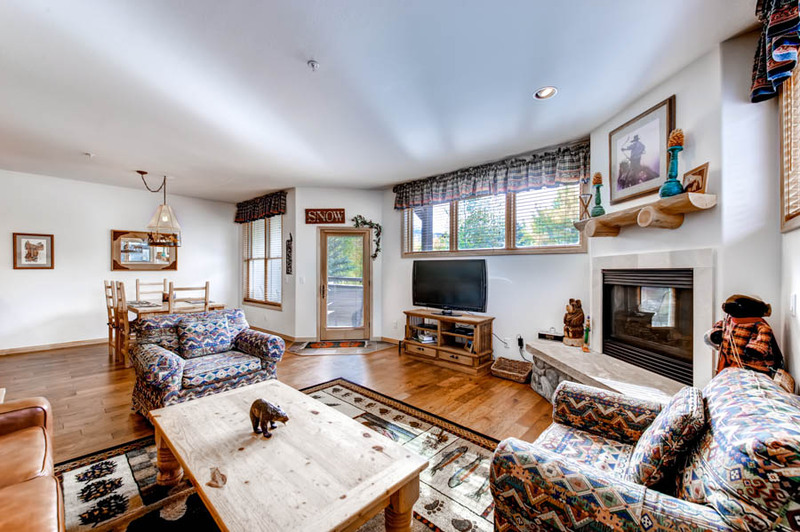 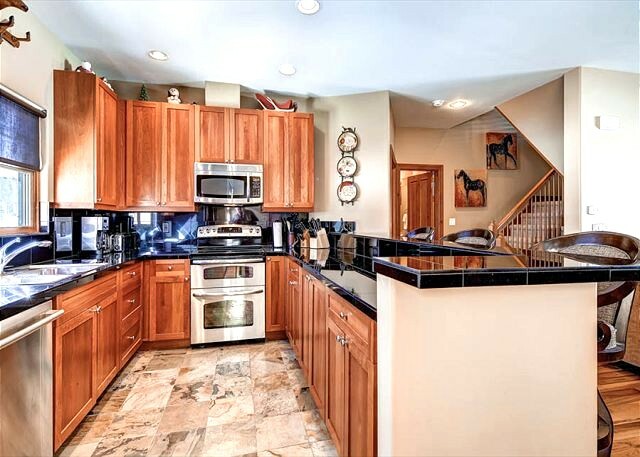 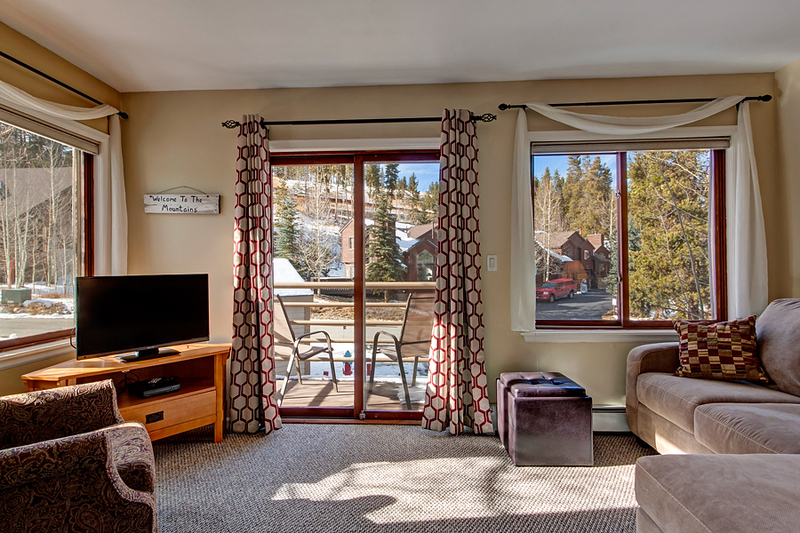 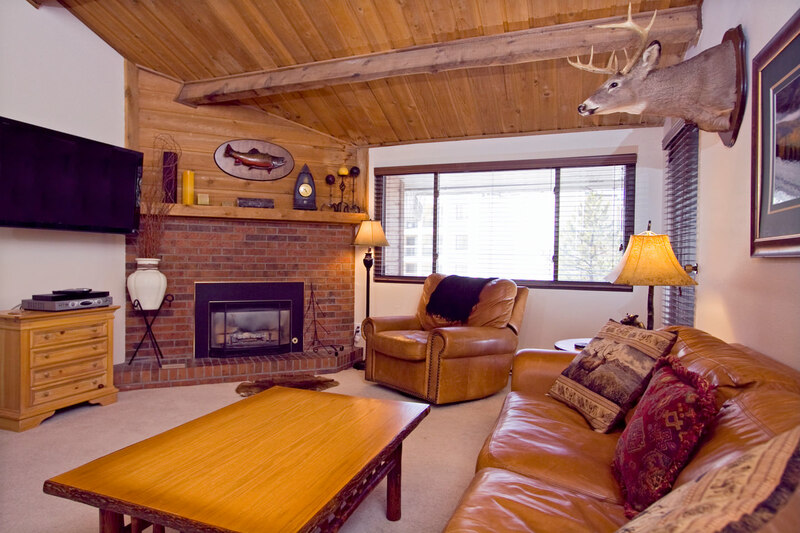 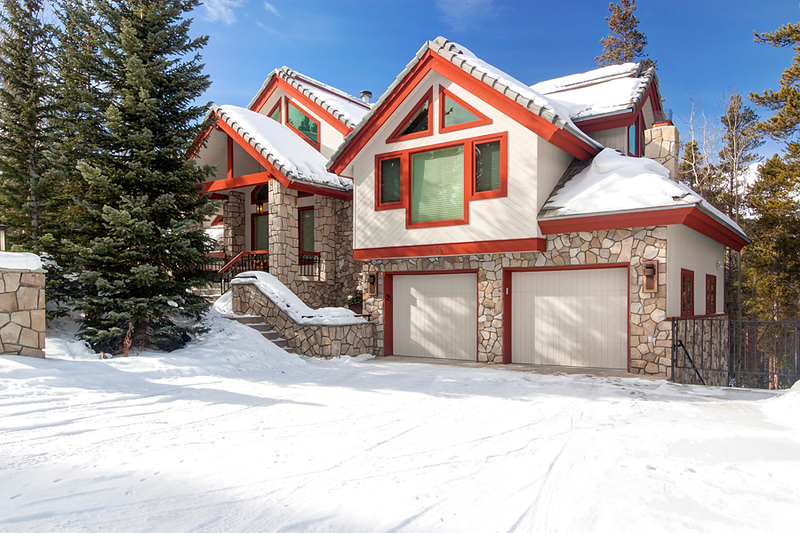 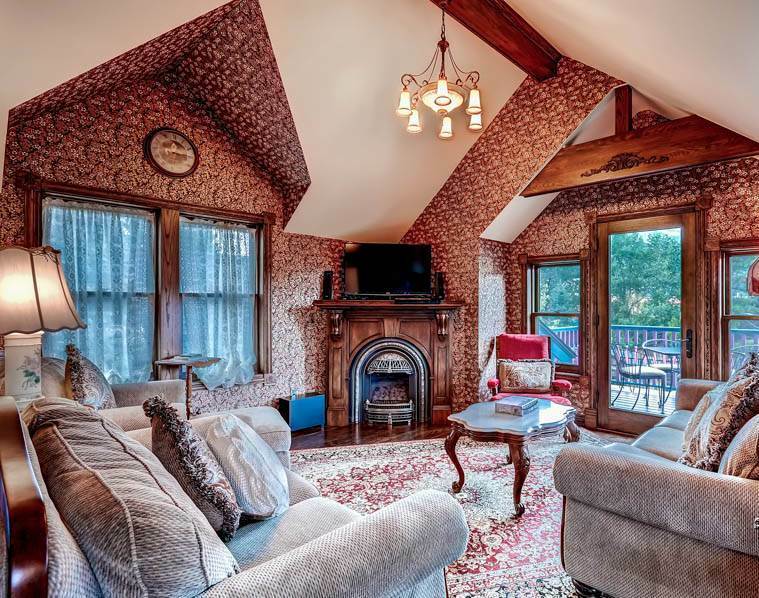 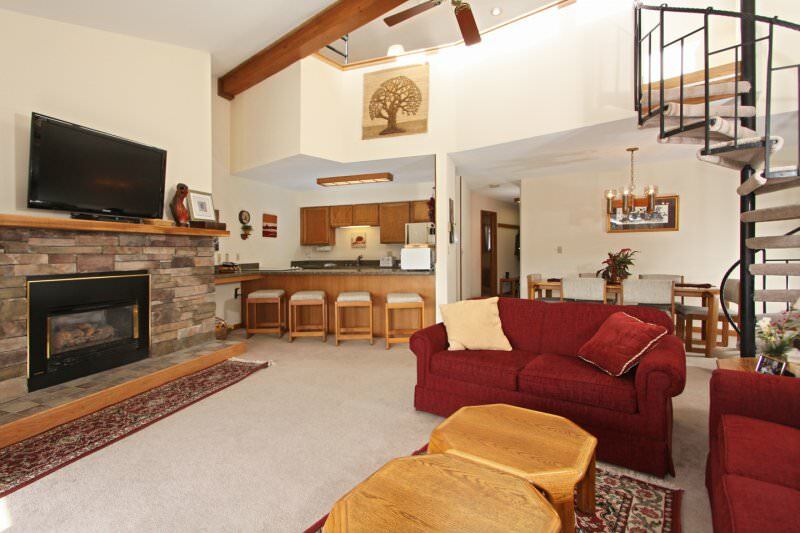 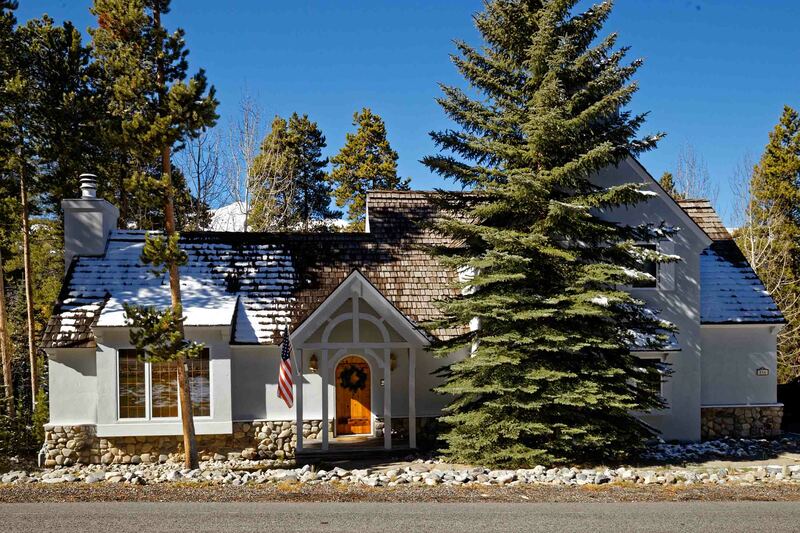 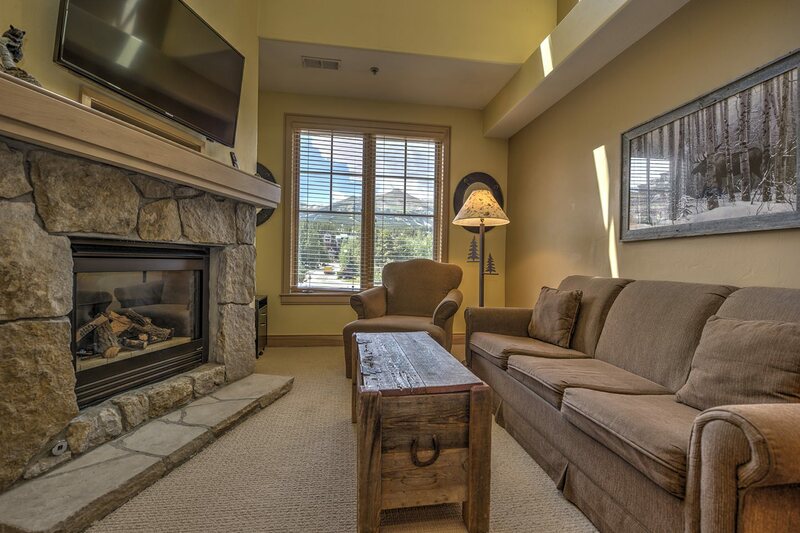 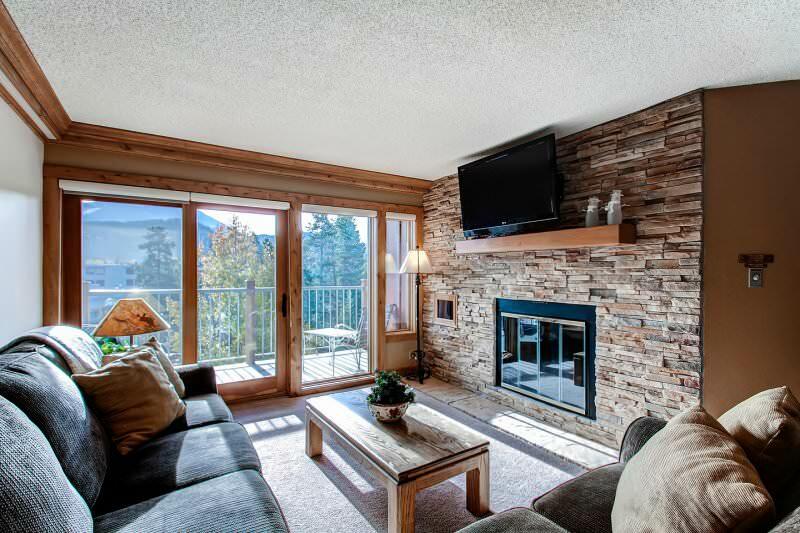 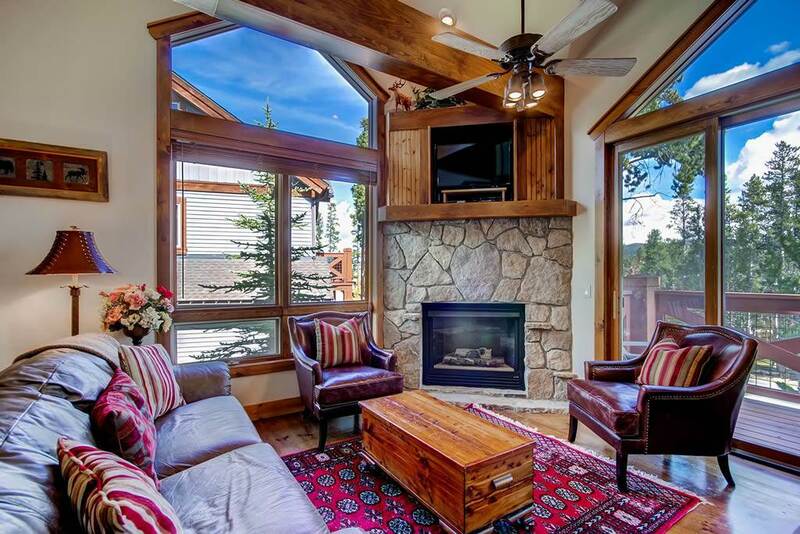 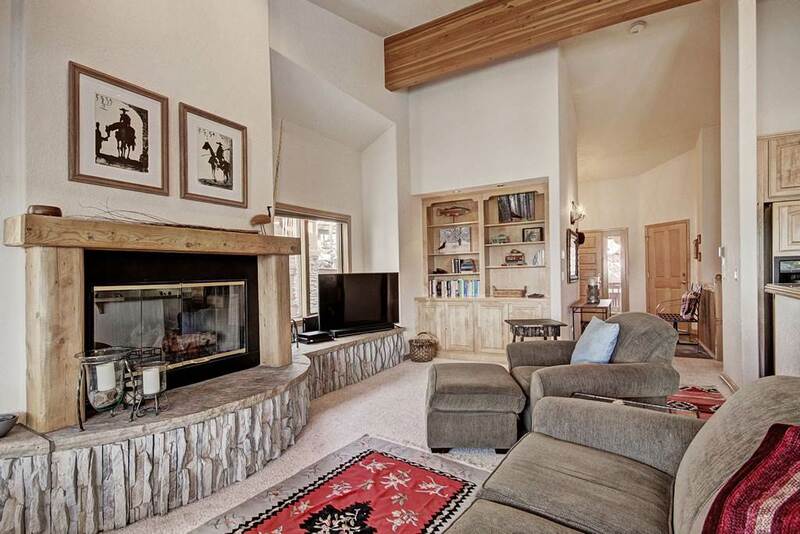 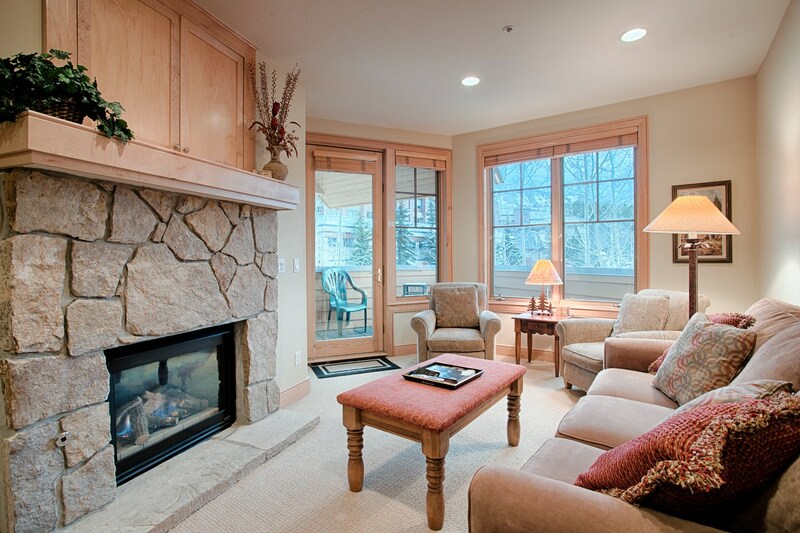 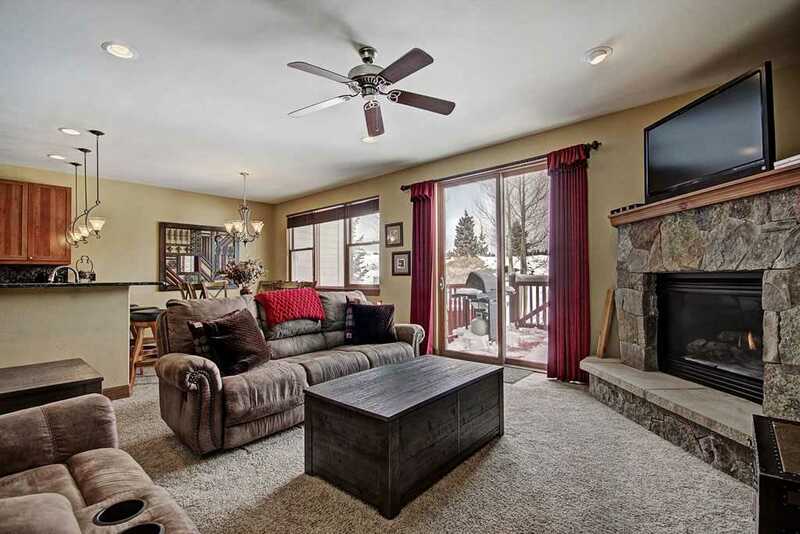 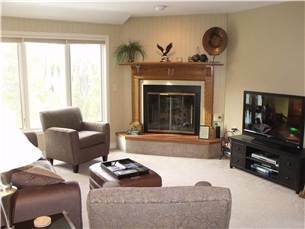 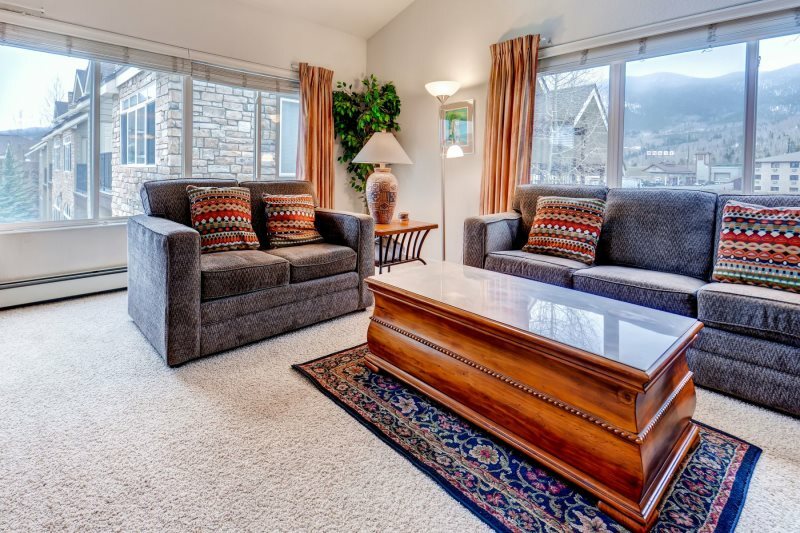 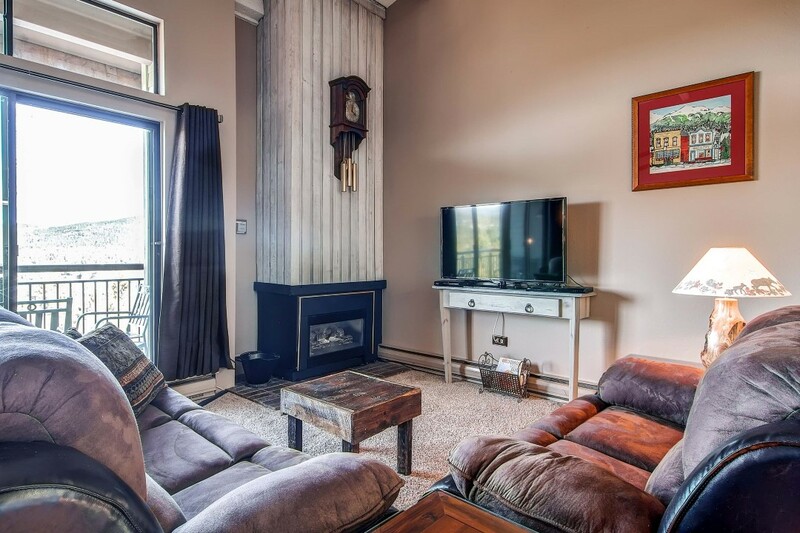 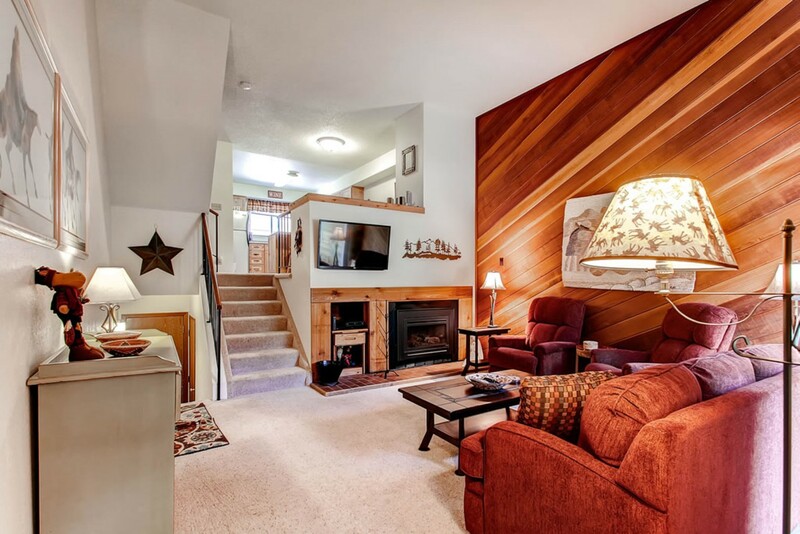 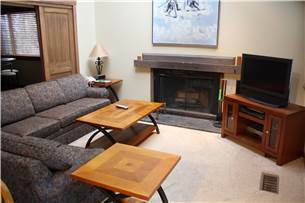 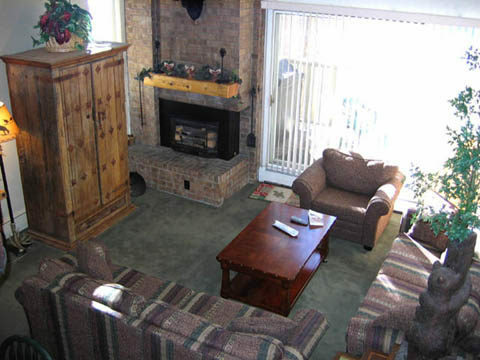 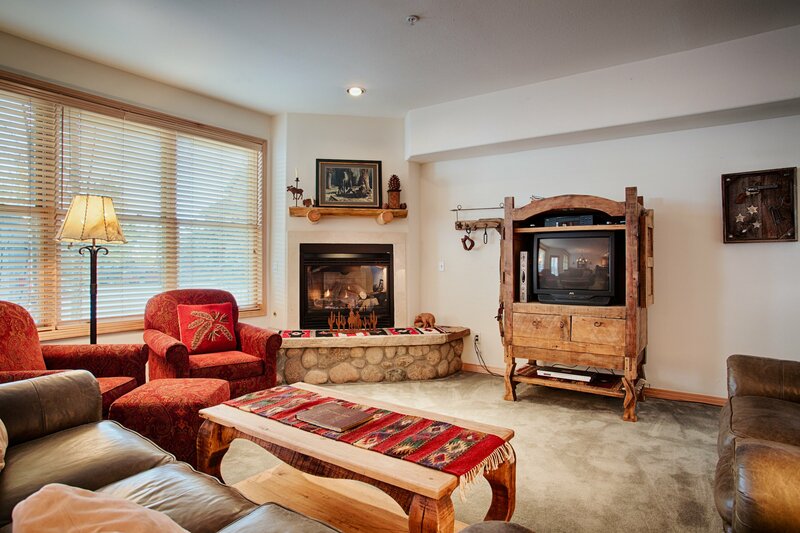 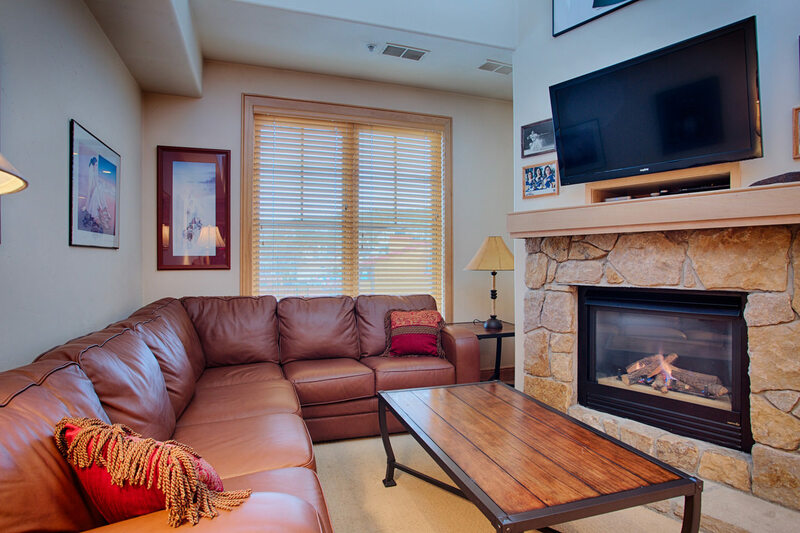 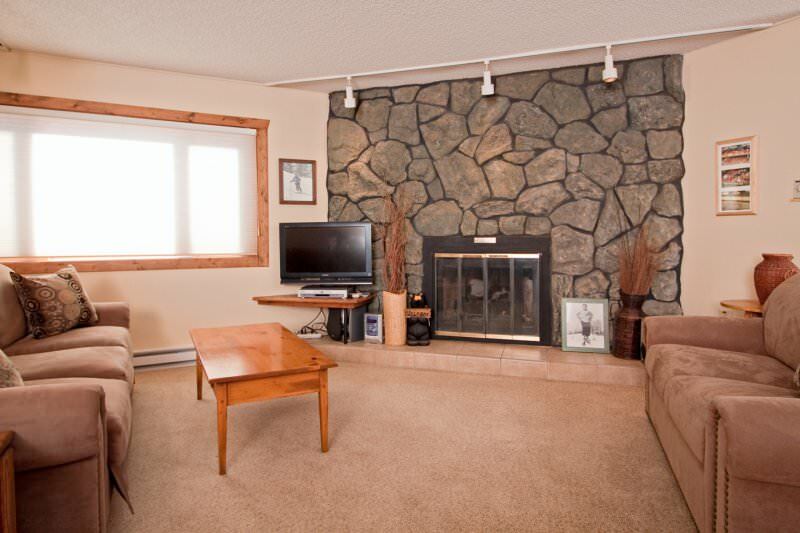 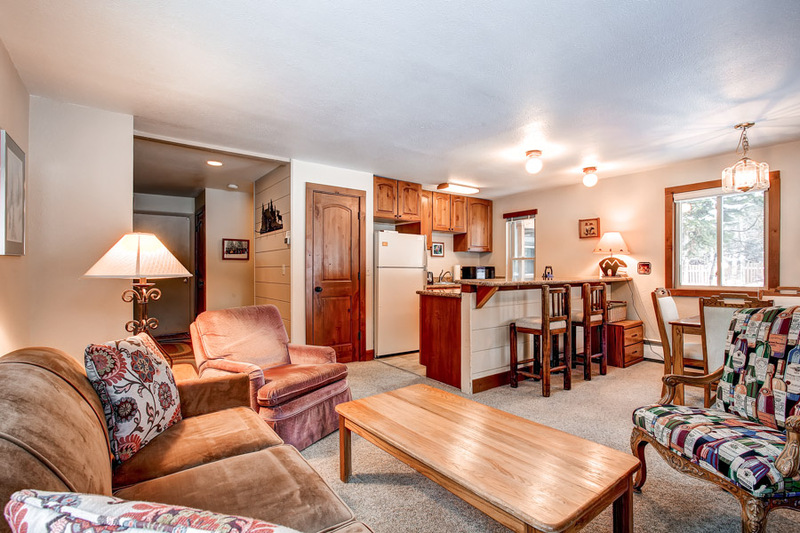 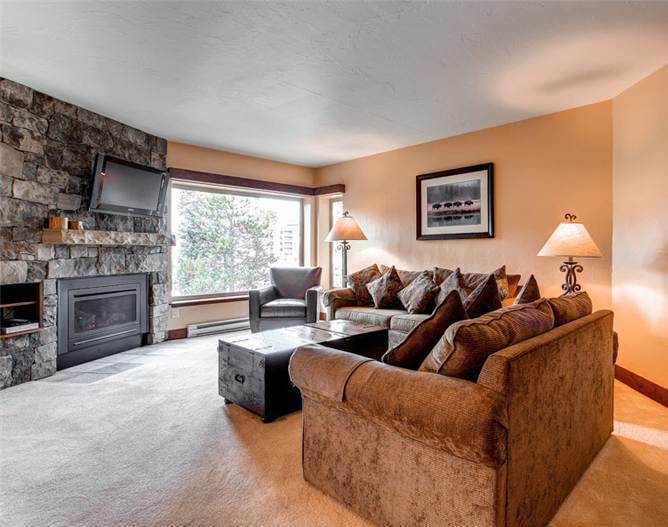 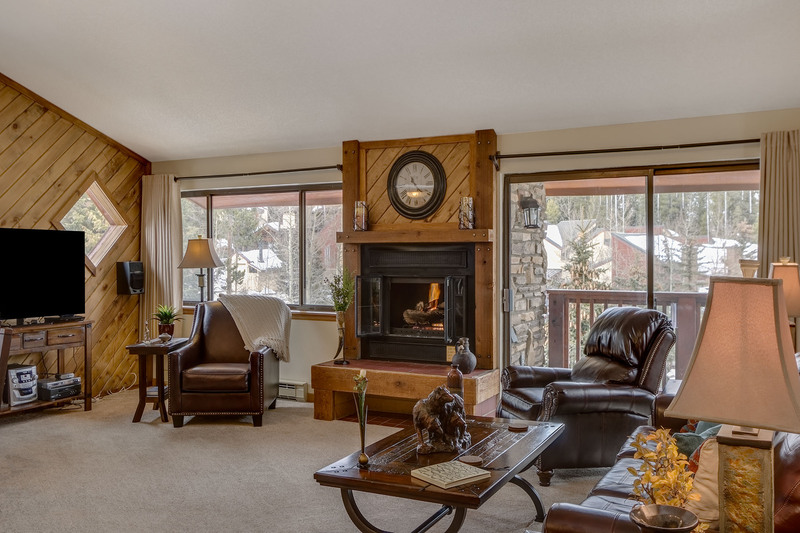 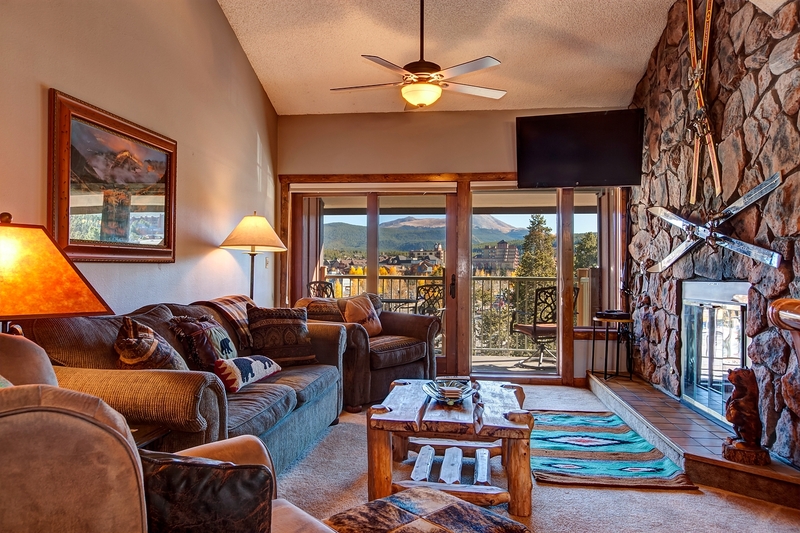 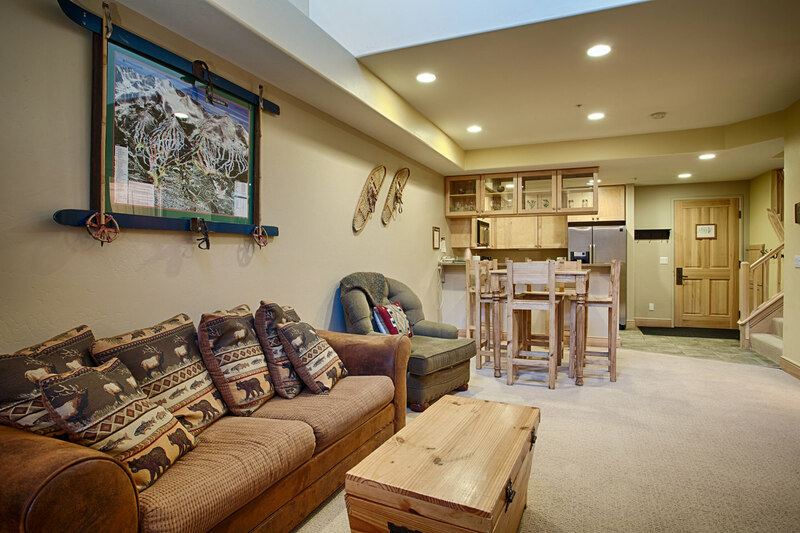 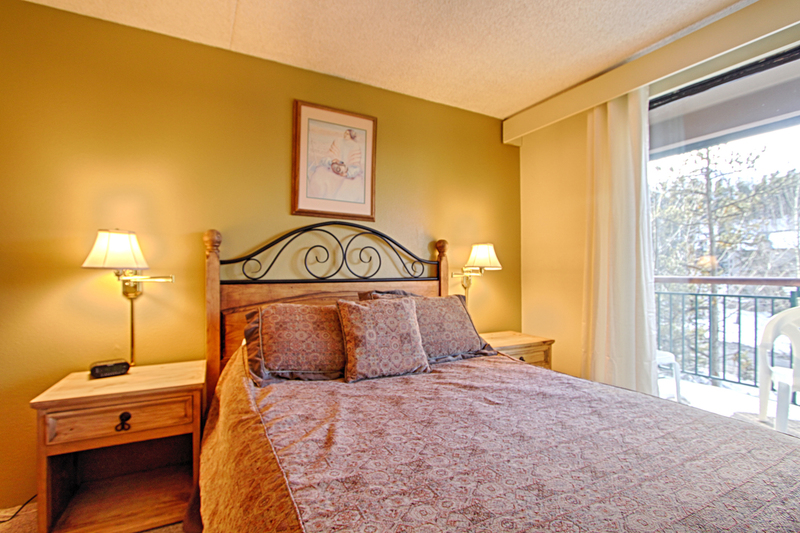 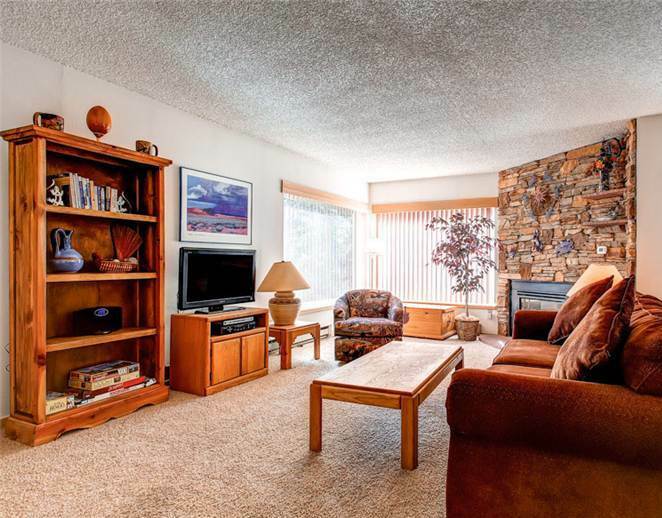 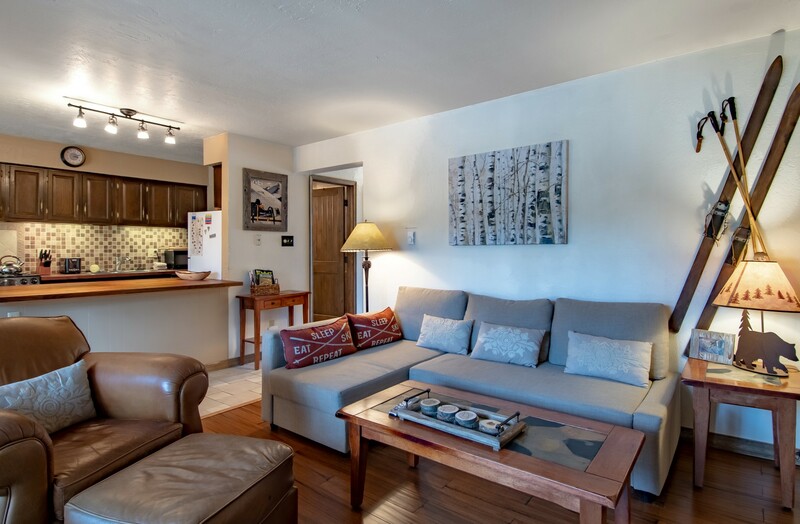 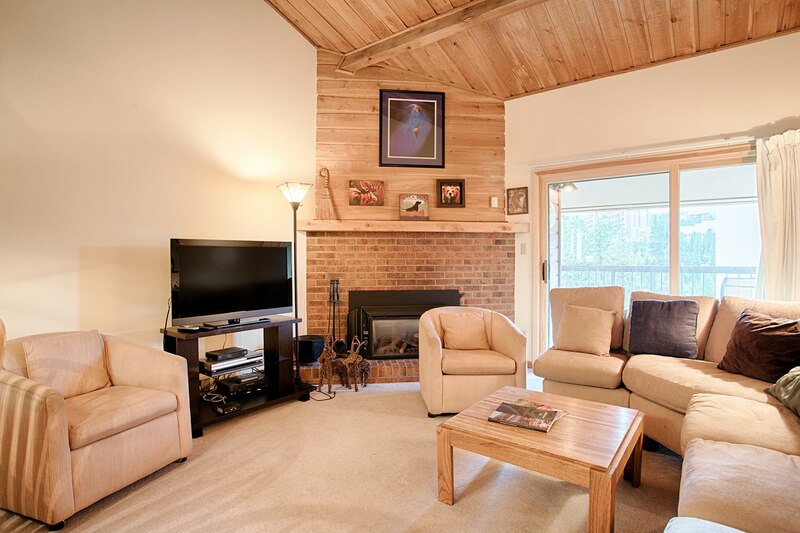 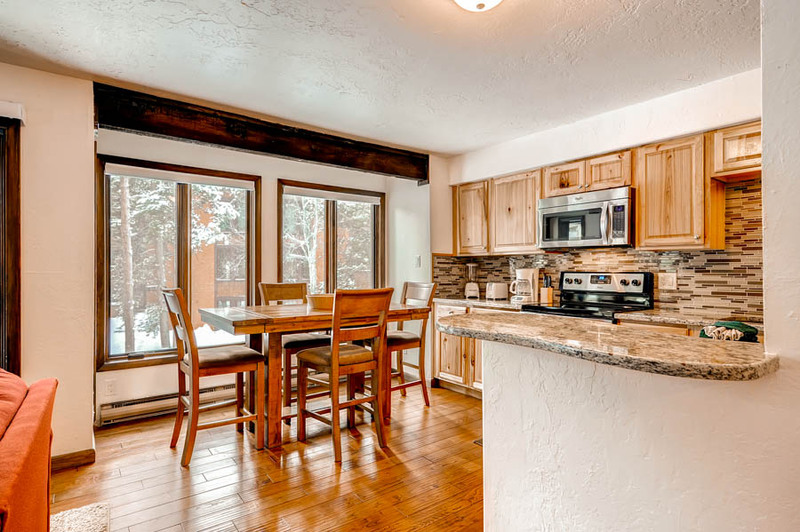 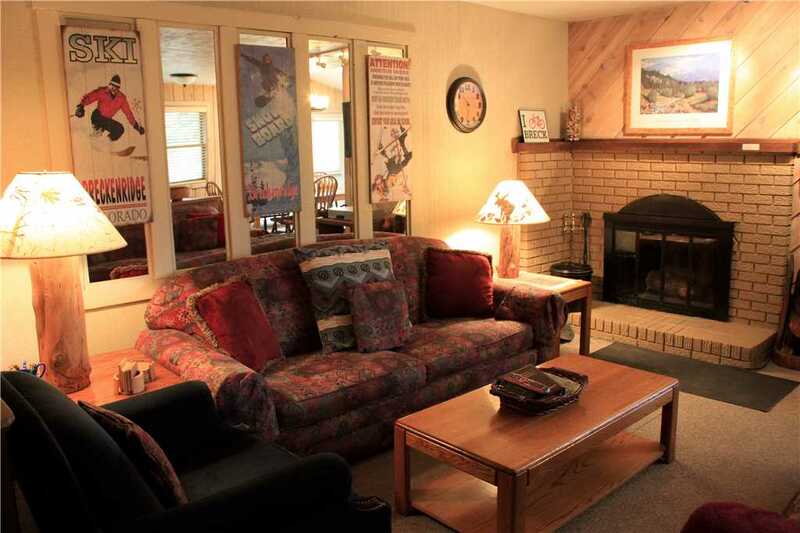 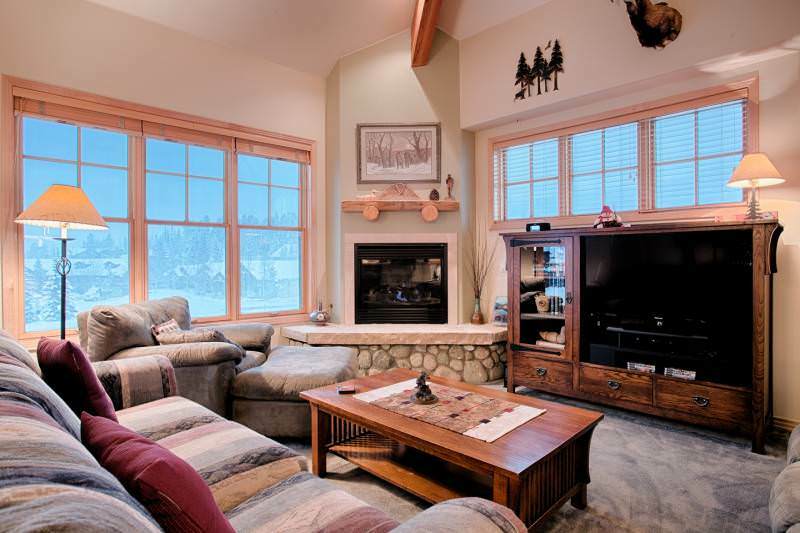 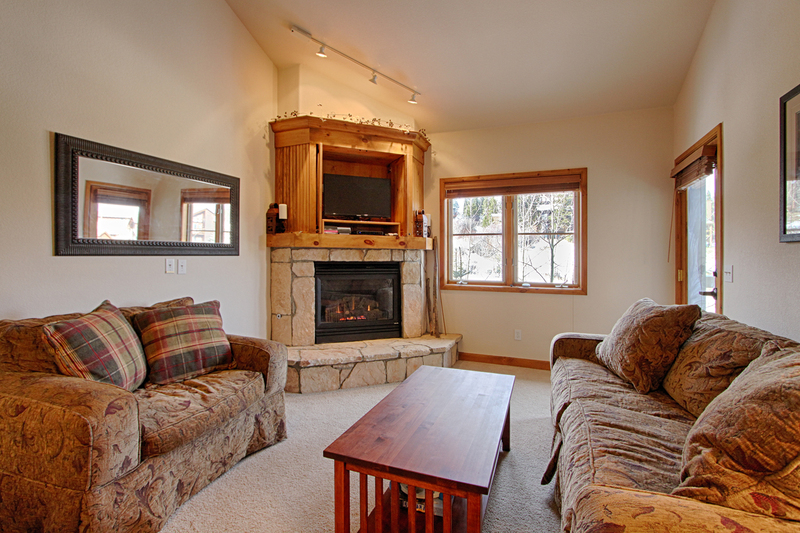 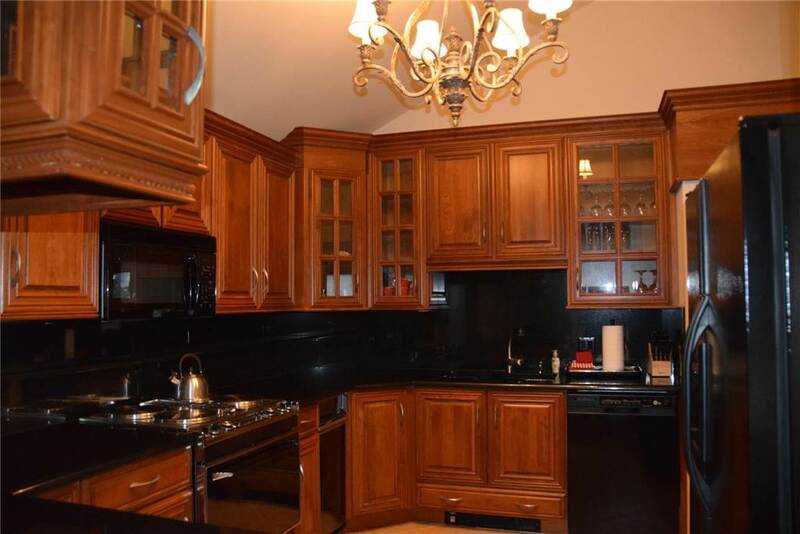 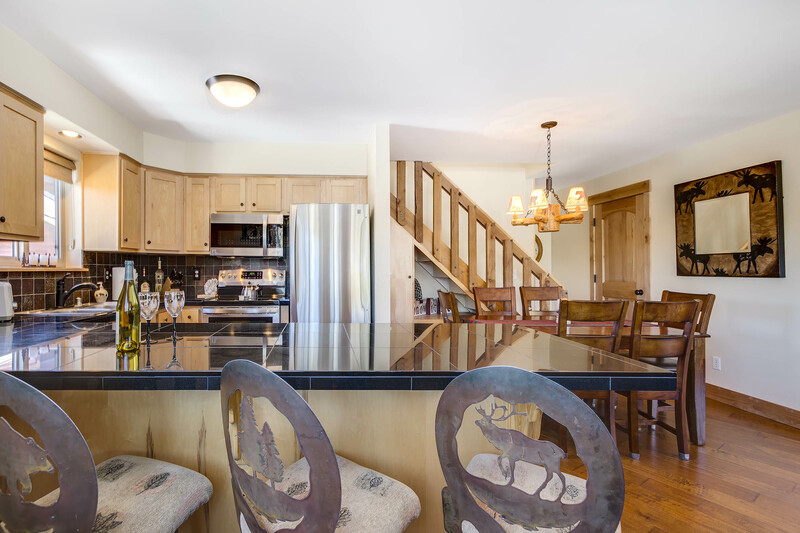 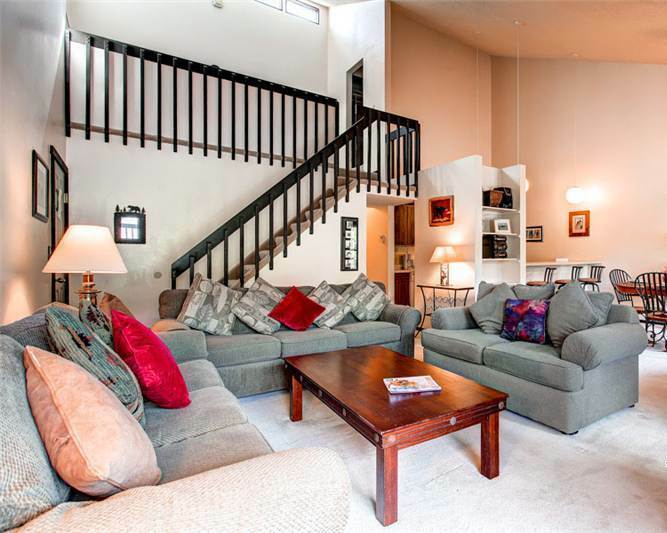 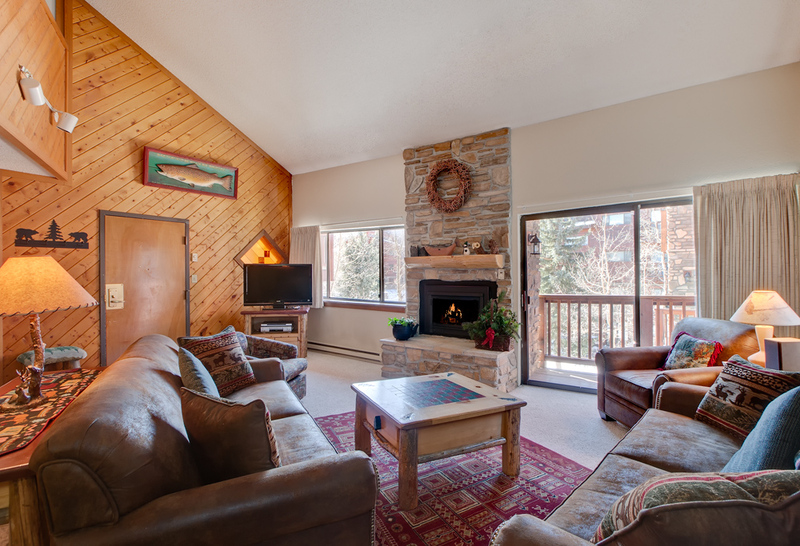 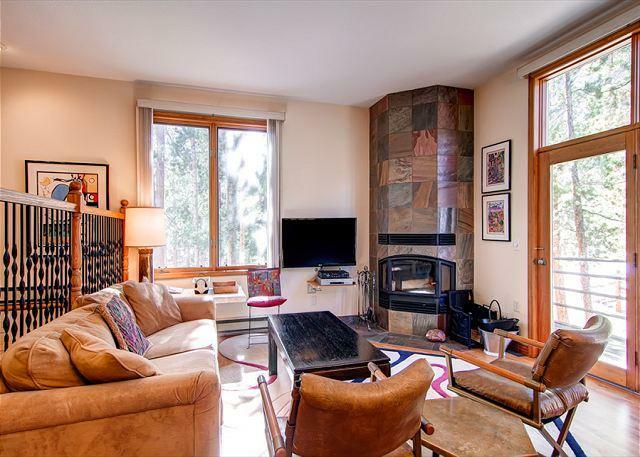 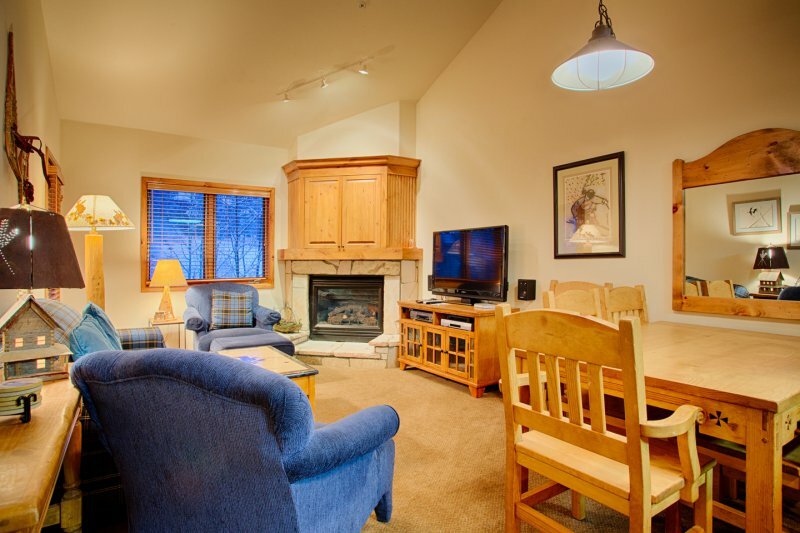 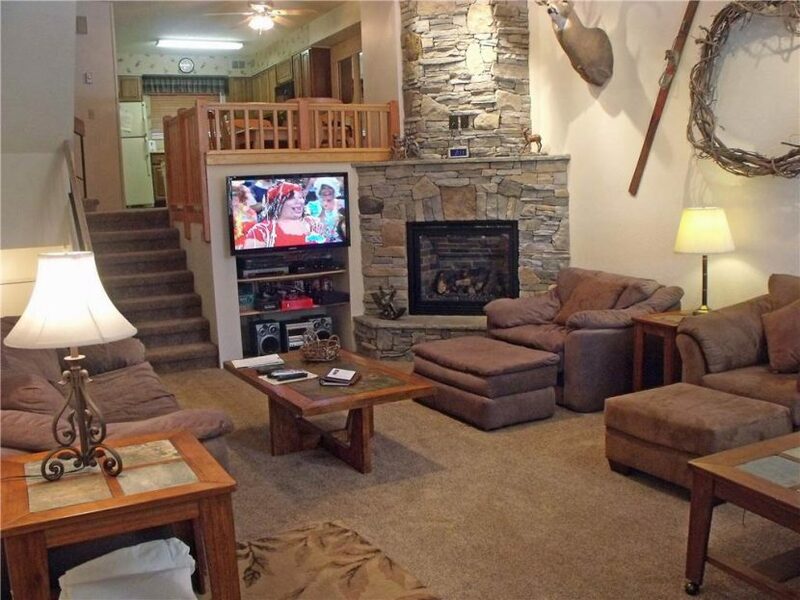 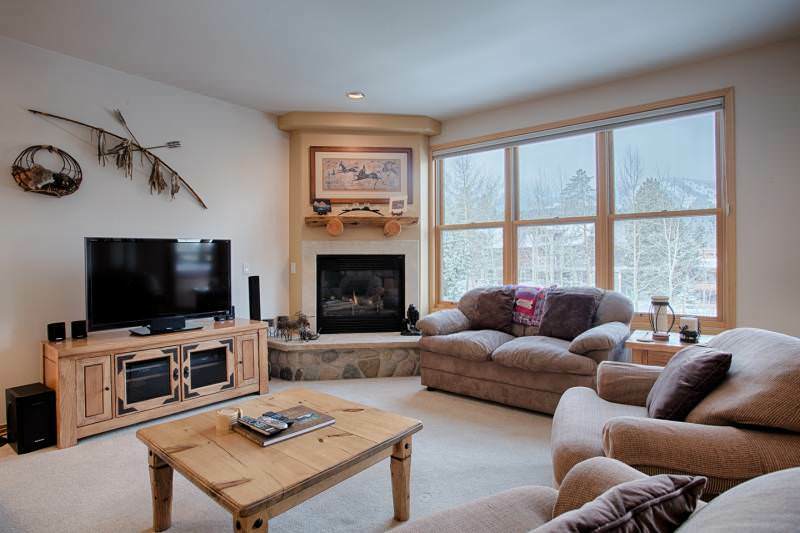 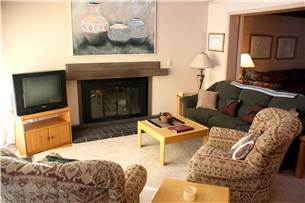 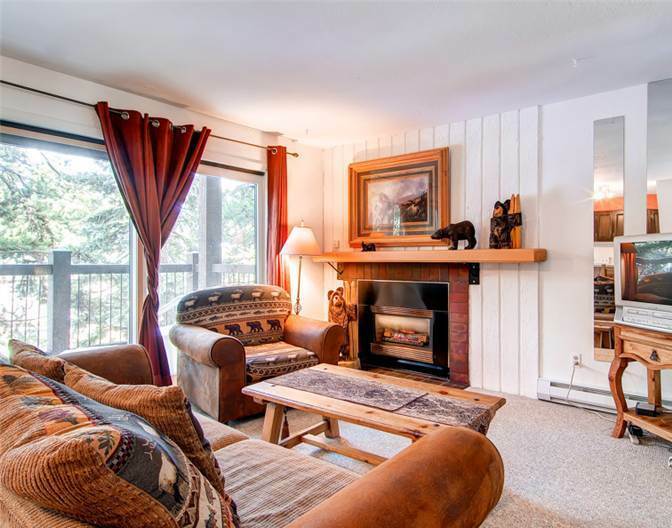 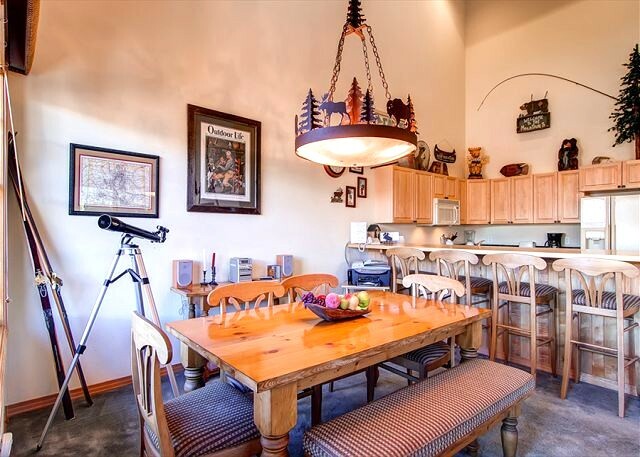 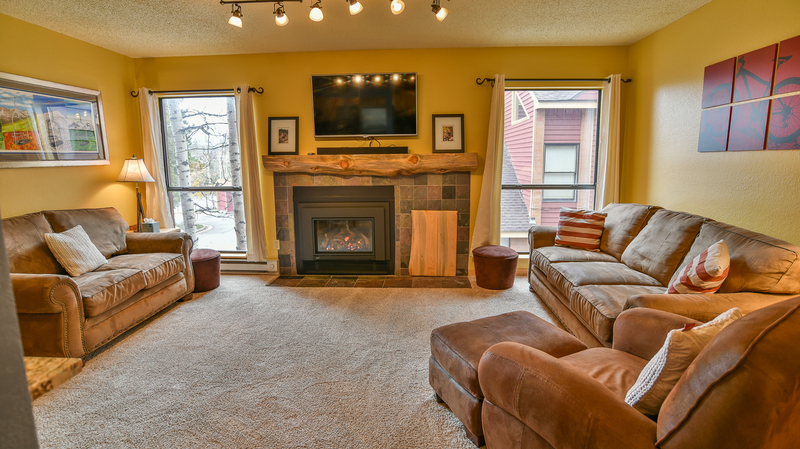 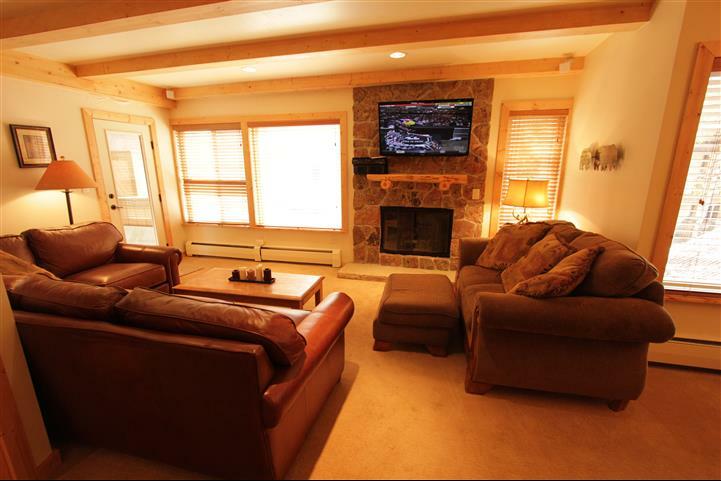 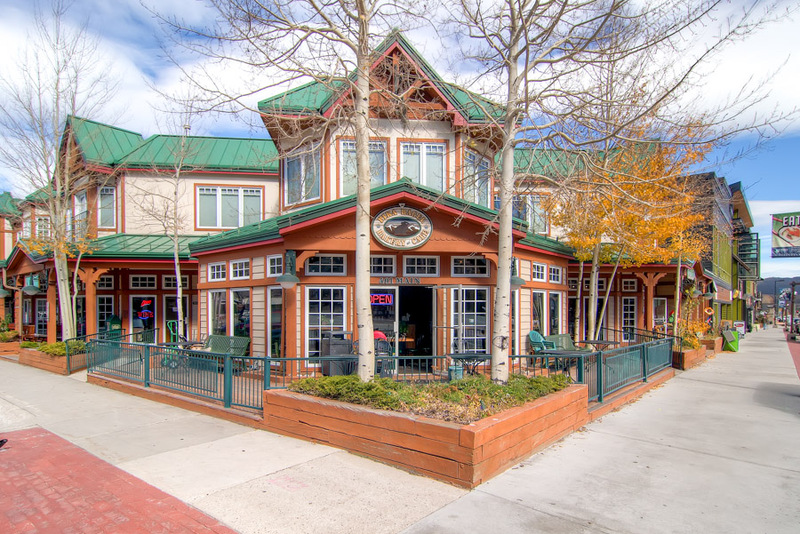 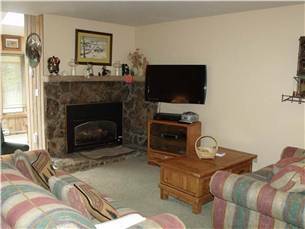 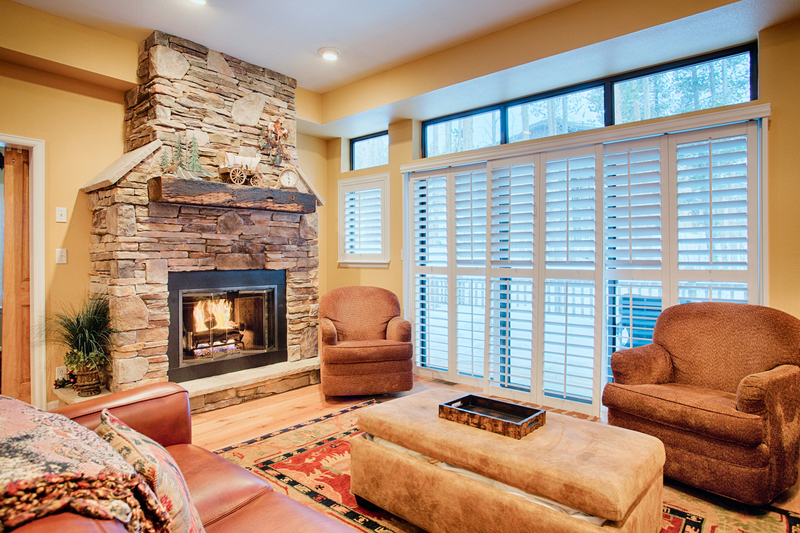 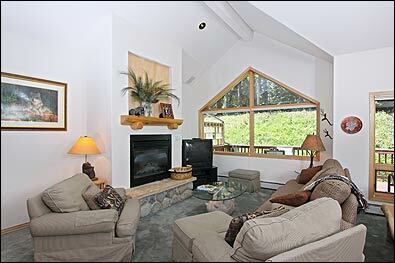 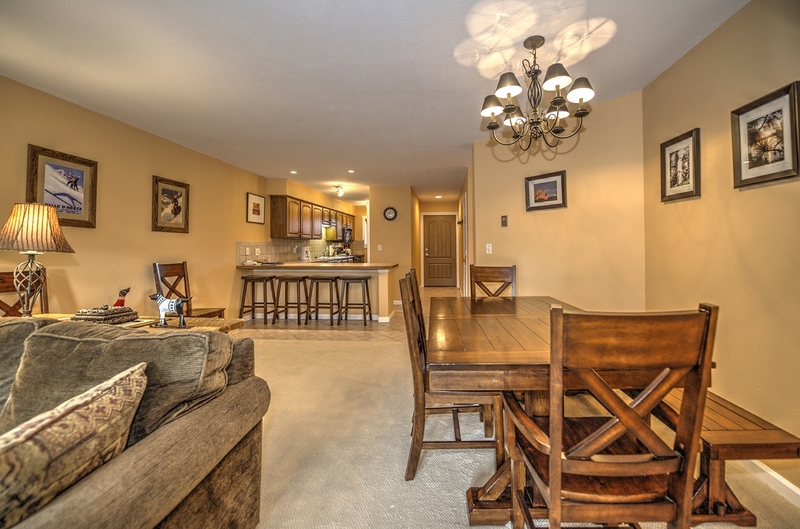 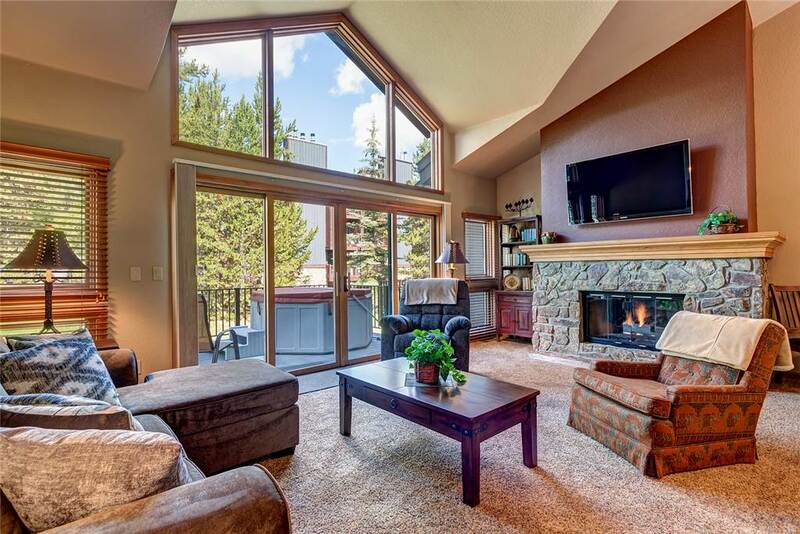 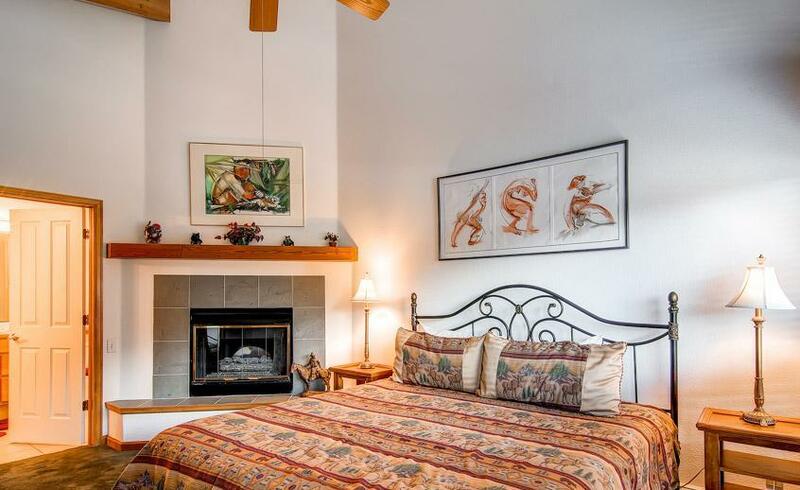 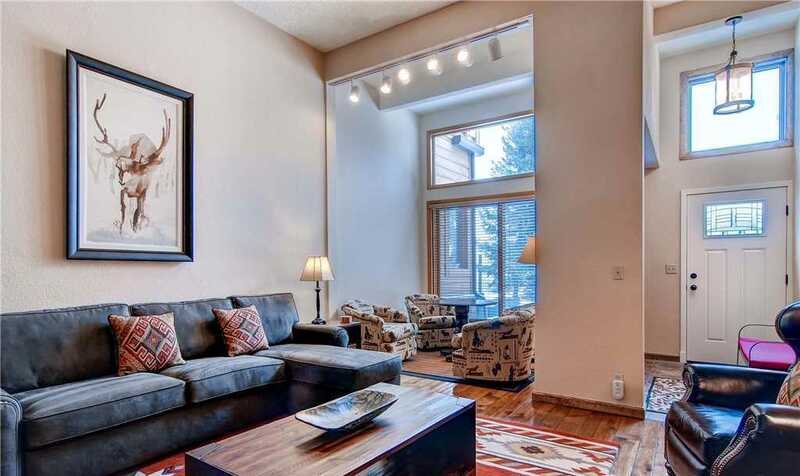 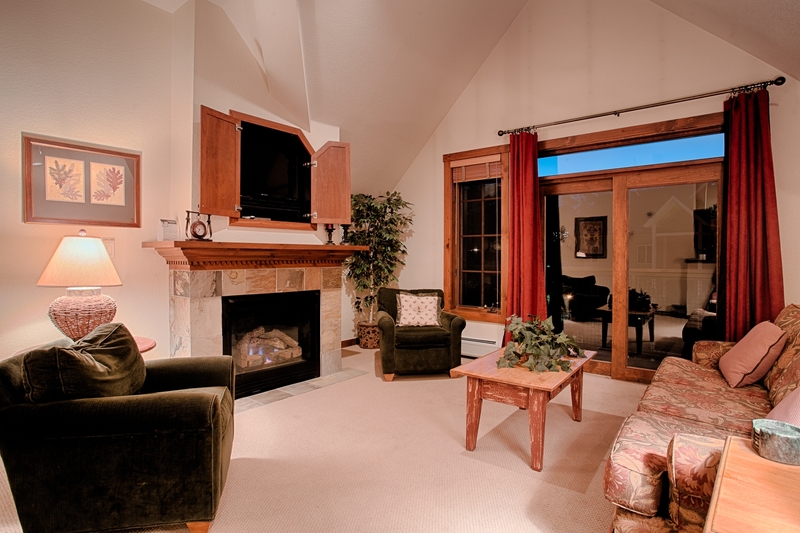 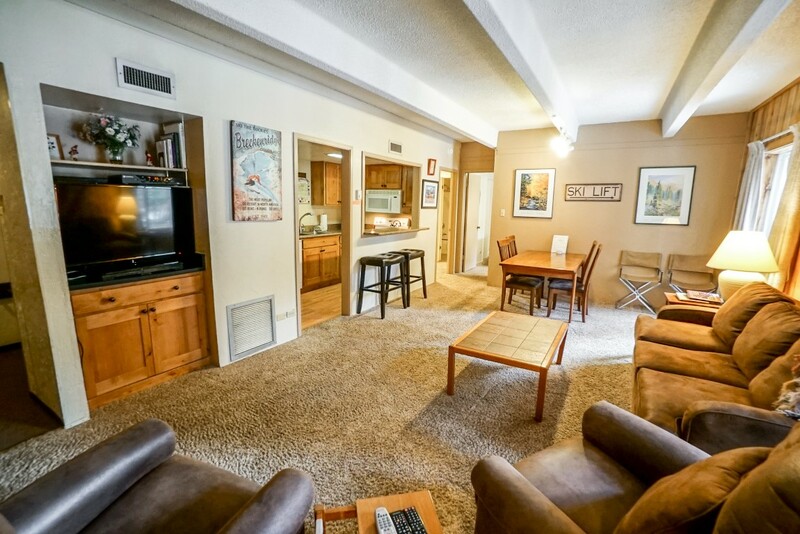 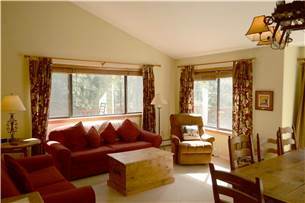 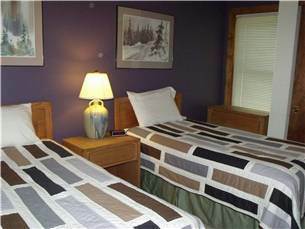 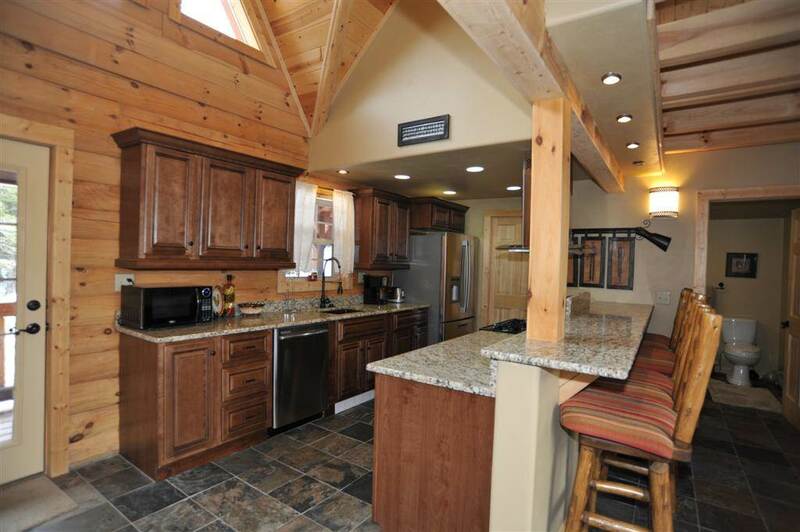 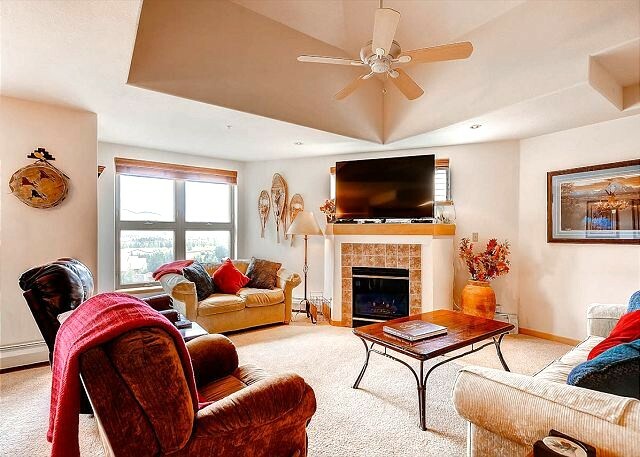 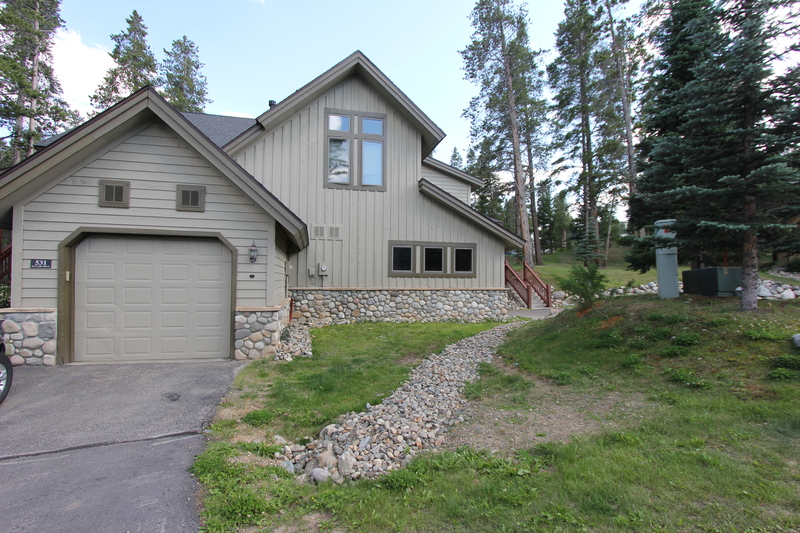 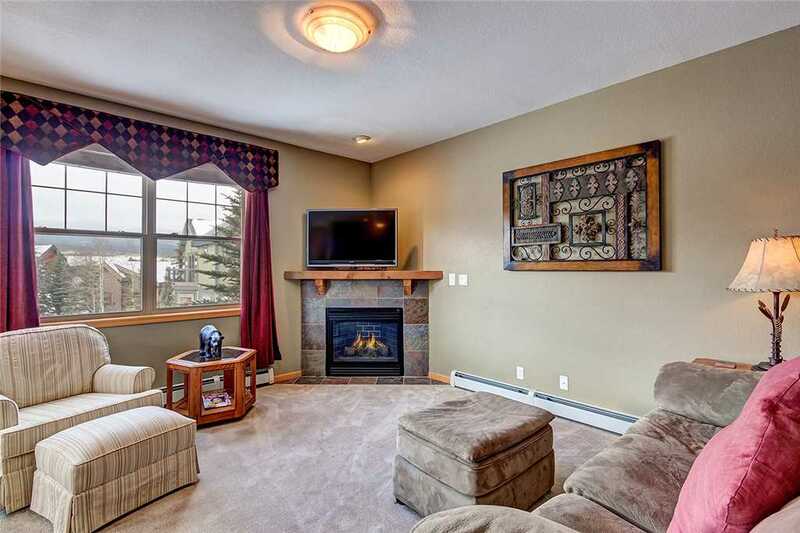 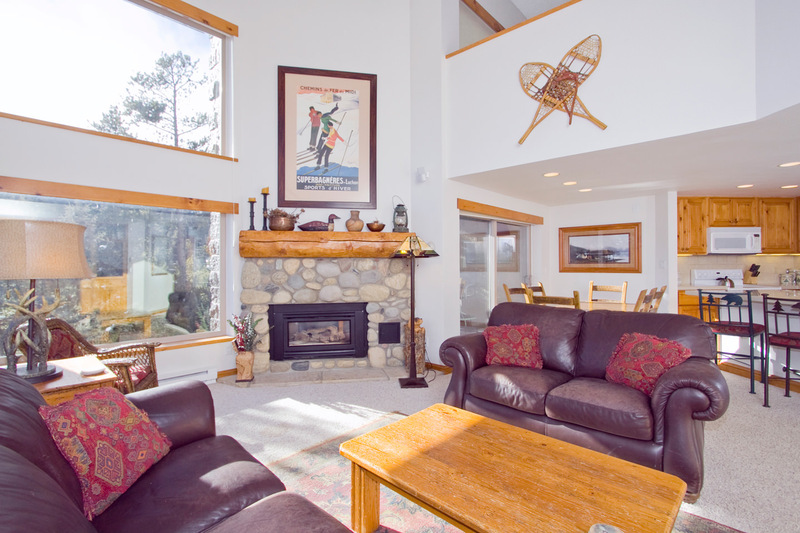 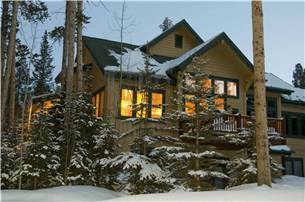 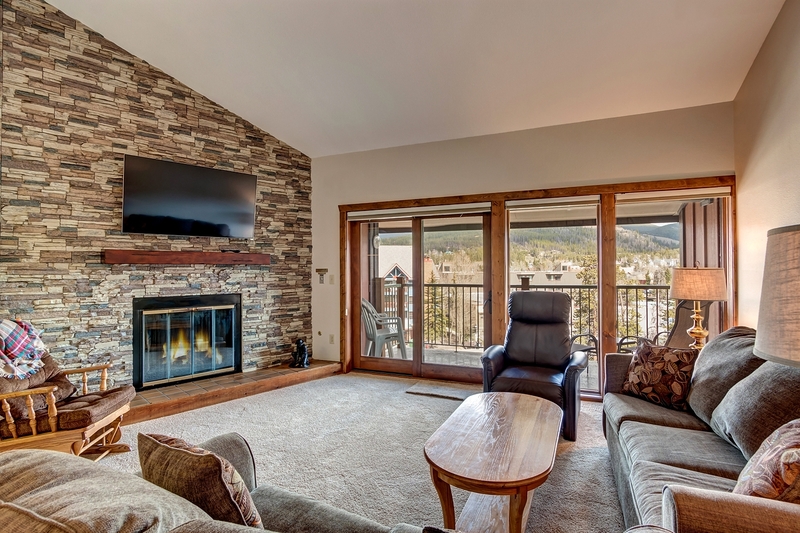 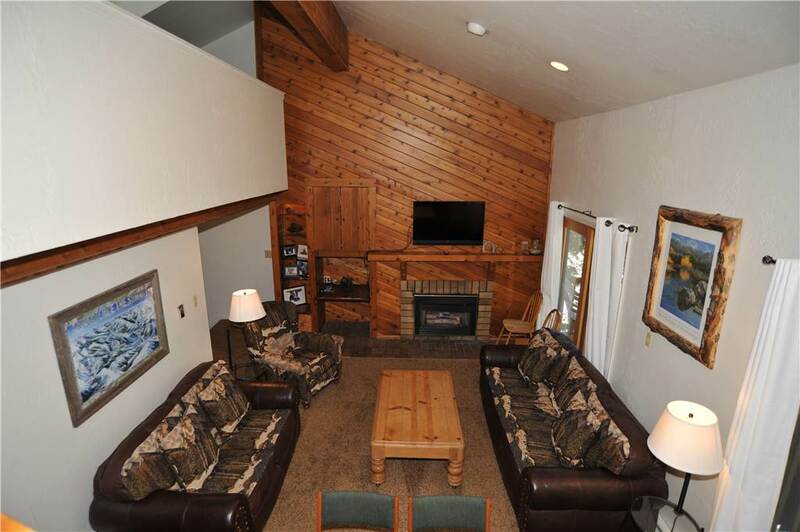 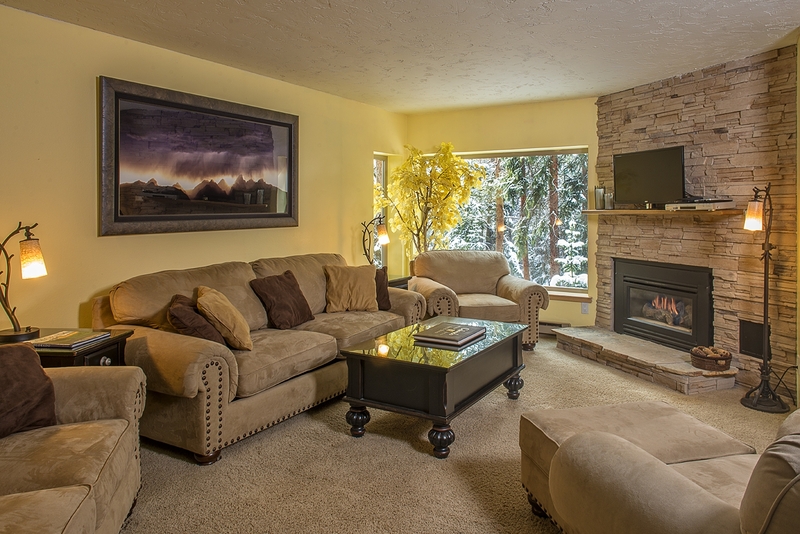 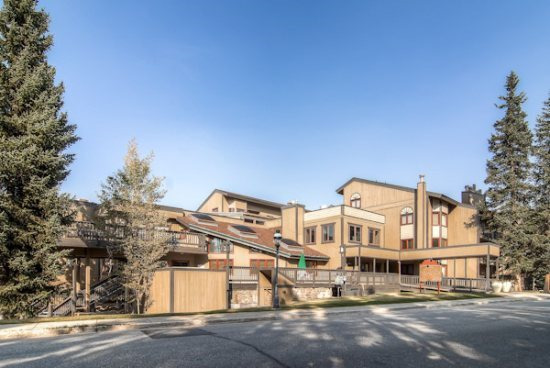 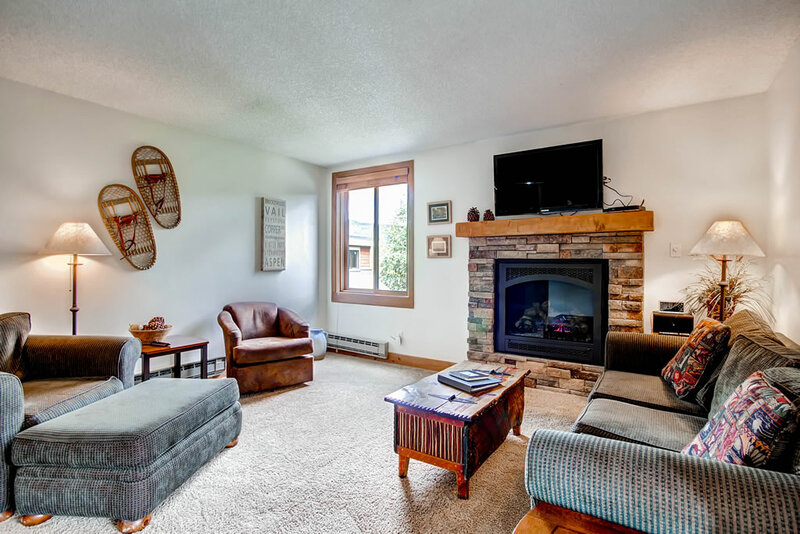 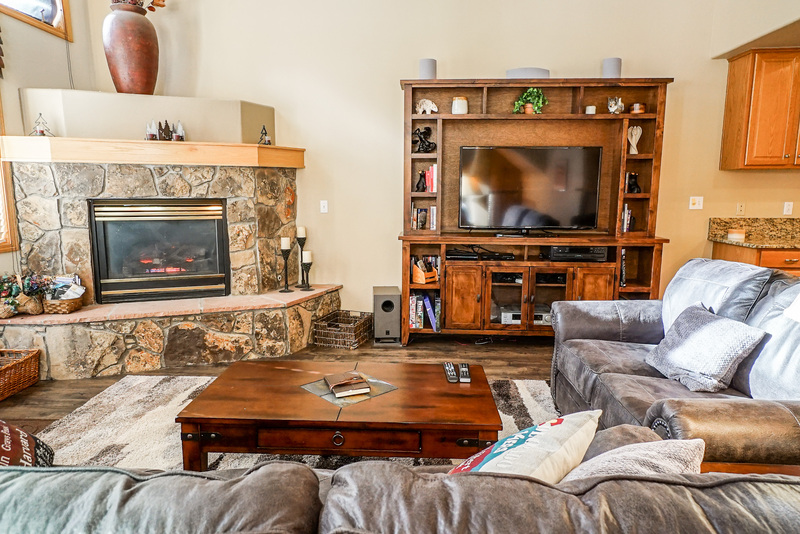 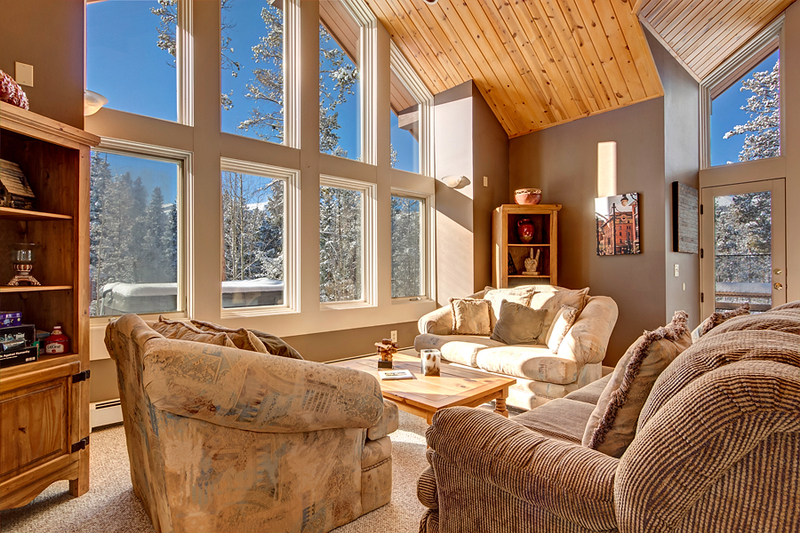 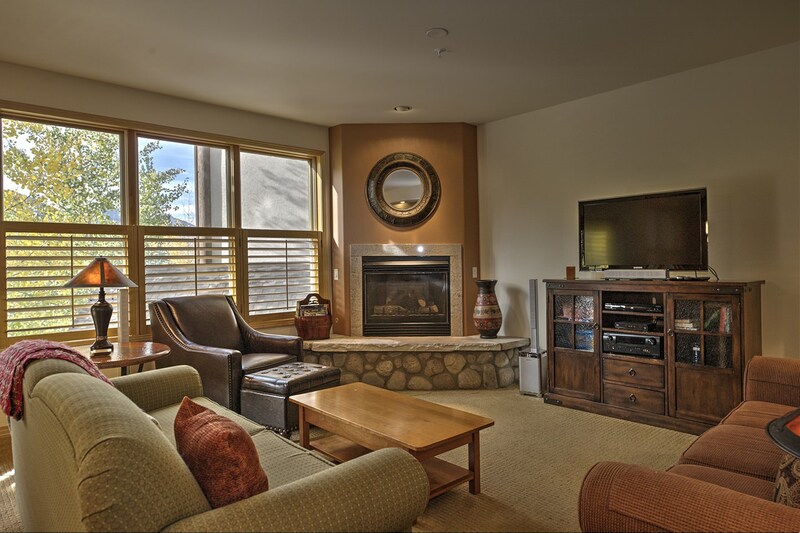 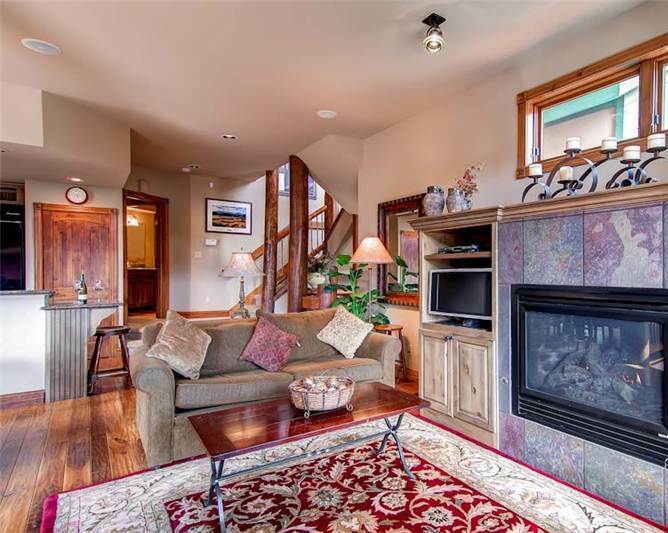 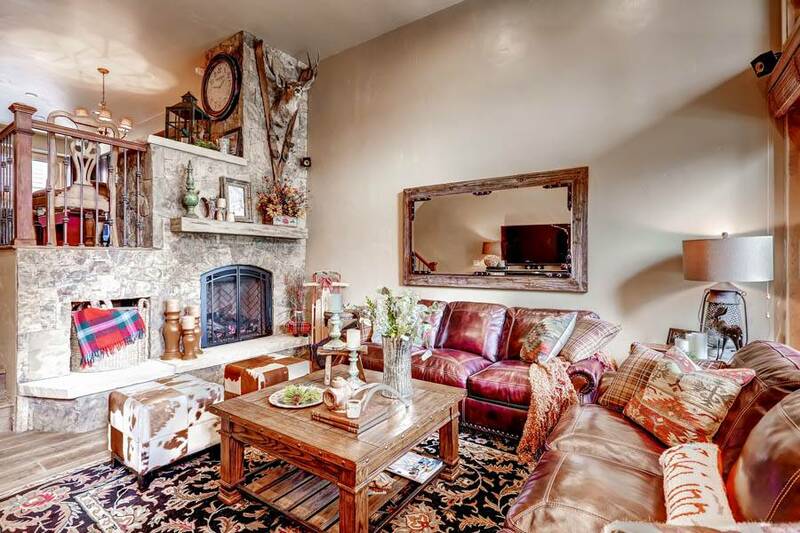 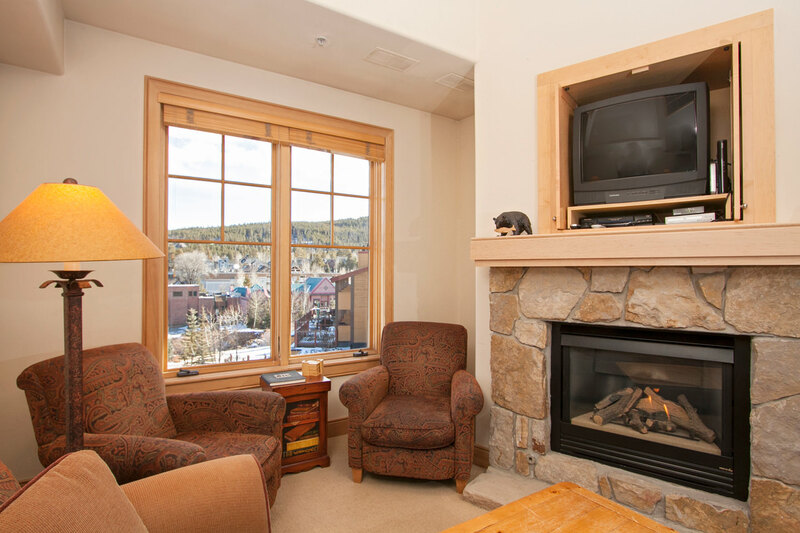 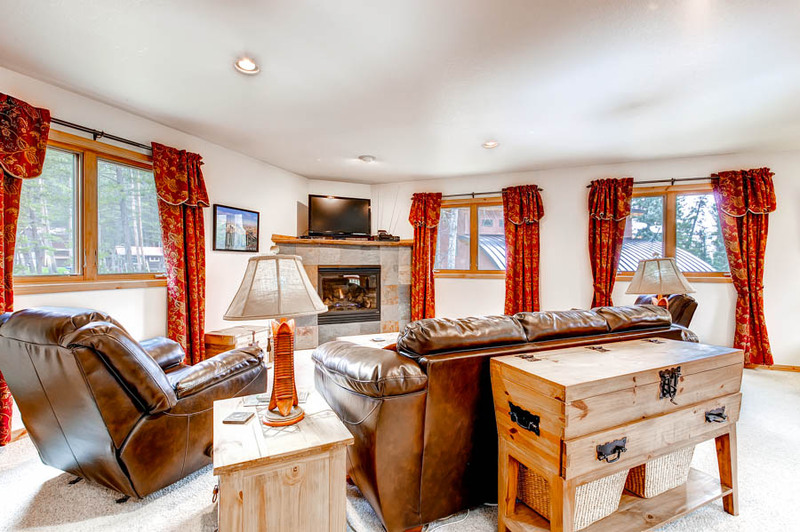 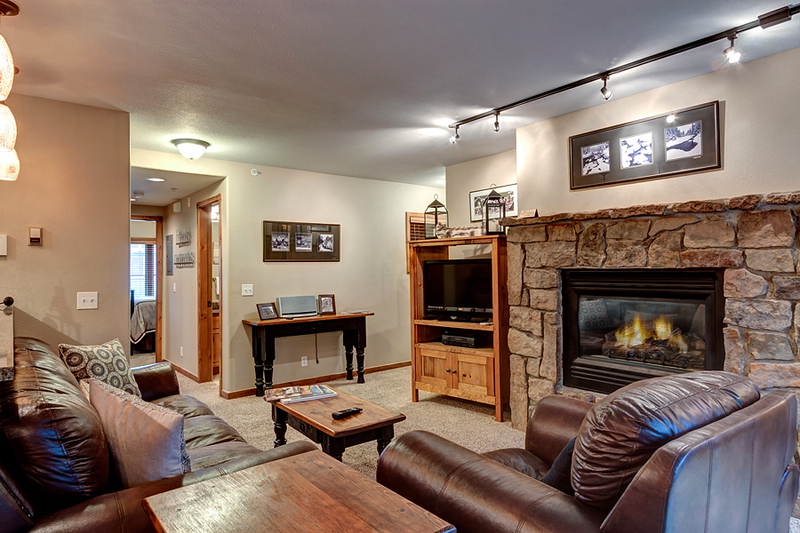 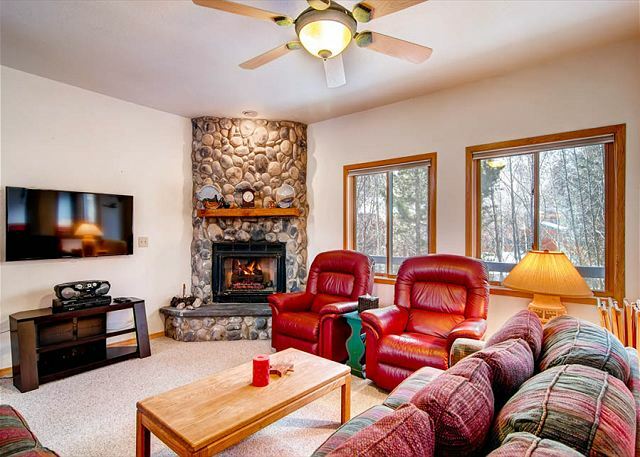 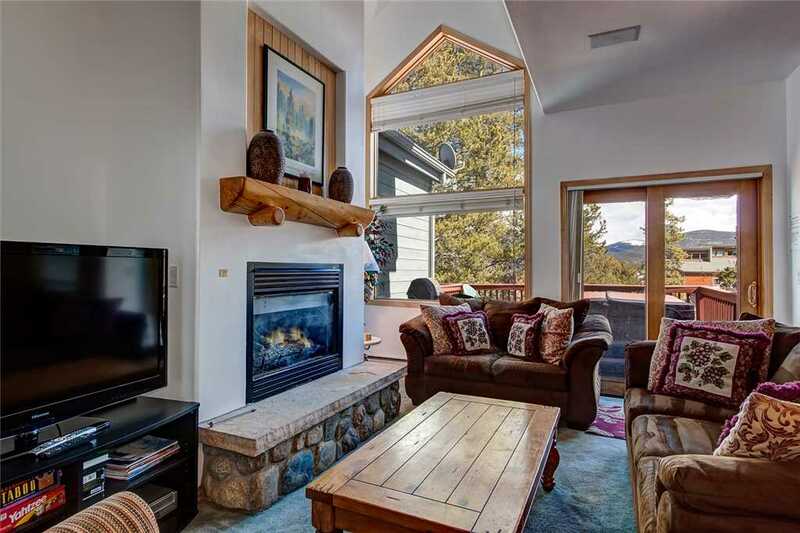 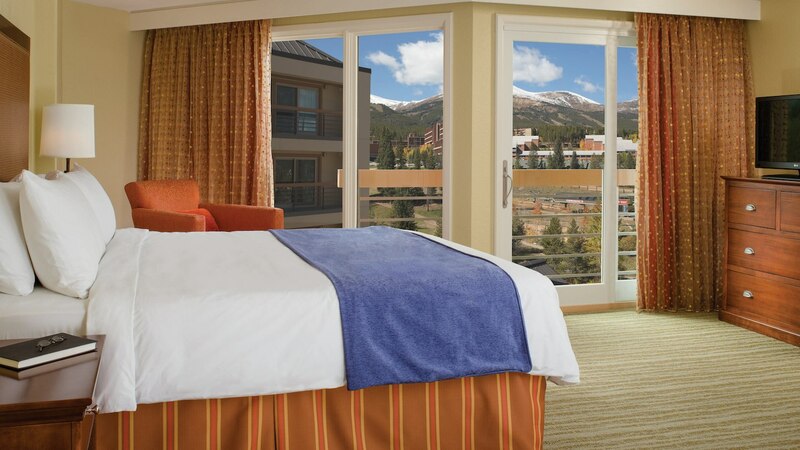 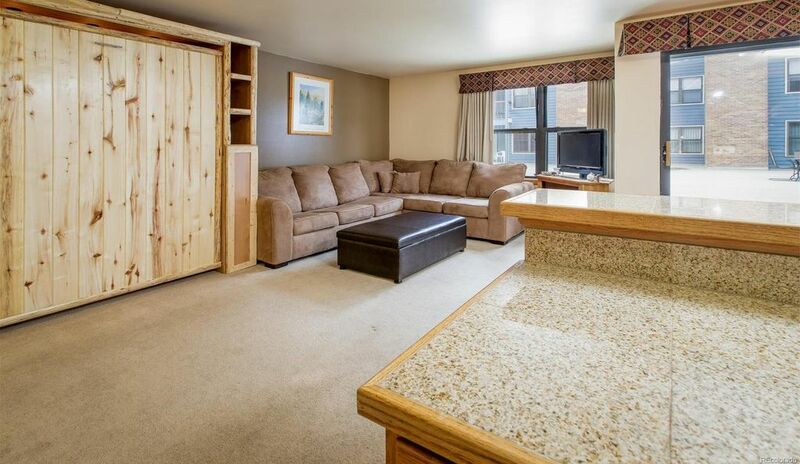 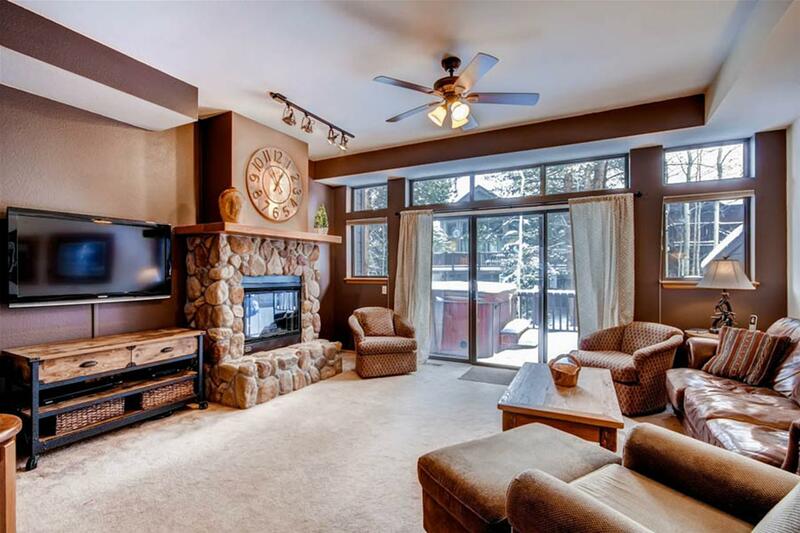 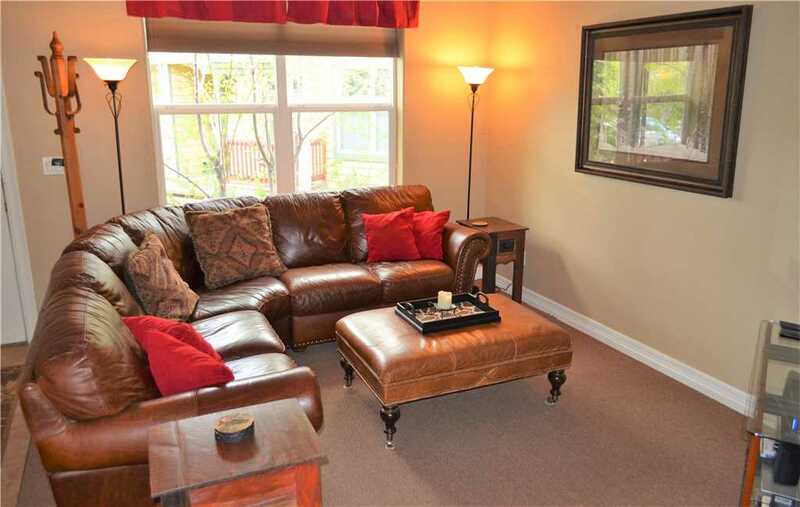 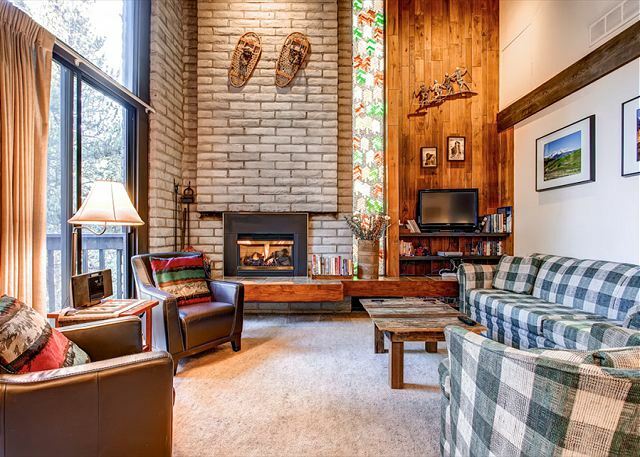 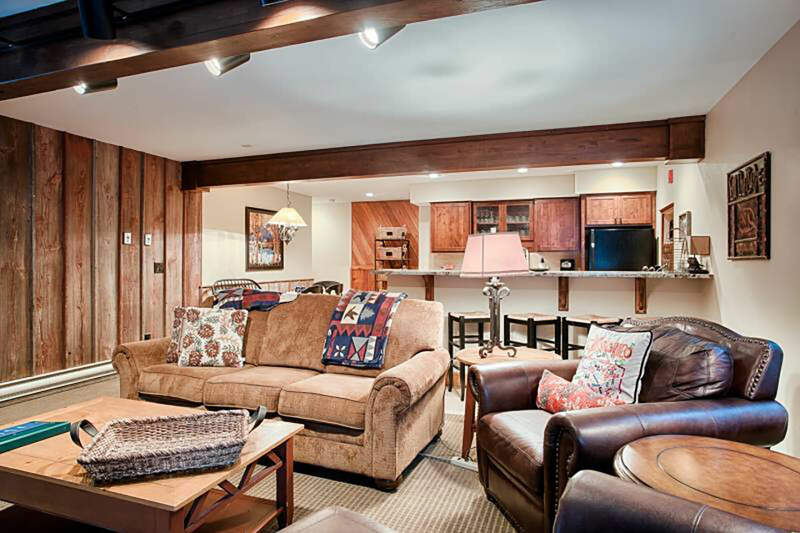 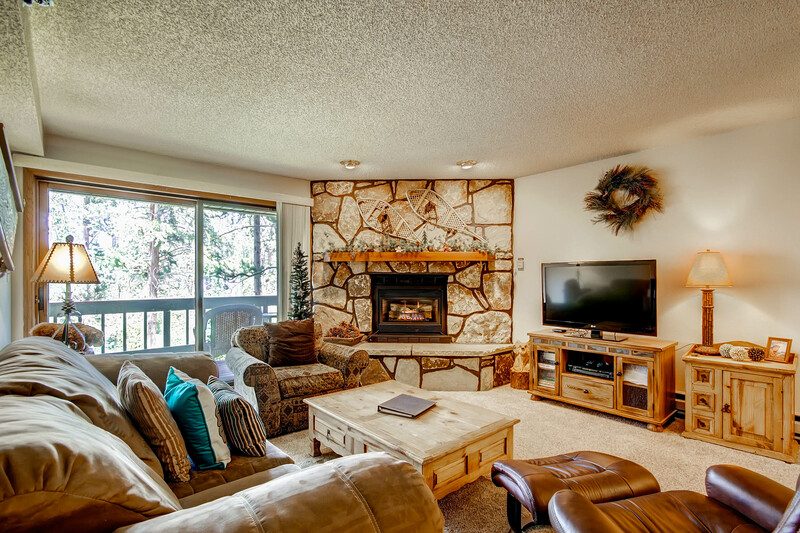 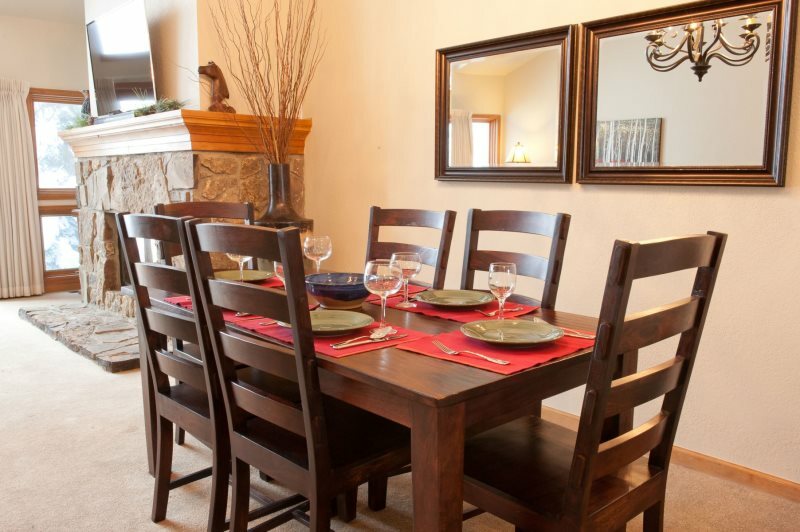 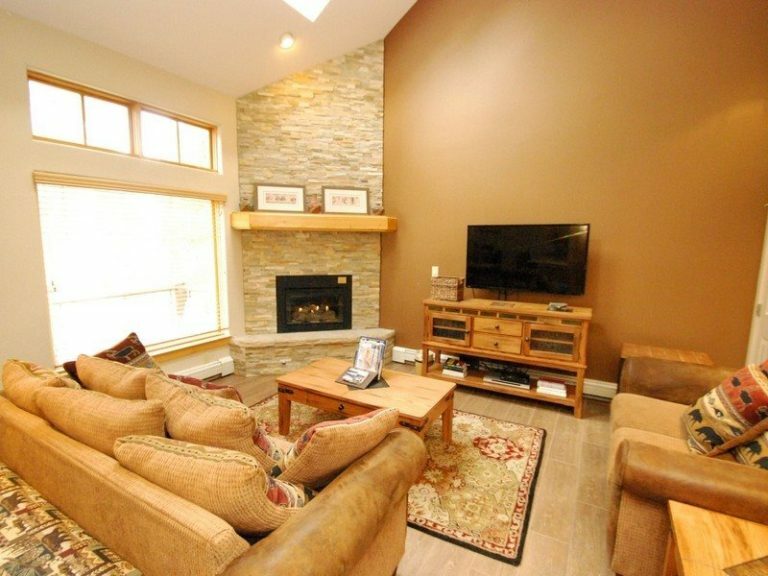 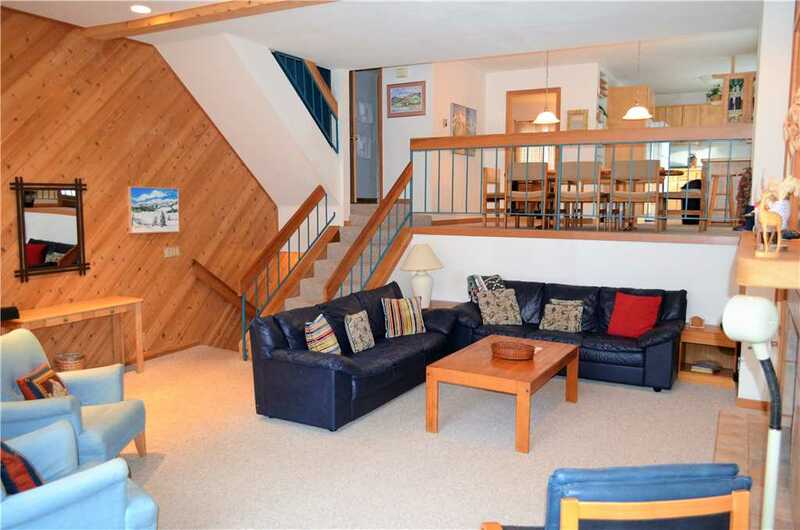 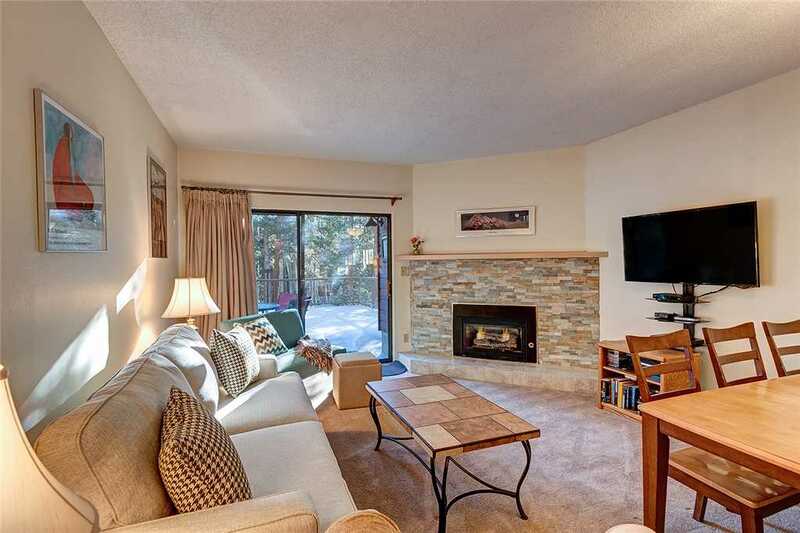 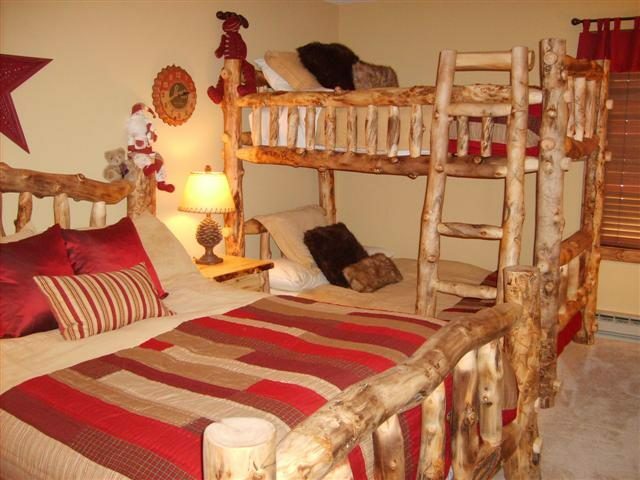 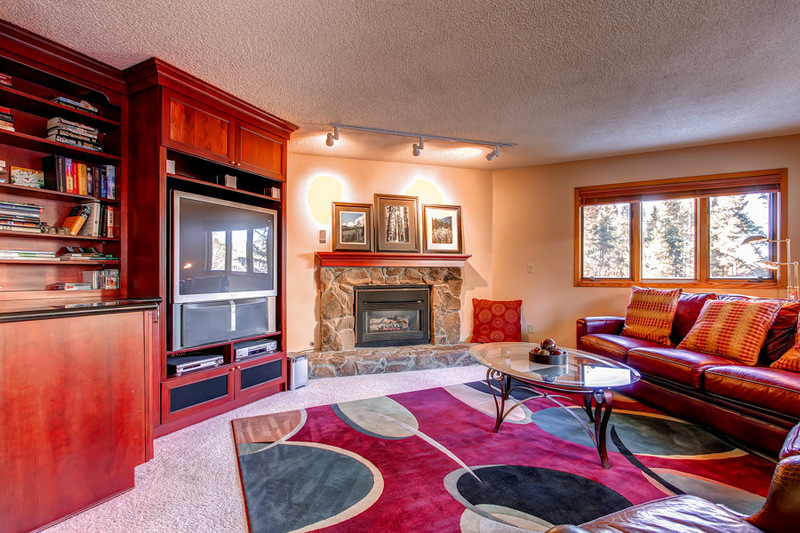 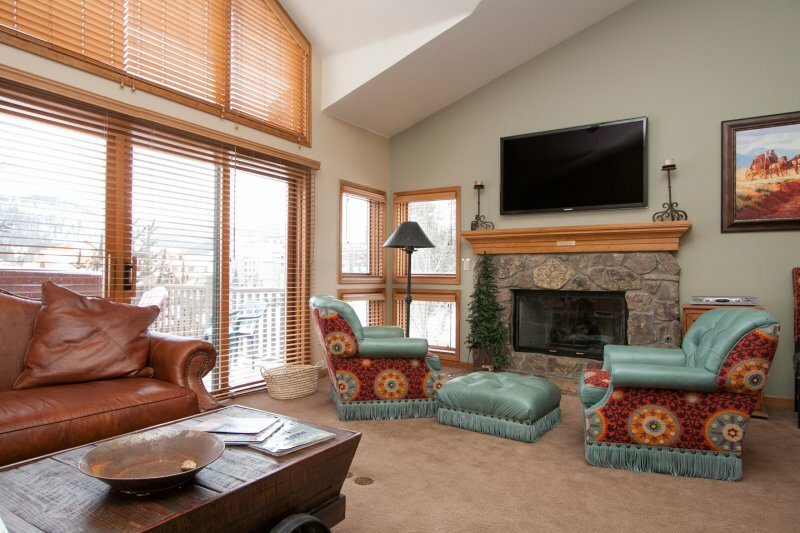 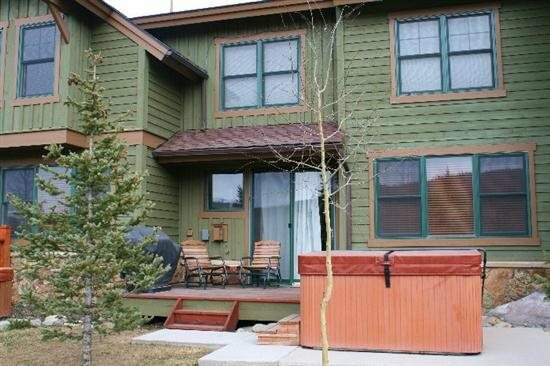 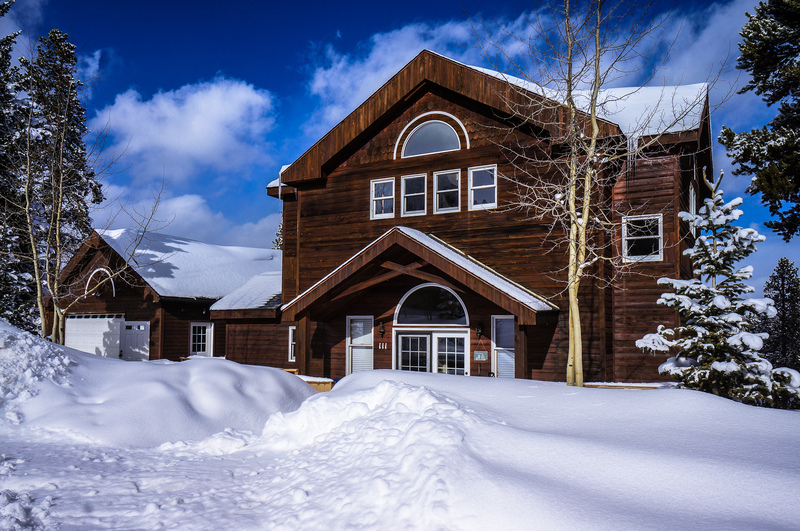 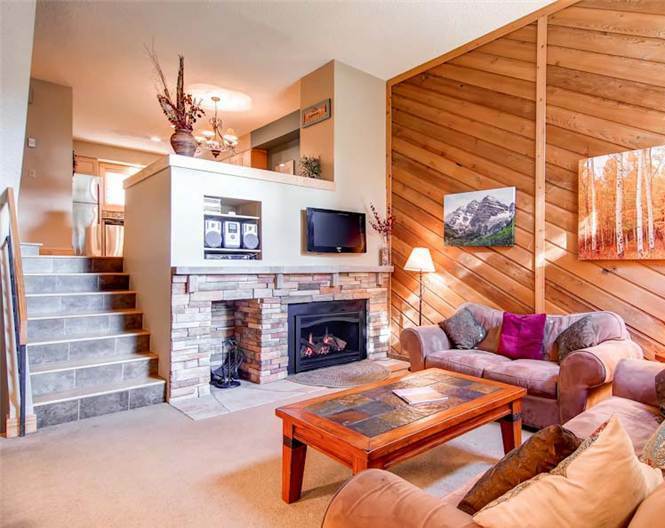 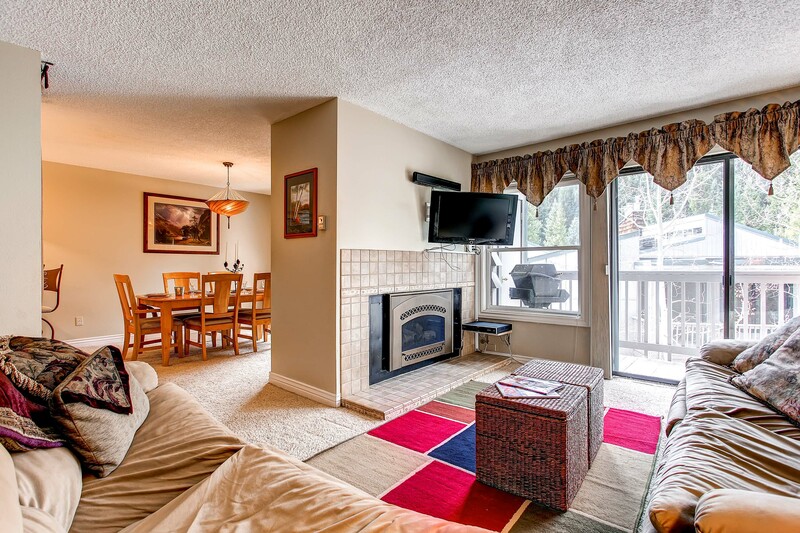 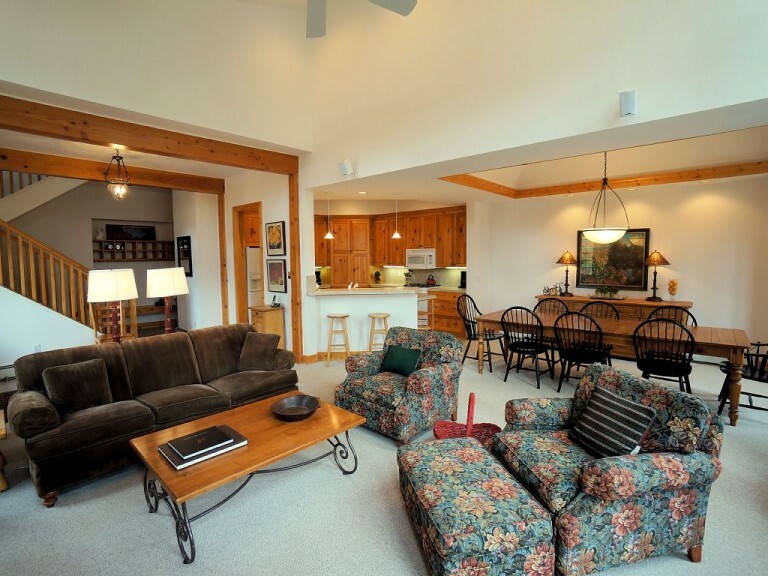 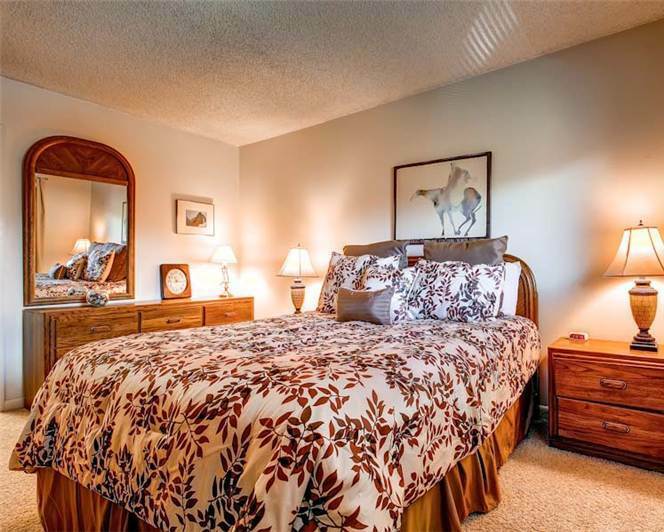 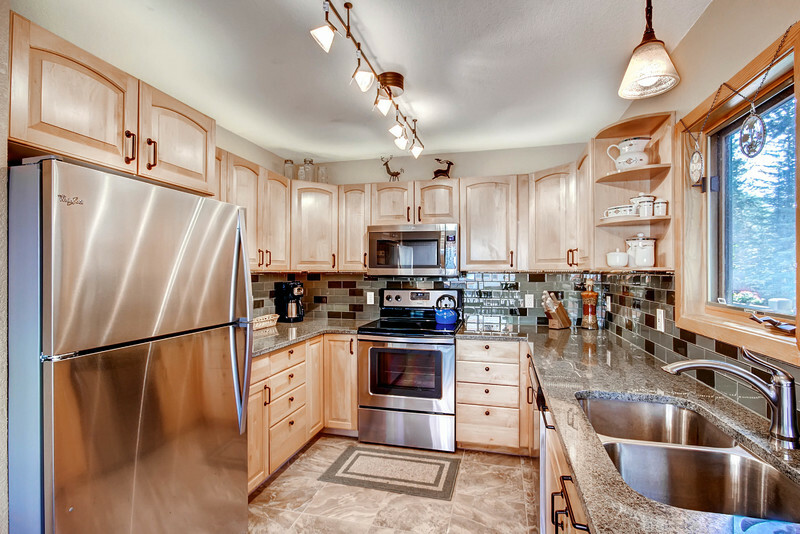 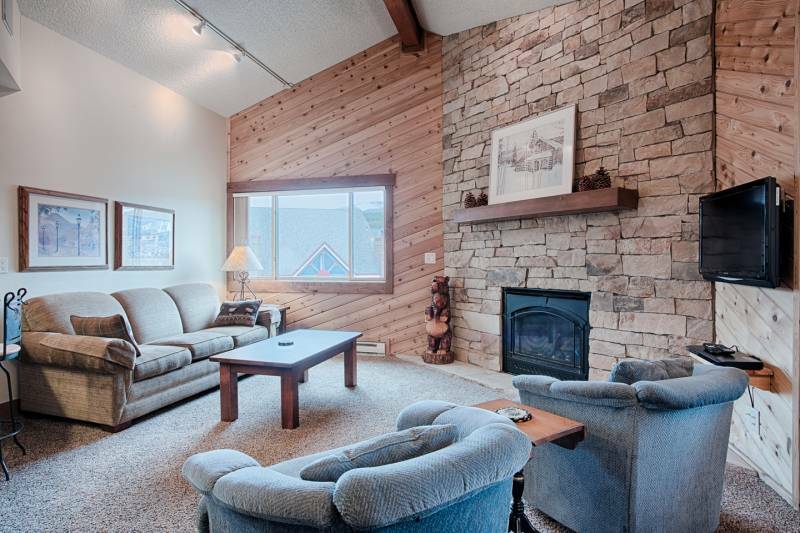 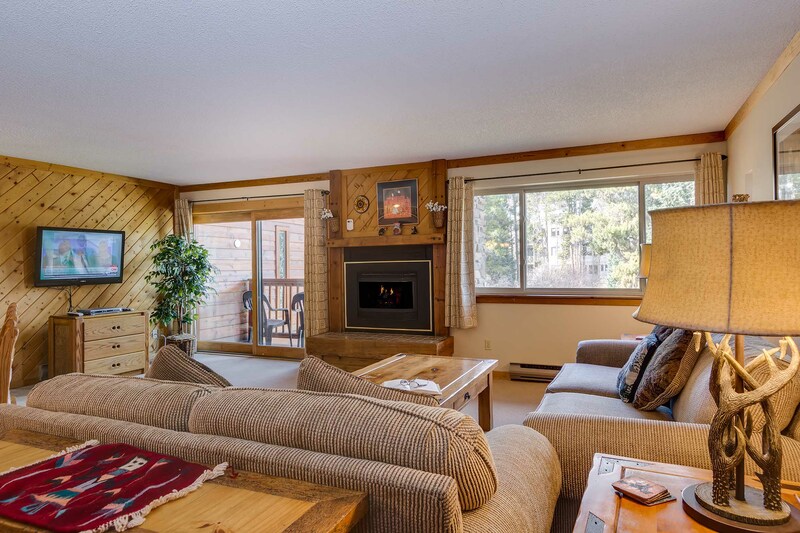 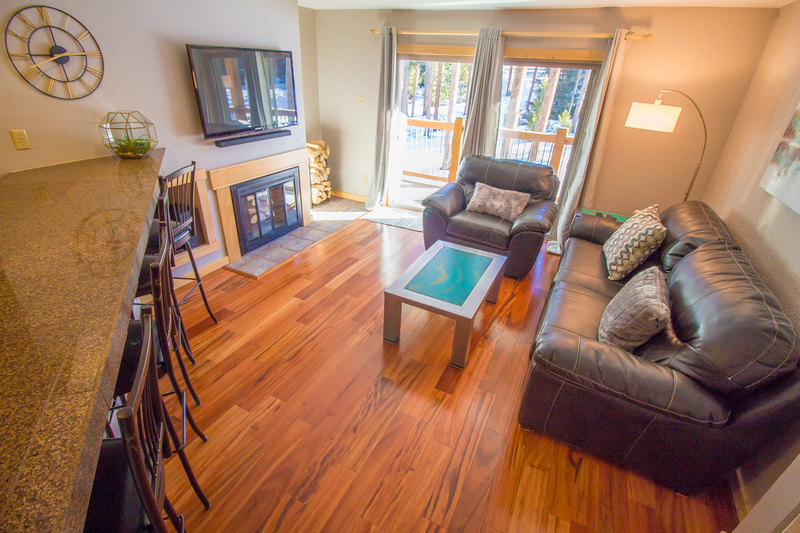 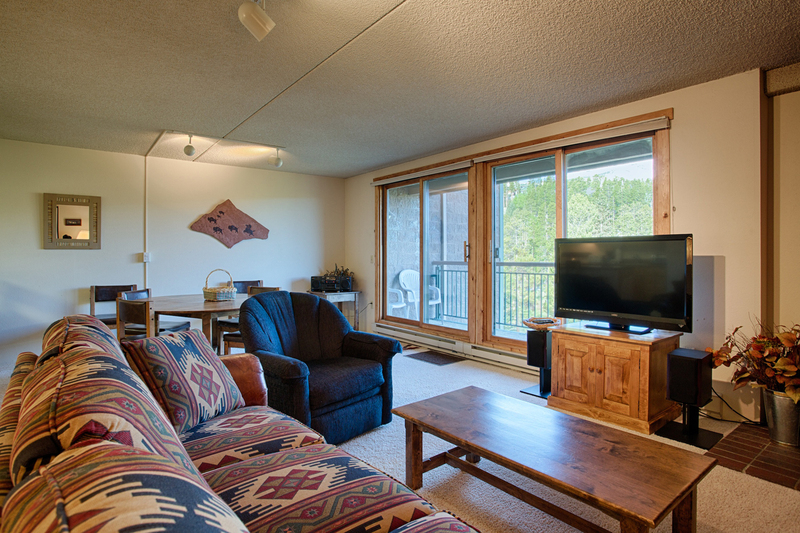 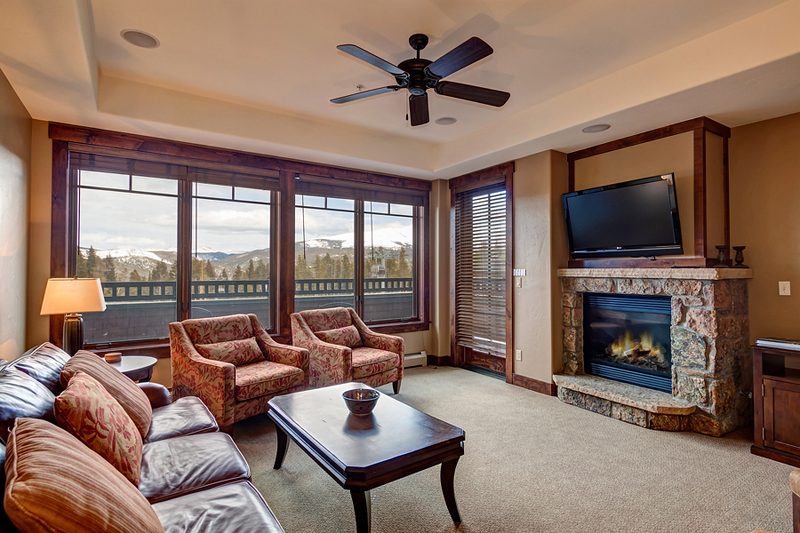 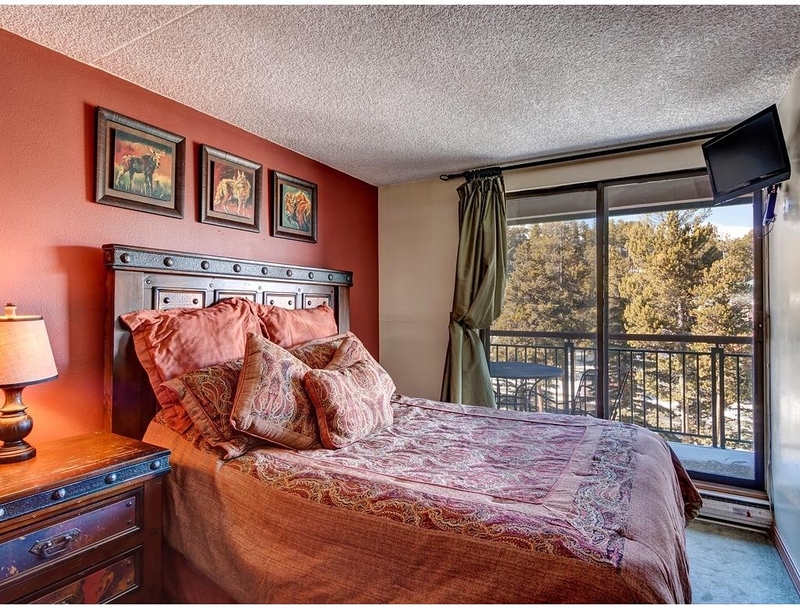 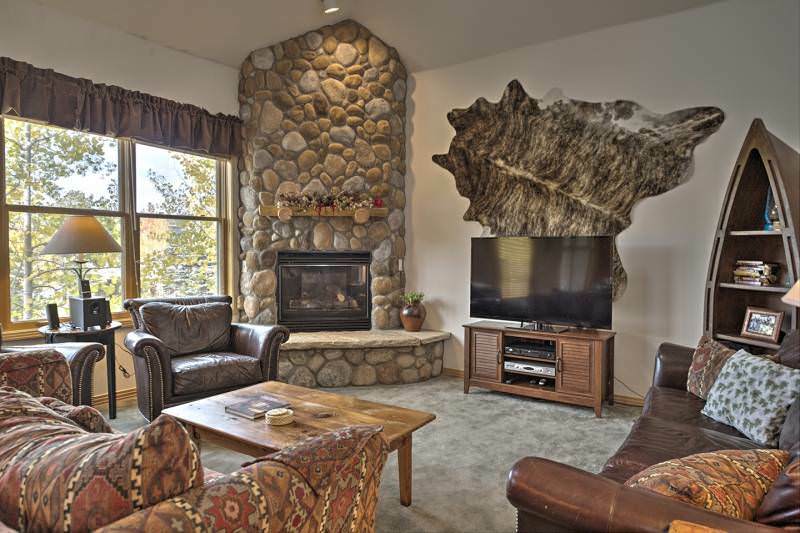 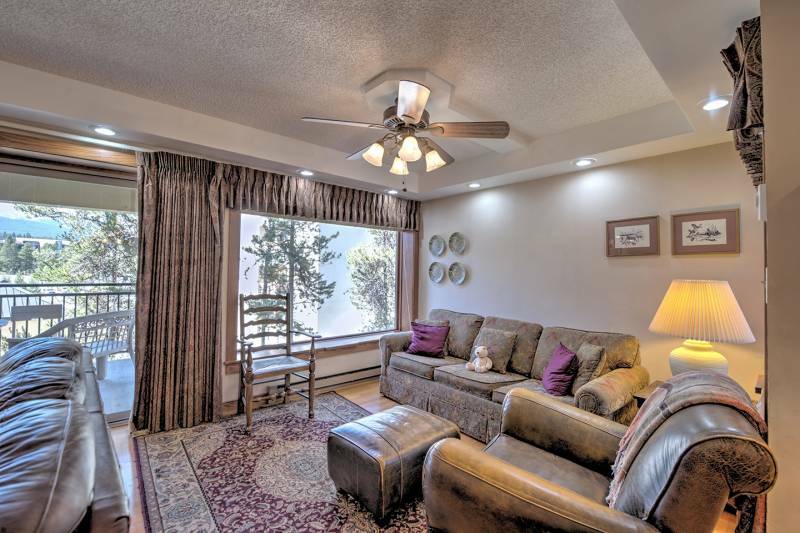 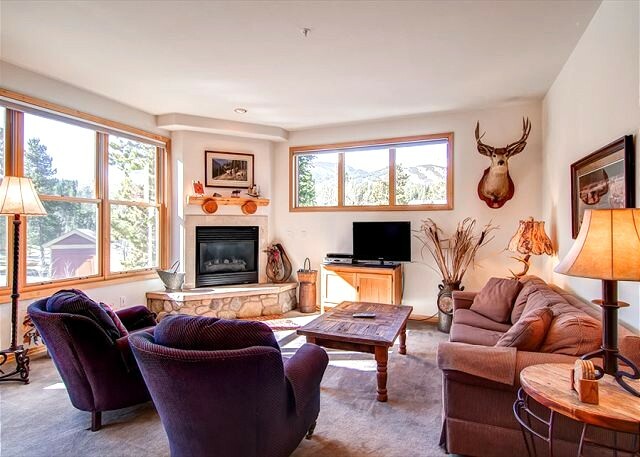 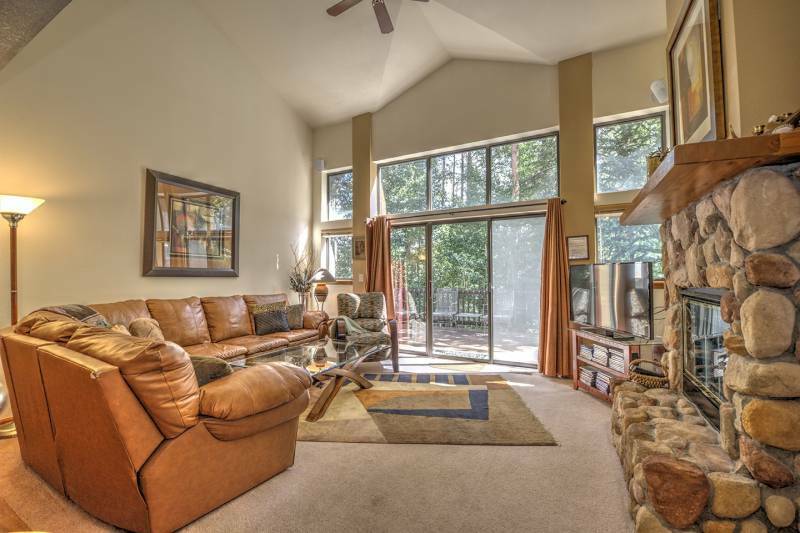 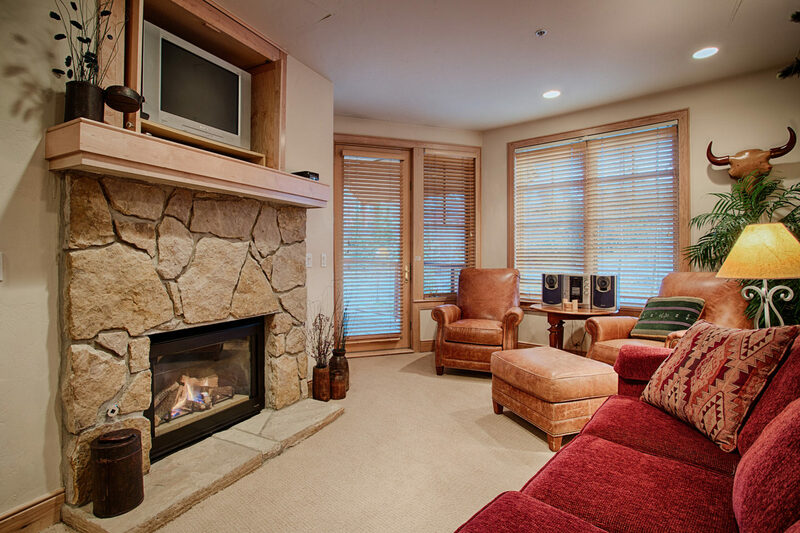 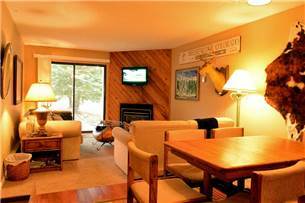 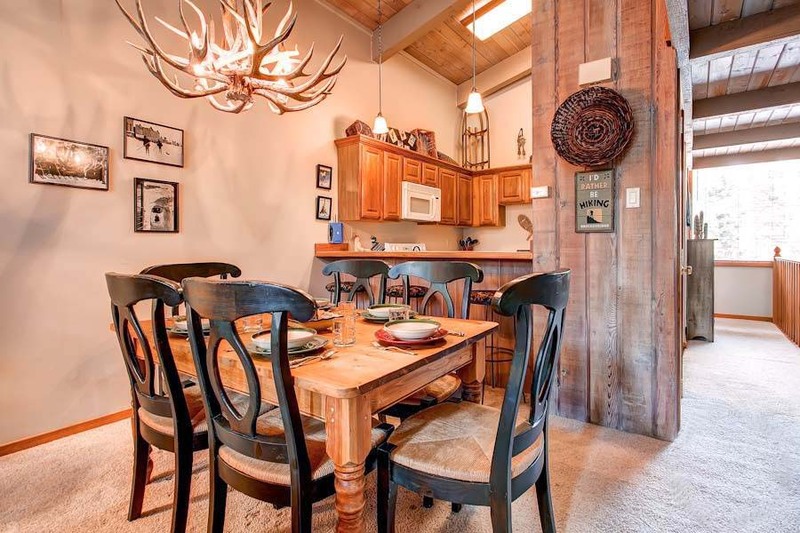 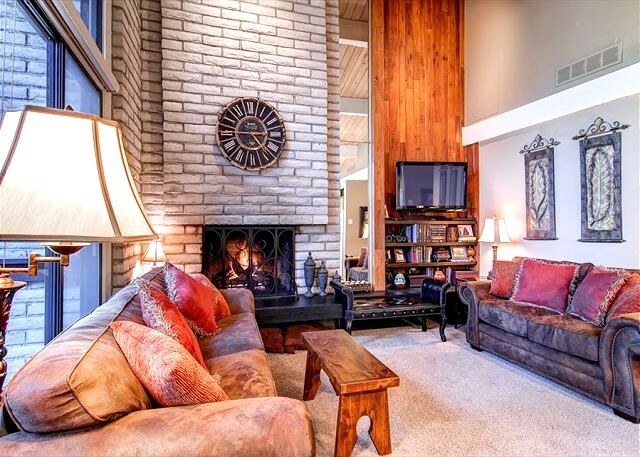 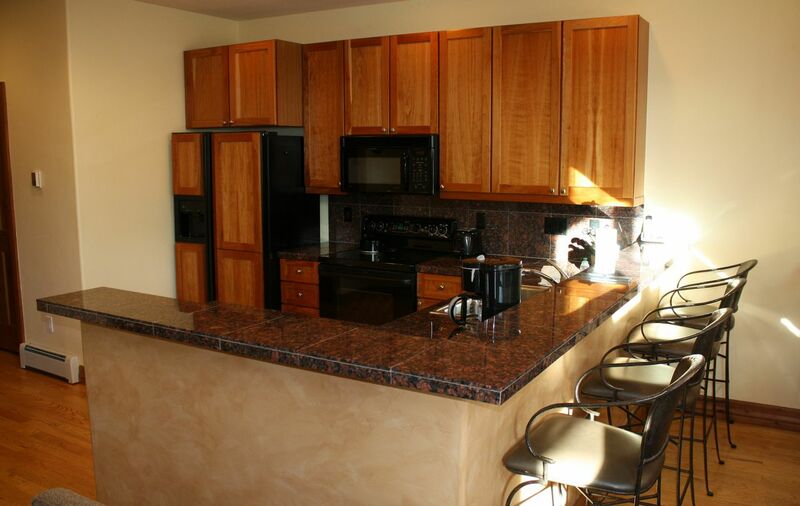 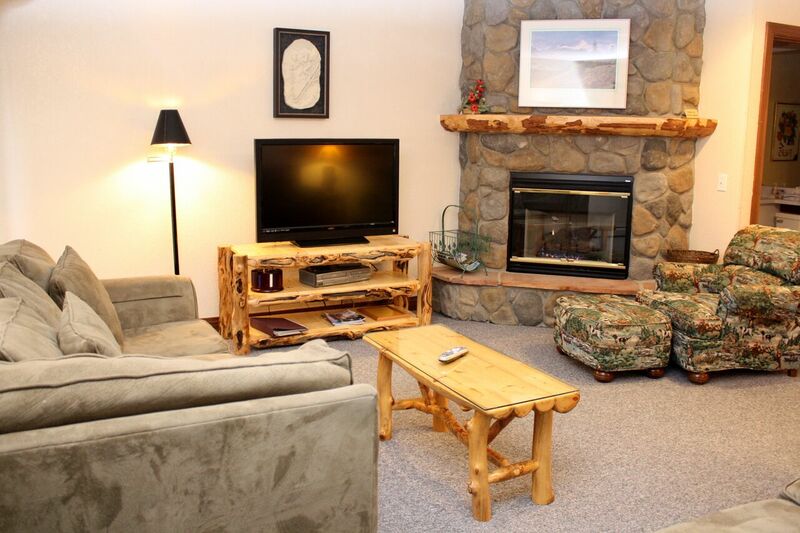 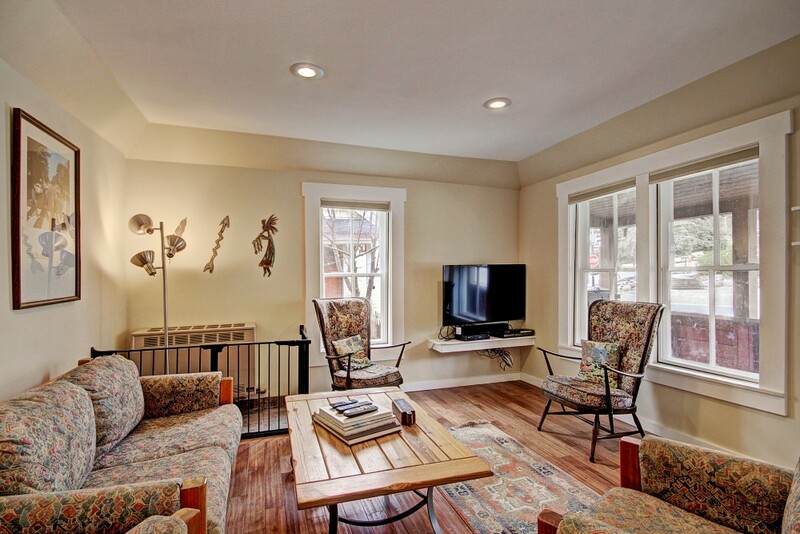 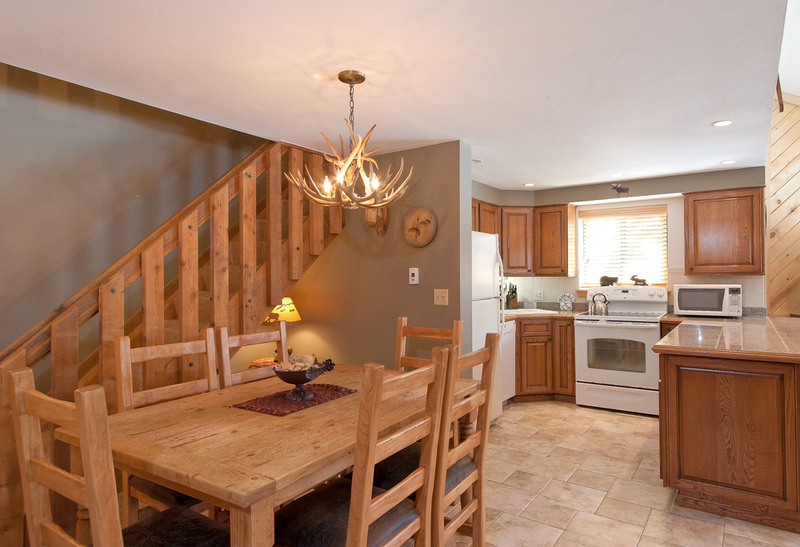 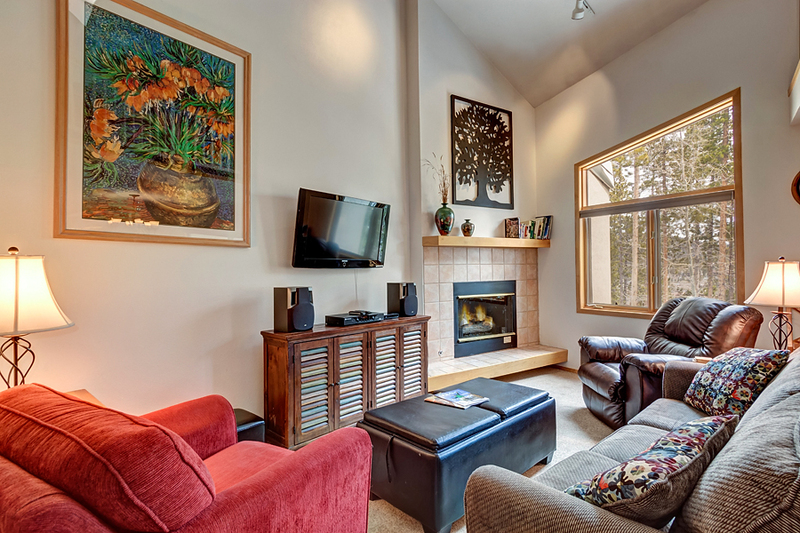 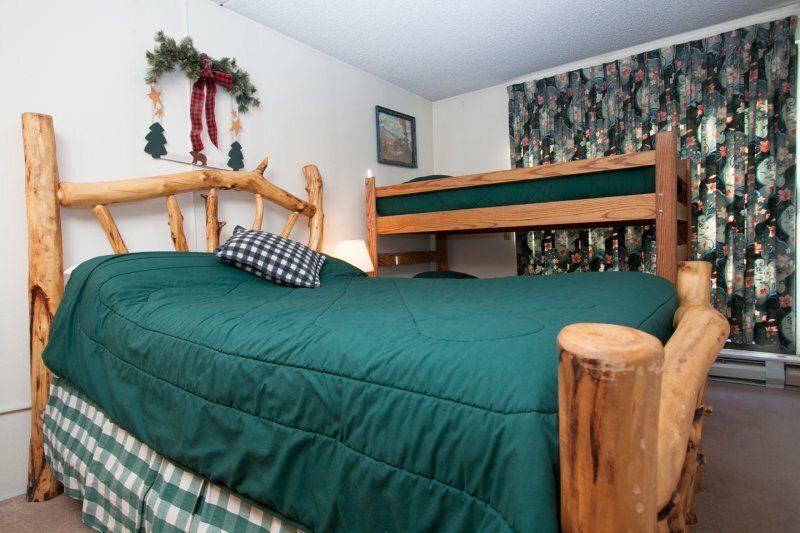 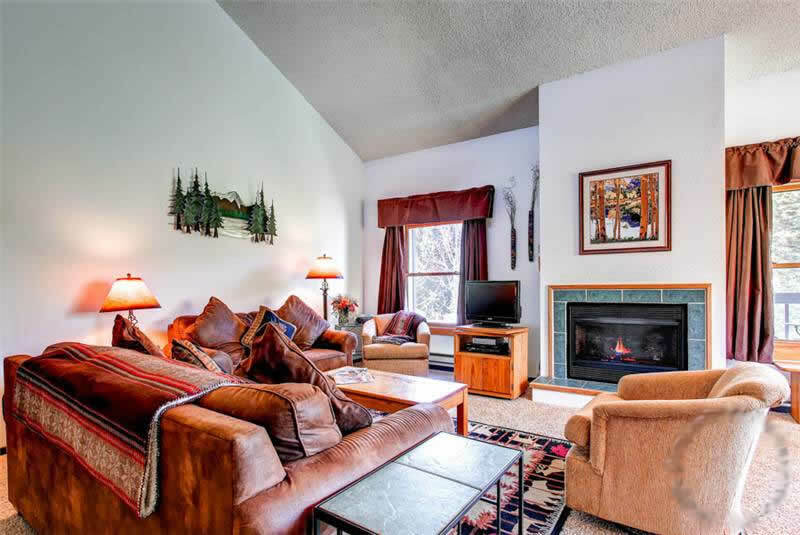 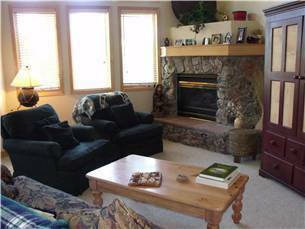 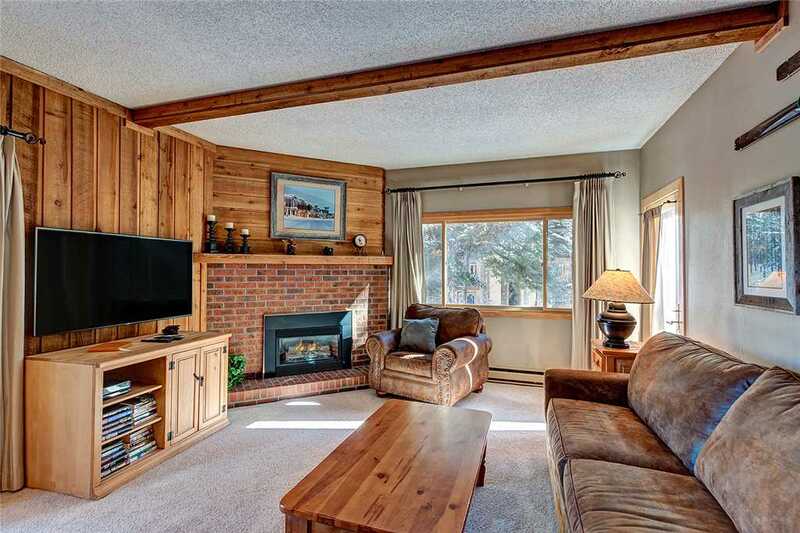 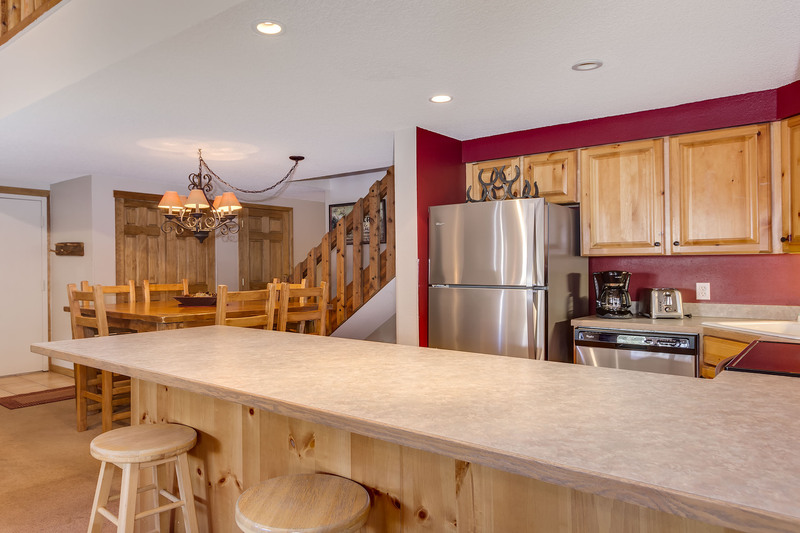 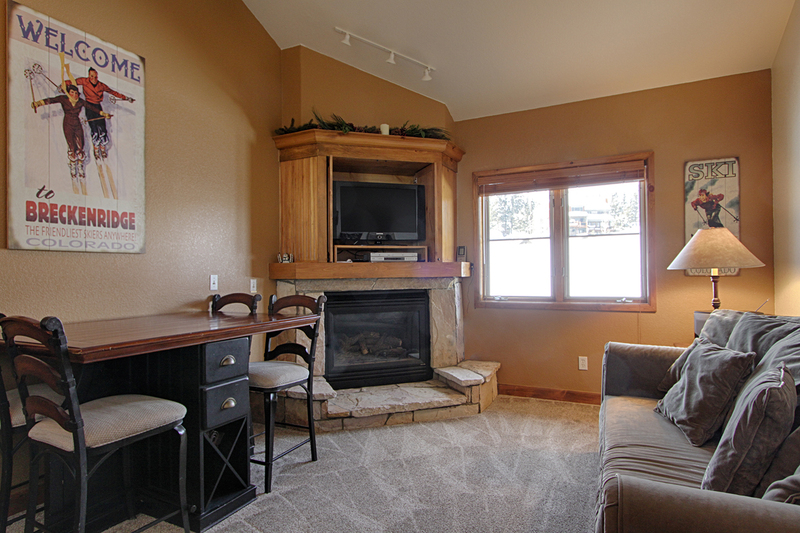 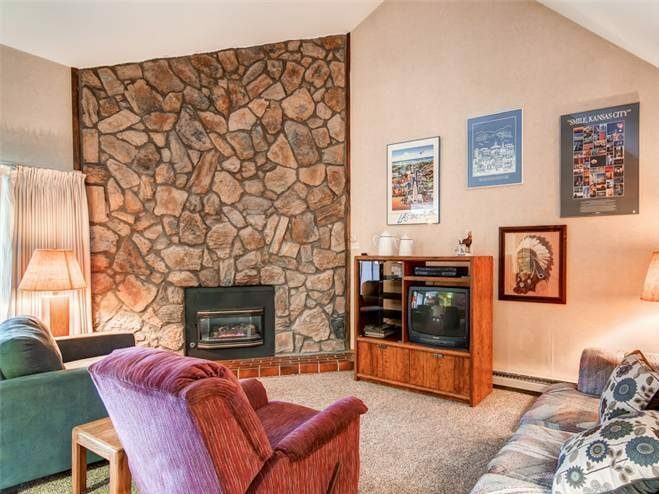 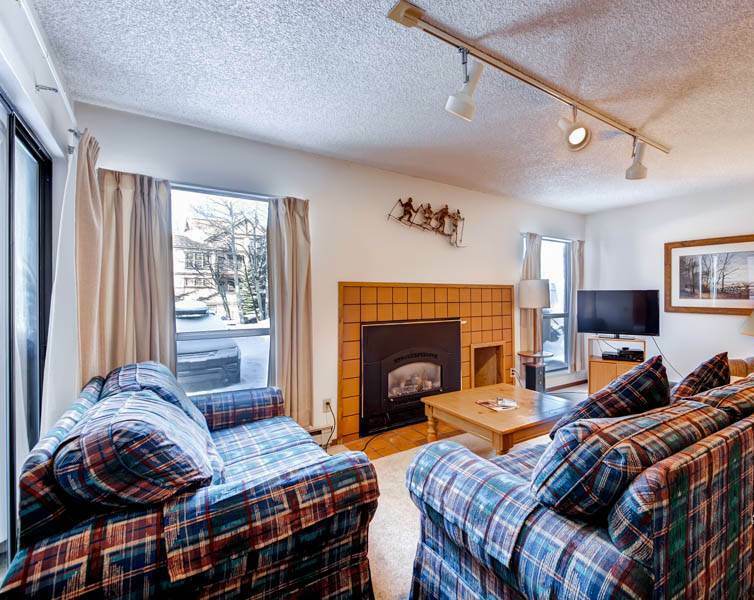 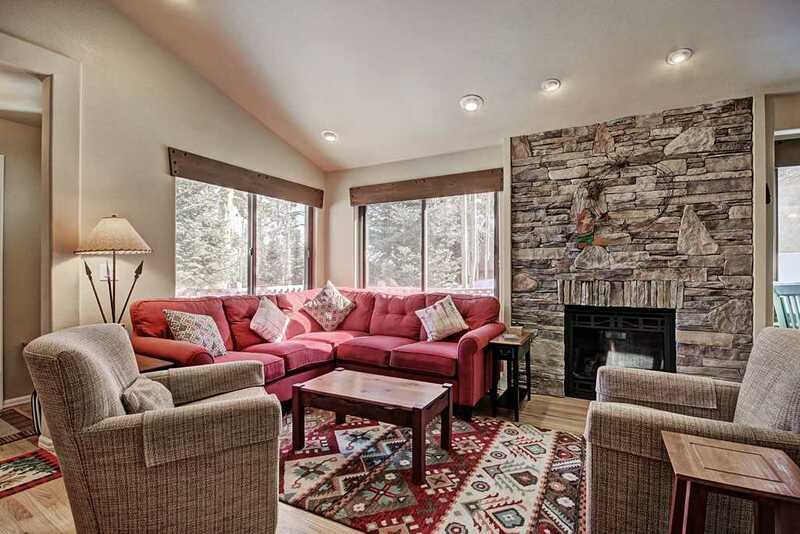 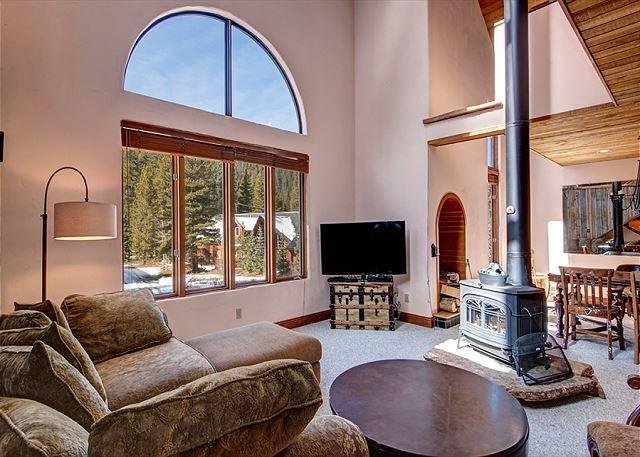 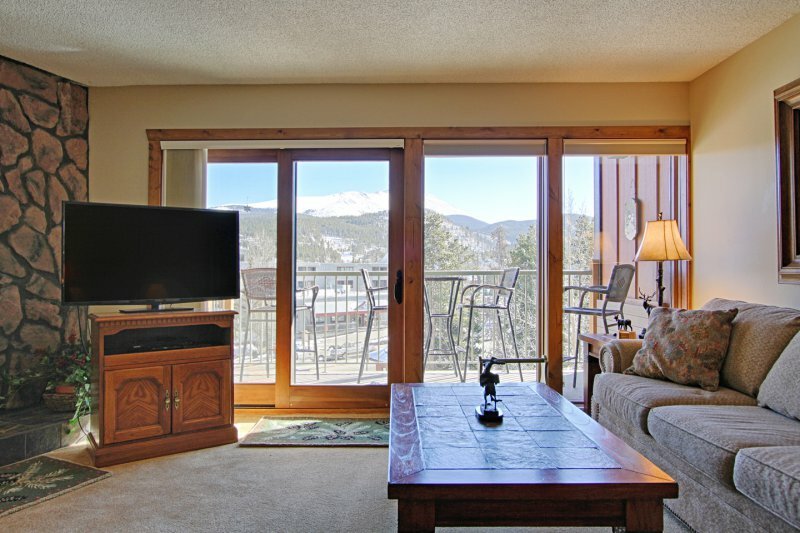 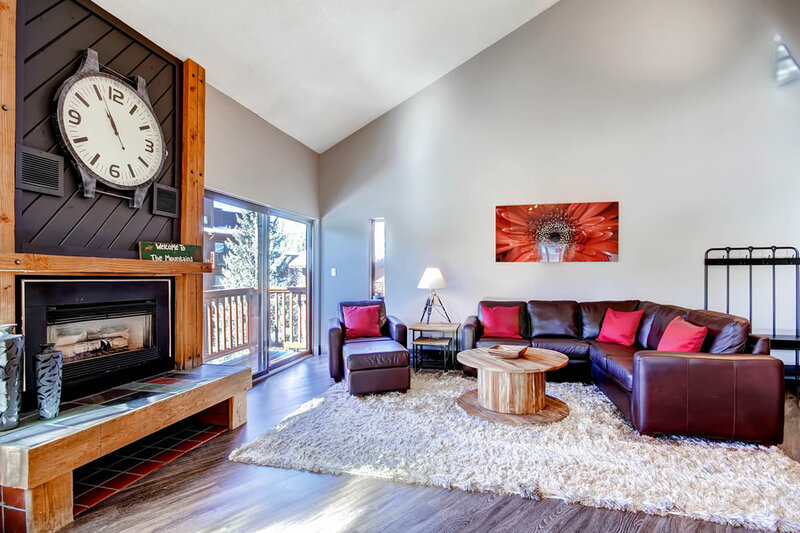 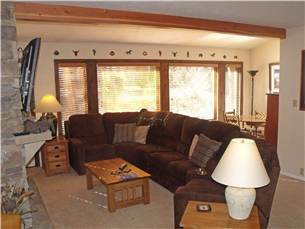 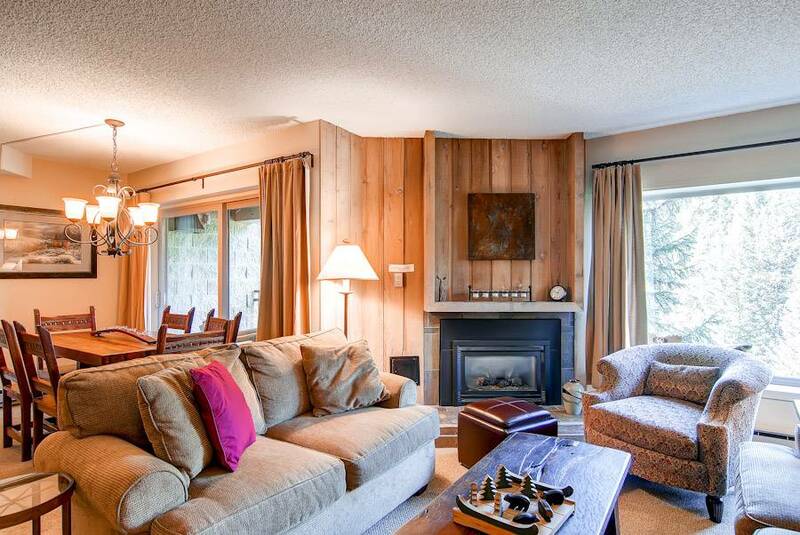 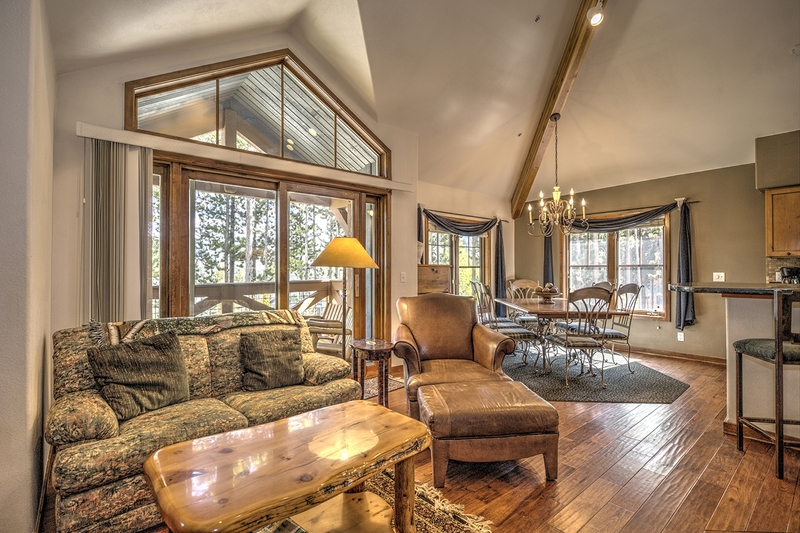 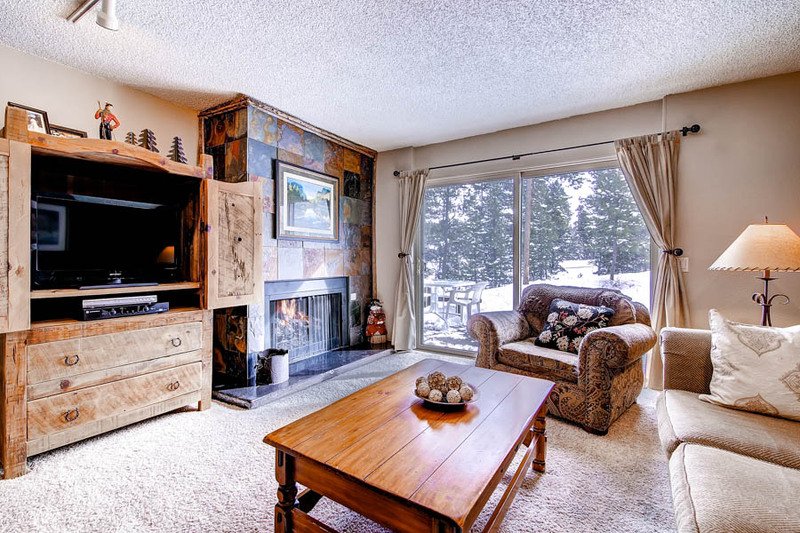 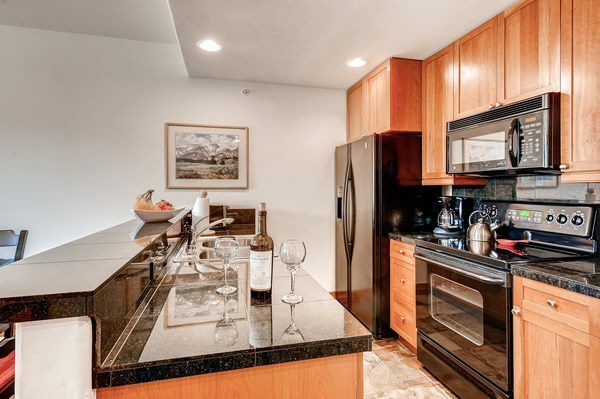 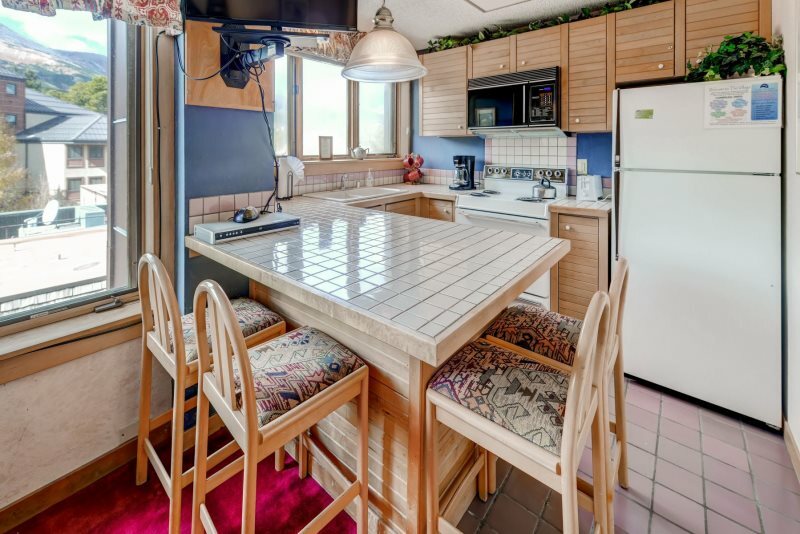 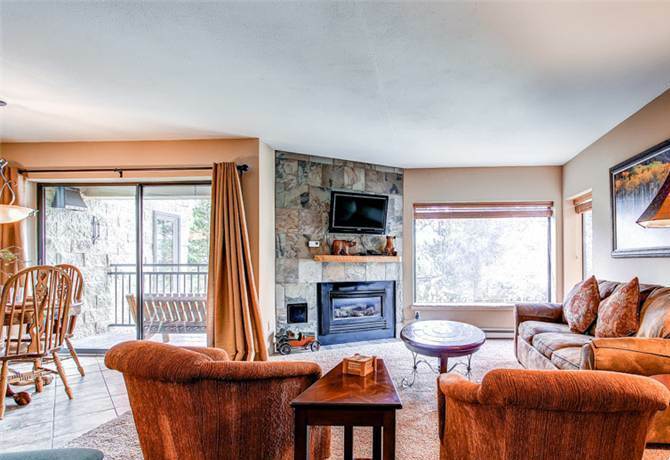 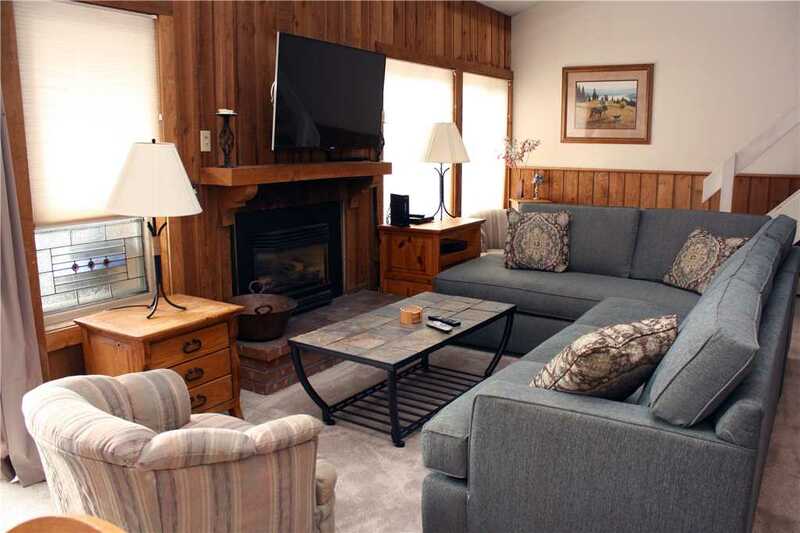 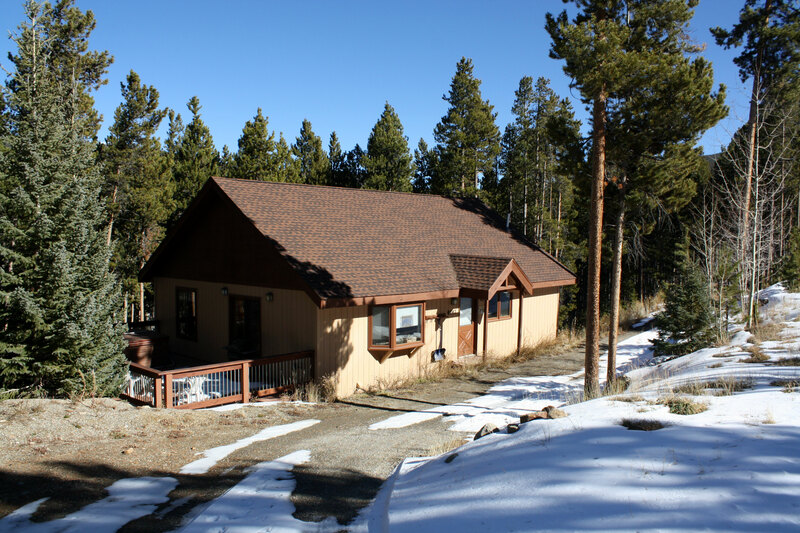 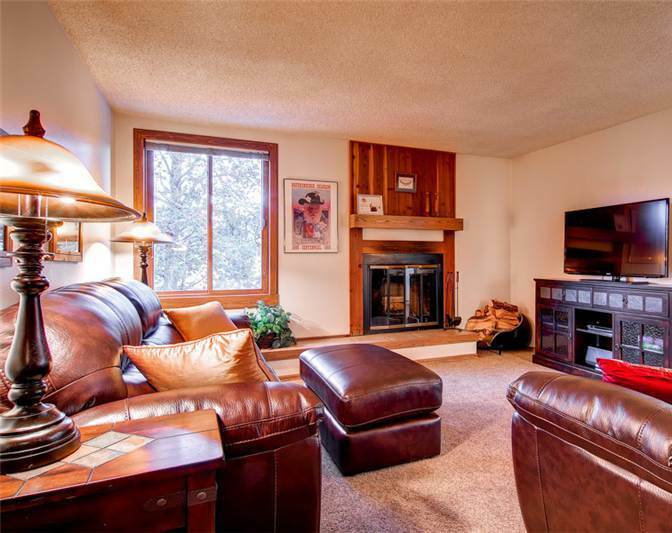 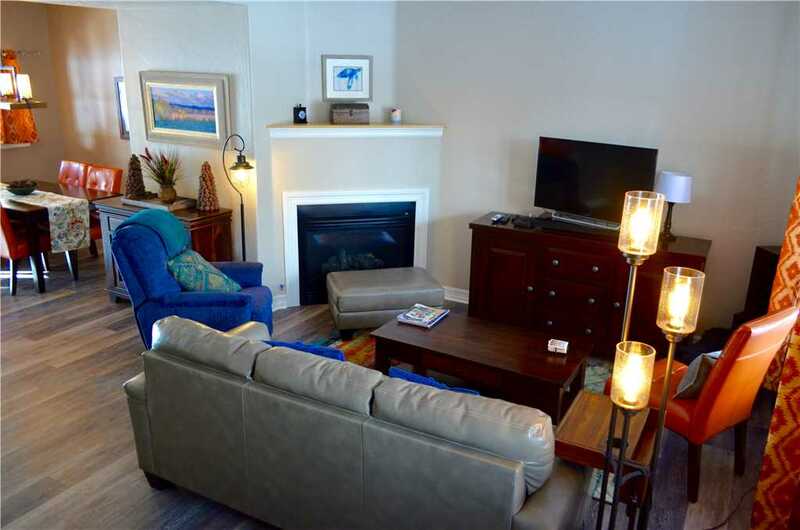 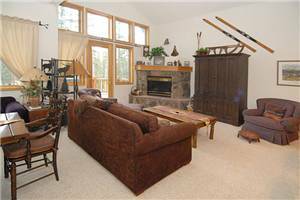 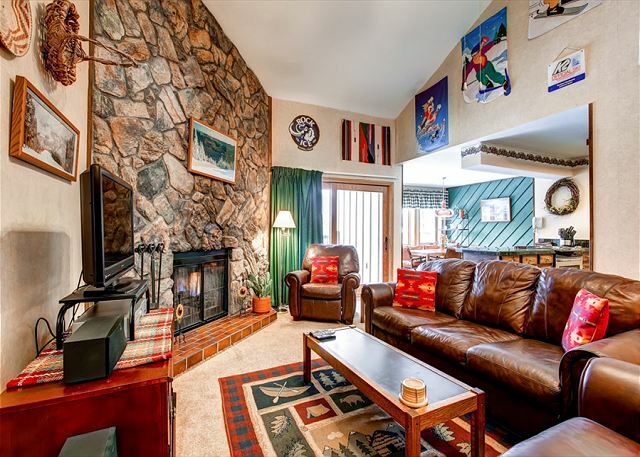 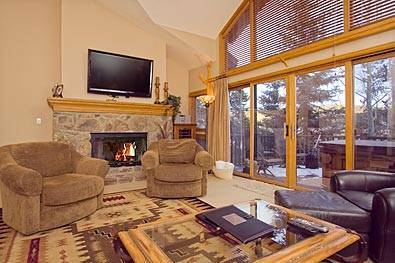 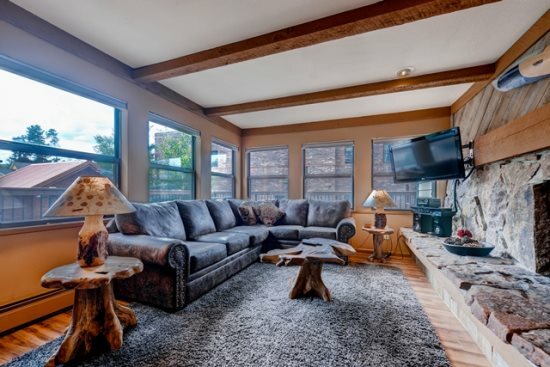 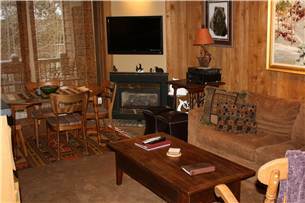 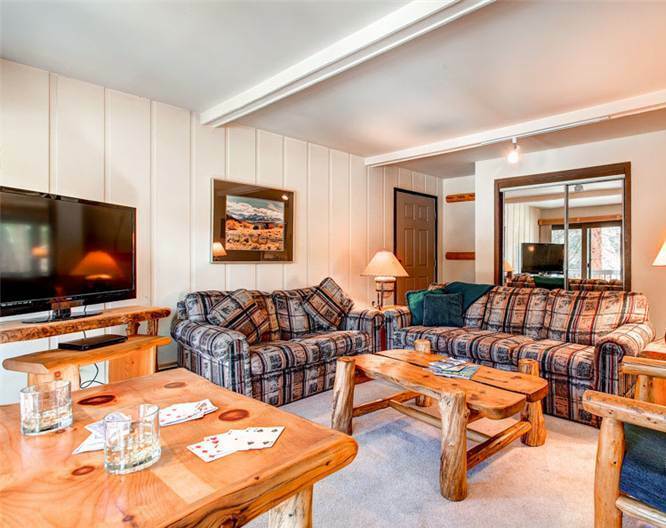 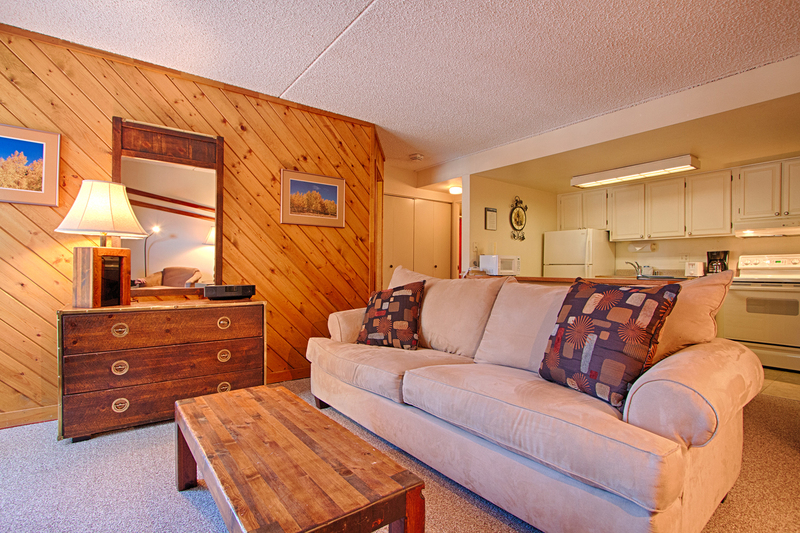 Experience this charming condo conveniently located right on the 4’O Clock Ski Run. 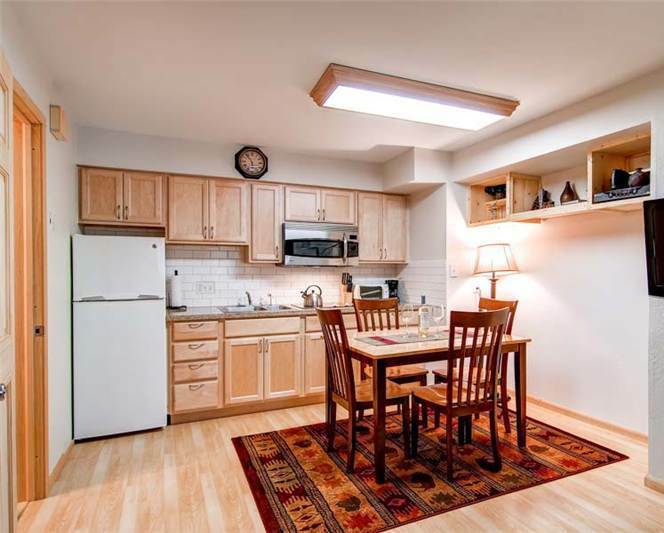 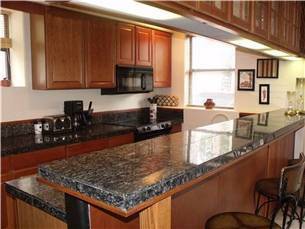 This condominium is beautiful and newly renovated. 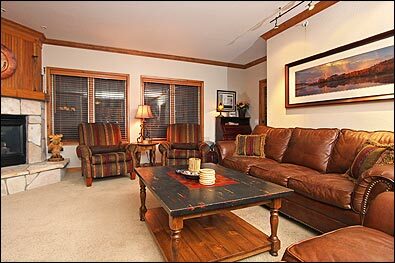 The living room features new oversized, plush couches, as well as a nice reading area and a large flatscreen TV with DVD. 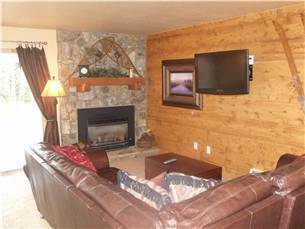 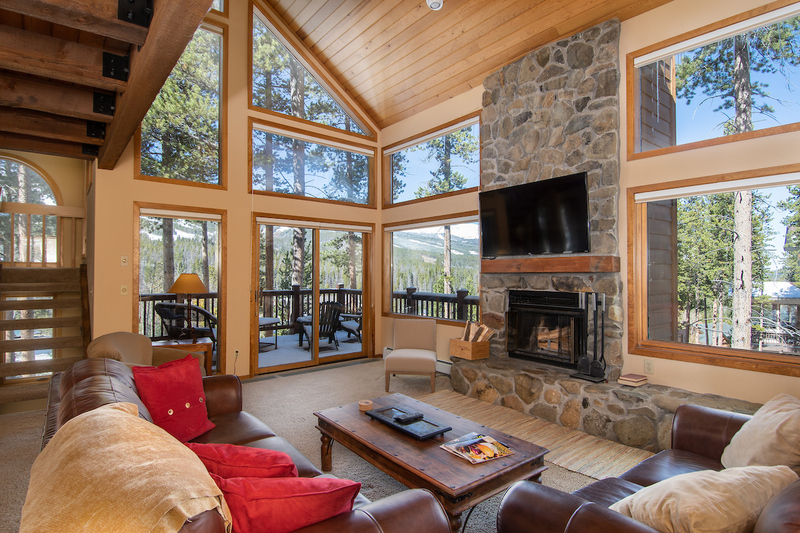 Don’t miss The wood-burning fireplace is a treat in the winter or other cool evenings, and large picture windows overlook the ski run. 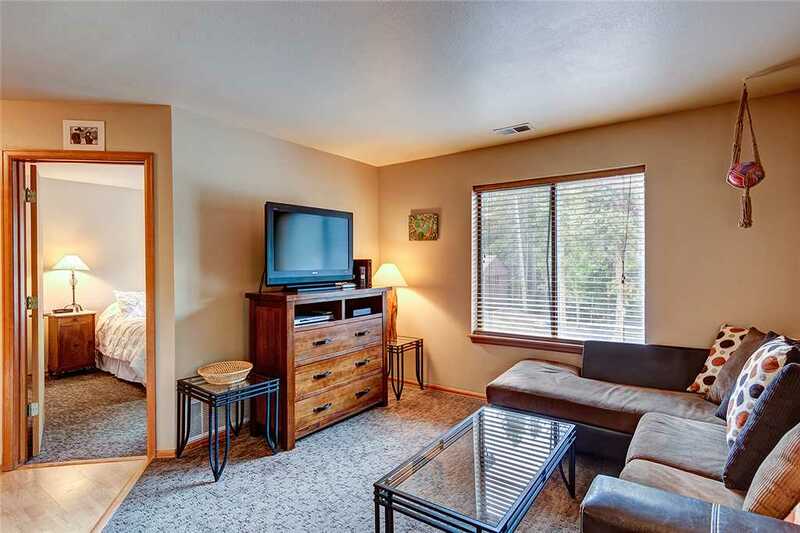 The master suite has a comfortable Queen pillow top mattress, and TV. 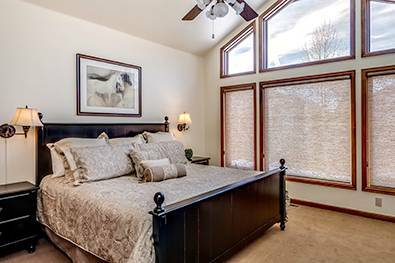 The guest bedroom also has new pillow top mattresses, plenty of underbed storage and closet space and huge, sunny south-facing windows. 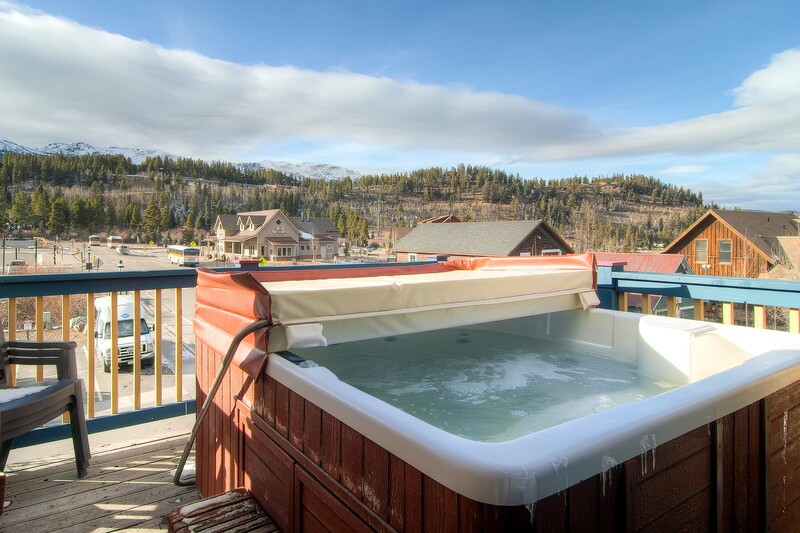 Building 8 has convenient access to the office, hot tub and shuttle stop for the free town shuttle.